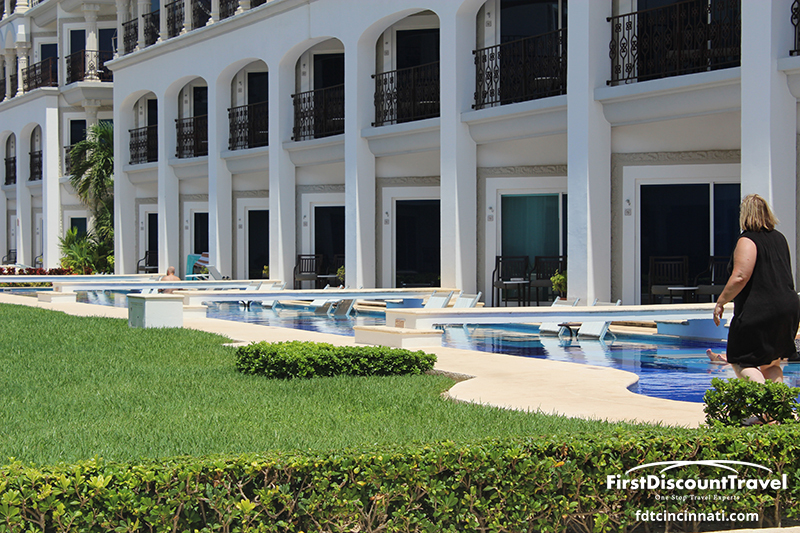 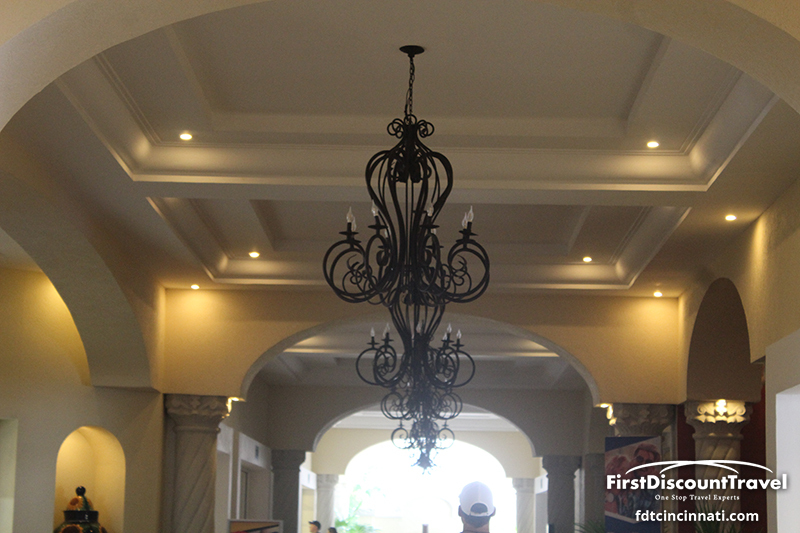 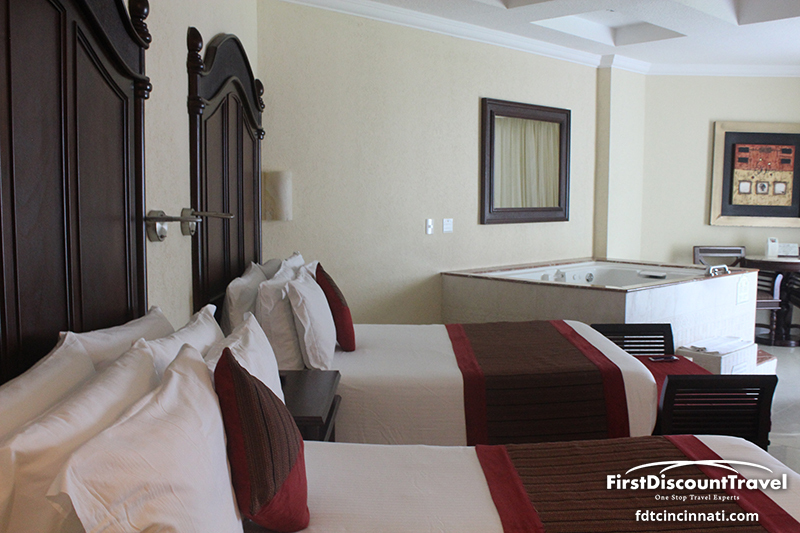 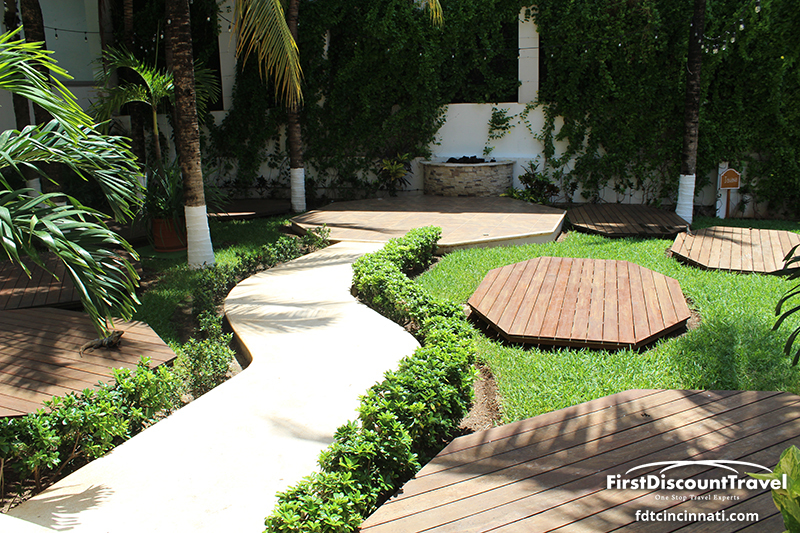 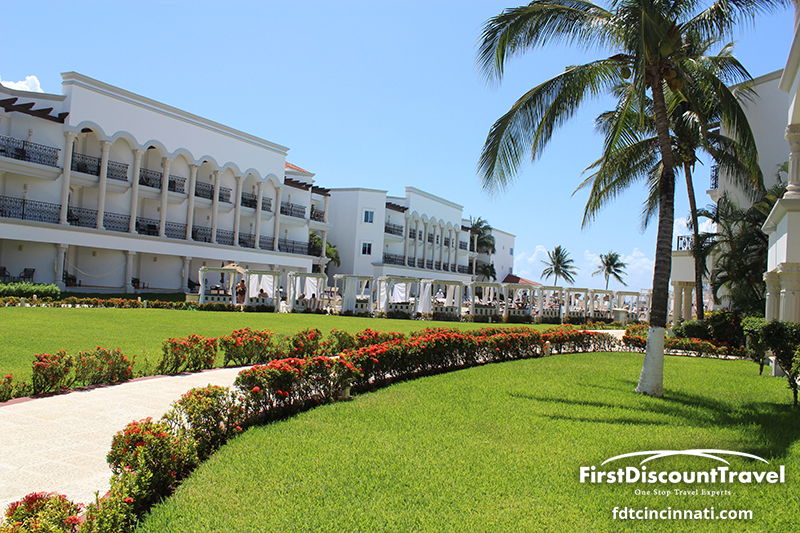 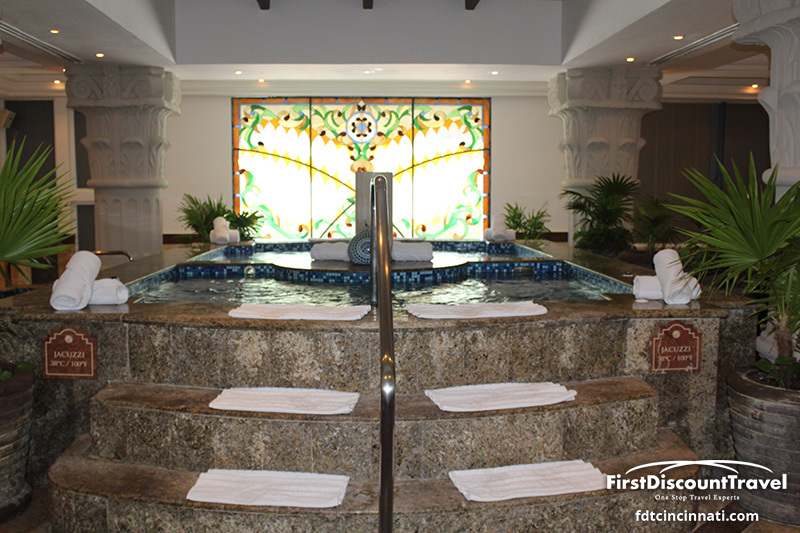 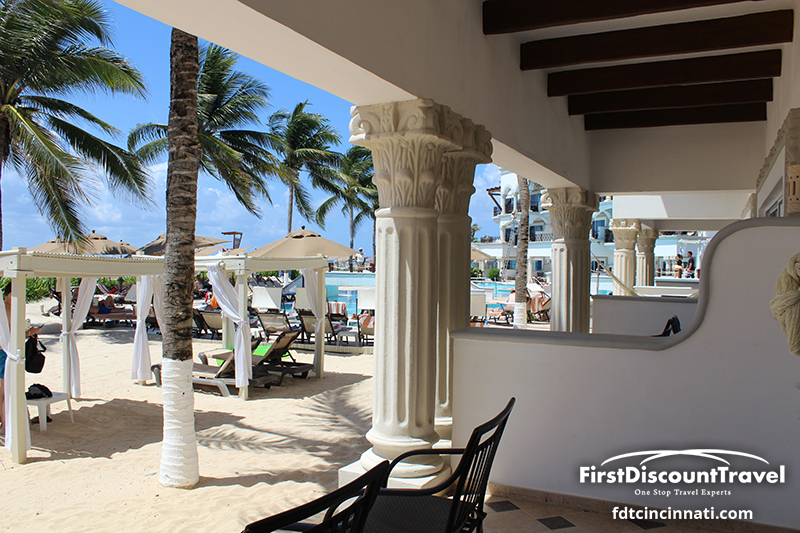 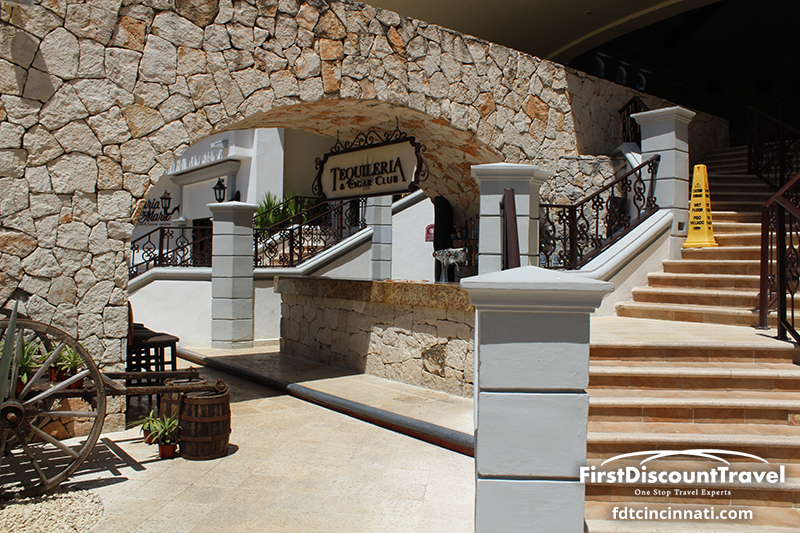 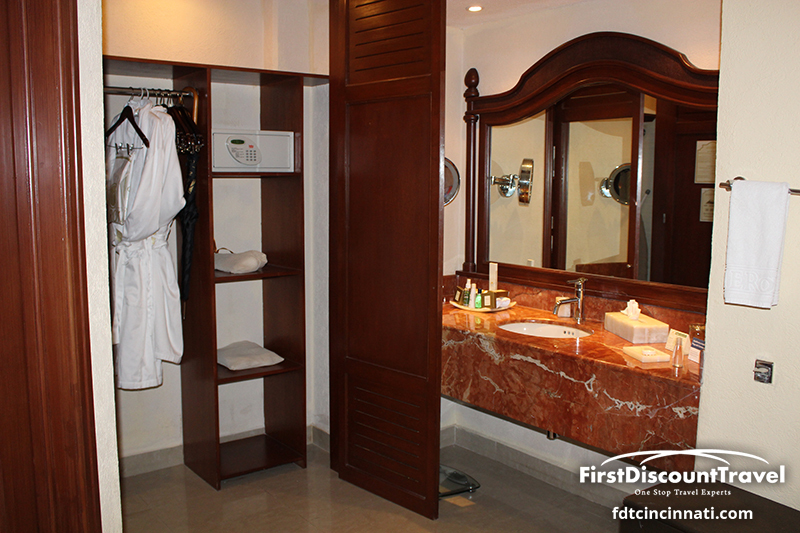 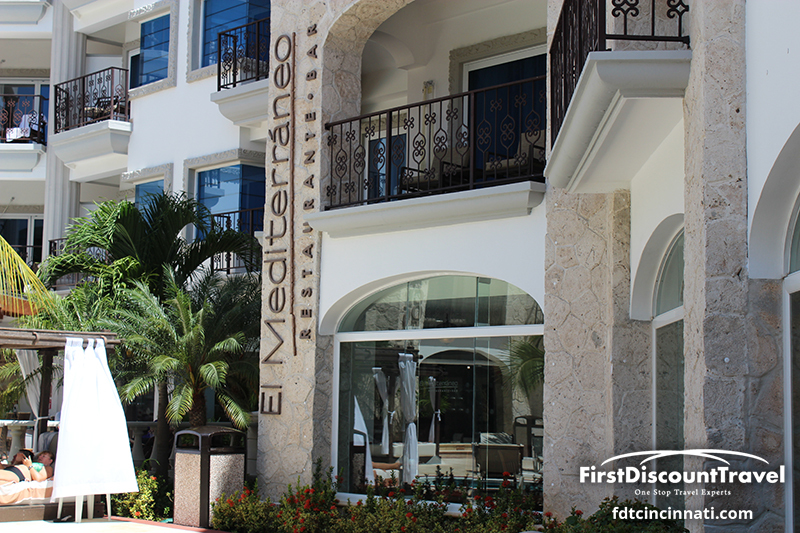 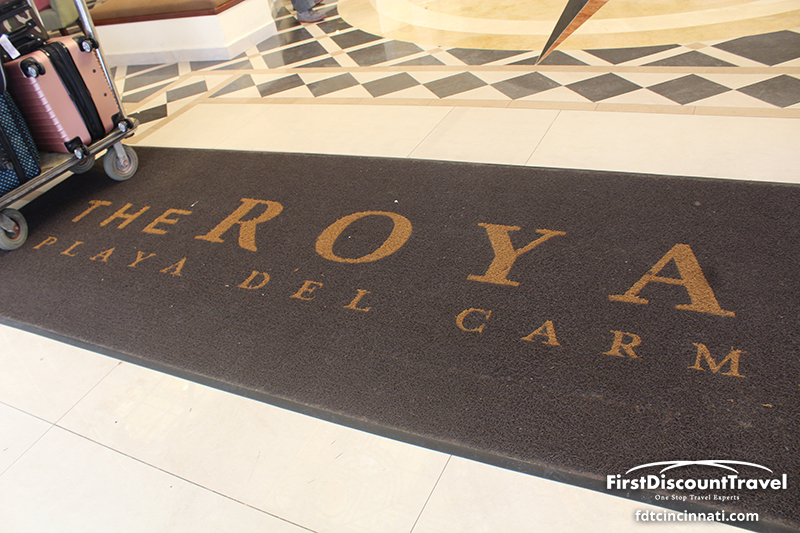 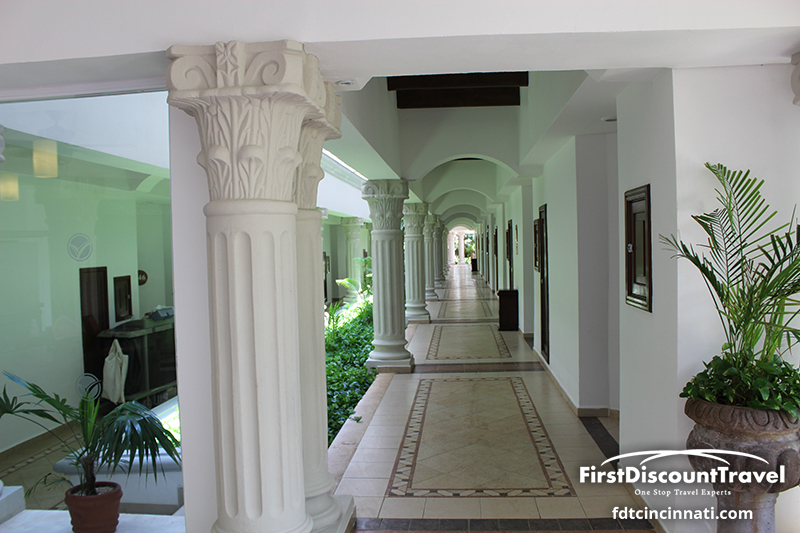 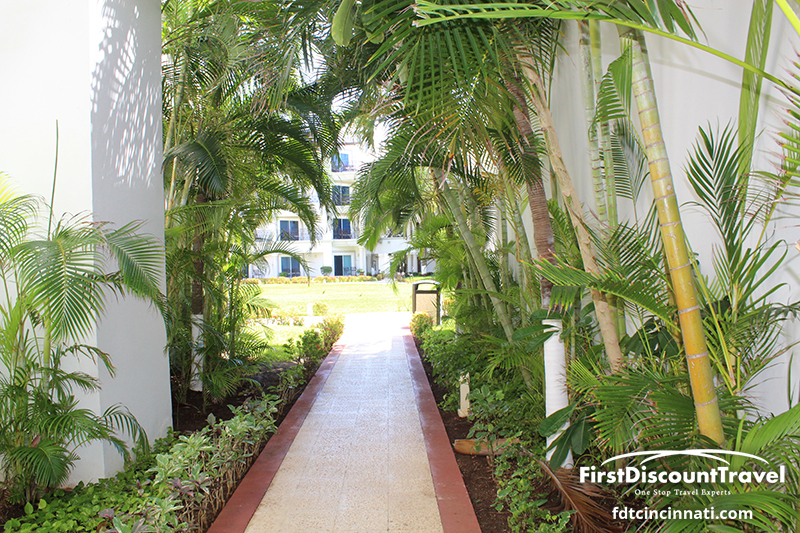 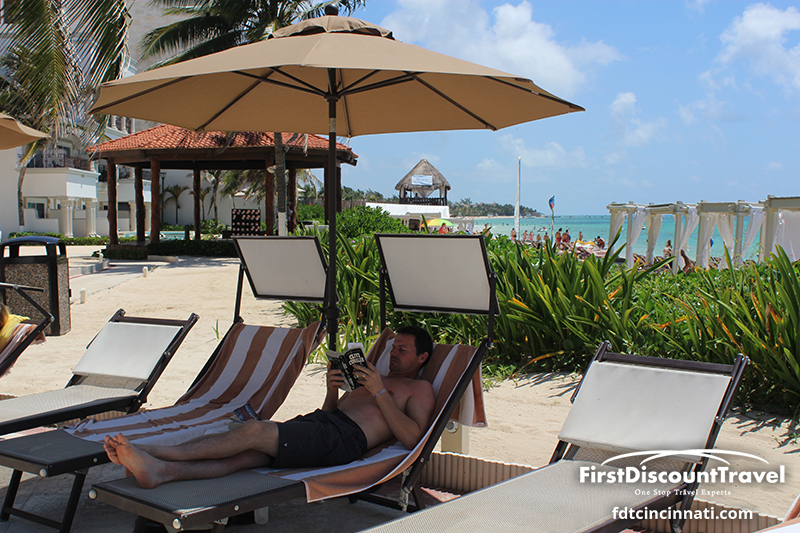 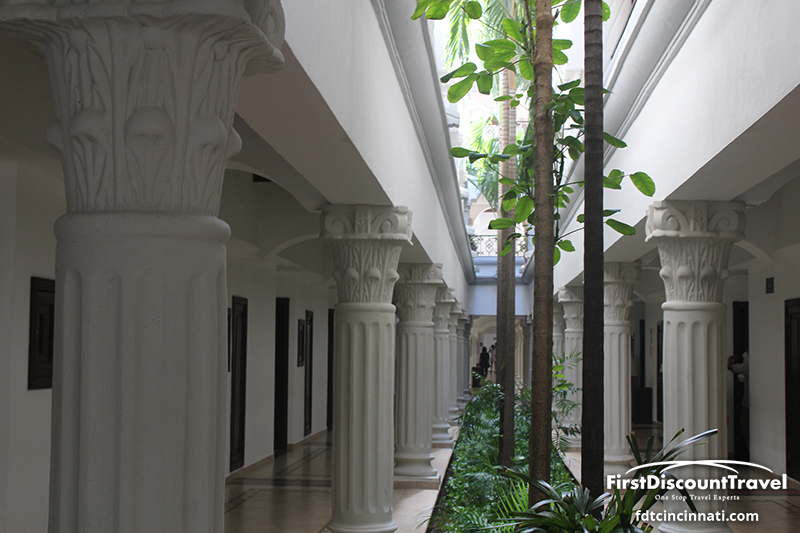 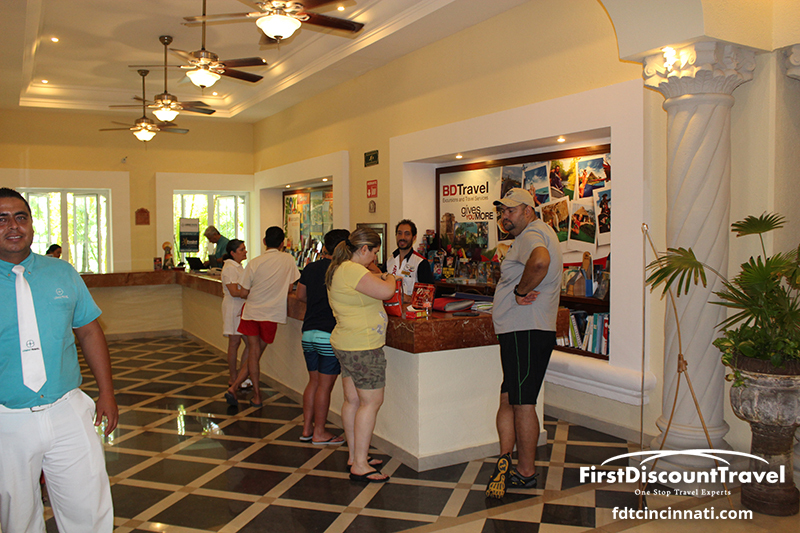 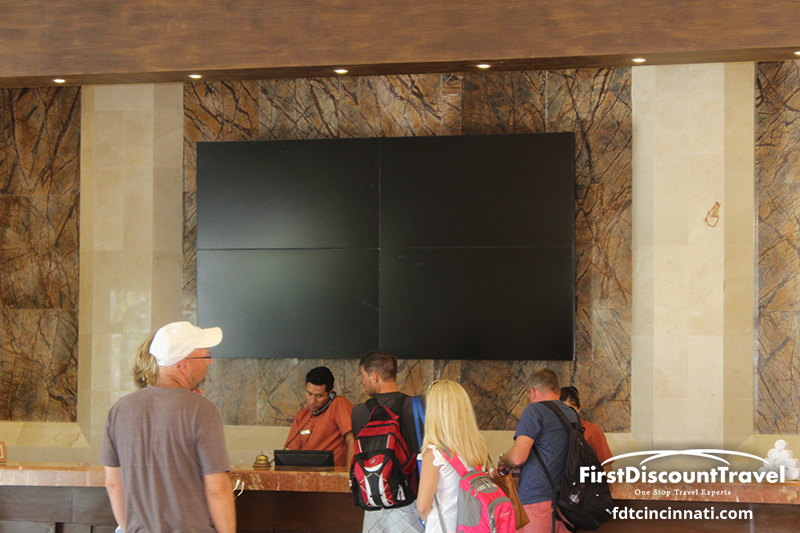 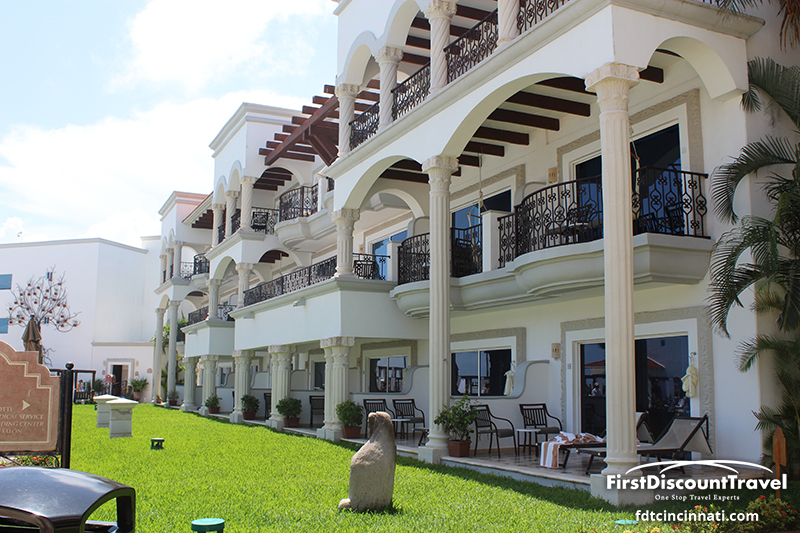 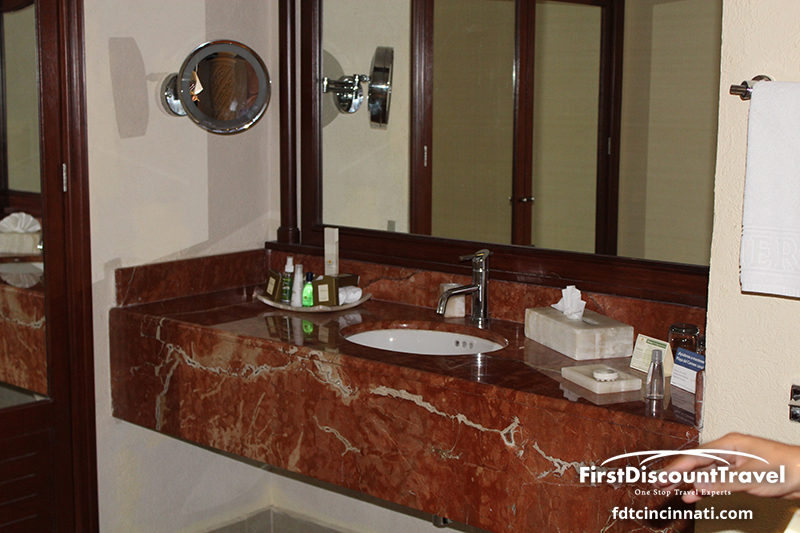 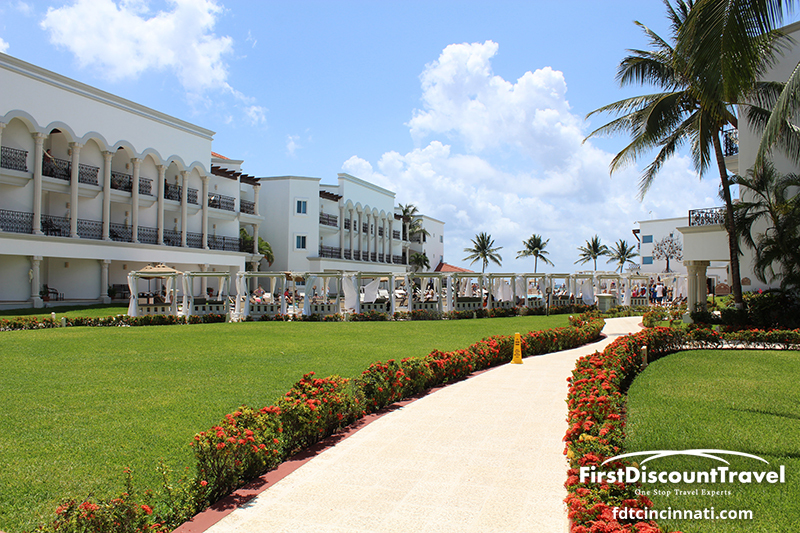 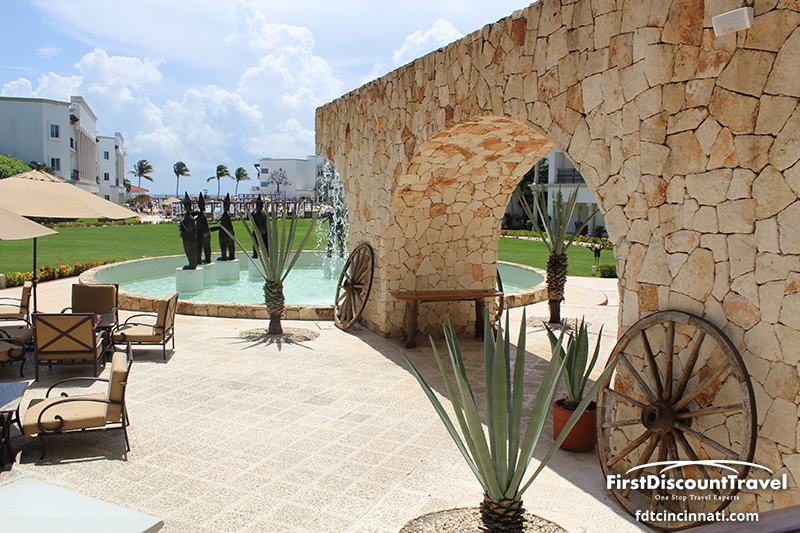 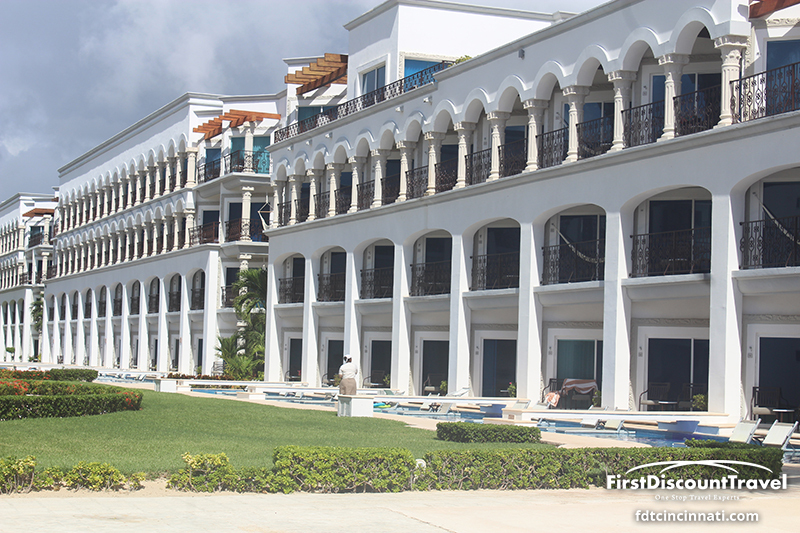 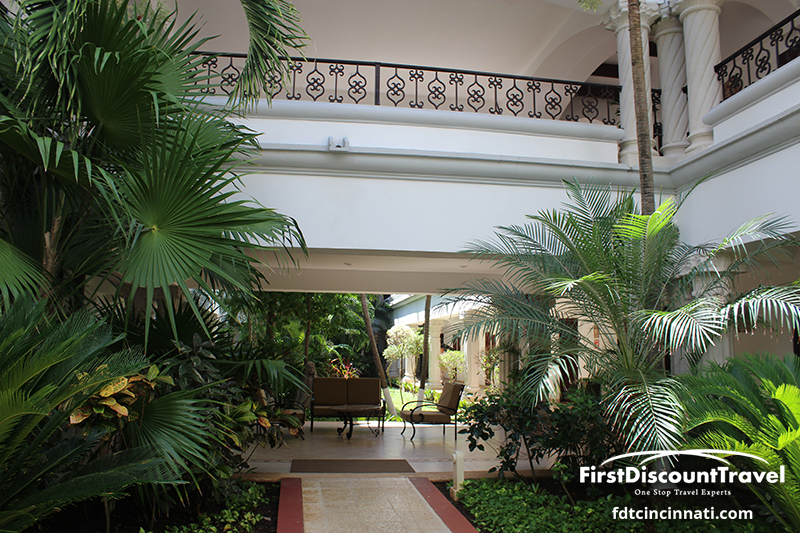 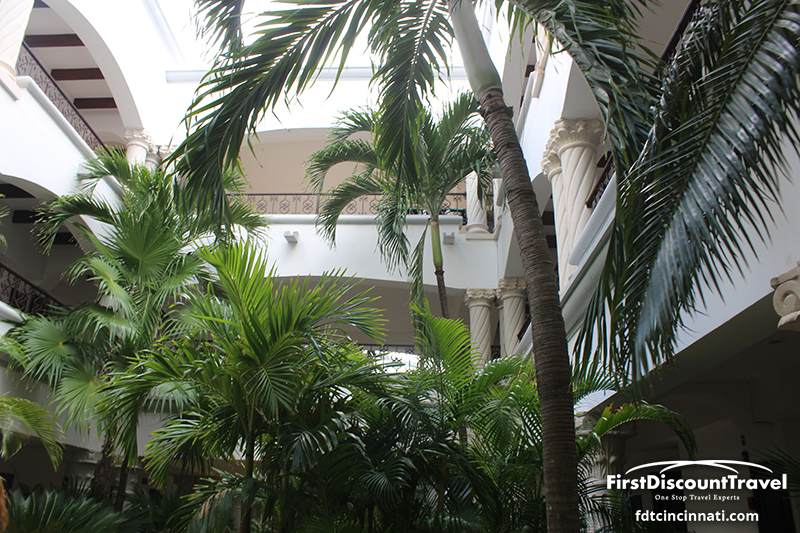 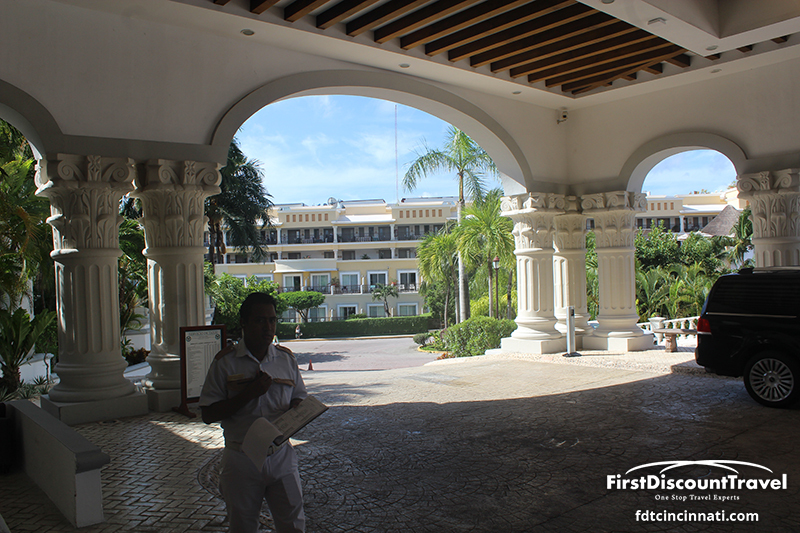 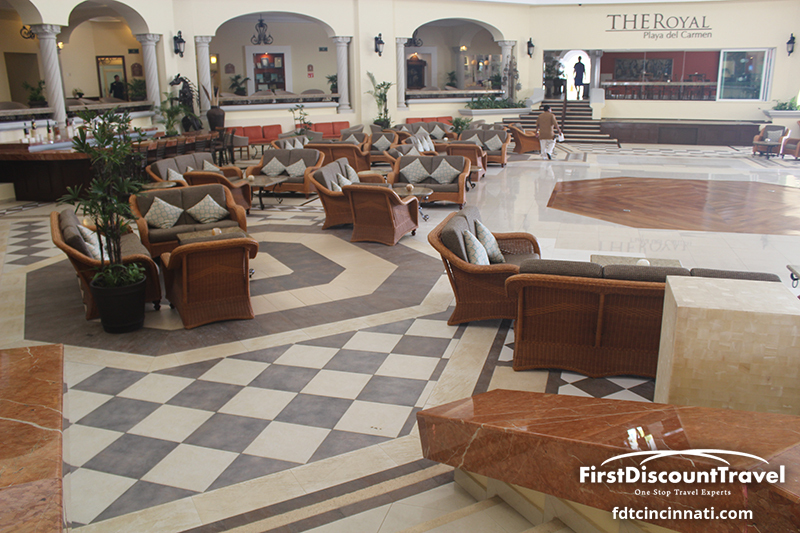 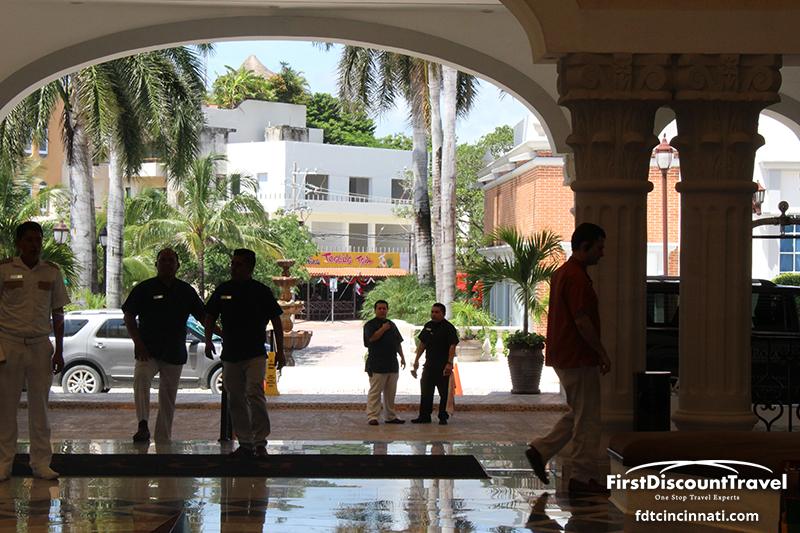 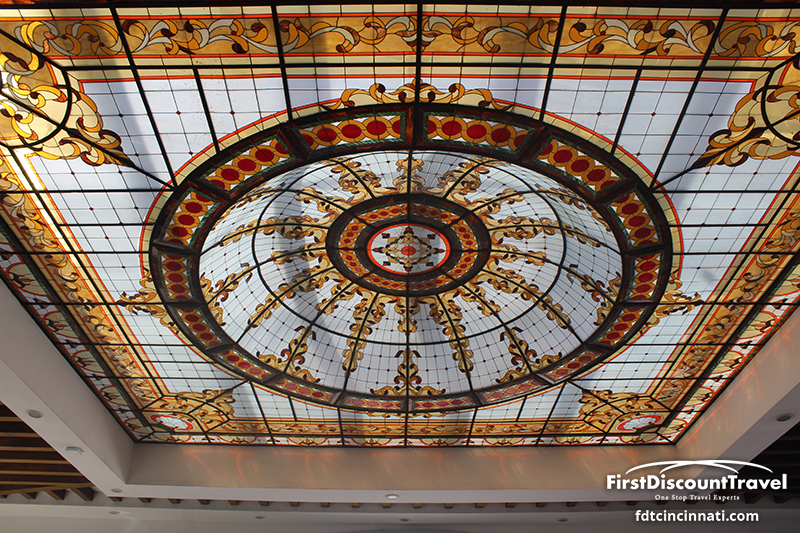 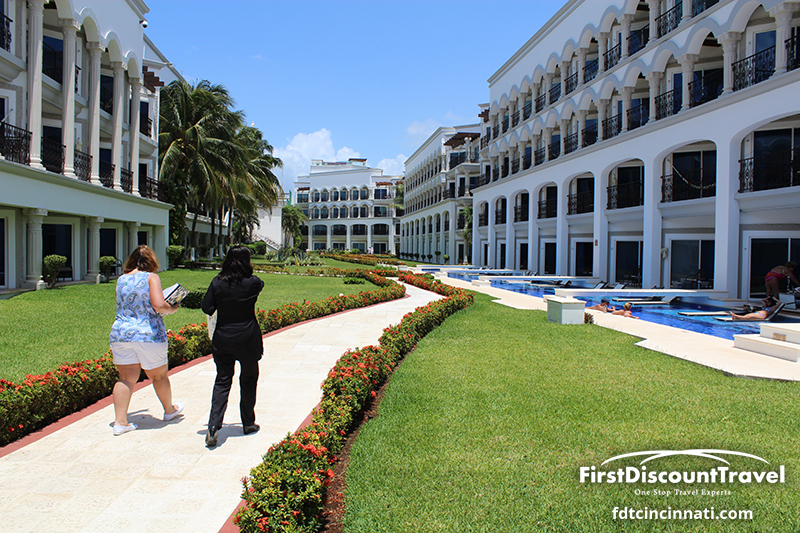 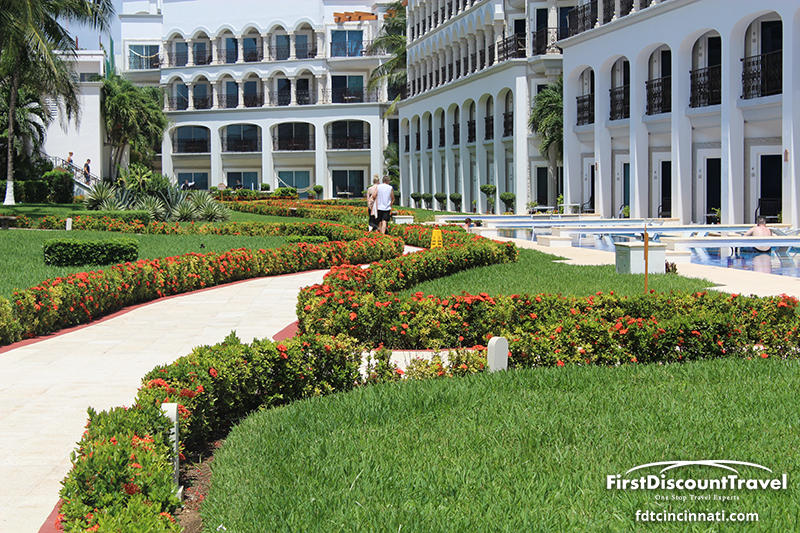 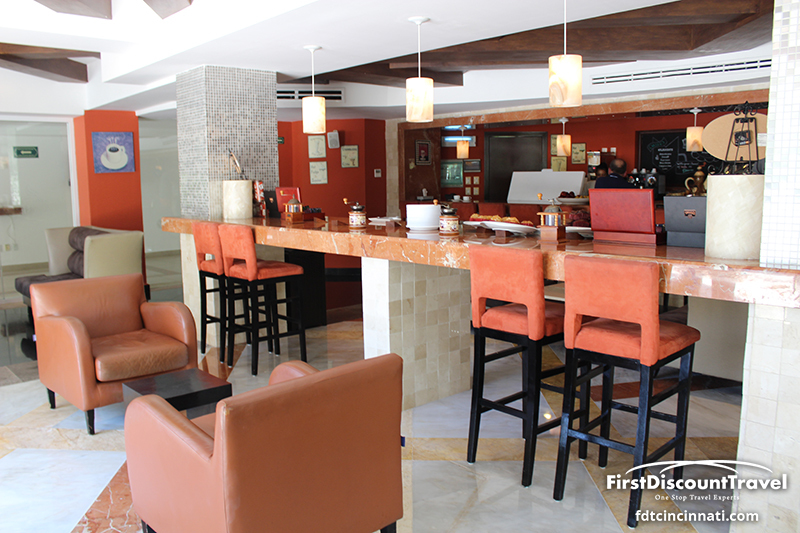 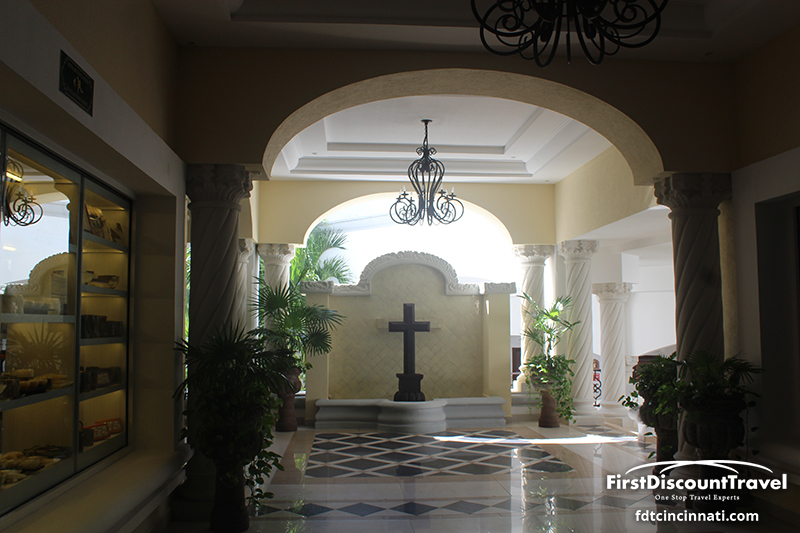 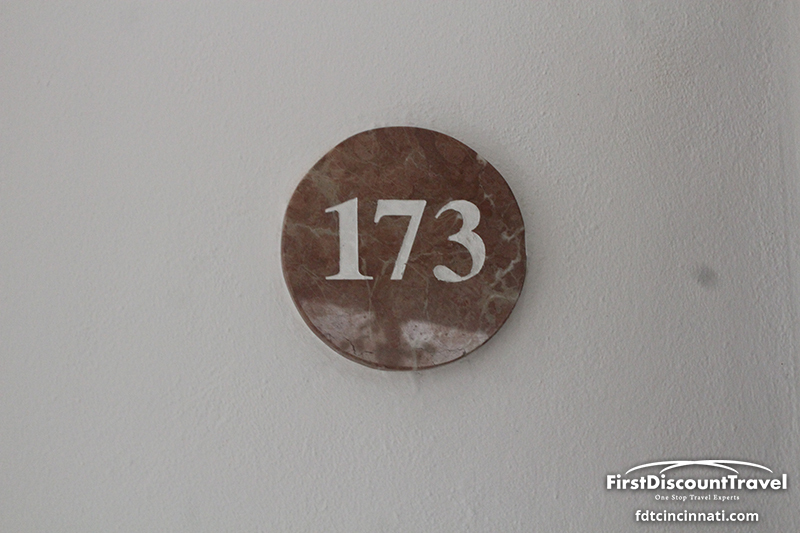 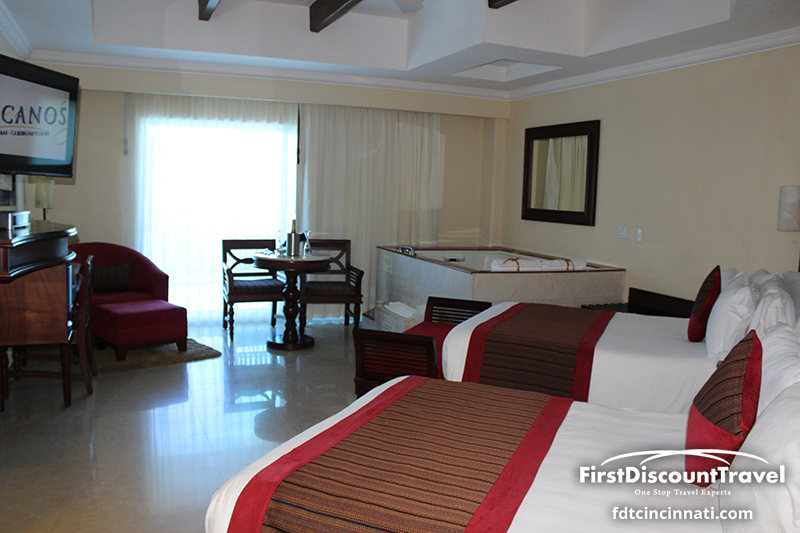 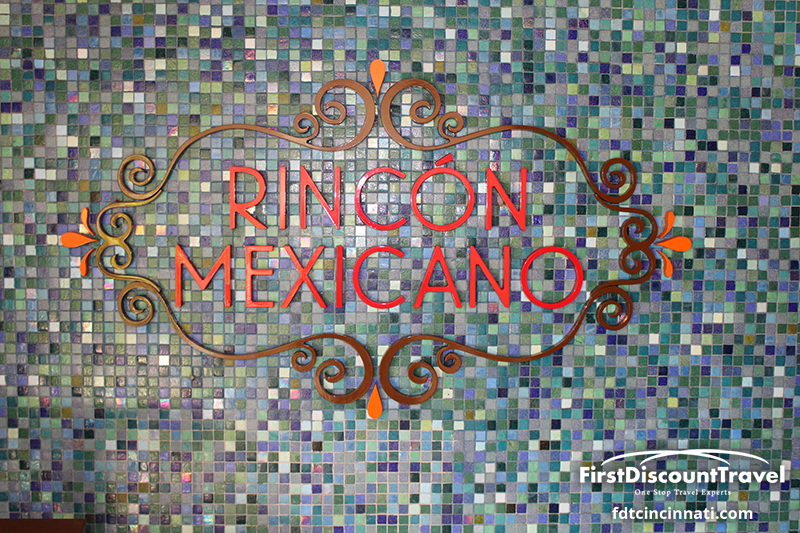 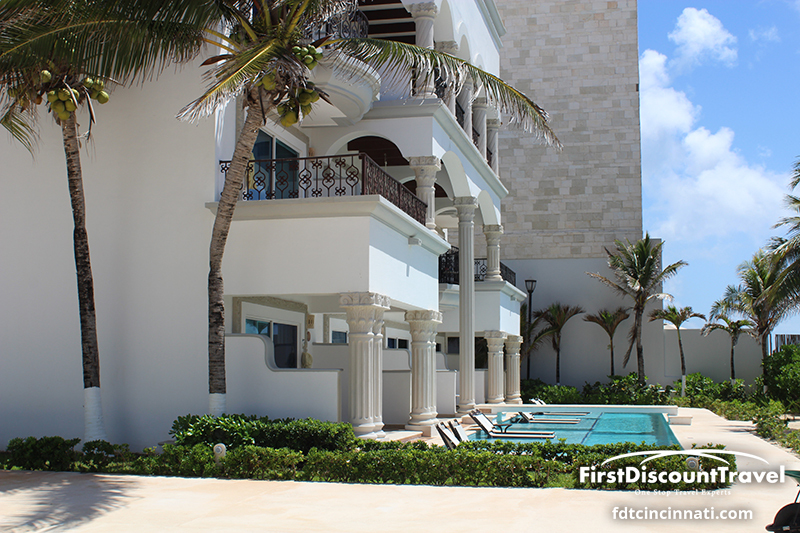 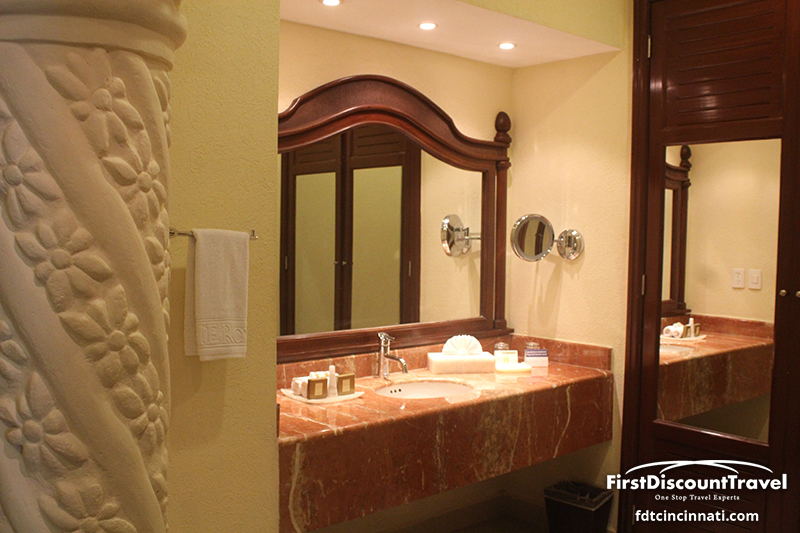 Redesigned and redefined, THE Royal Playa del Carmen is one of the most successful resorts on the Riviera Maya. 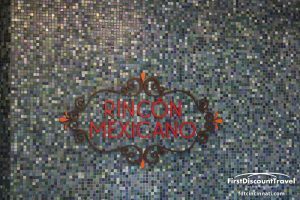 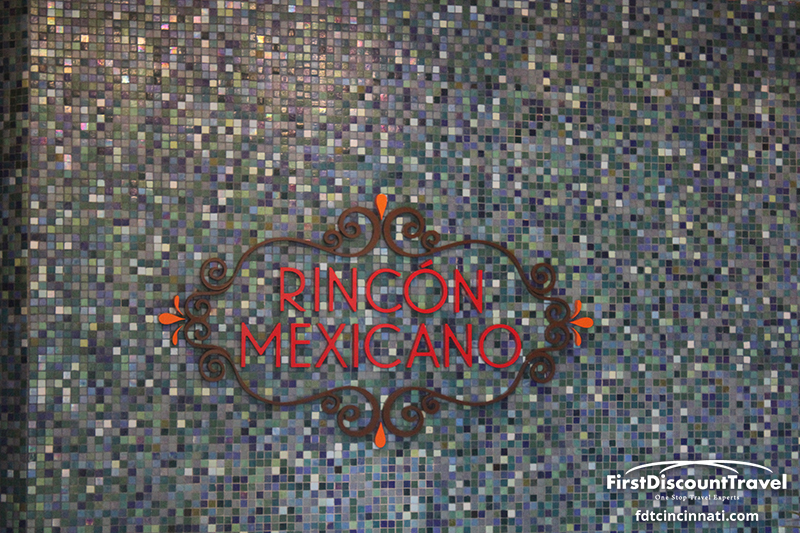 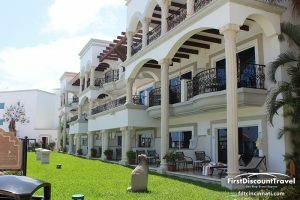 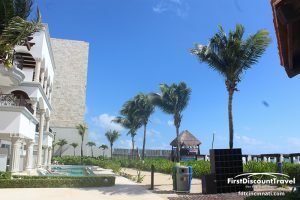 Like its sister property, THE Royal Cancun, guests will discover an explosion of luxury around every corner, all provided in an atmosphere of casual elegance. 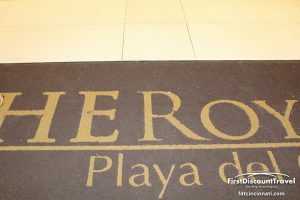 The Resort boasts a perfect beachfront location, mere steps from Playa del Carmen’s famed Fifth Avenue, with its hip night spots, trendy cafes, colorful shops and local color while experiencing THE Royal’s flawless hospitality. 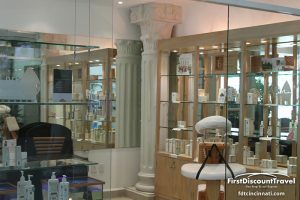 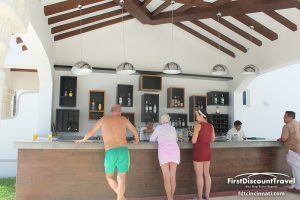 The resort’s interior is as impressive as its palatial exterior, where the use of textures, fabrics and natural materials reflects sophisticated seaside grace. 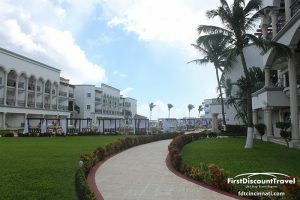 The richness of the extra spacious suites (many of which are ocean view or oceanfront), the exquisite furniture, handcrafted by local artisans, the spacious marble bathrooms and furnished terraces, plus an array of unique and exceptional guest amenities assure an experience that goes beyond luxury for discerning guests. 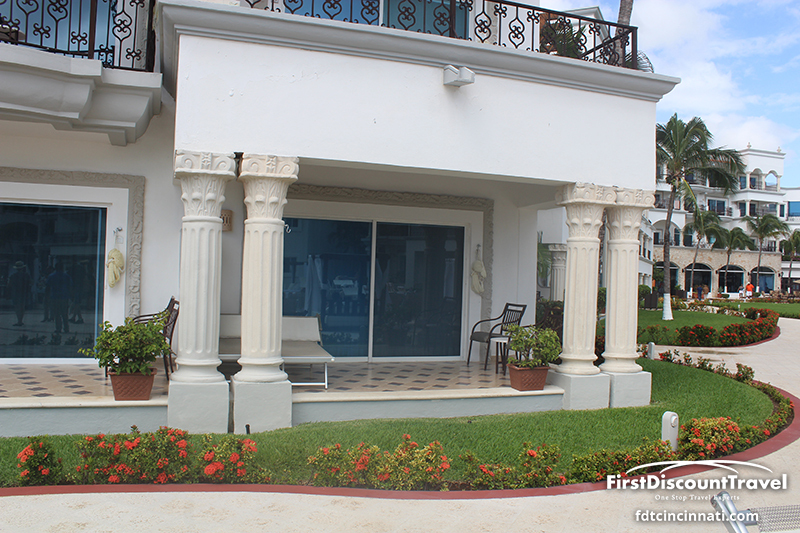 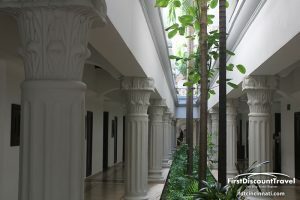 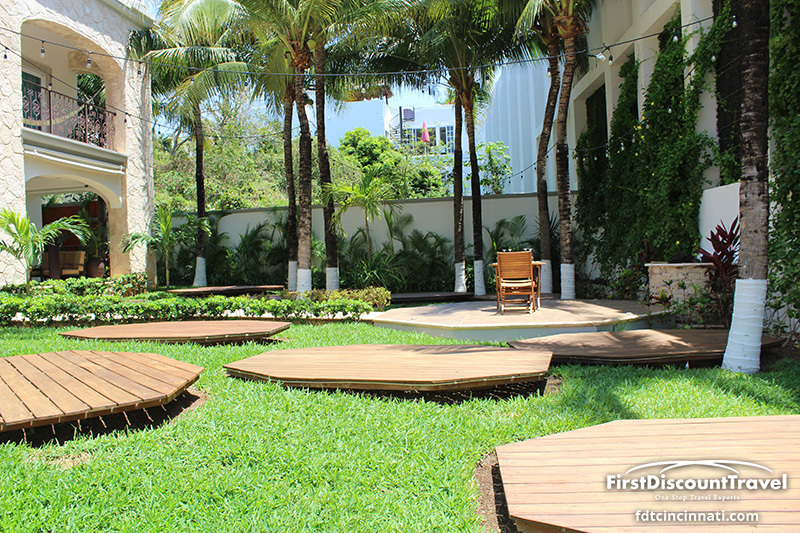 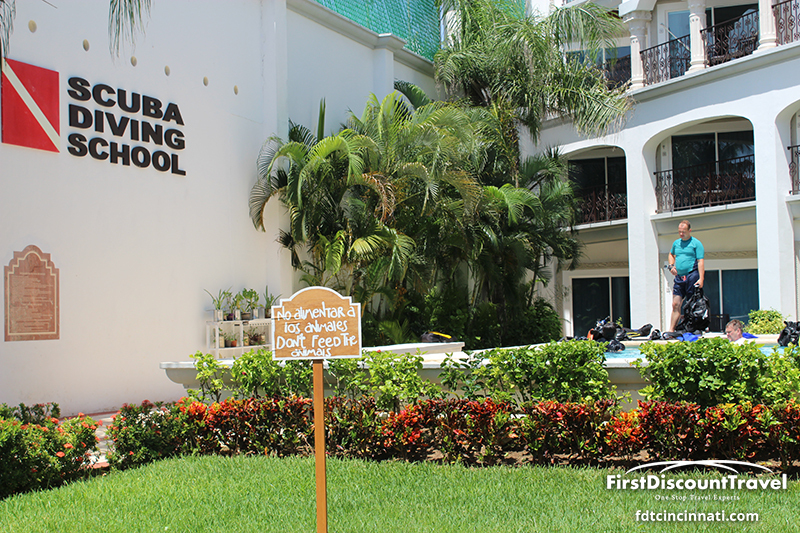 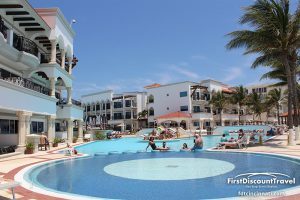 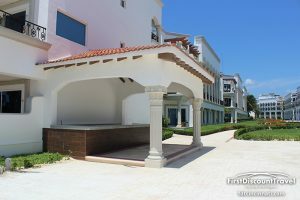 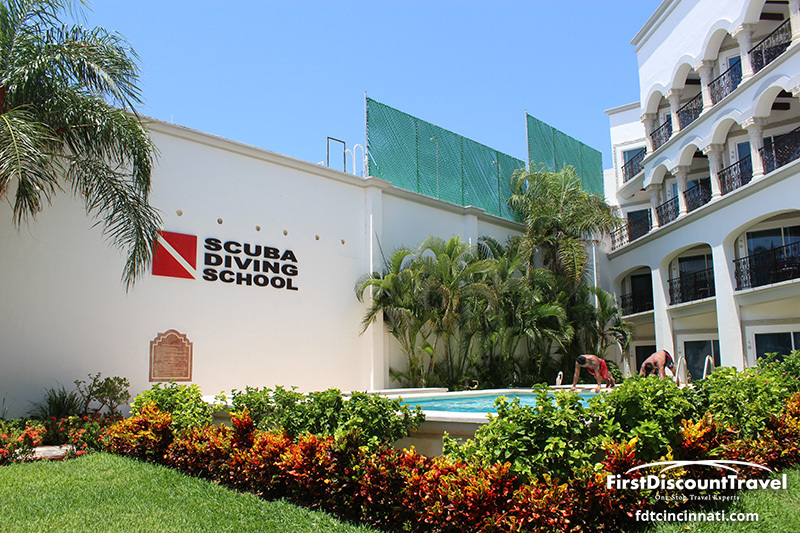 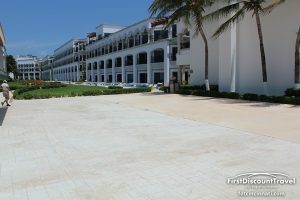 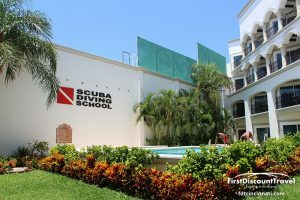 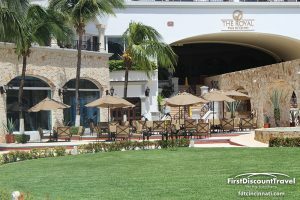 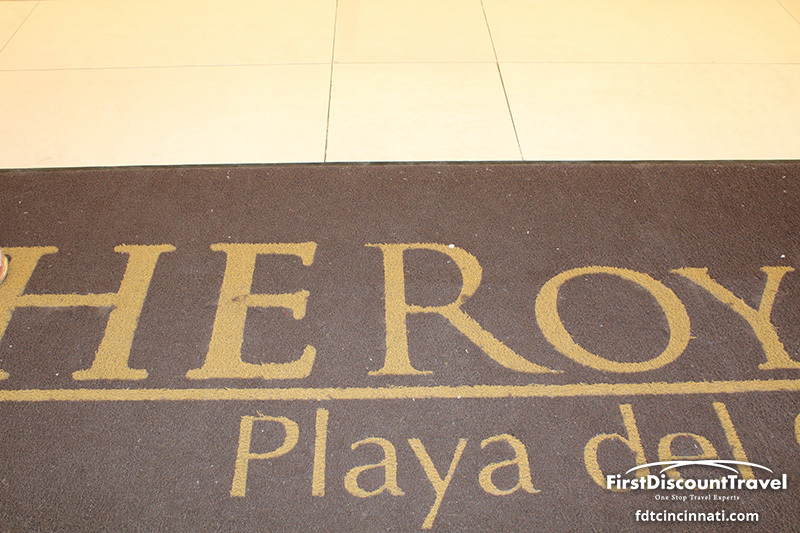 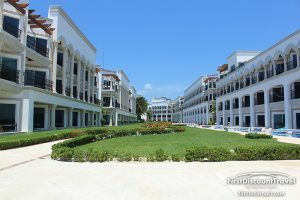 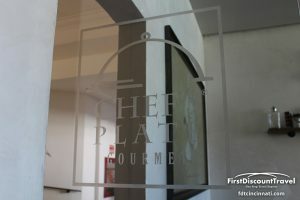 The Royal Playa del Carmen opened in 2004 and is an adult only resort located in the heart of Playa del Carmen on Fifth Avenue. 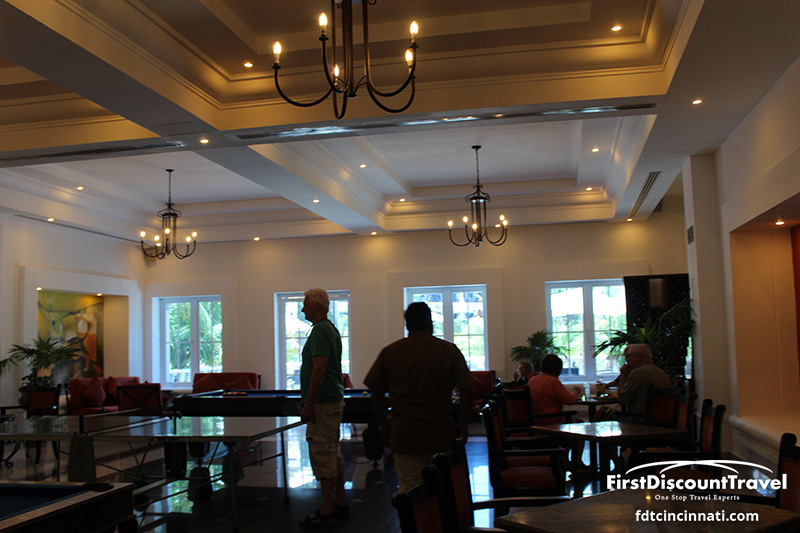 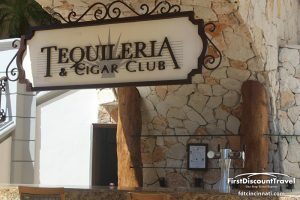 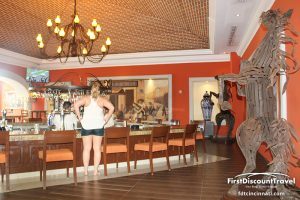 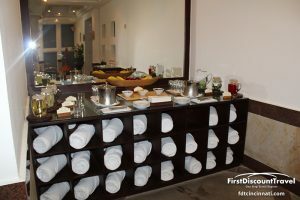 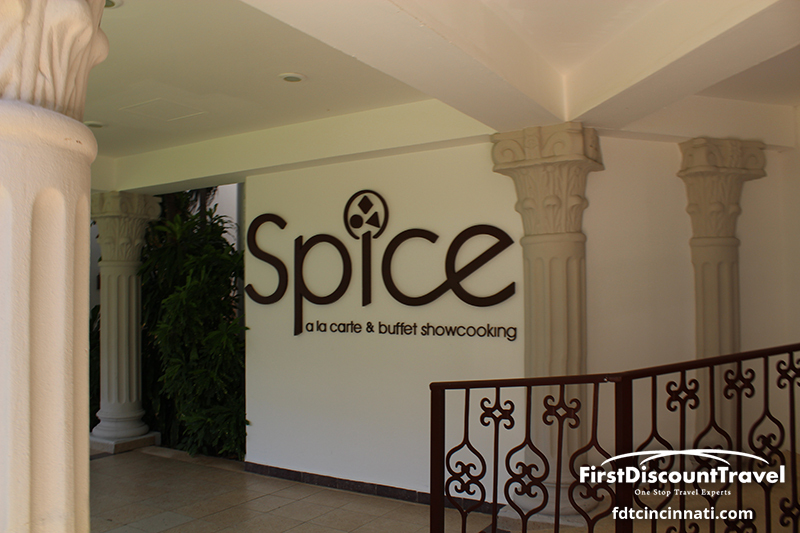 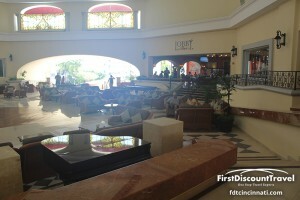 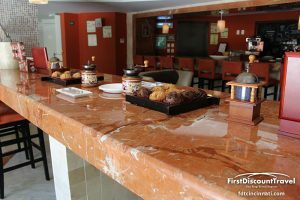 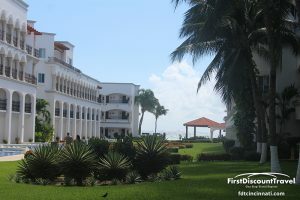 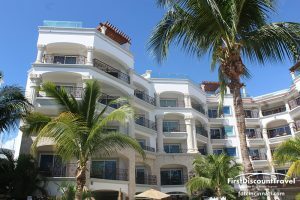 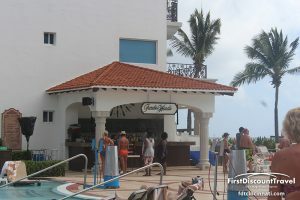 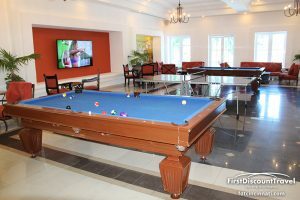 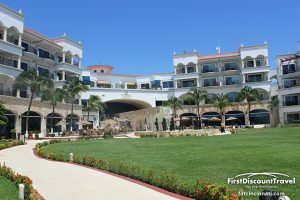 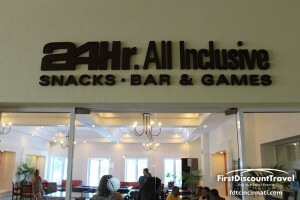 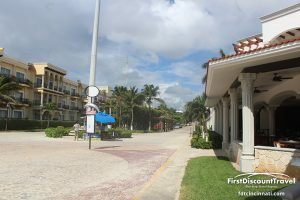 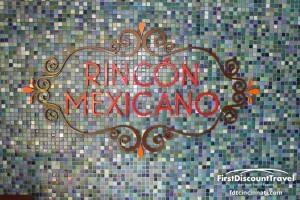 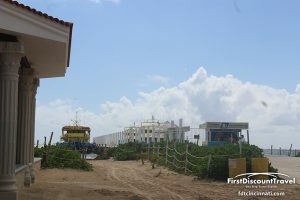 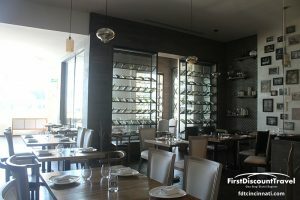 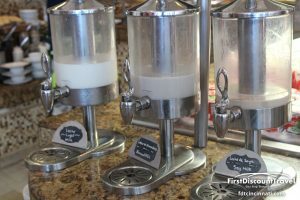 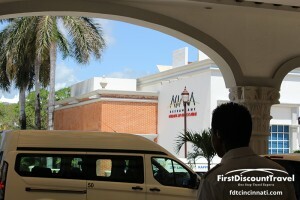 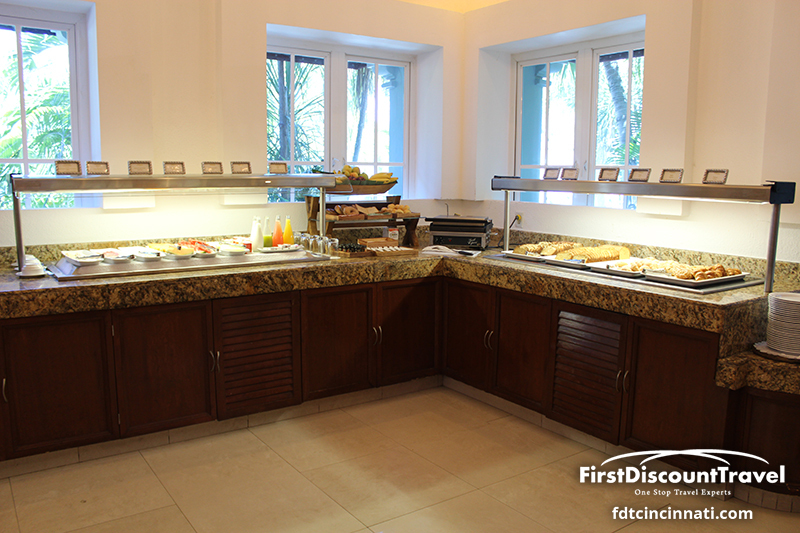 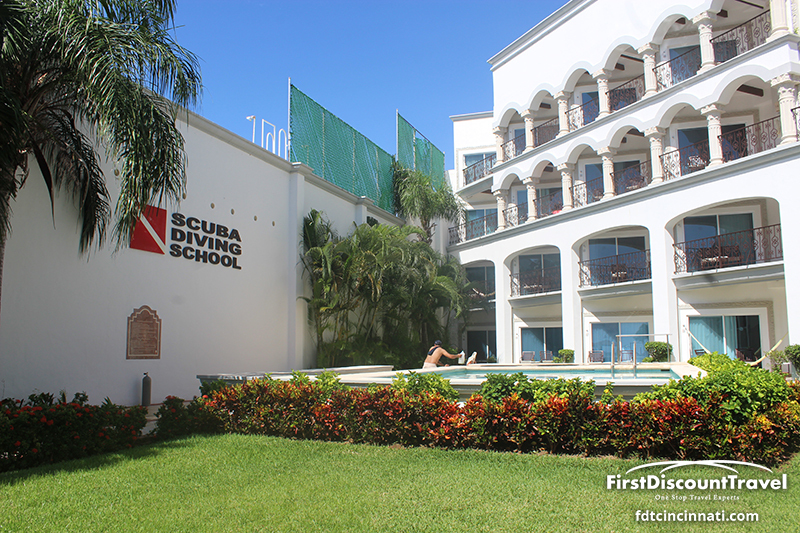 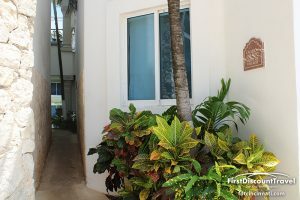 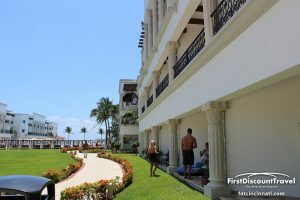 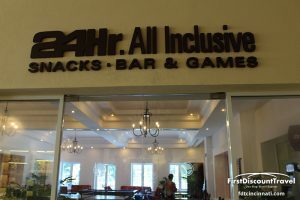 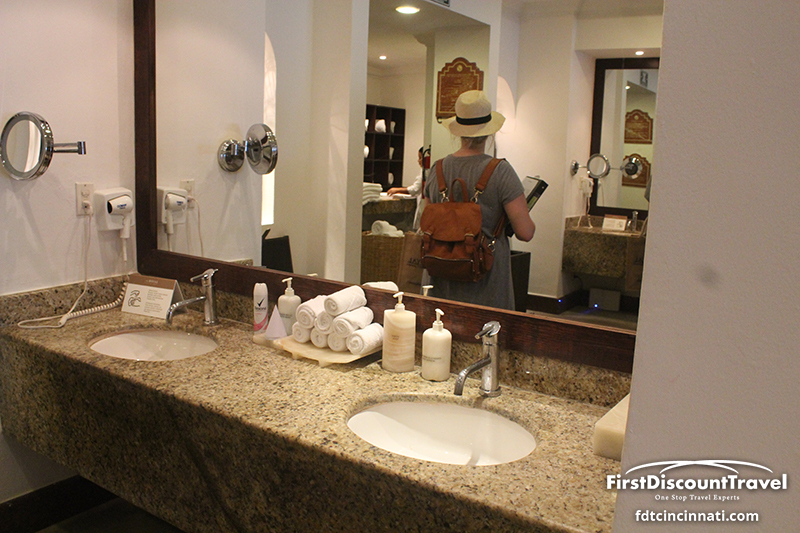 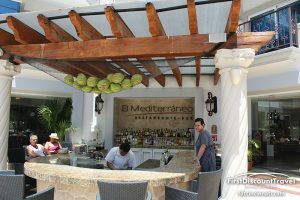 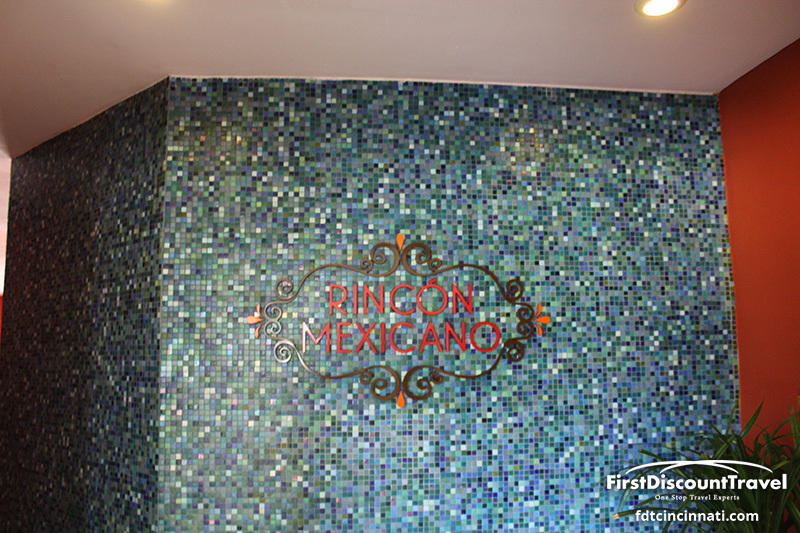 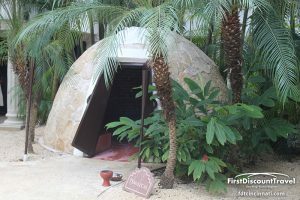 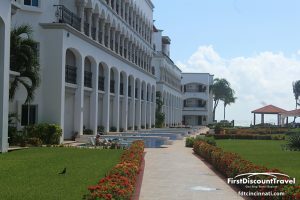 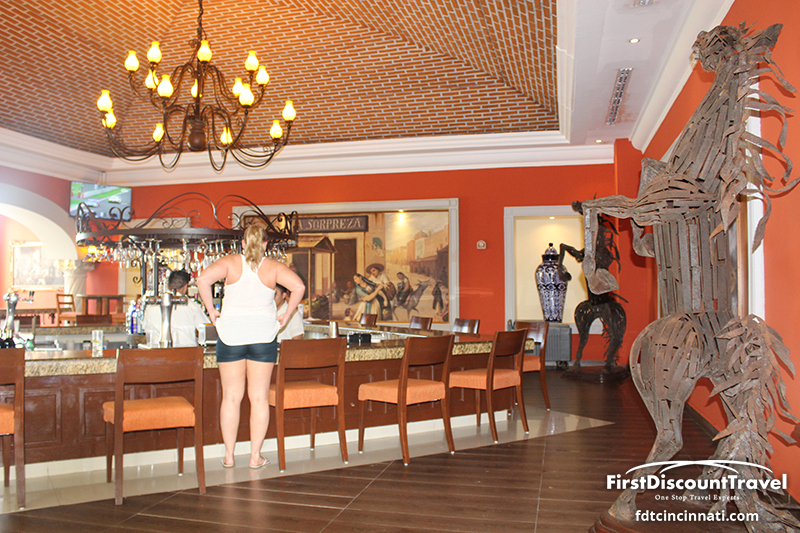 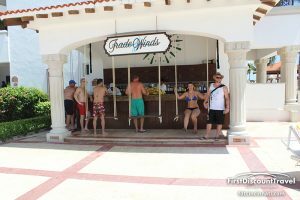 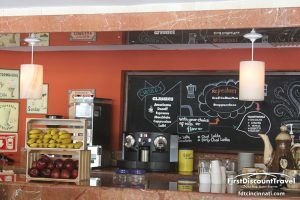 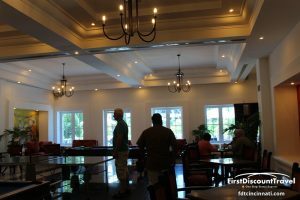 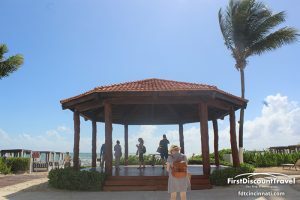 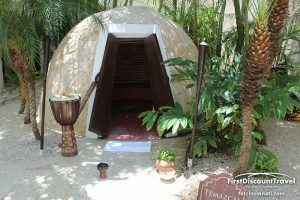 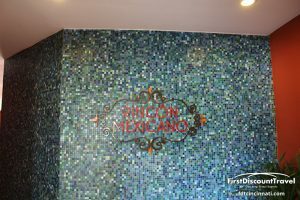 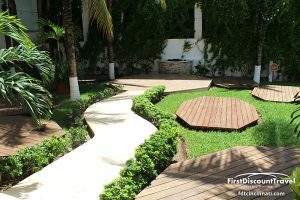 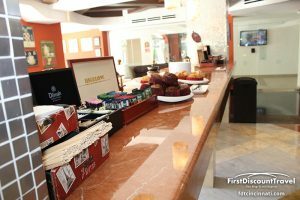 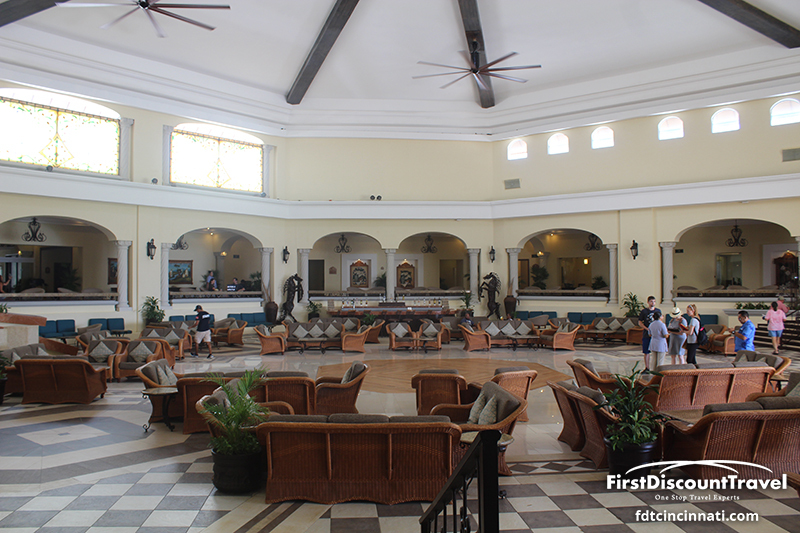 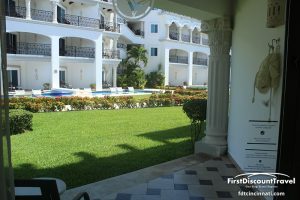 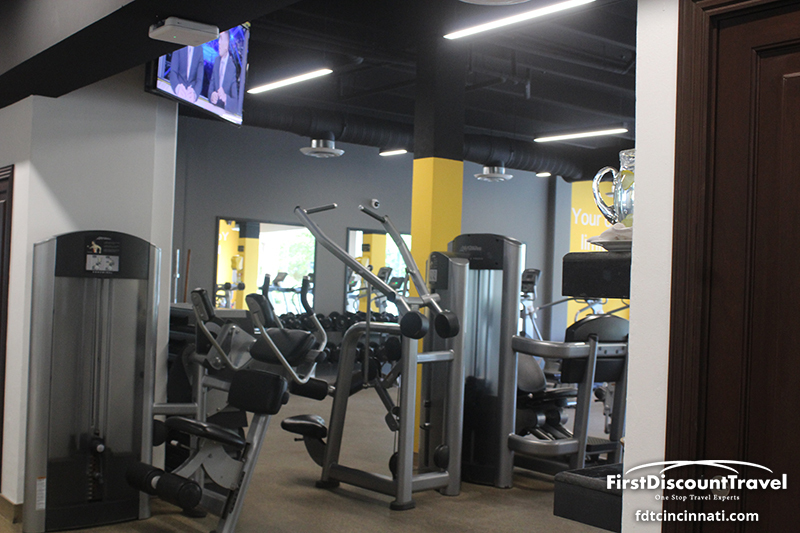 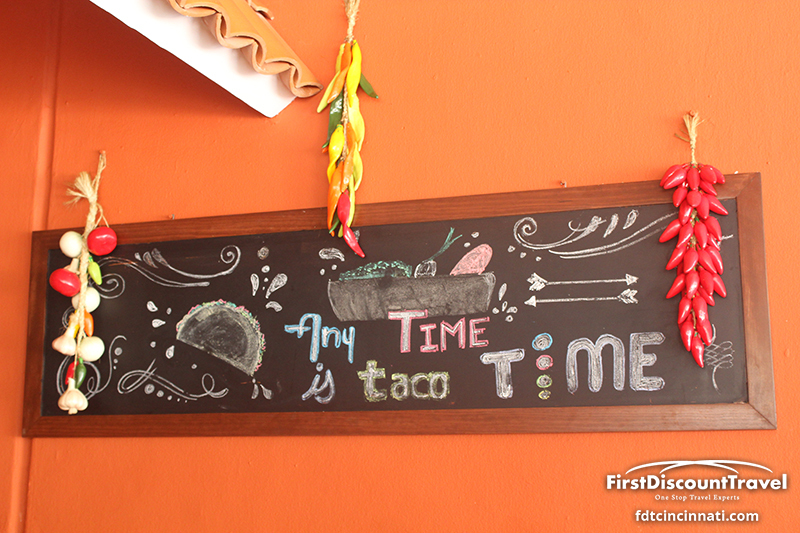 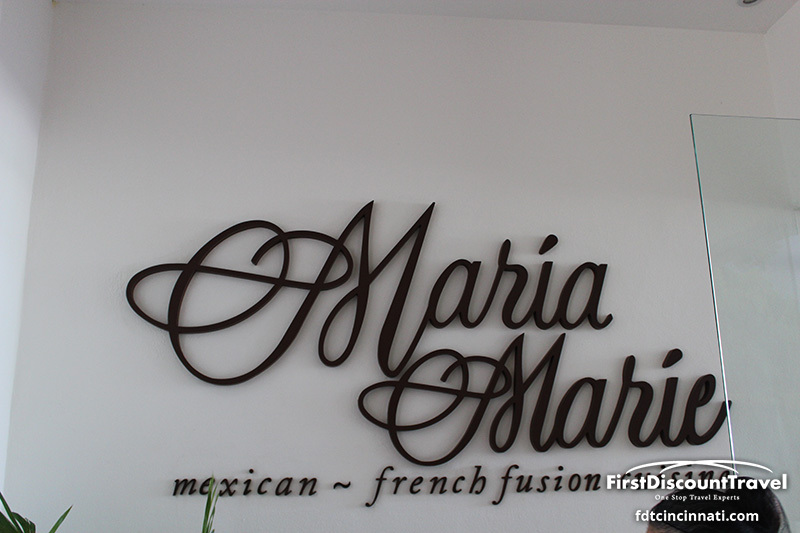 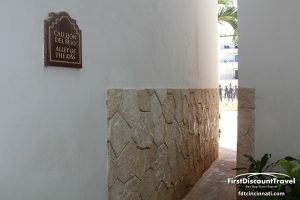 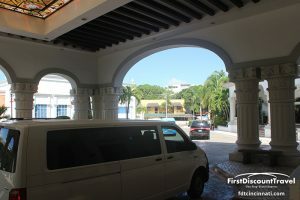 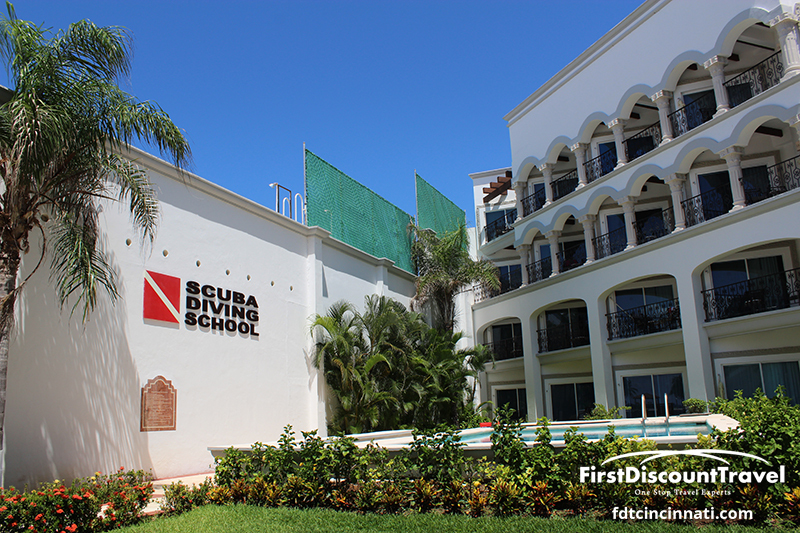 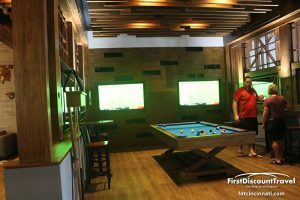 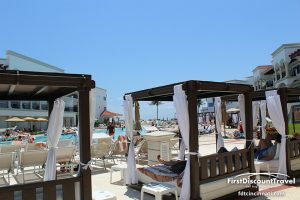 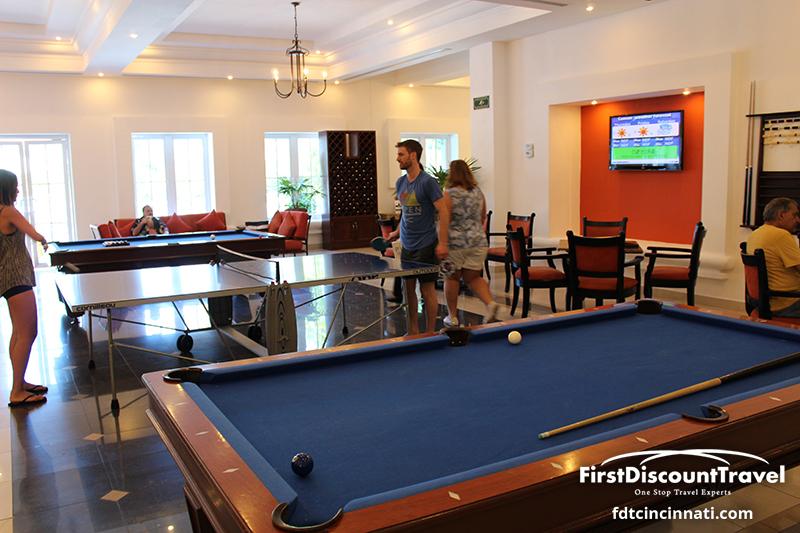 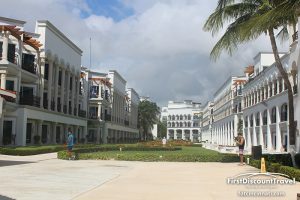 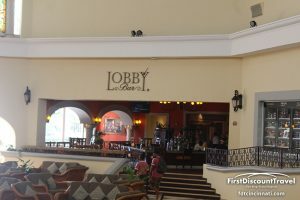 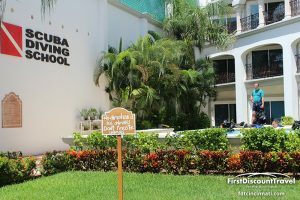 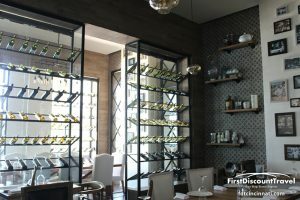 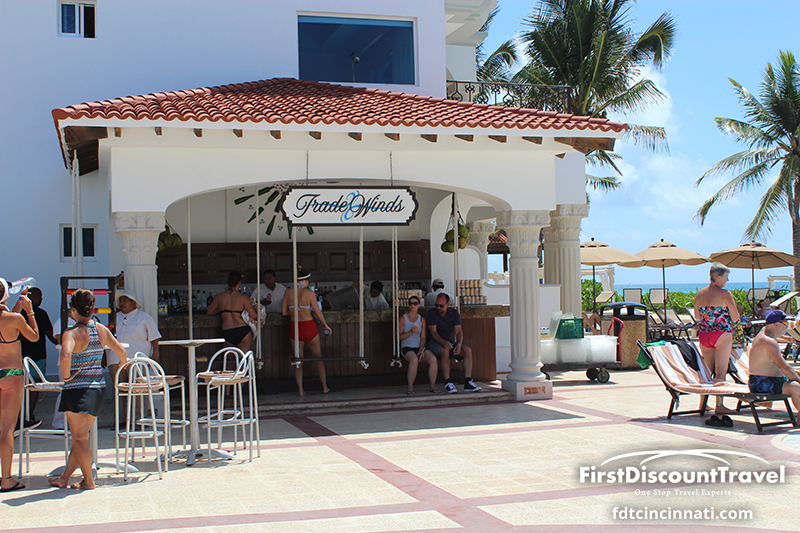 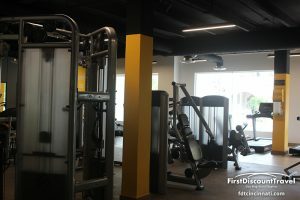 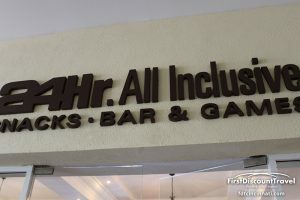 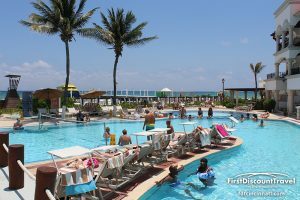 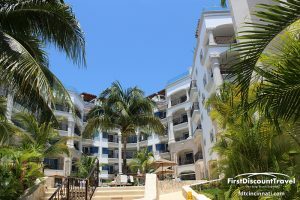 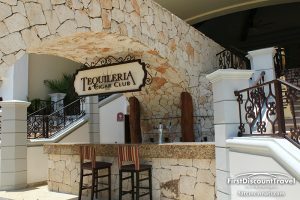 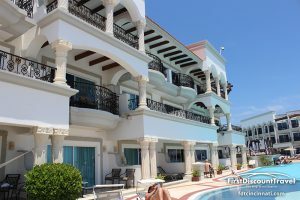 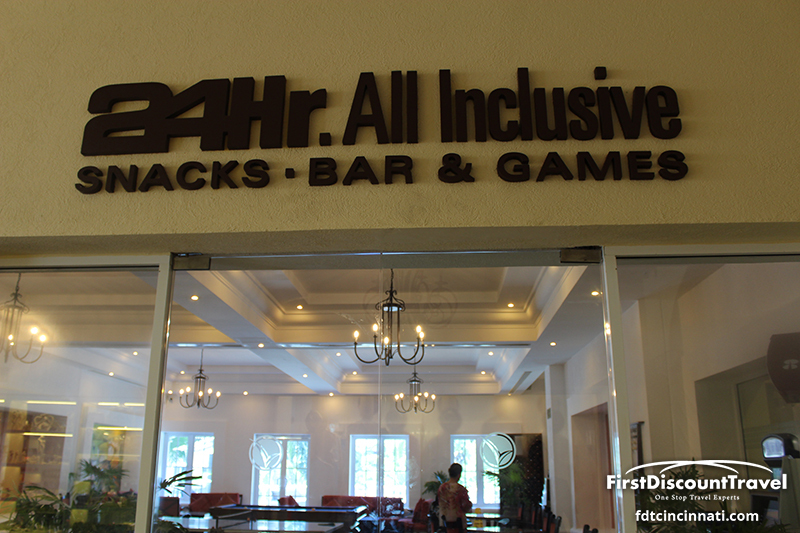 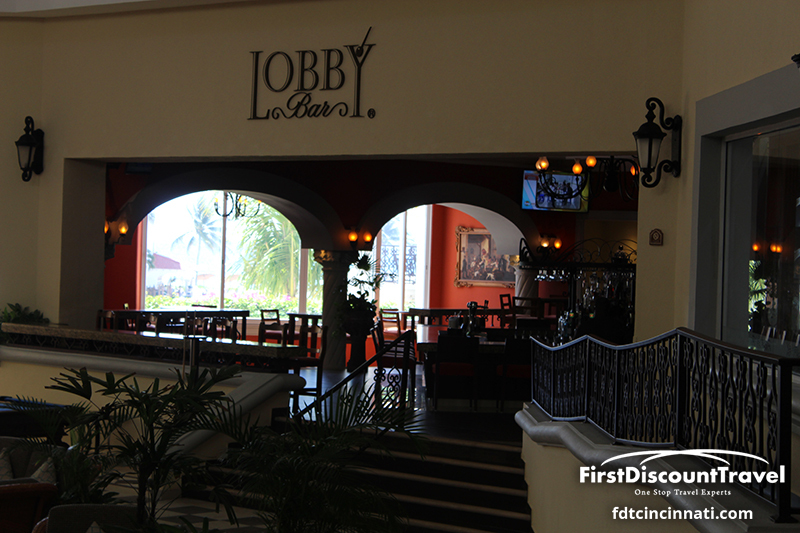 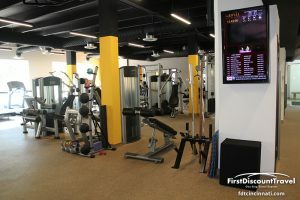 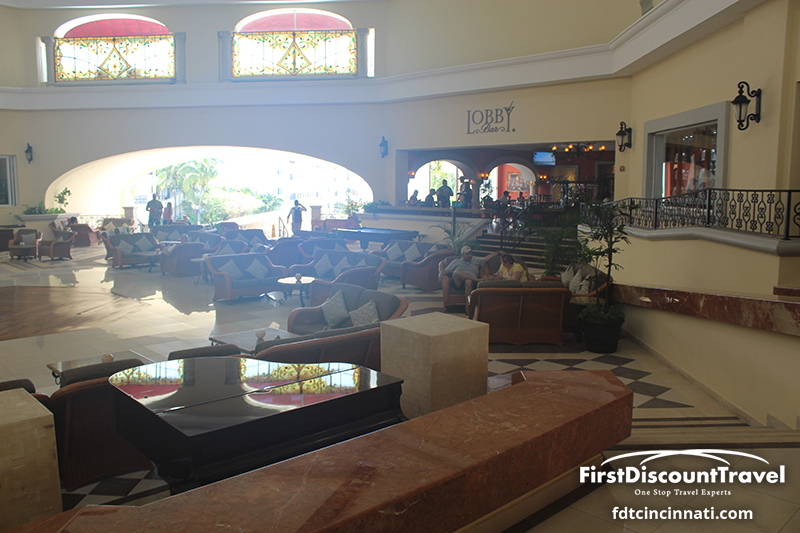 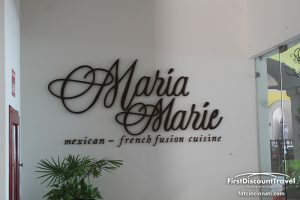 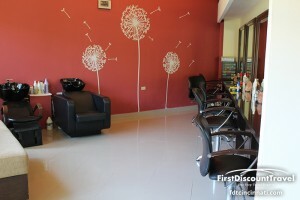 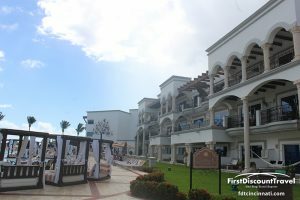 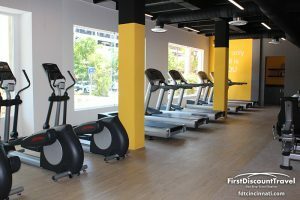 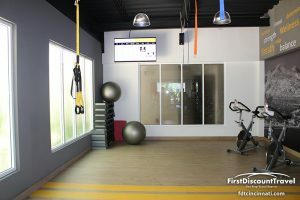 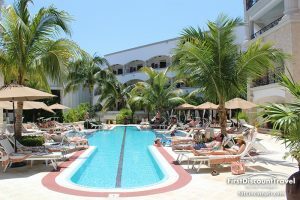 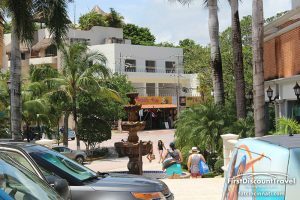 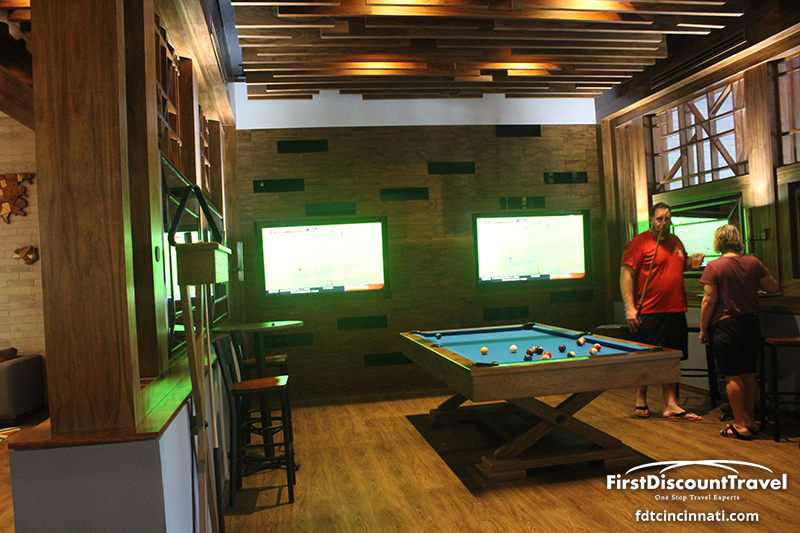 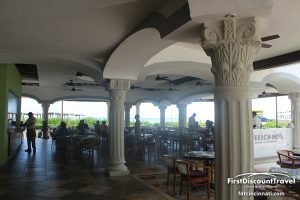 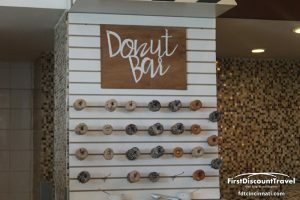 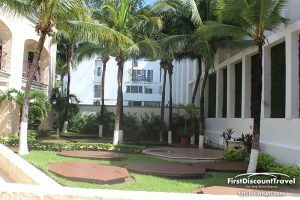 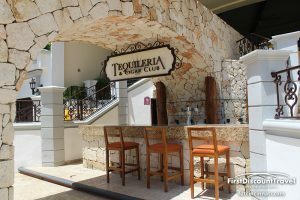 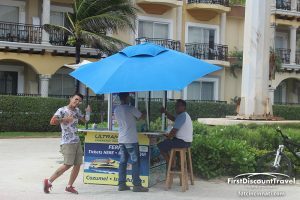 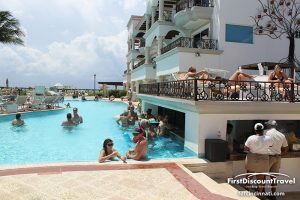 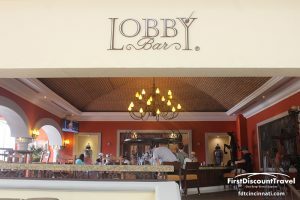 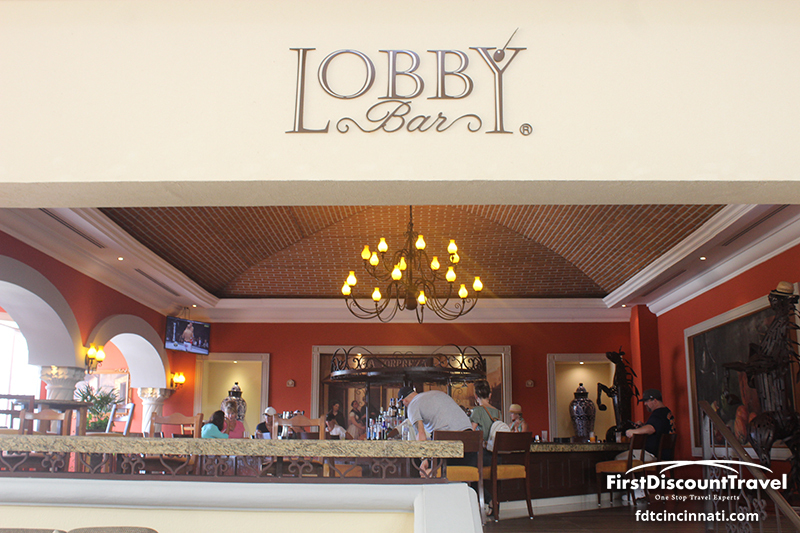 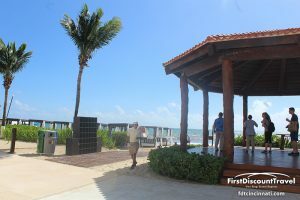 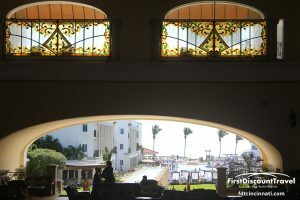 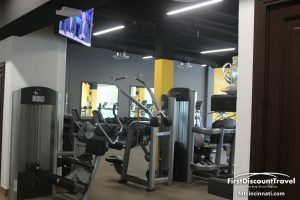 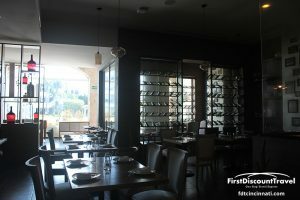 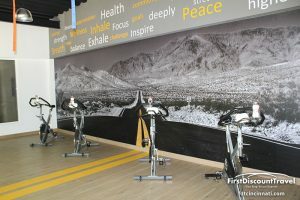 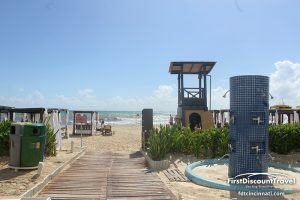 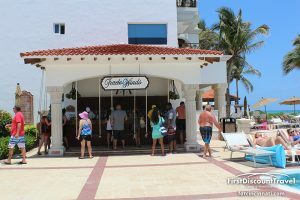 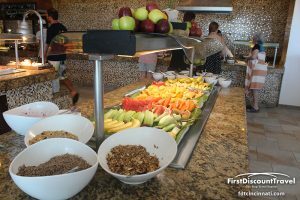 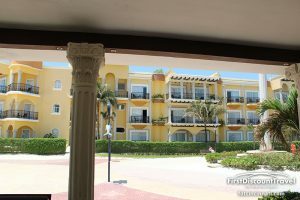 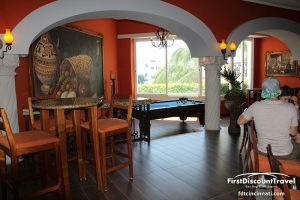 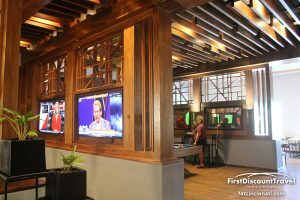 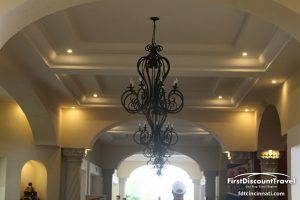 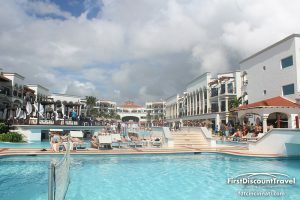 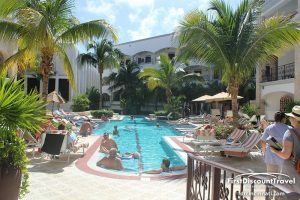 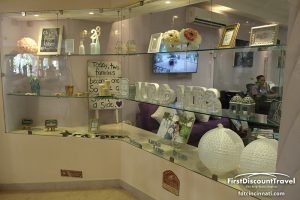 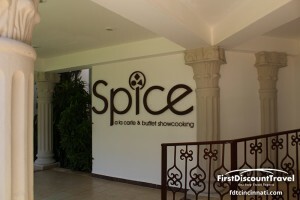 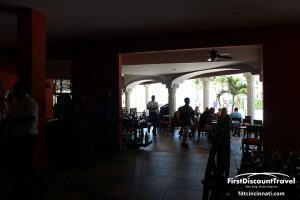 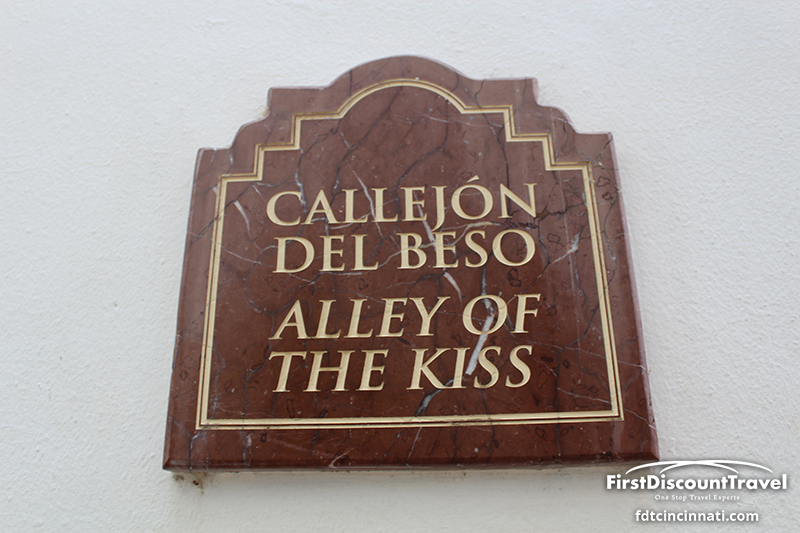 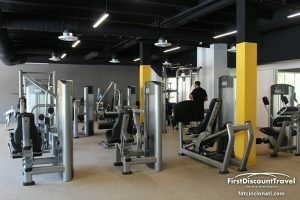 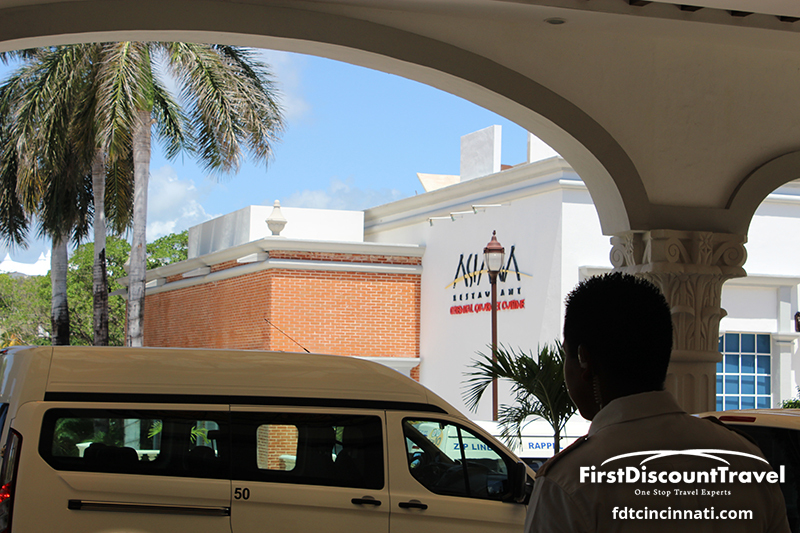 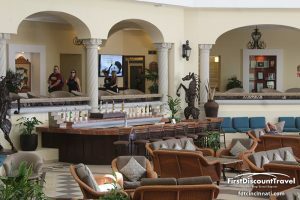 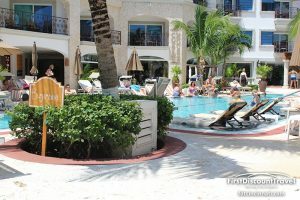 The resort is 45 minutes from the airport and offers direct access to the nightlife, unique shopping, people watching, street performers, and little margarita bars of Fifth Ave. 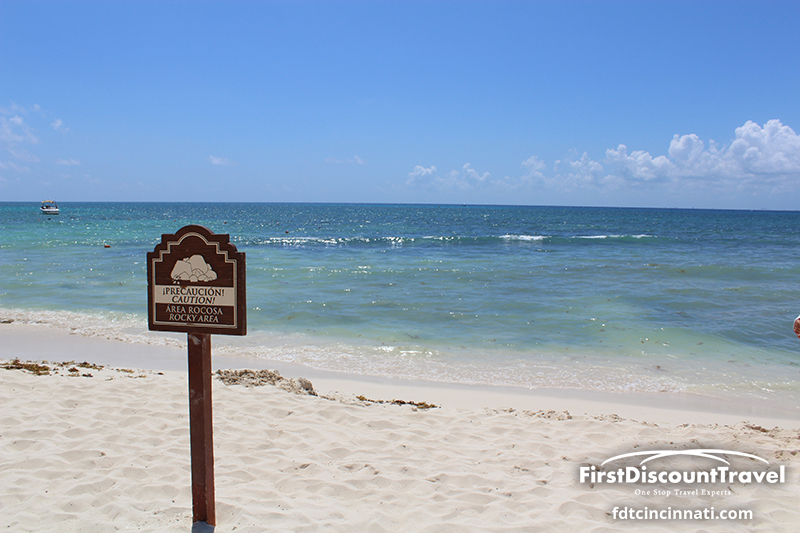 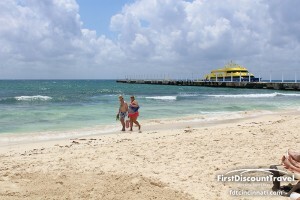 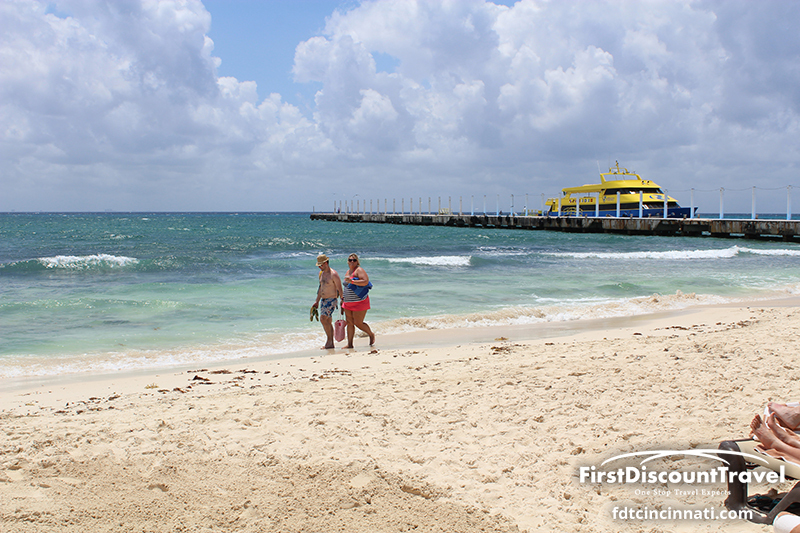 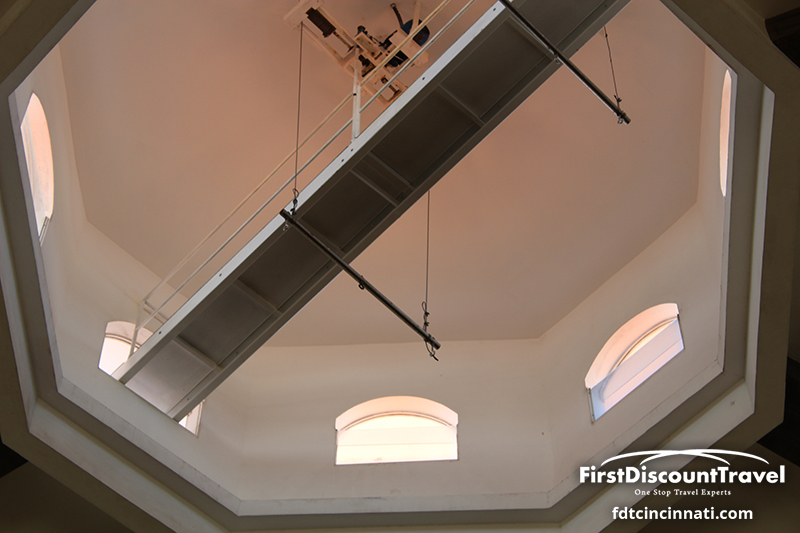 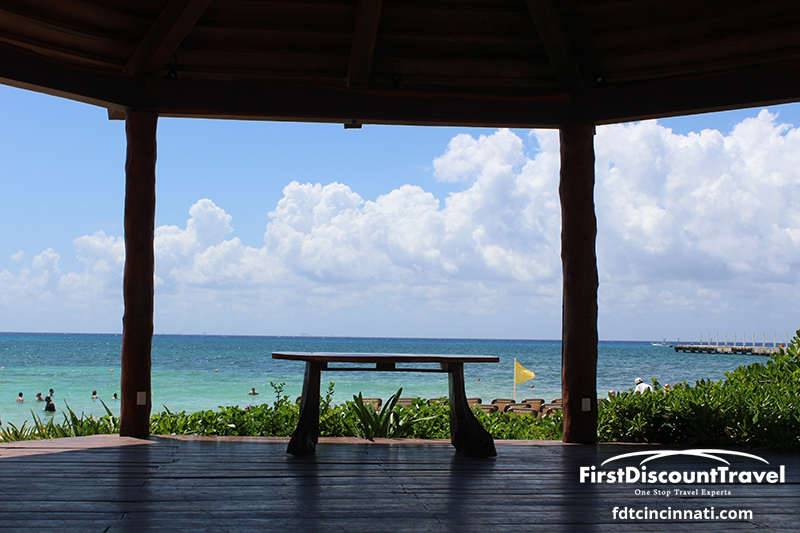 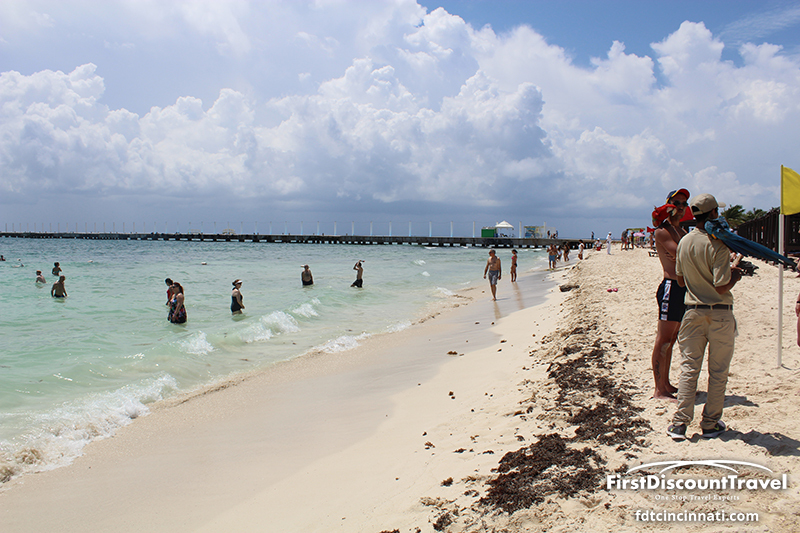 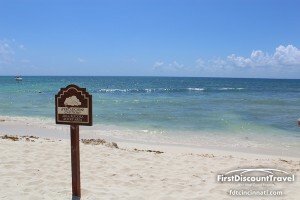 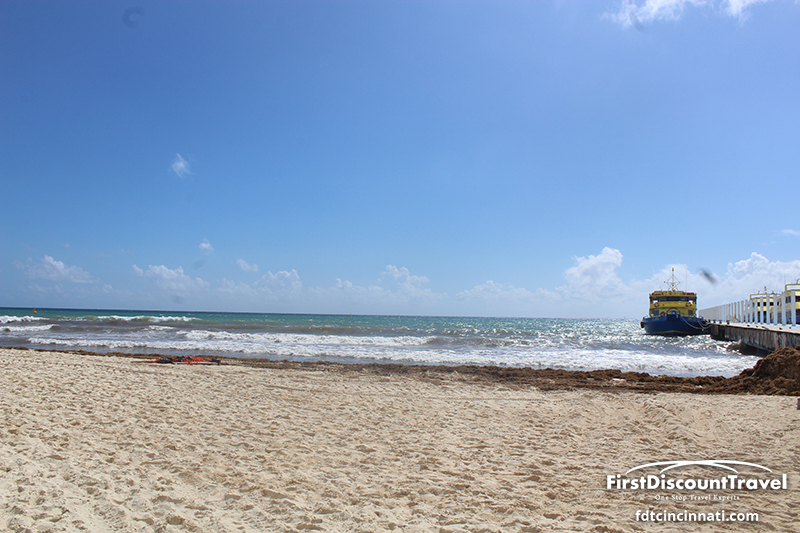 The ferry to Cozumel is walking distance. 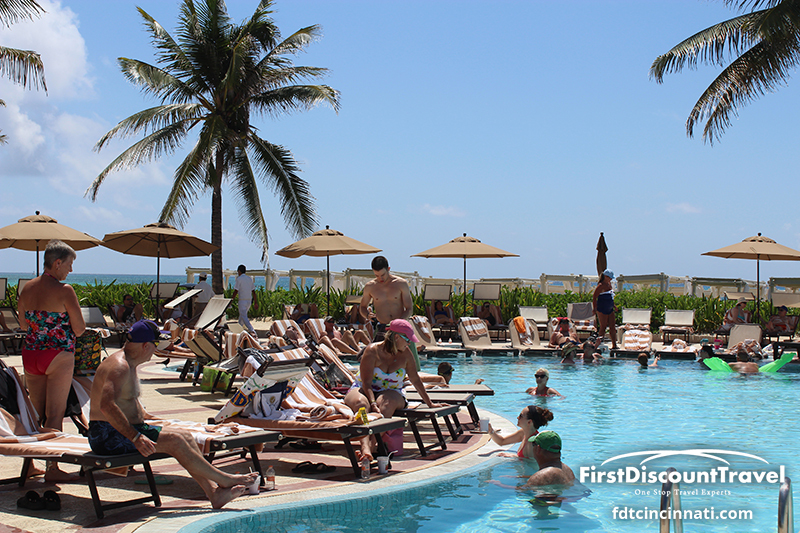 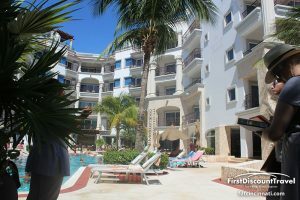 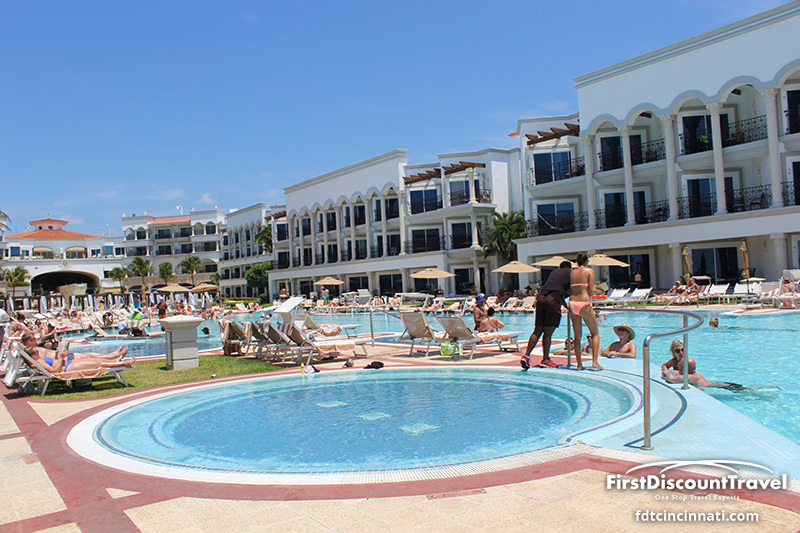 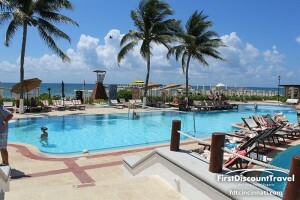 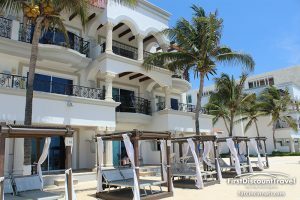 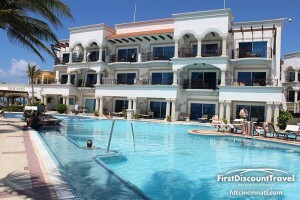 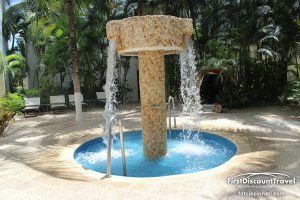 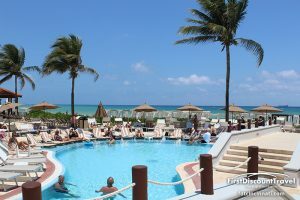 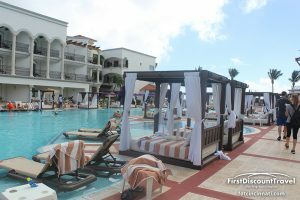 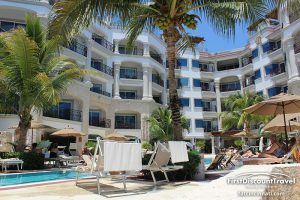 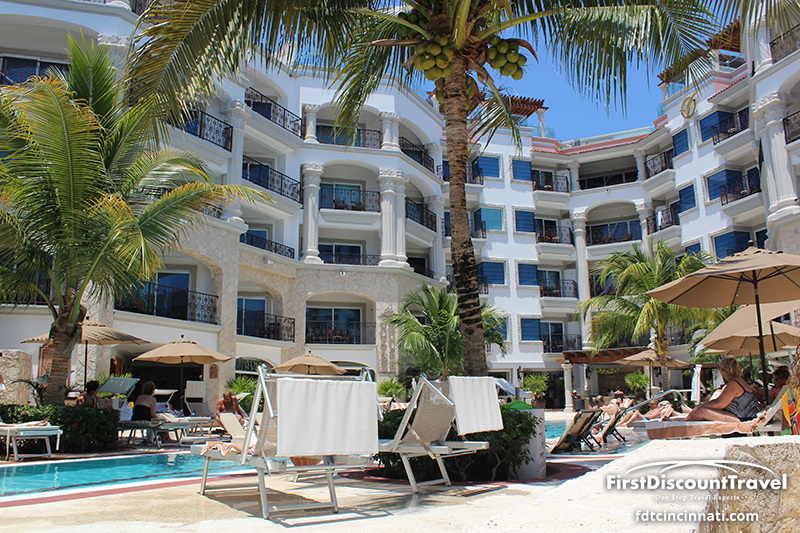 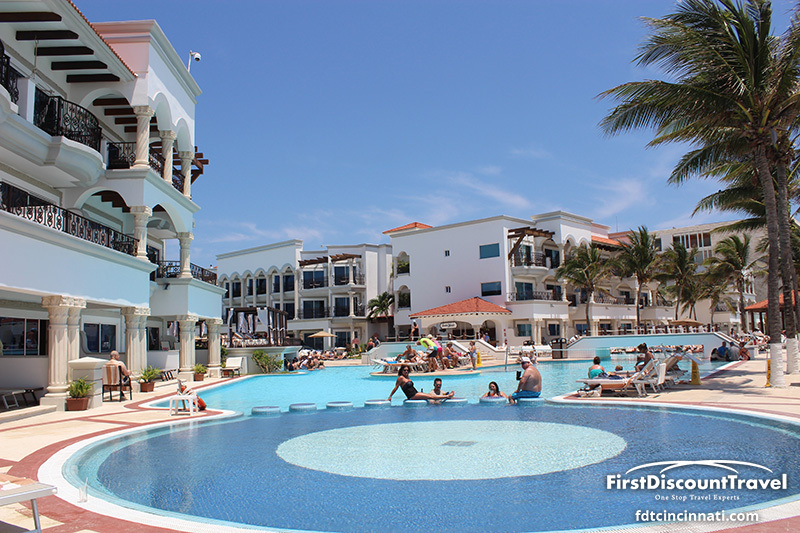 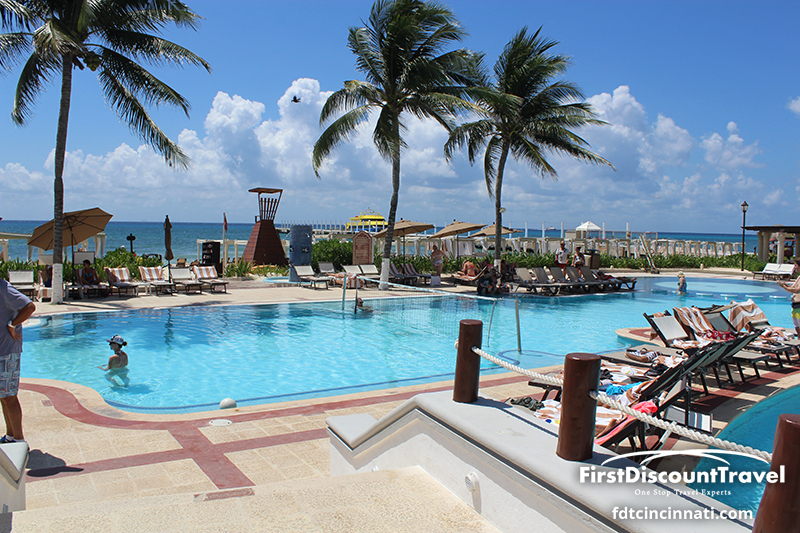 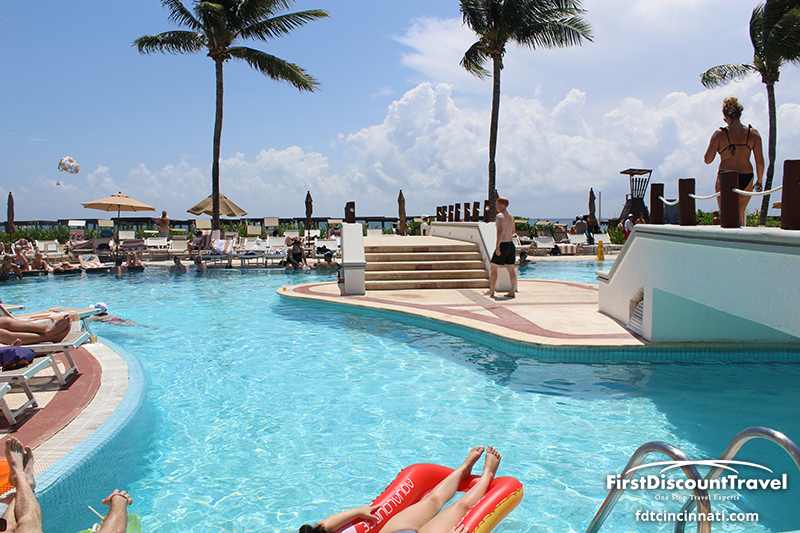 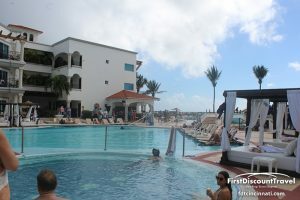 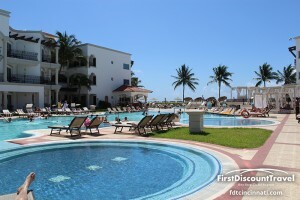 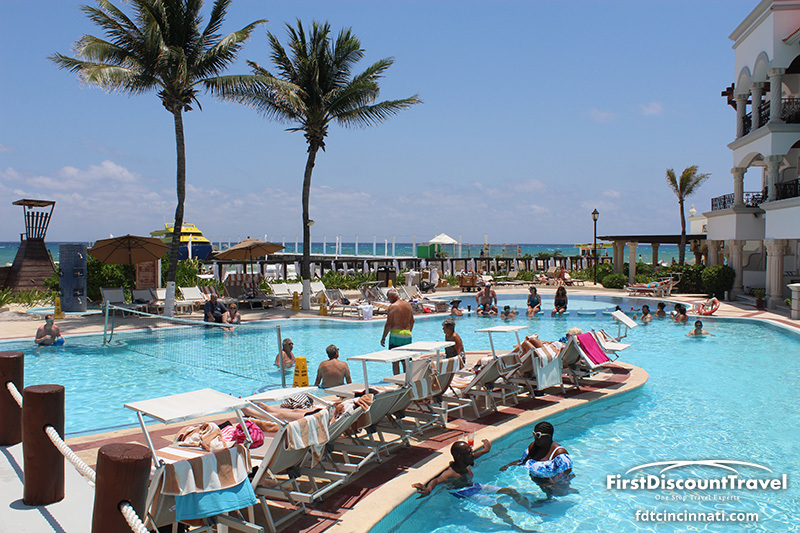 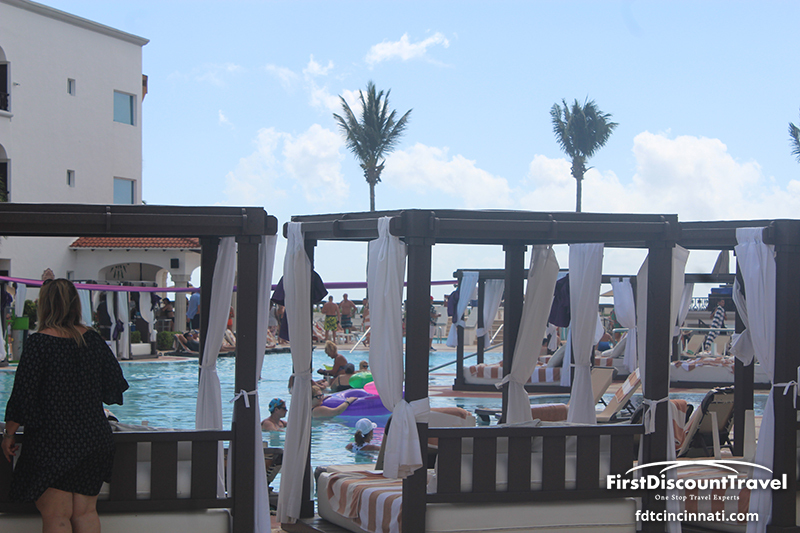 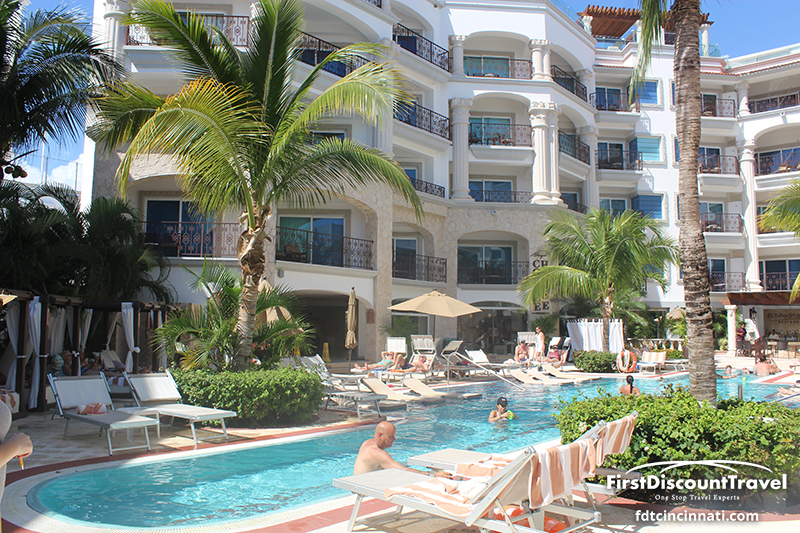 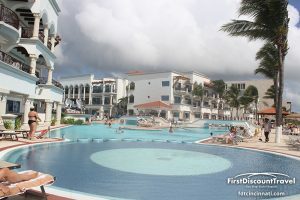 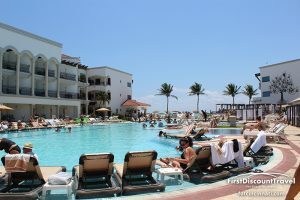 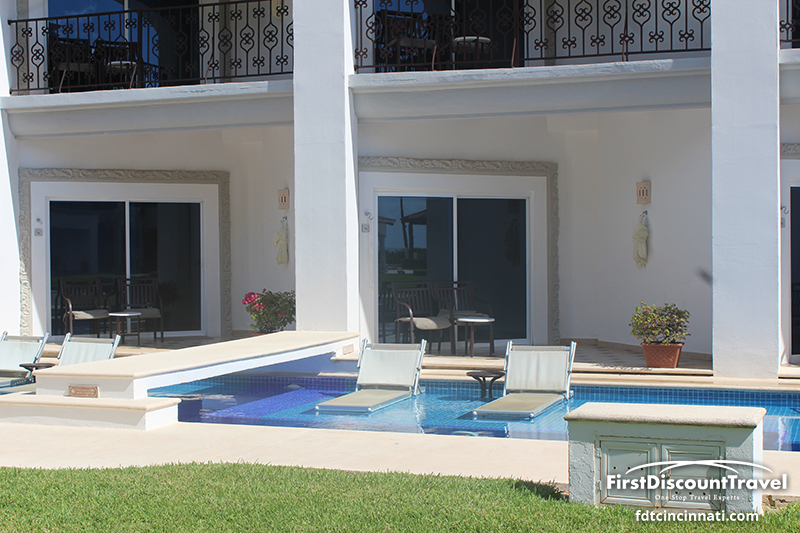 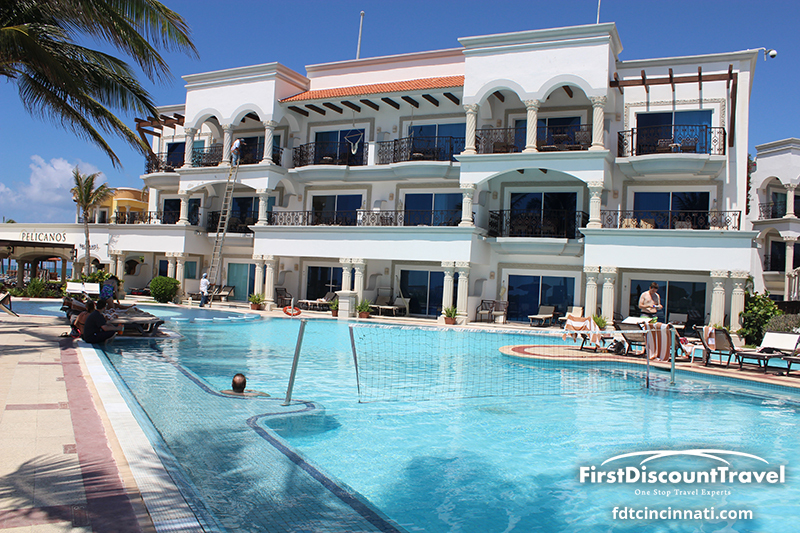 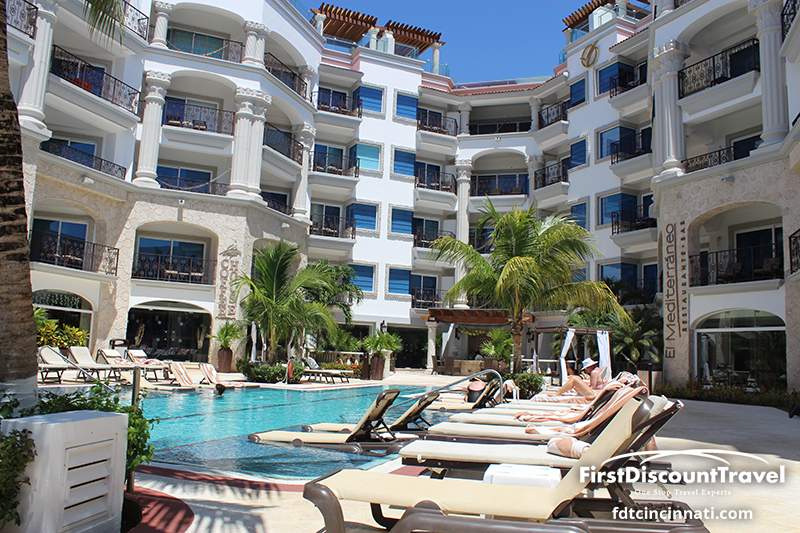 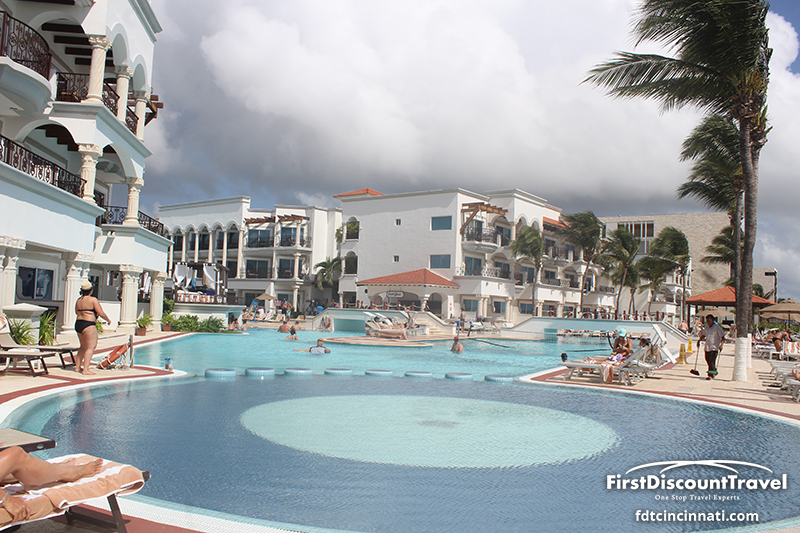 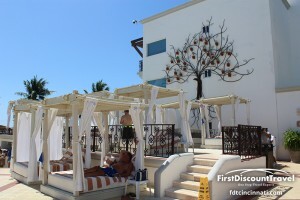 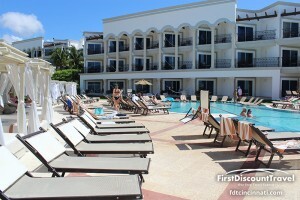 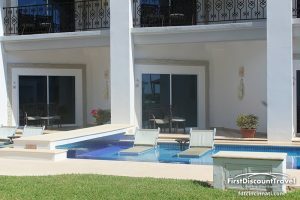 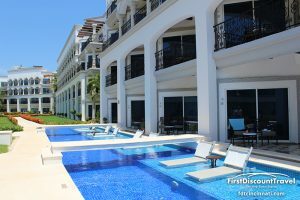 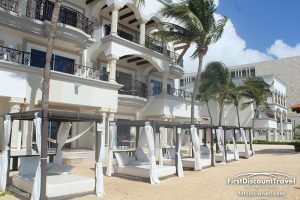 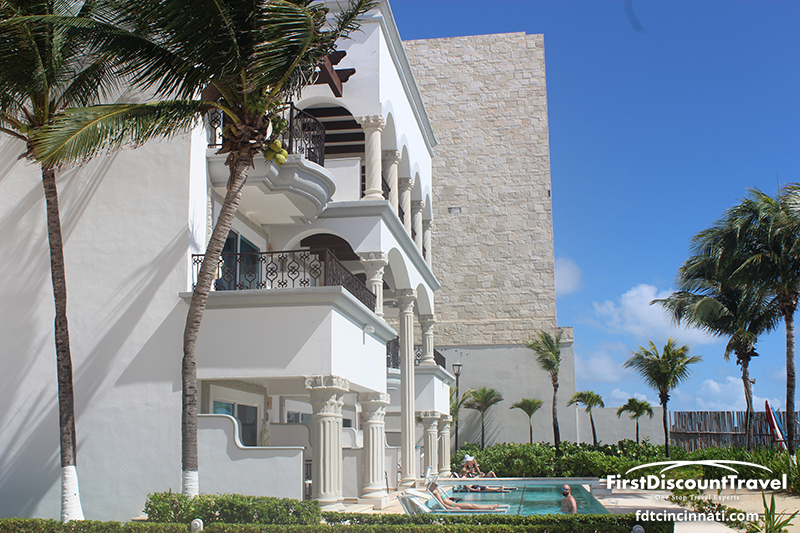 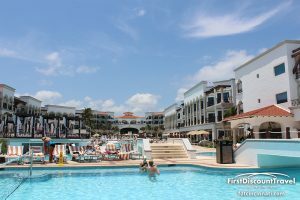 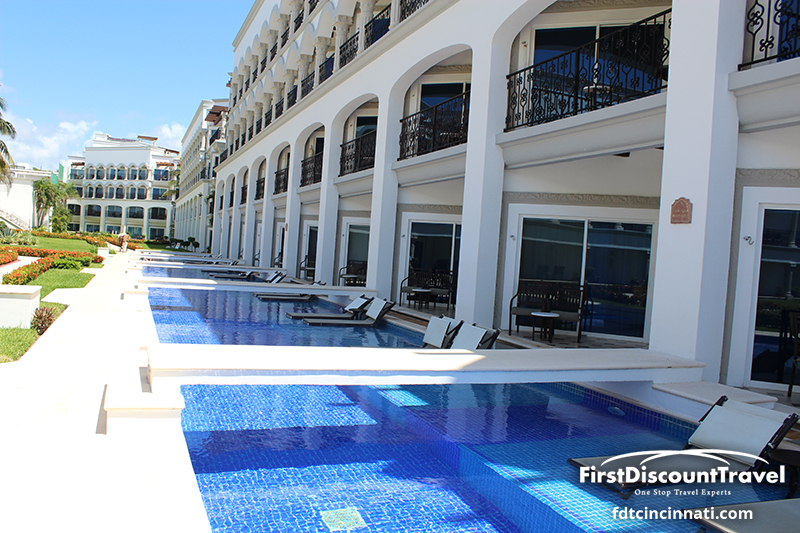 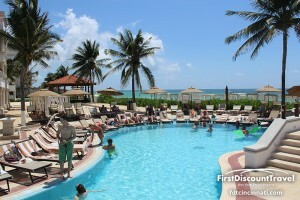 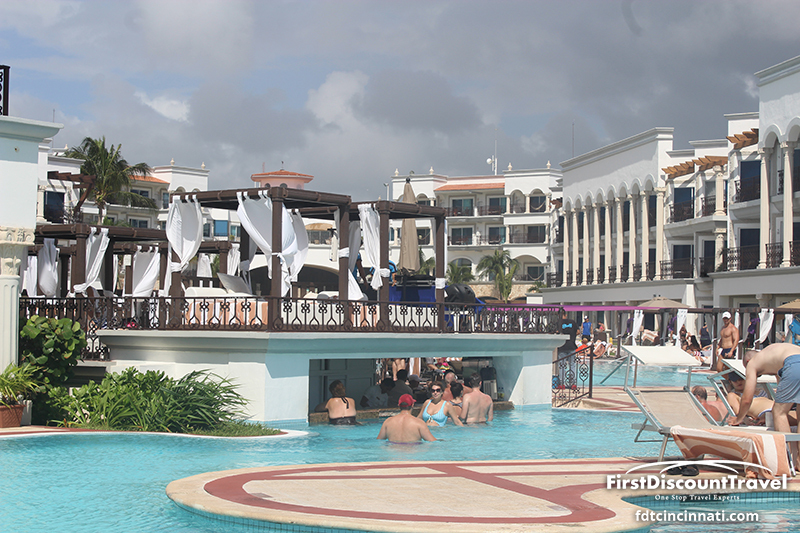 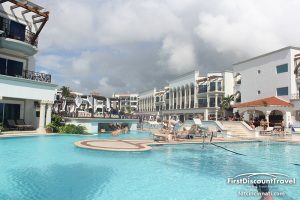 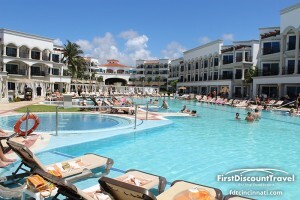 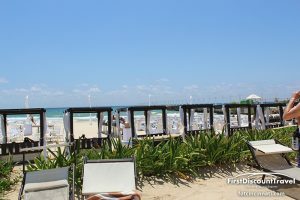 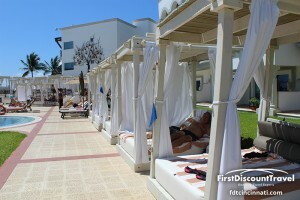 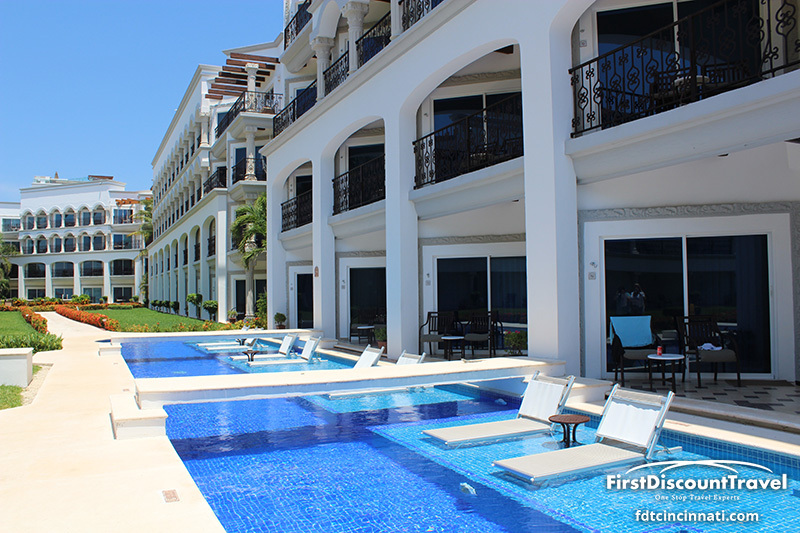 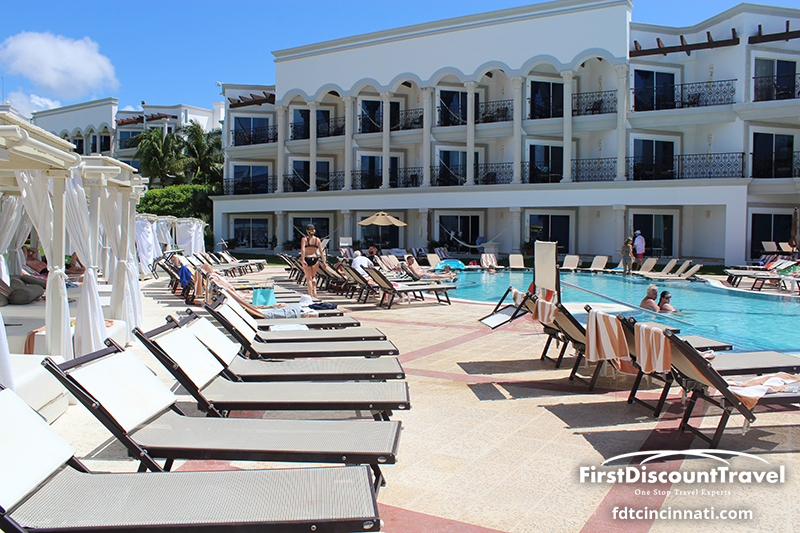 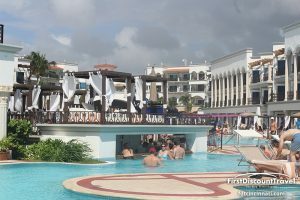 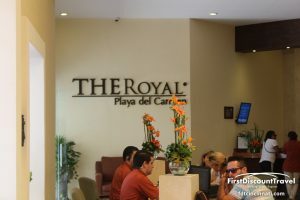 The Royal Playa del Carmen has a very nice beach and a very nice pool area with swim up pool bar. 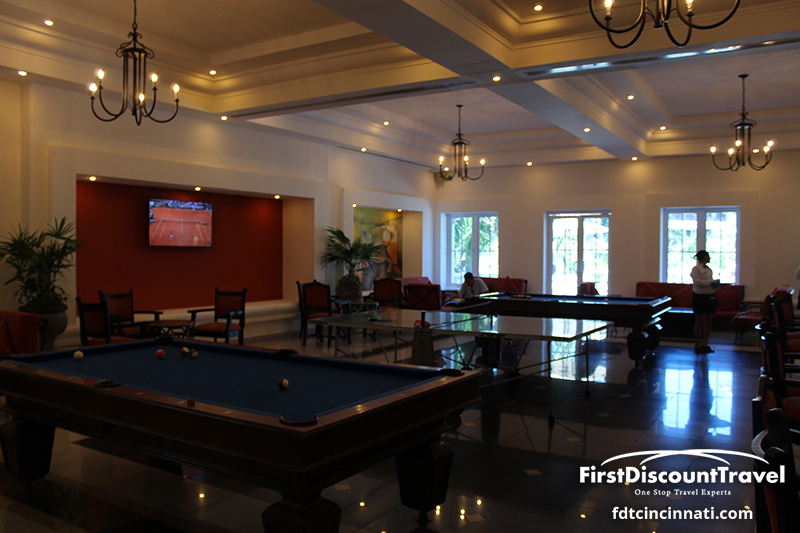 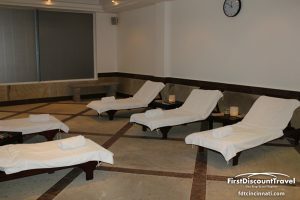 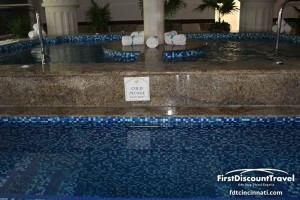 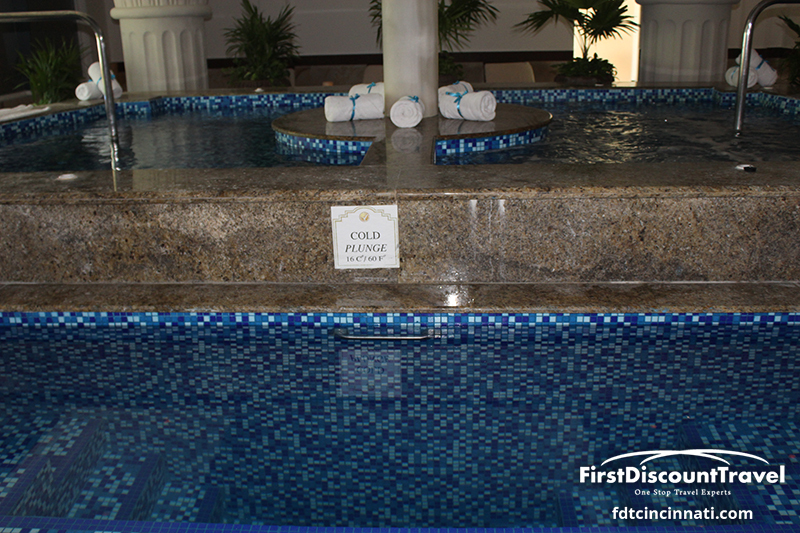 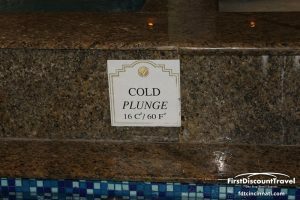 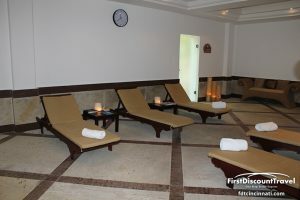 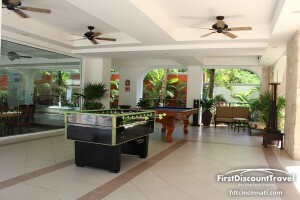 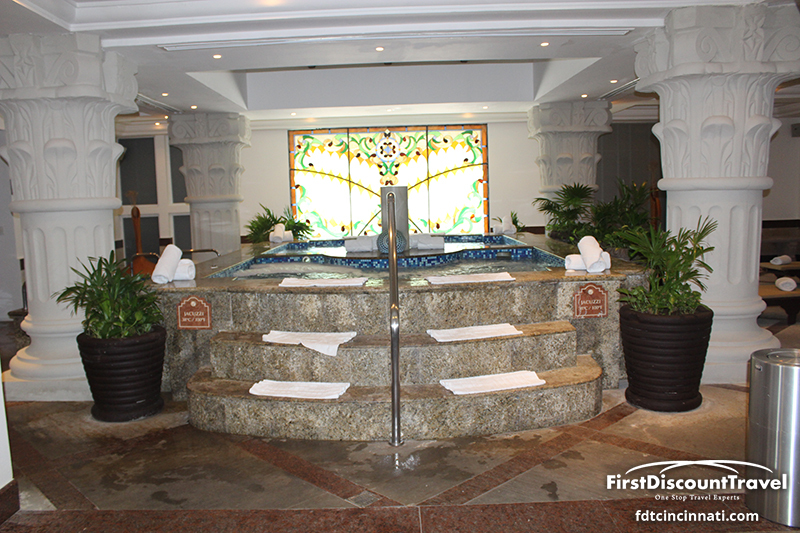 In addition, there is a separate quiet pool area as well. 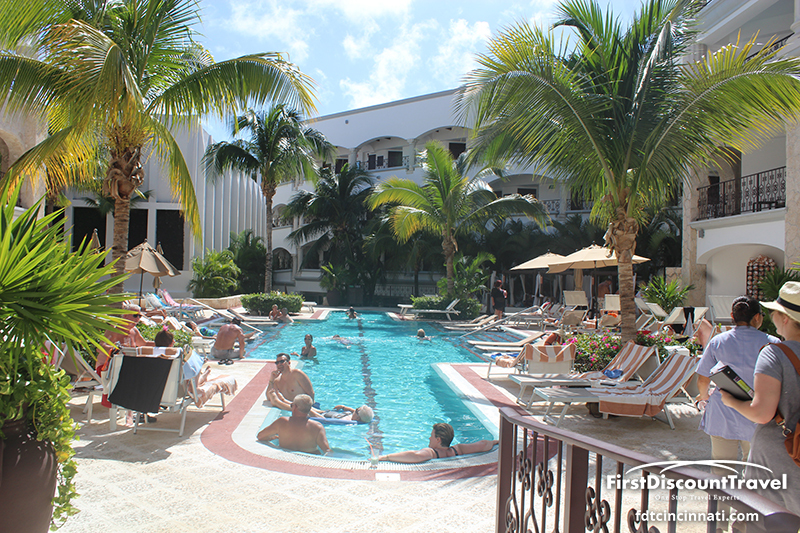 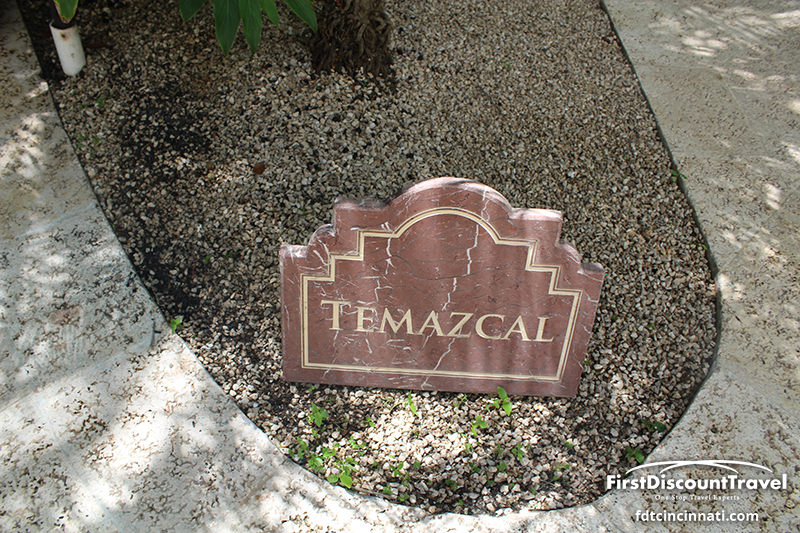 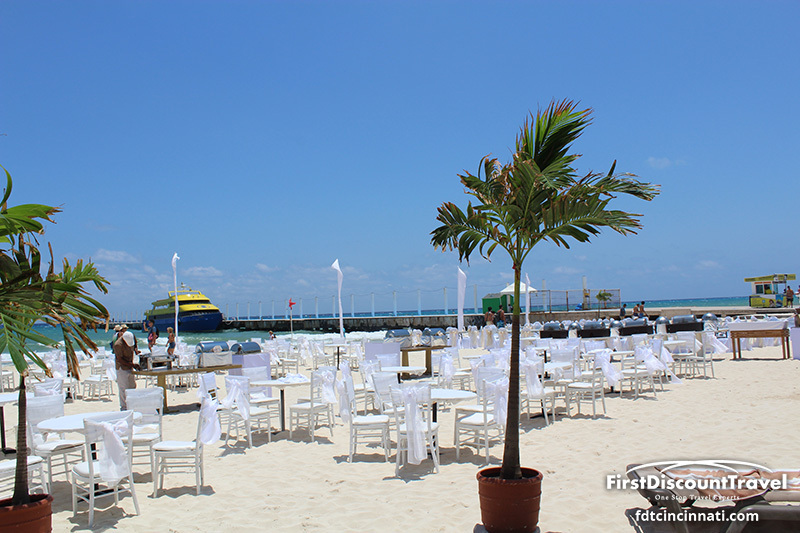 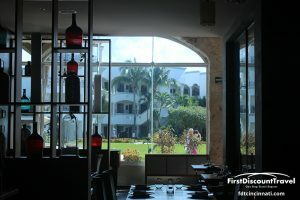 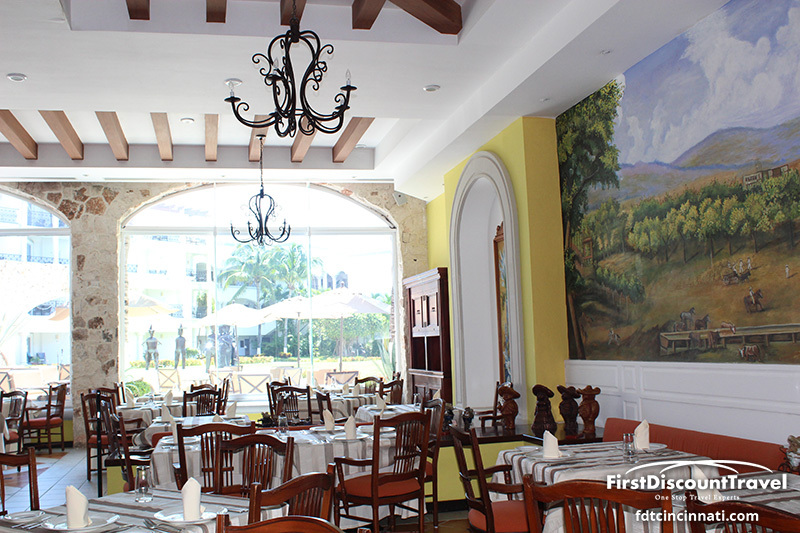 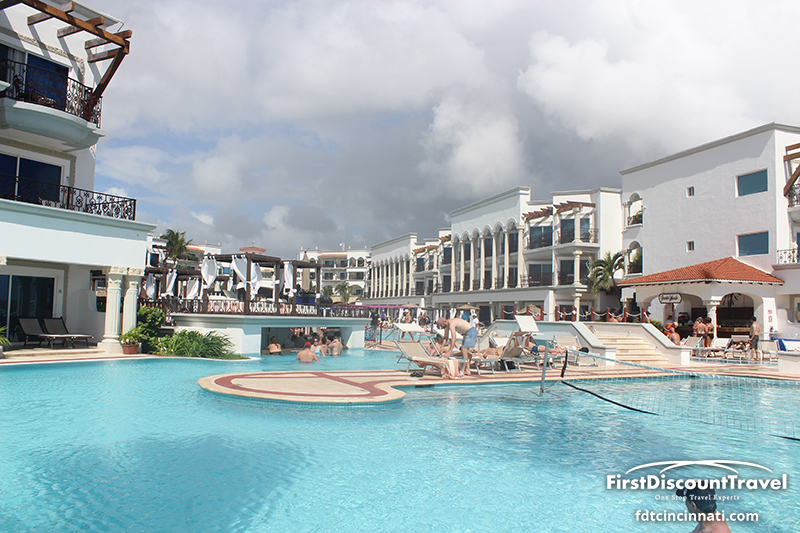 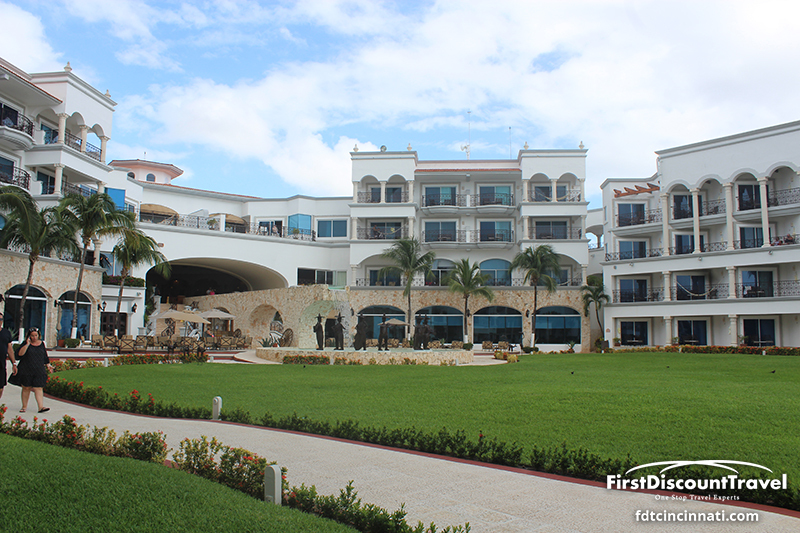 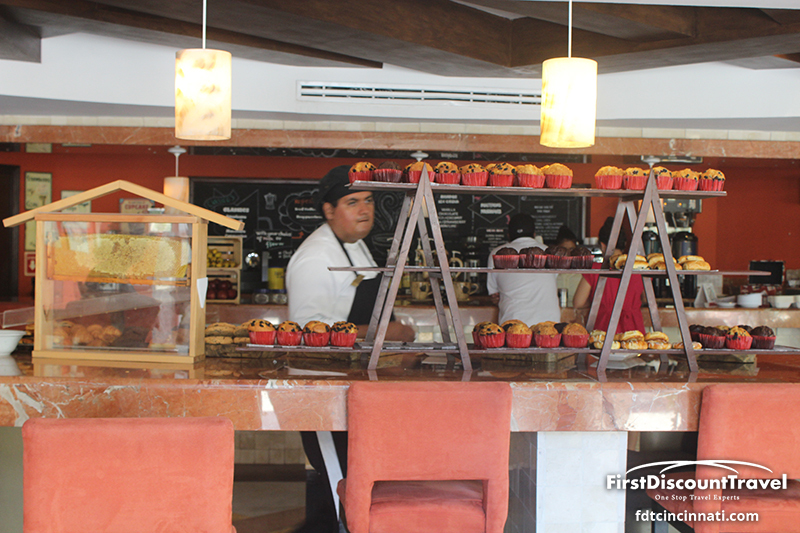 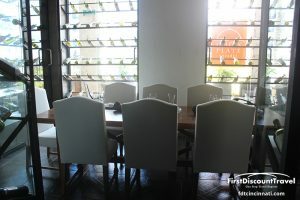 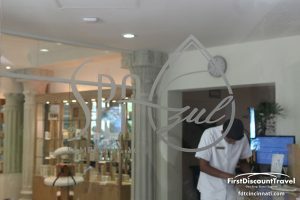 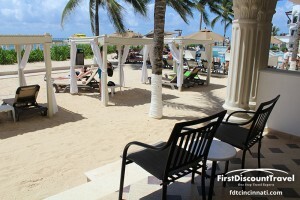 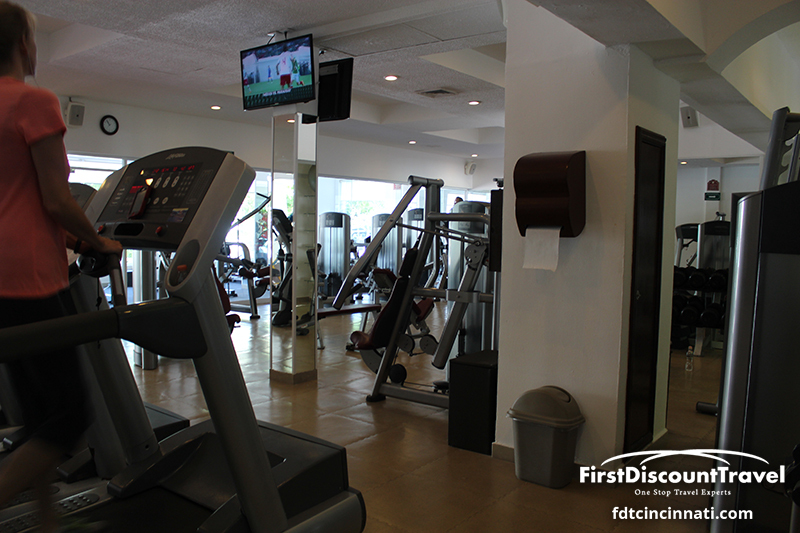 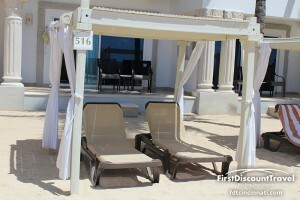 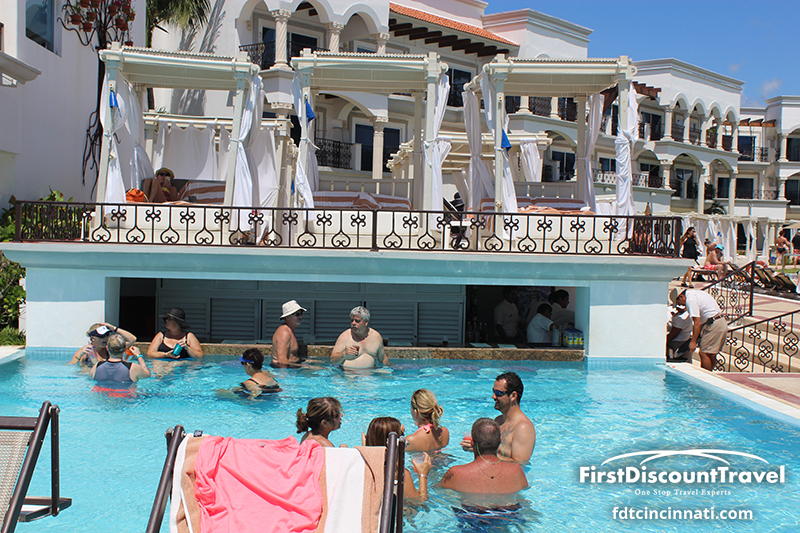 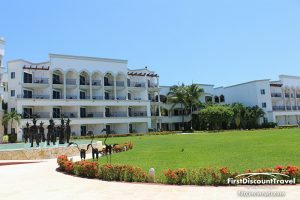 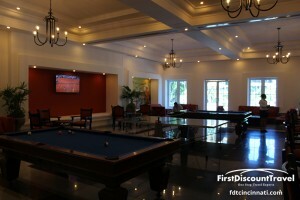 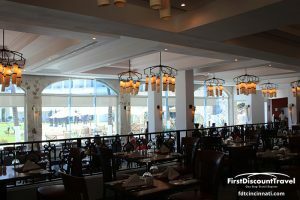 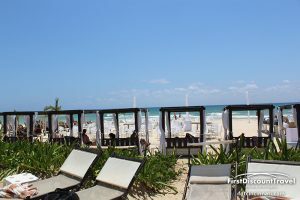 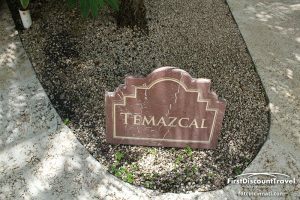 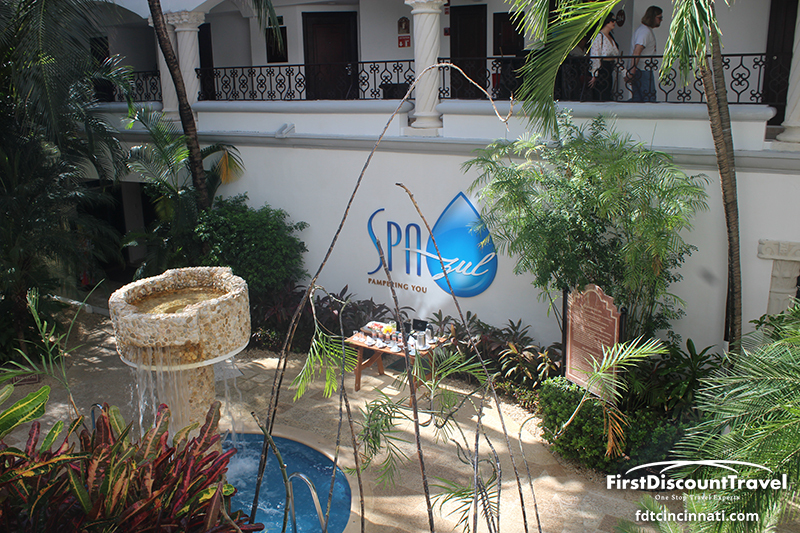 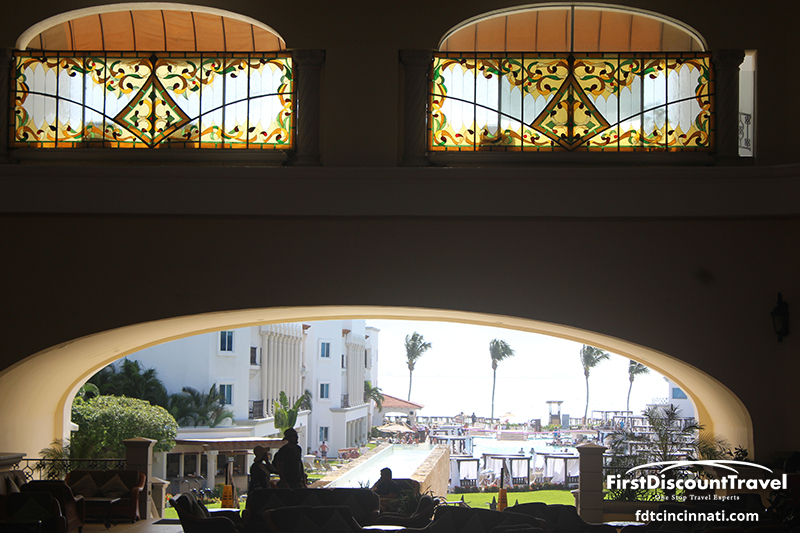 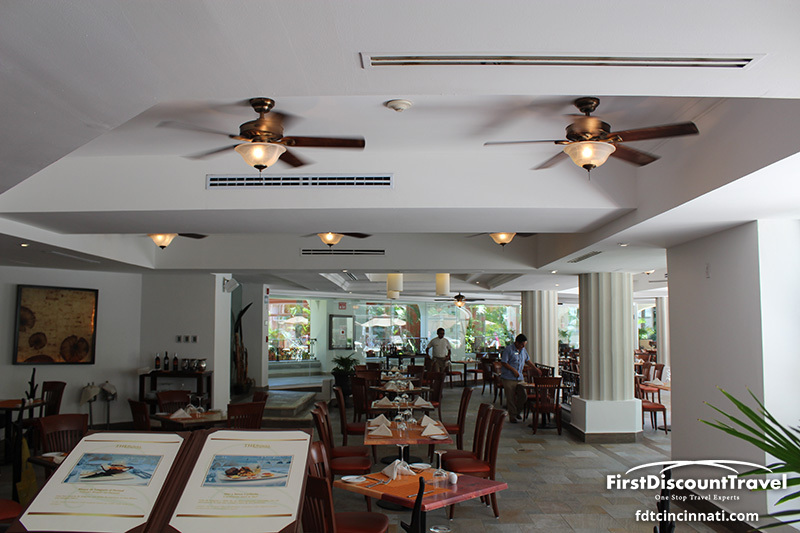 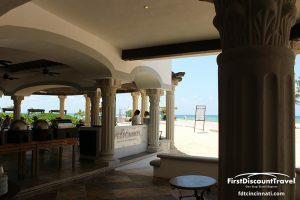 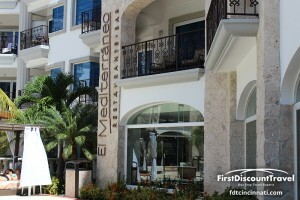 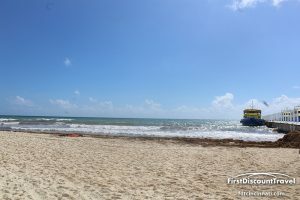 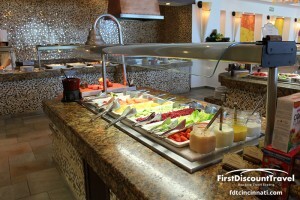 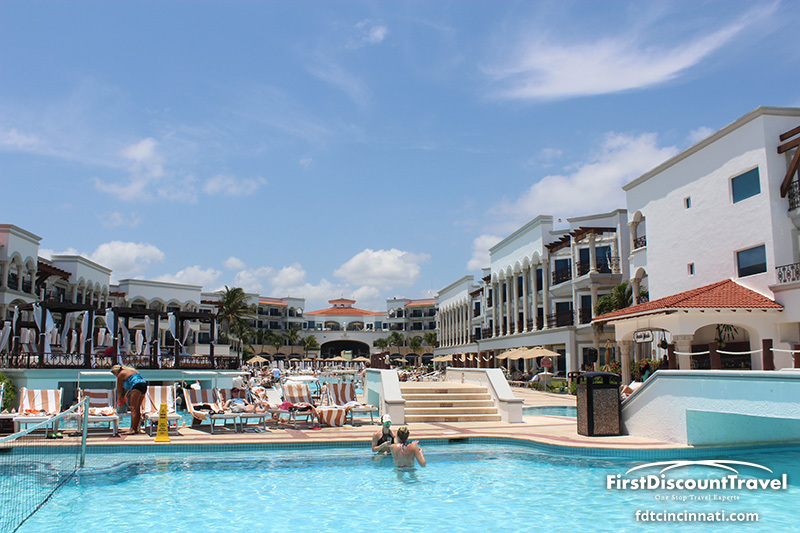 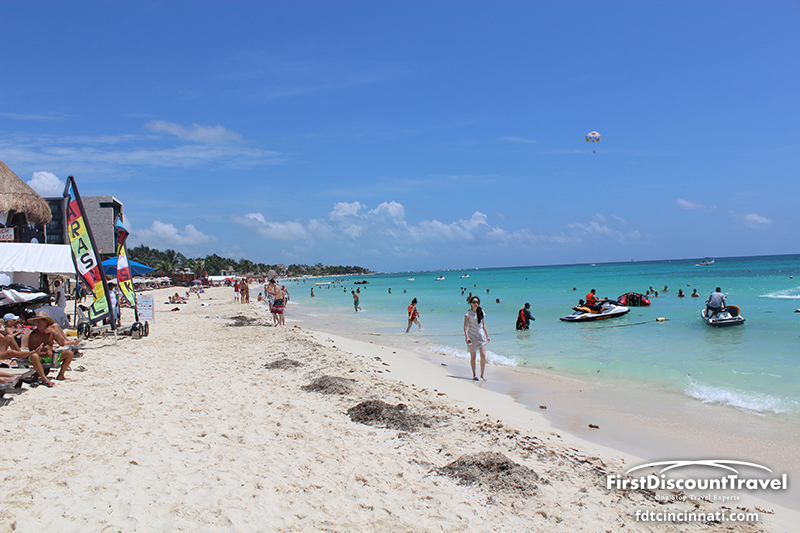 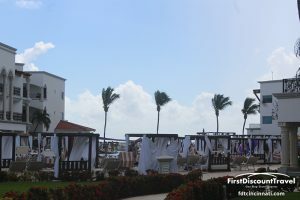 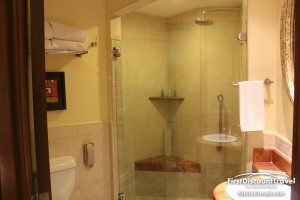 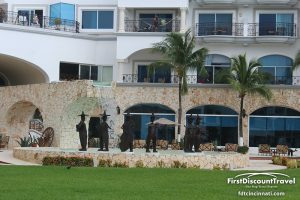 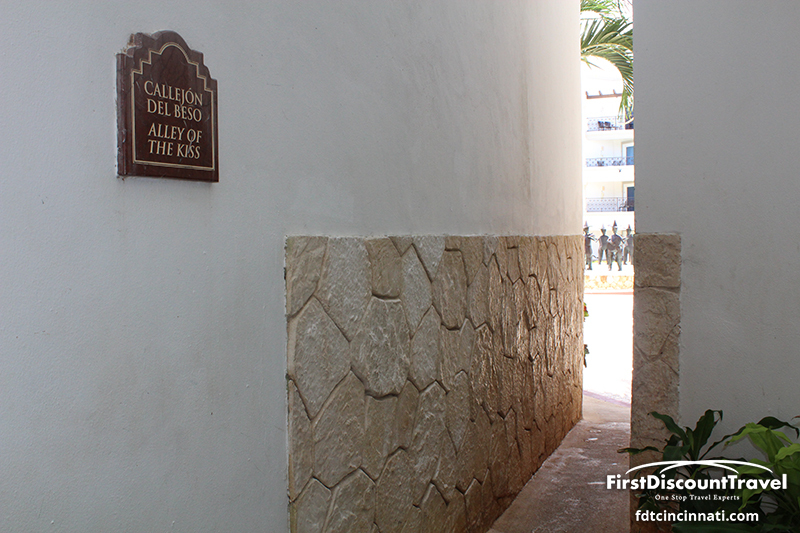 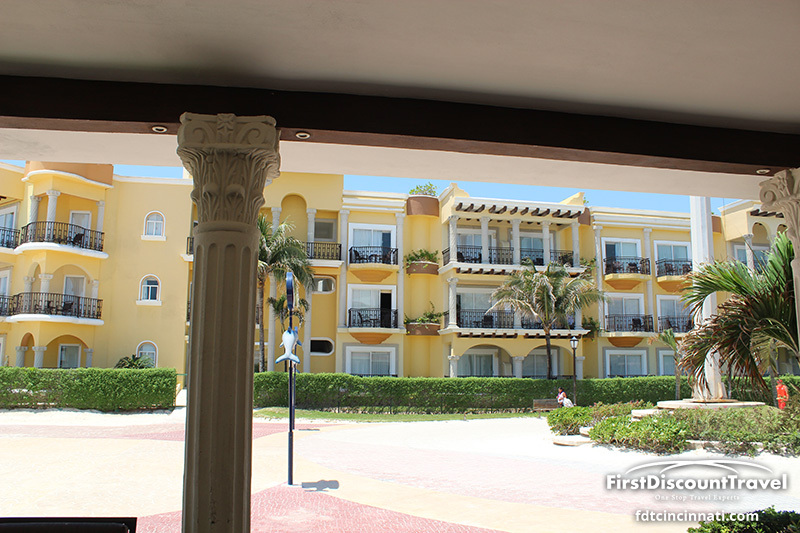 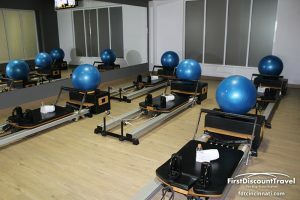 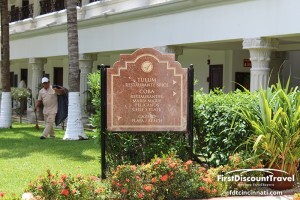 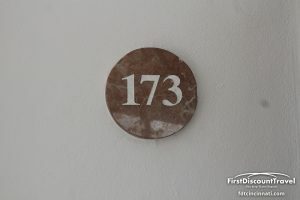 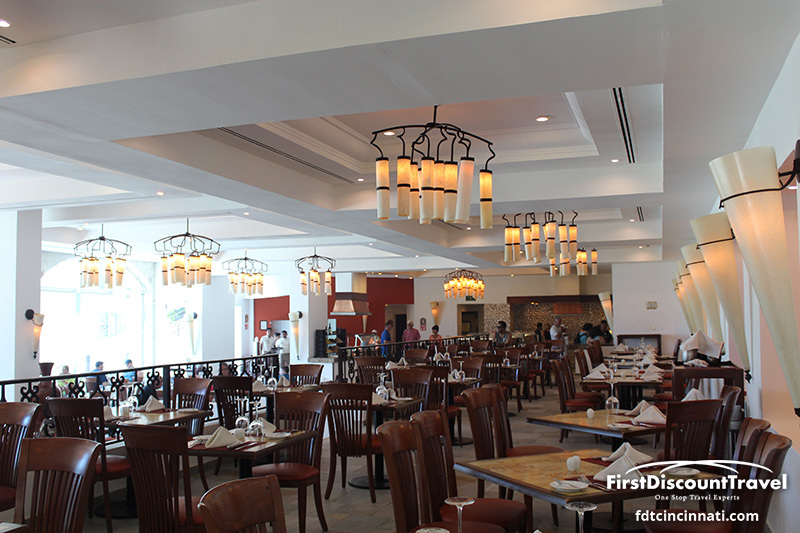 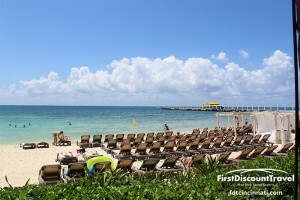 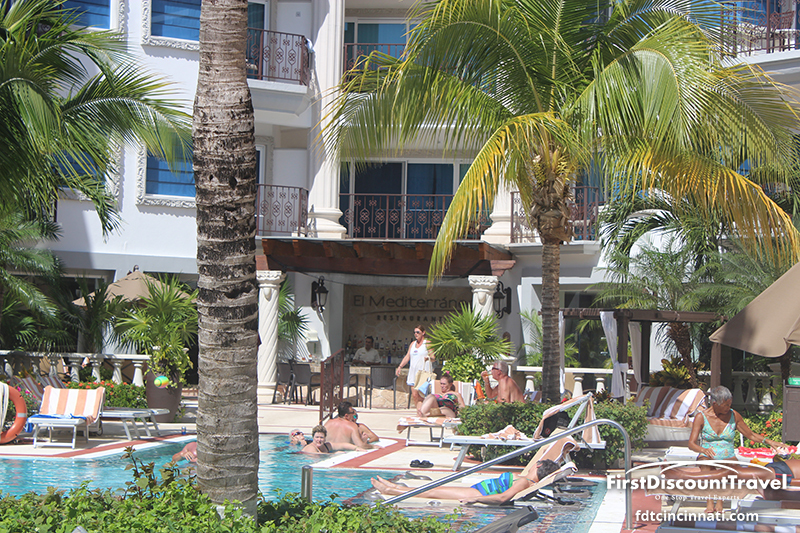 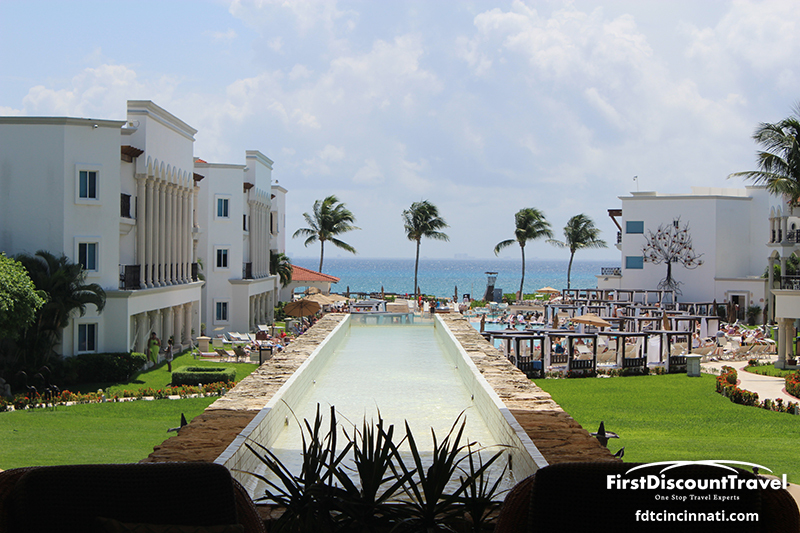 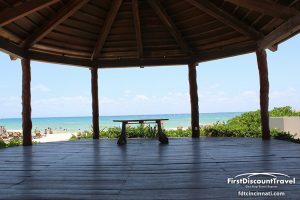 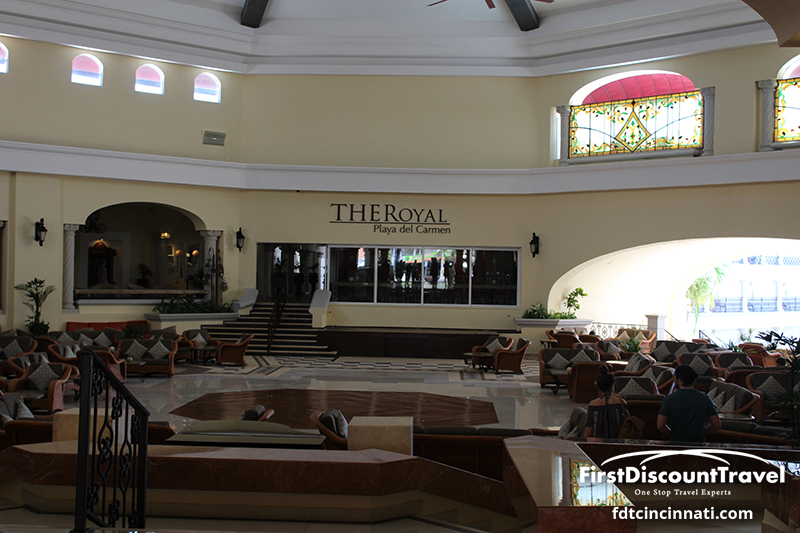 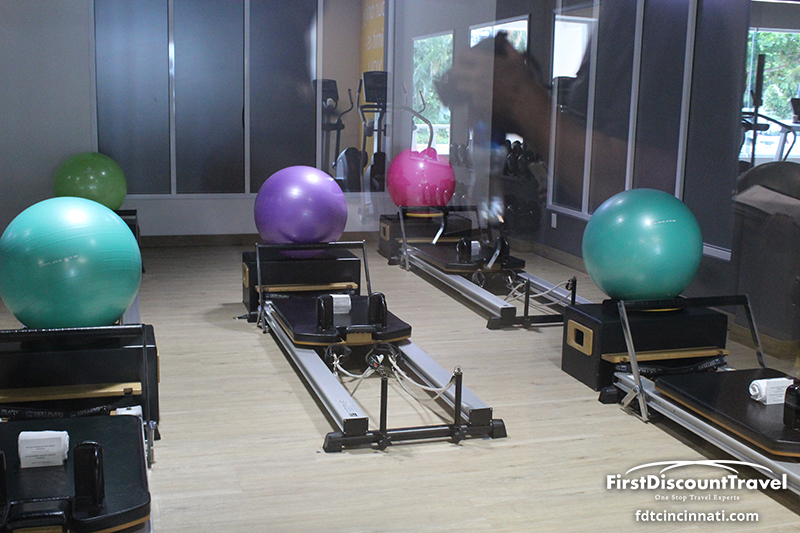 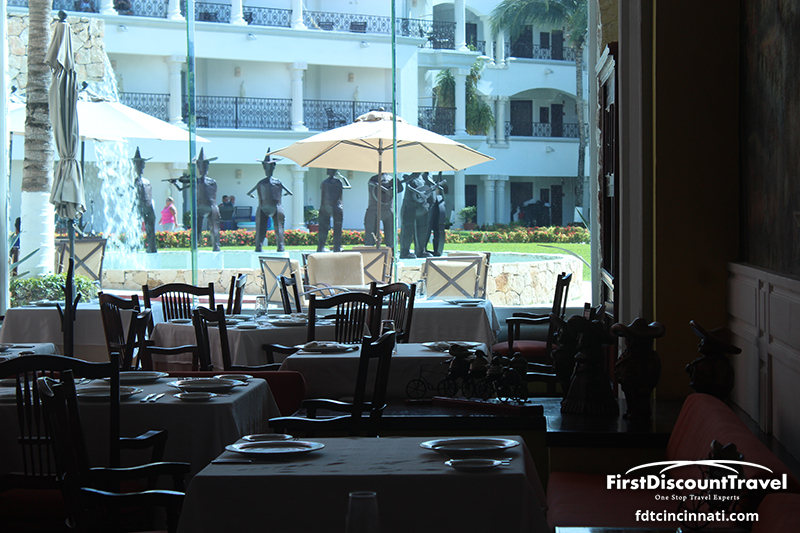 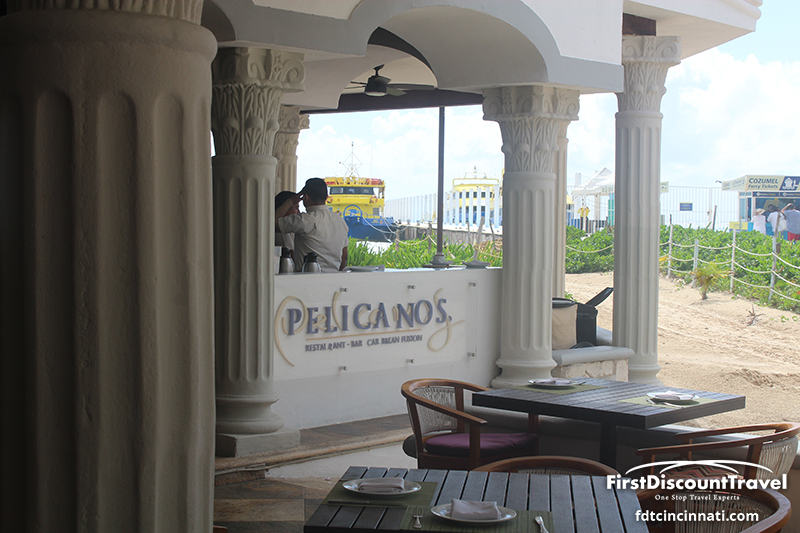 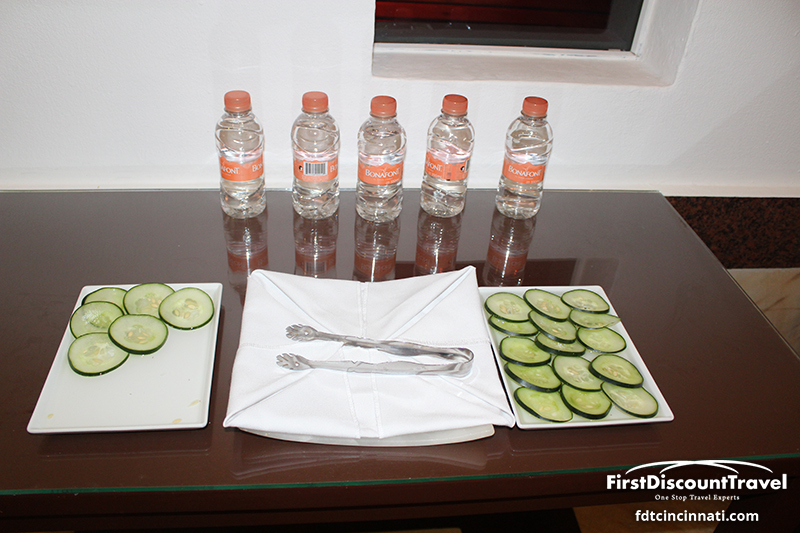 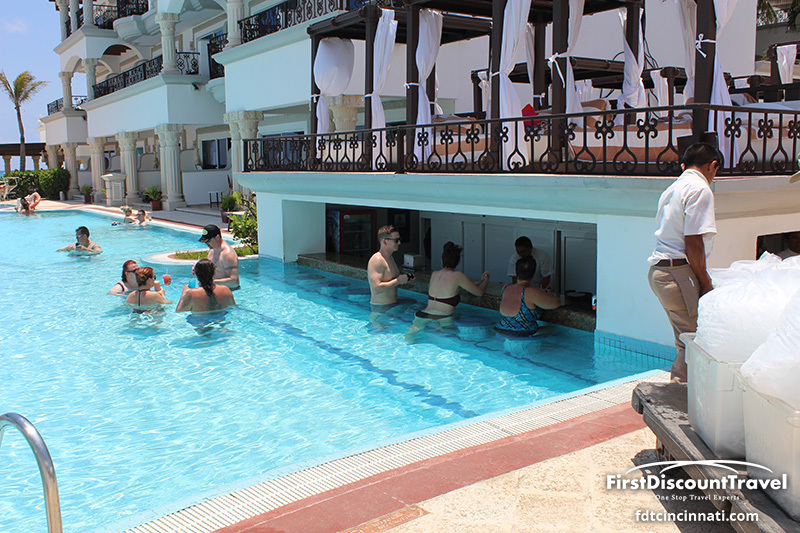 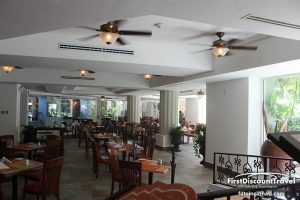 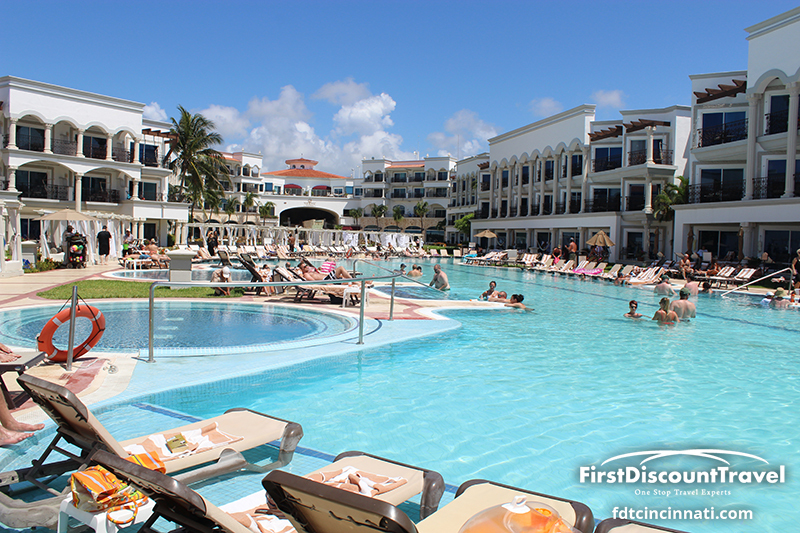 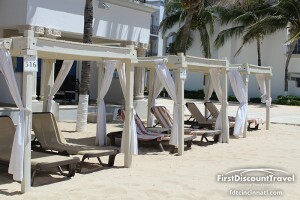 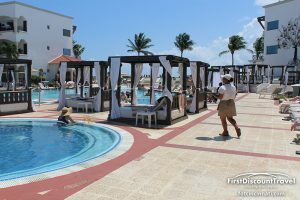 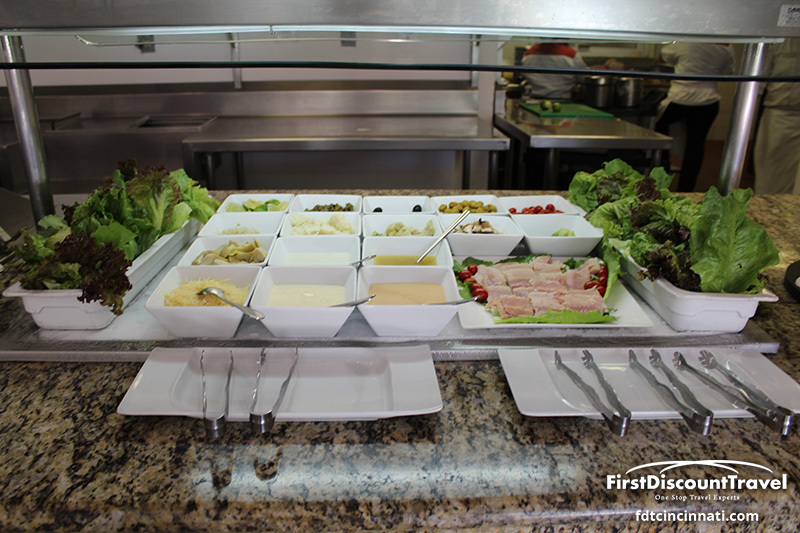 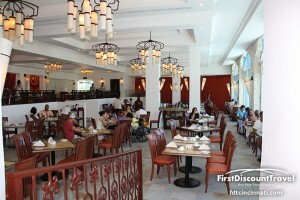 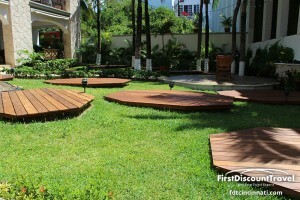 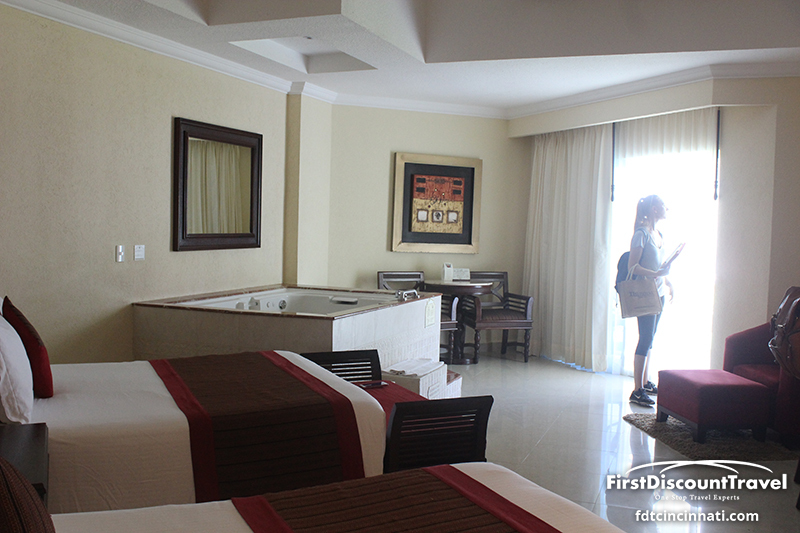 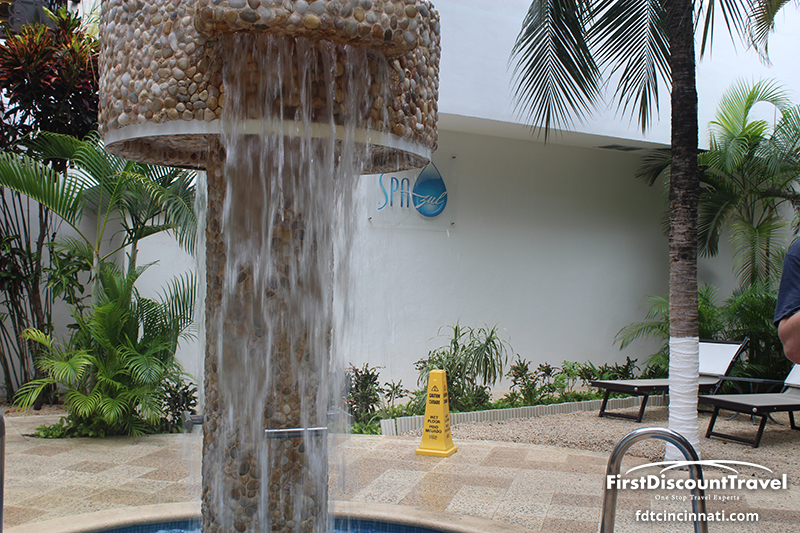 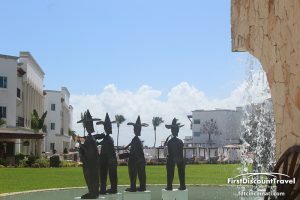 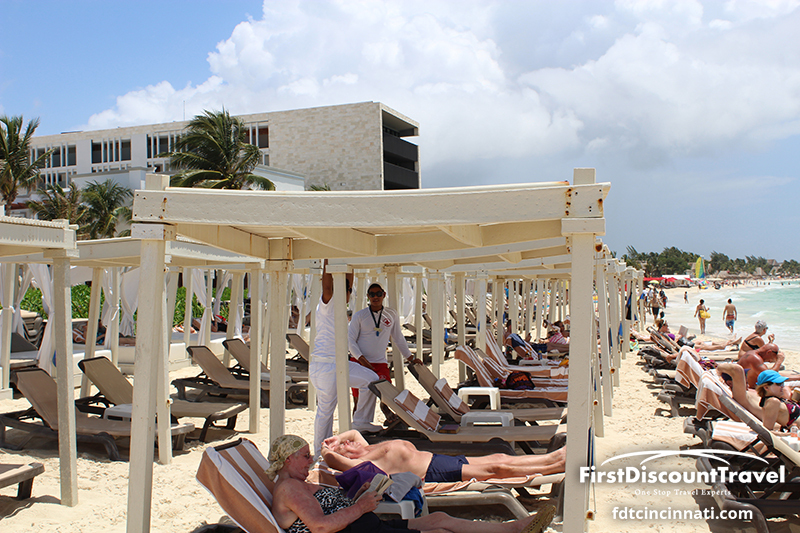 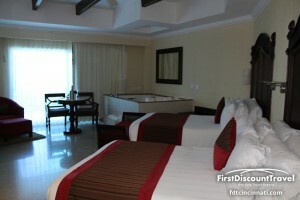 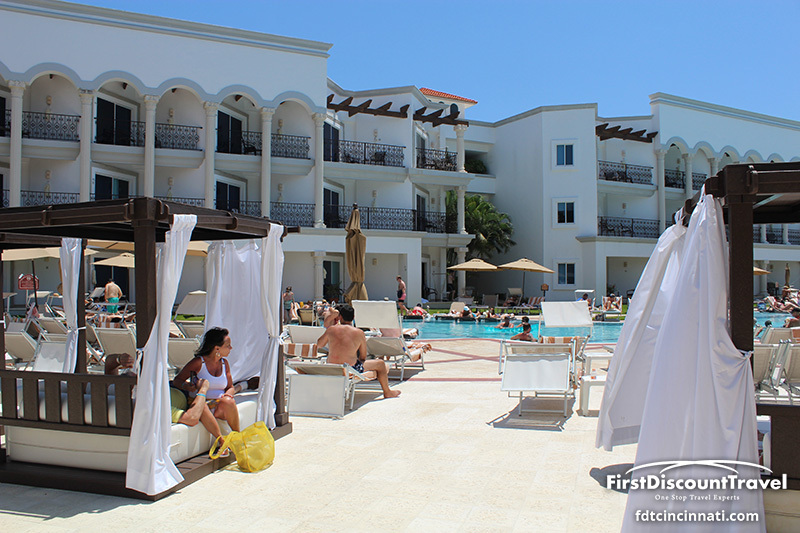 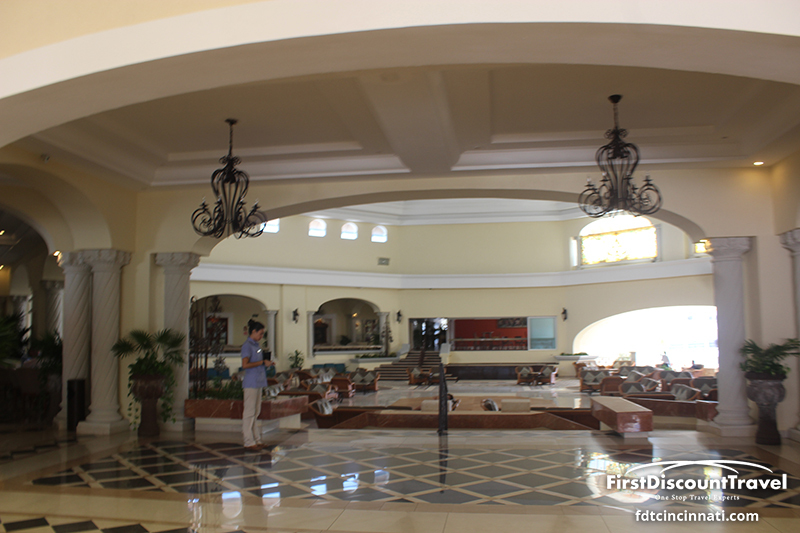 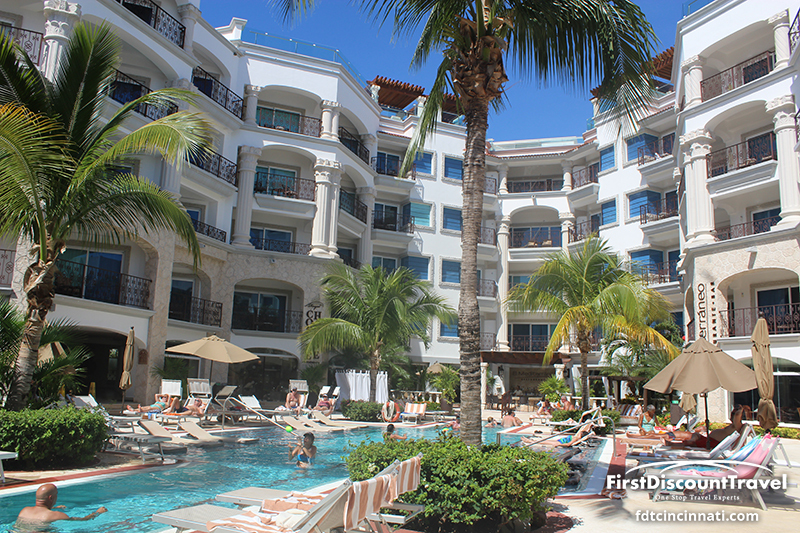 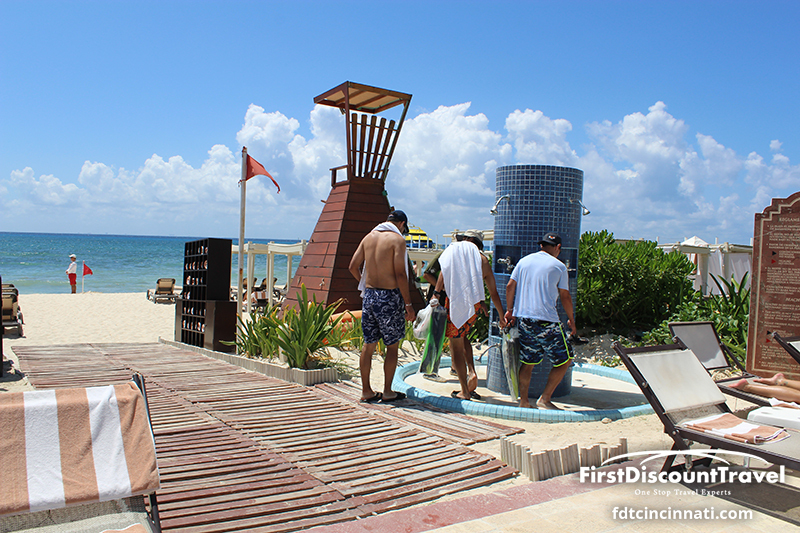 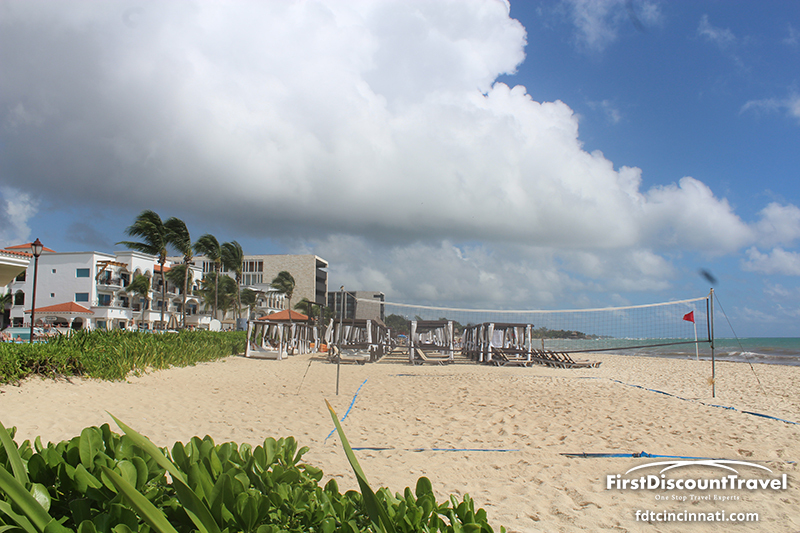 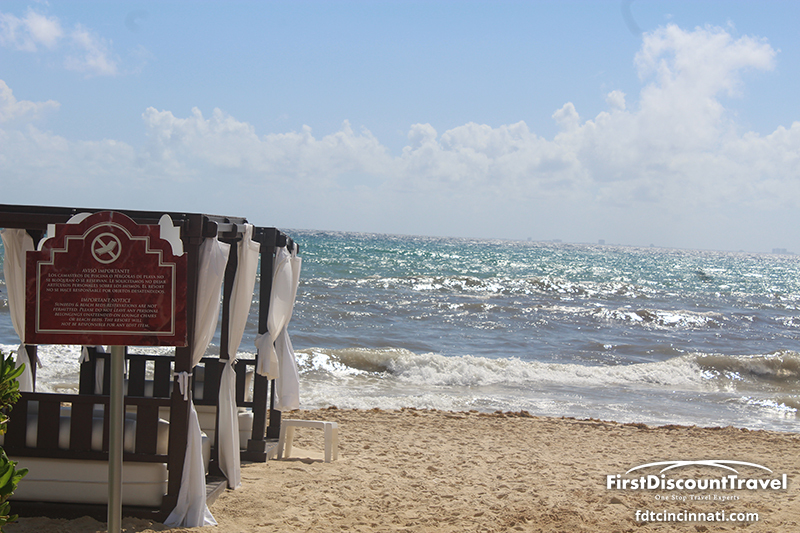 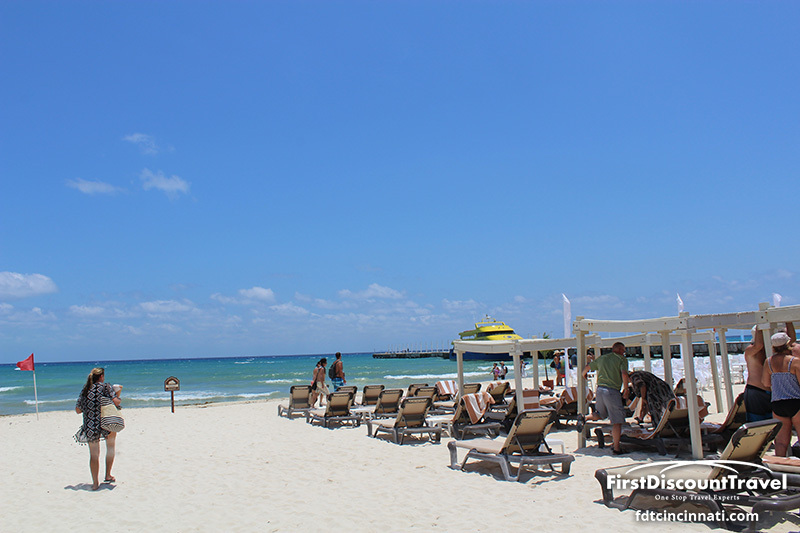 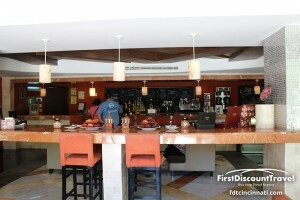 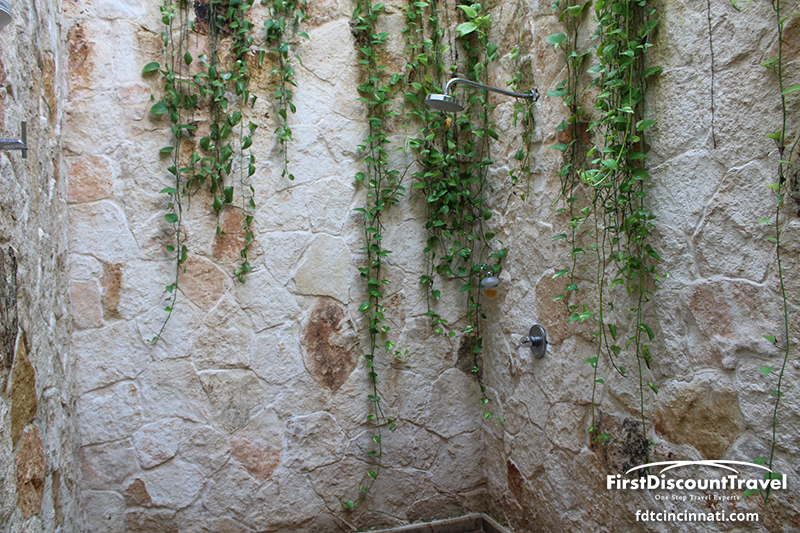 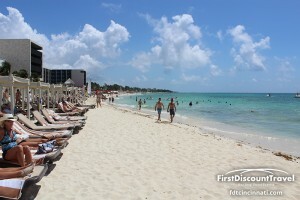 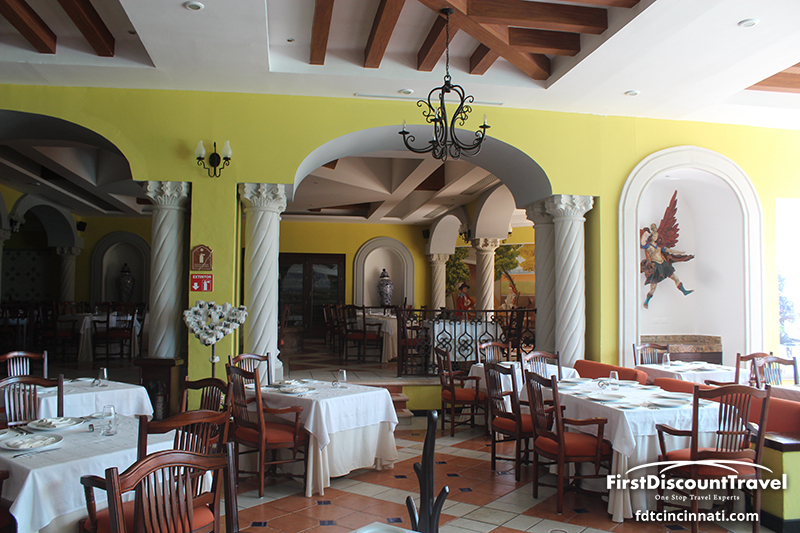 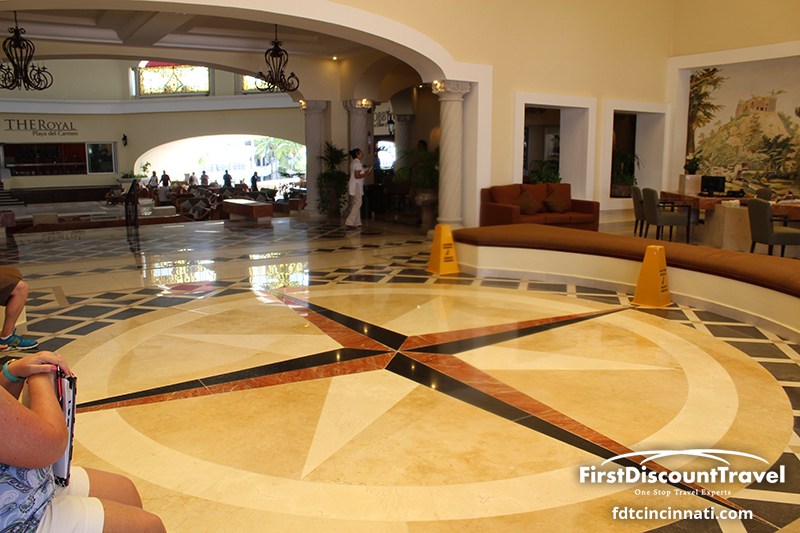 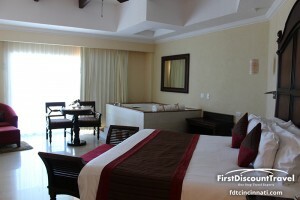 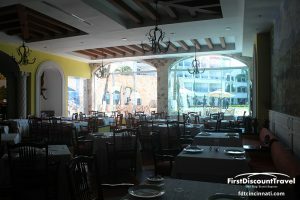 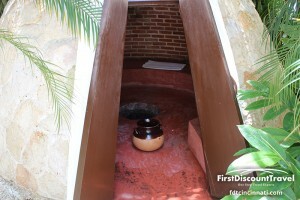 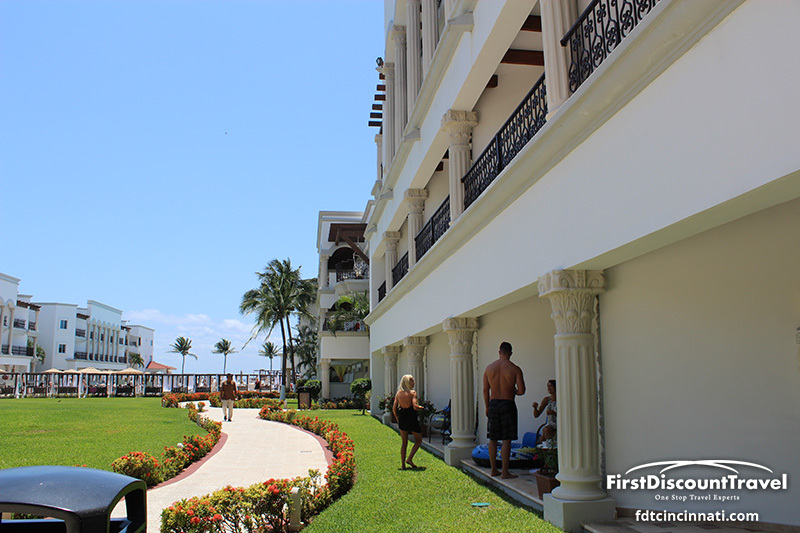 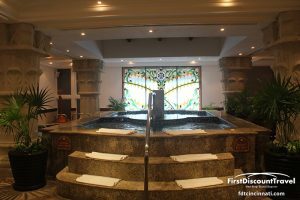 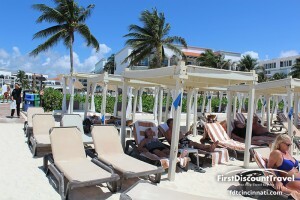 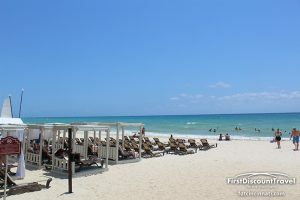 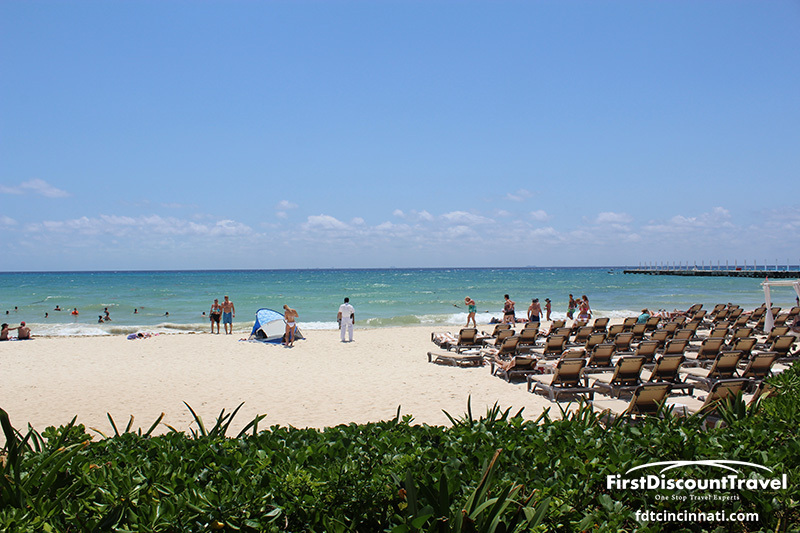 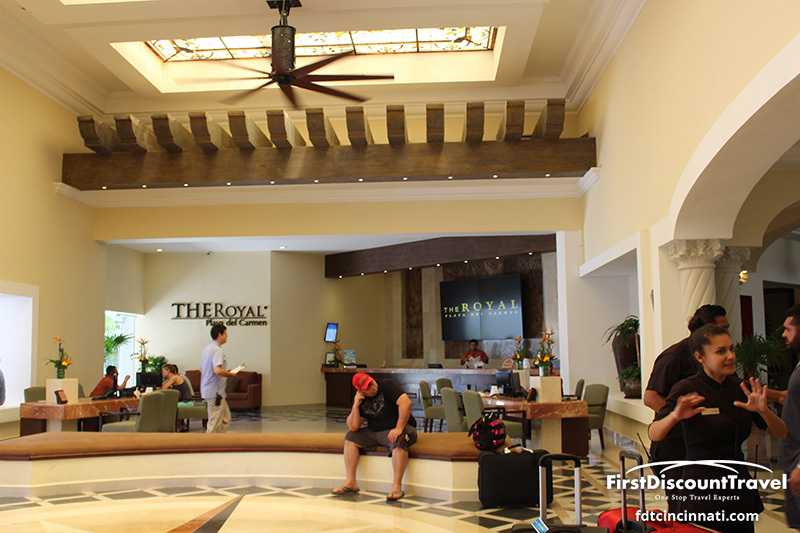 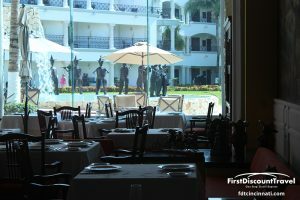 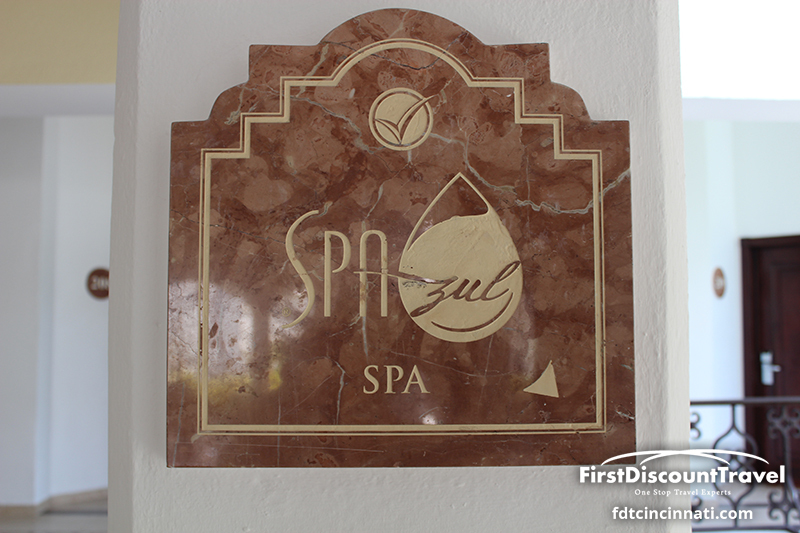 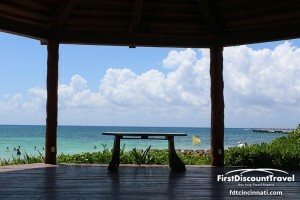 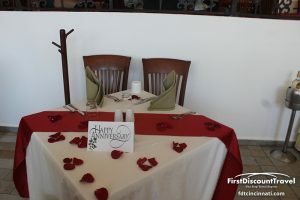 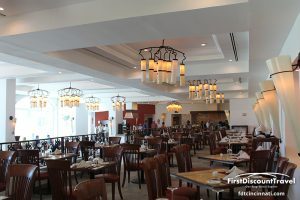 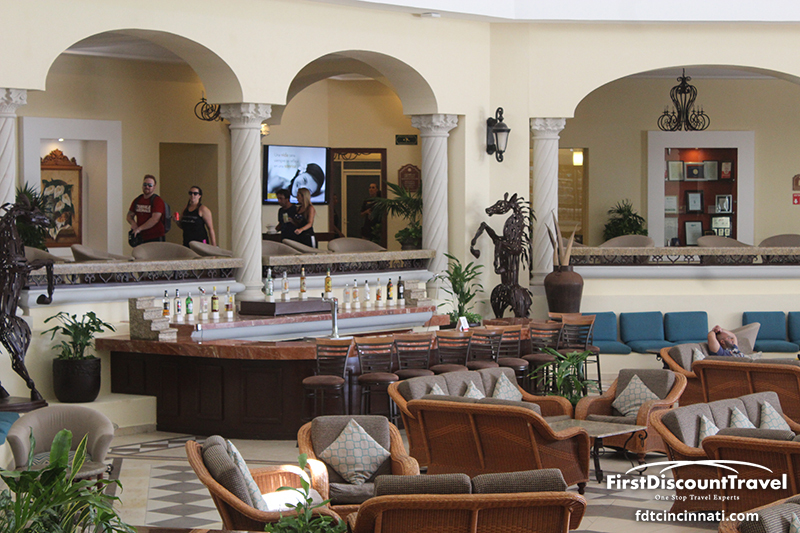 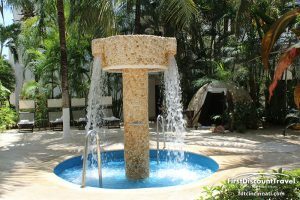 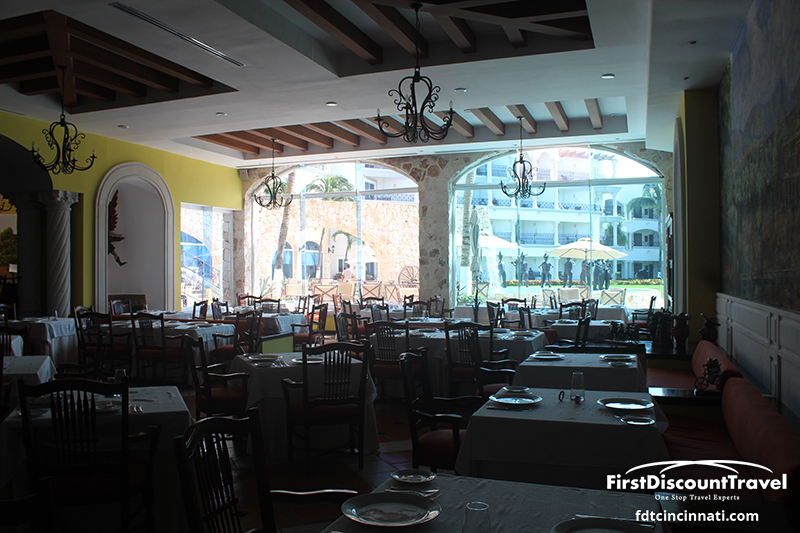 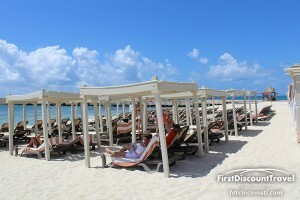 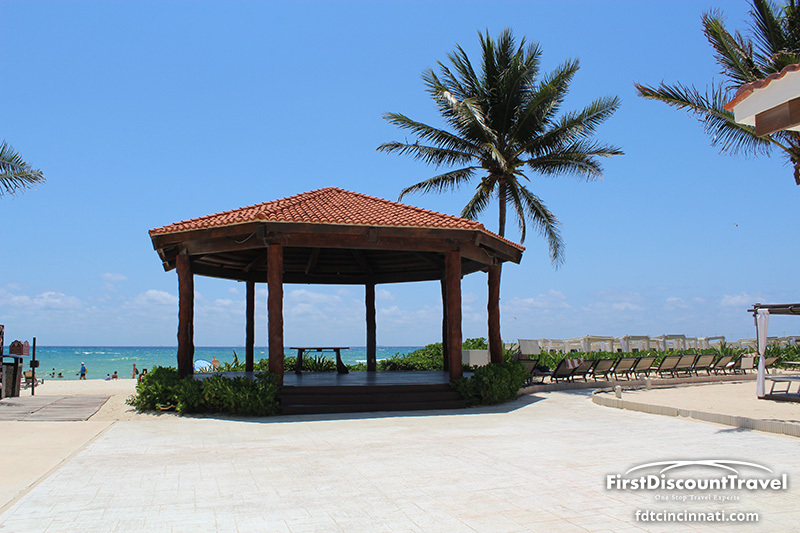 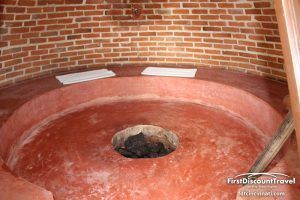 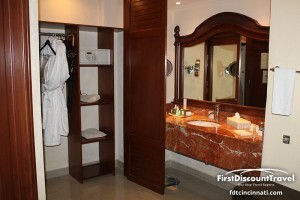 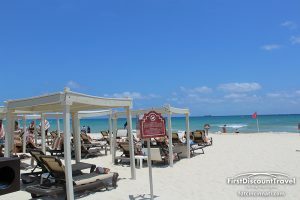 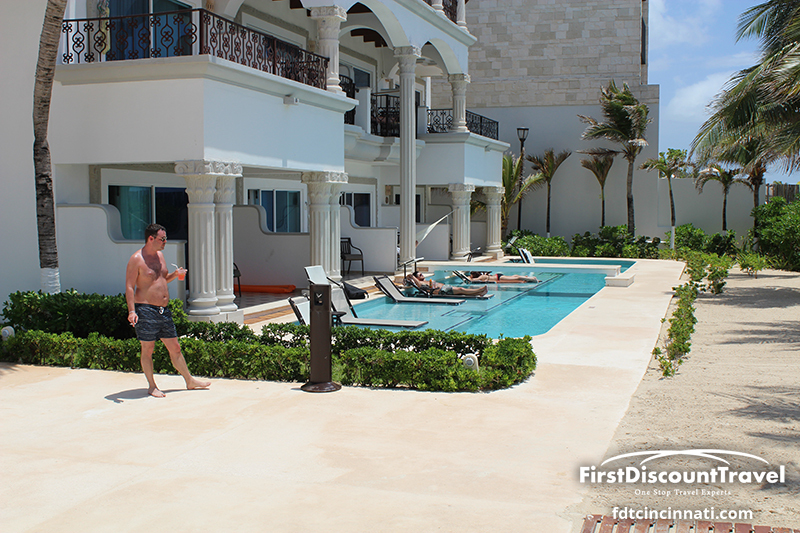 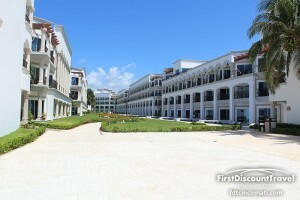 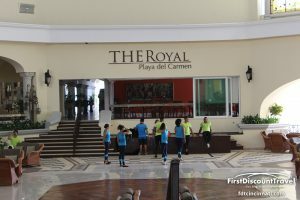 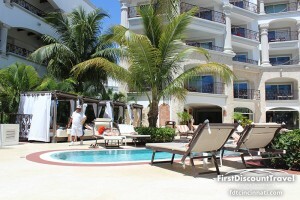 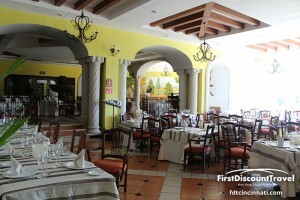 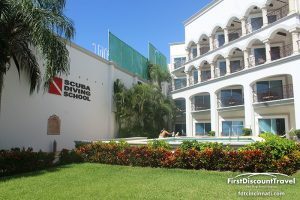 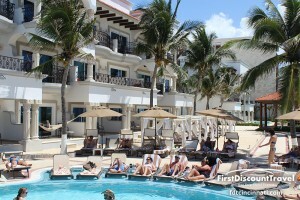 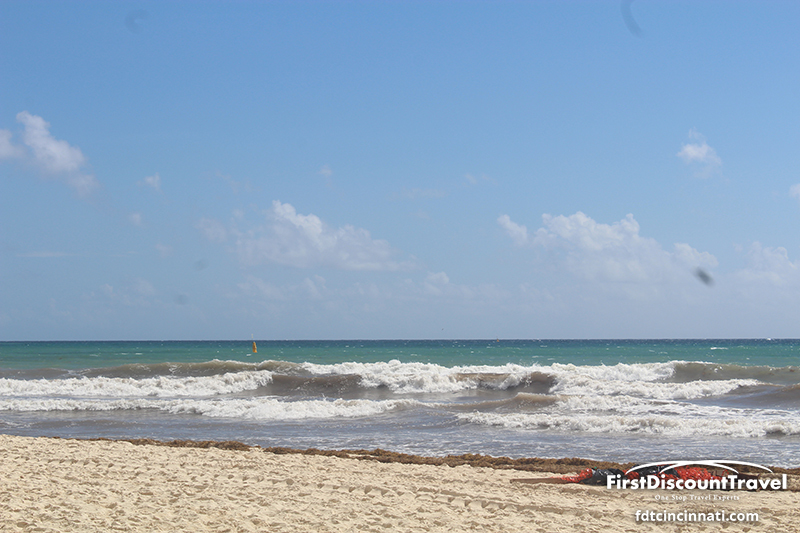 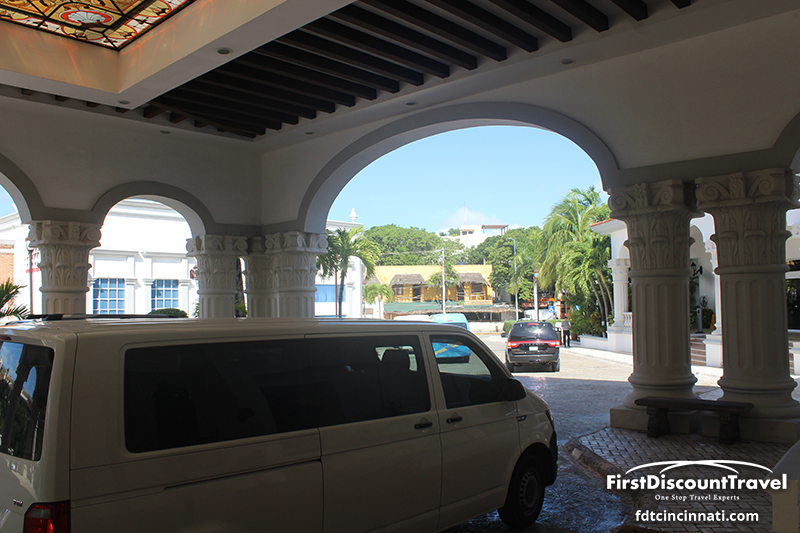 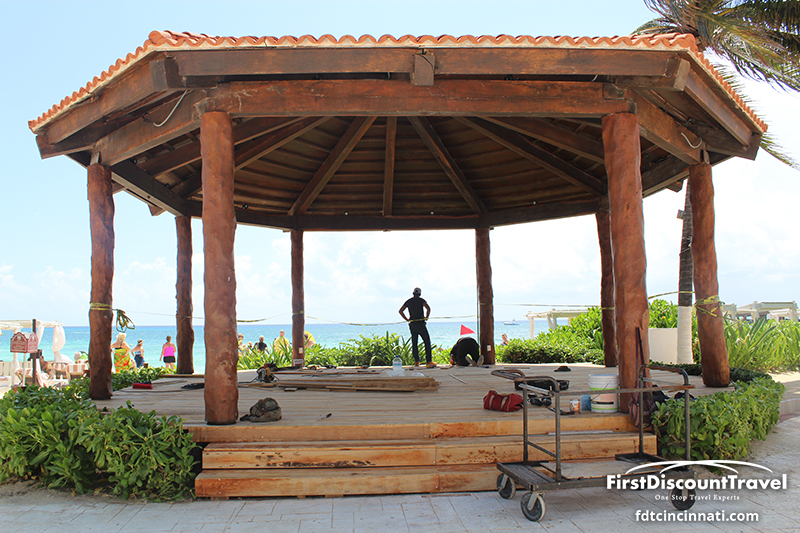 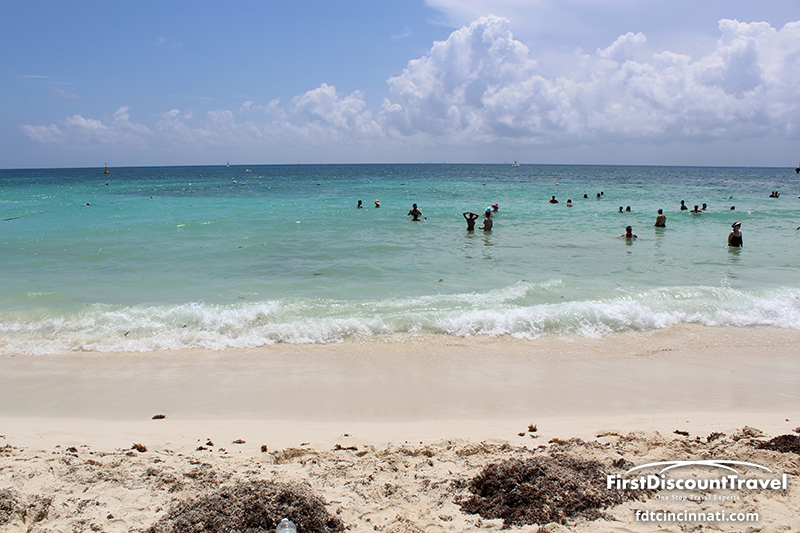 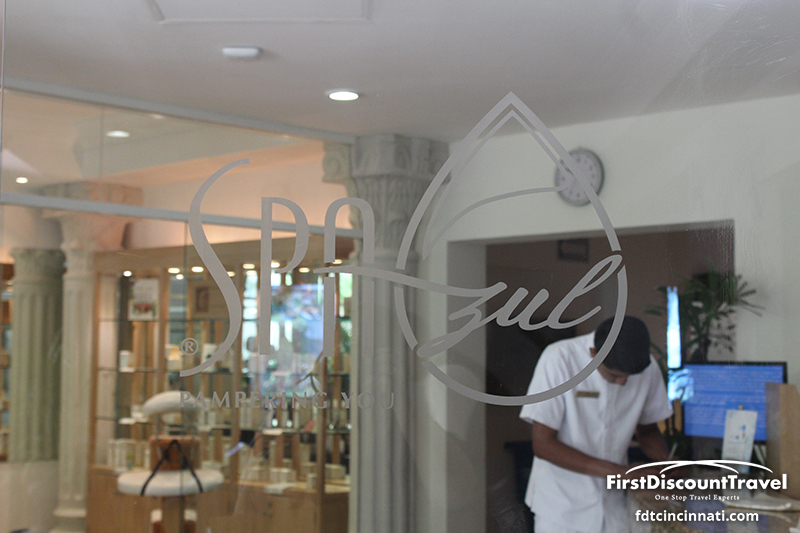 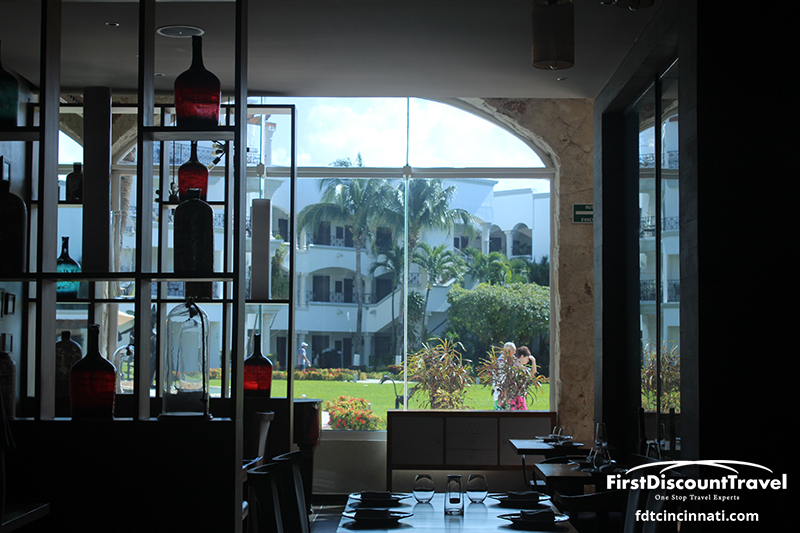 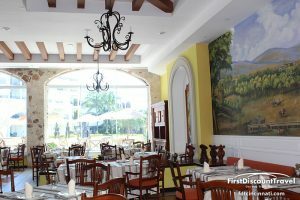 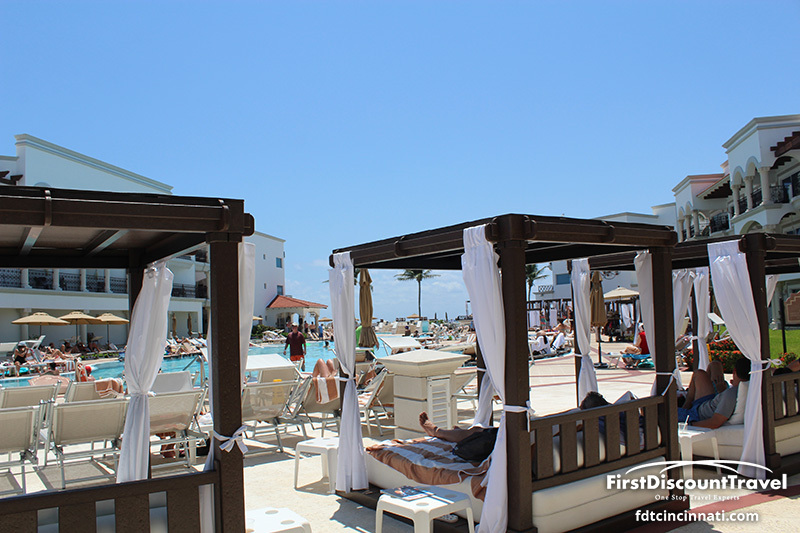 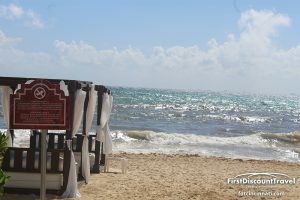 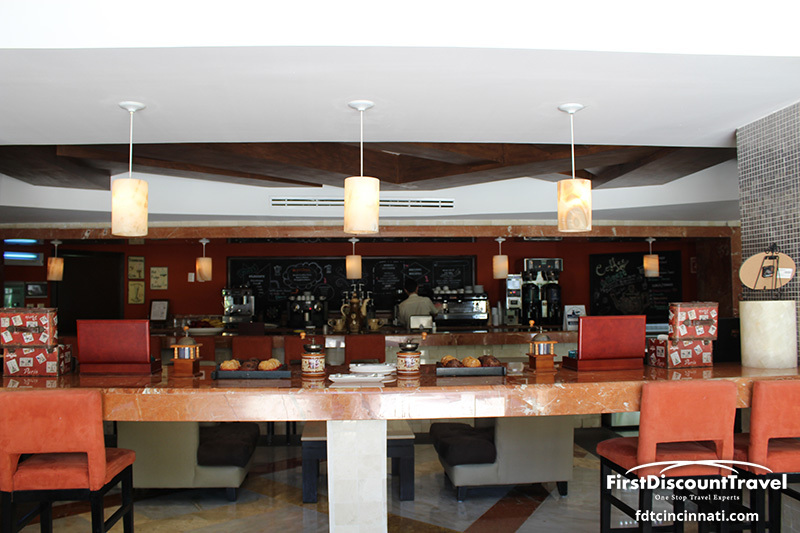 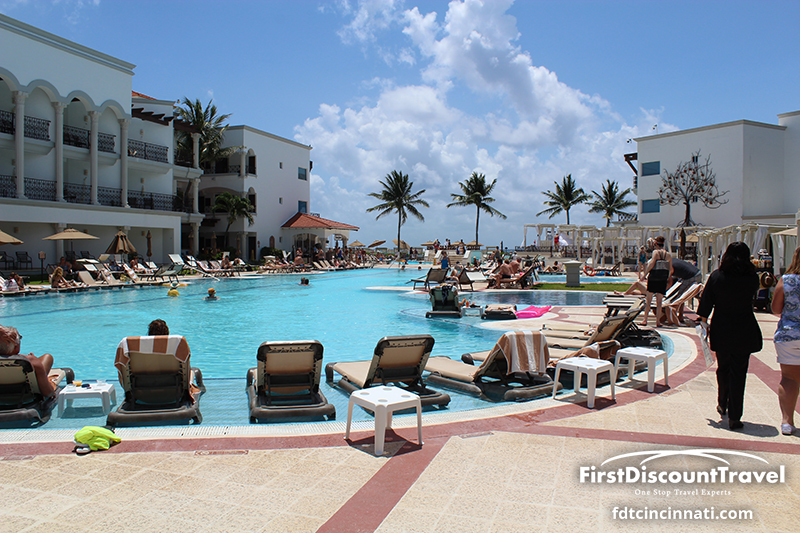 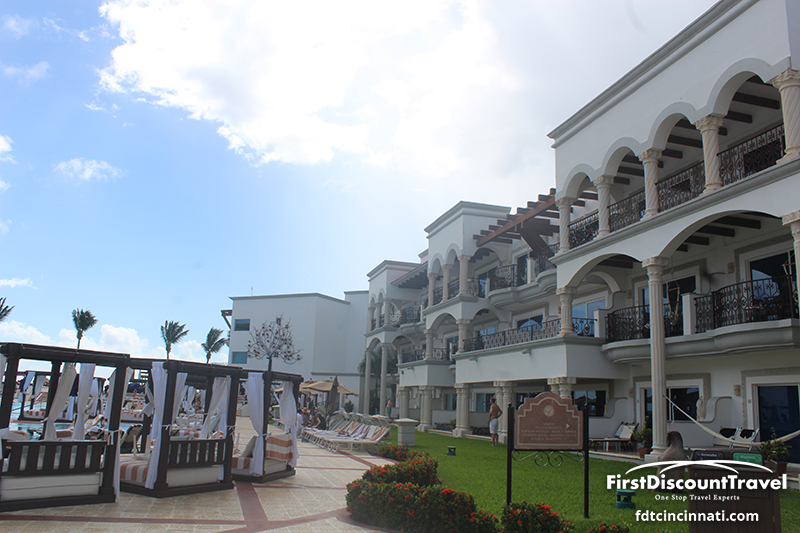 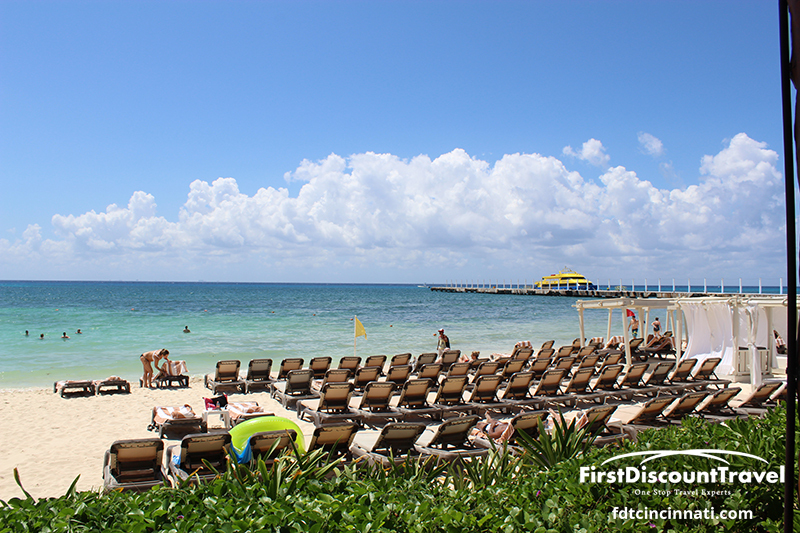 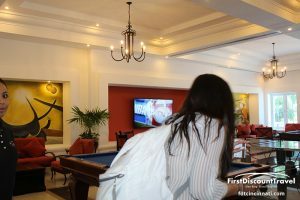 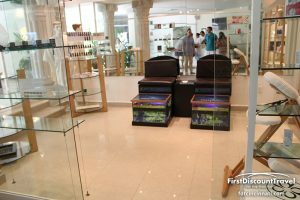 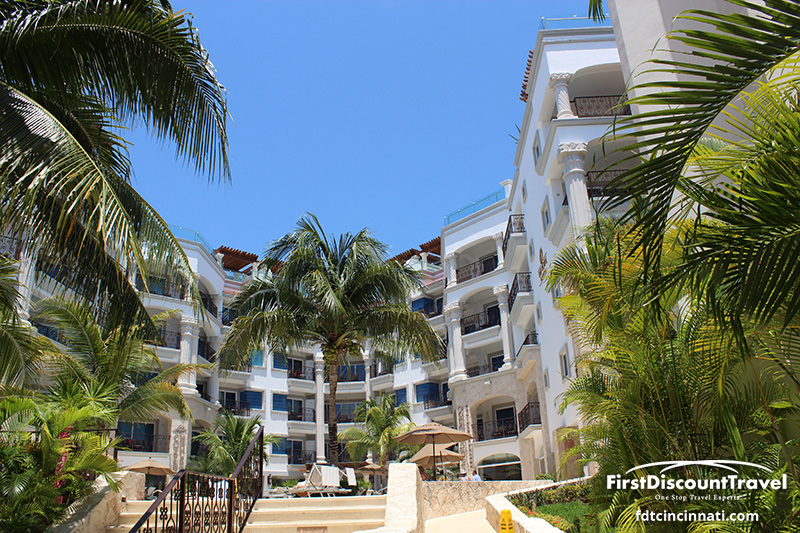 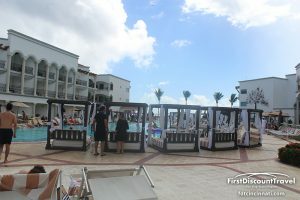 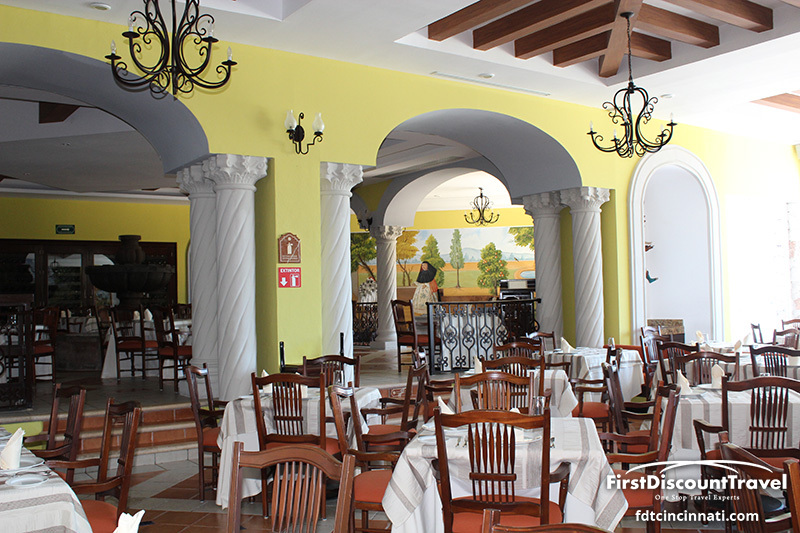 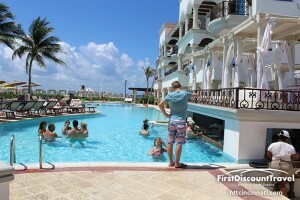 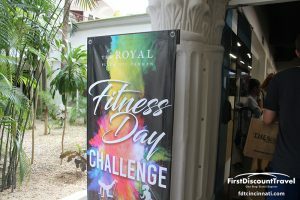 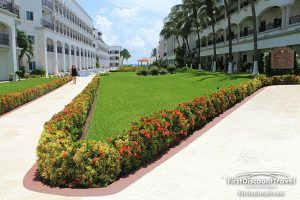 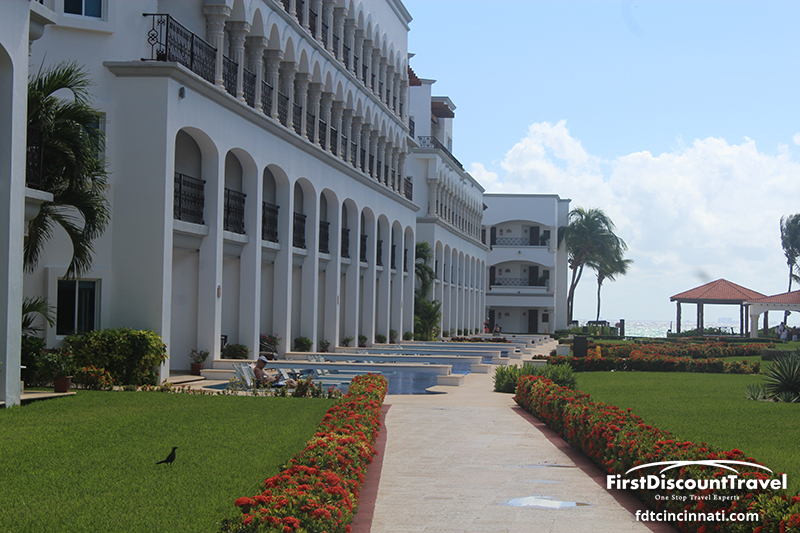 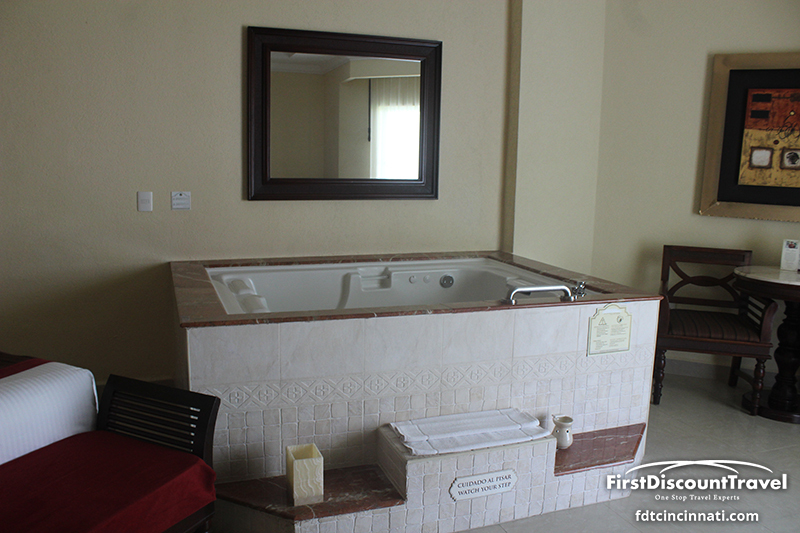 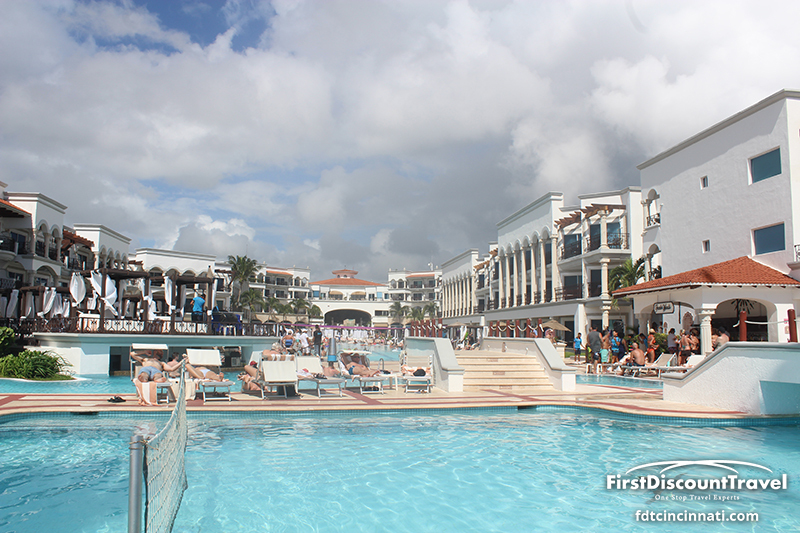 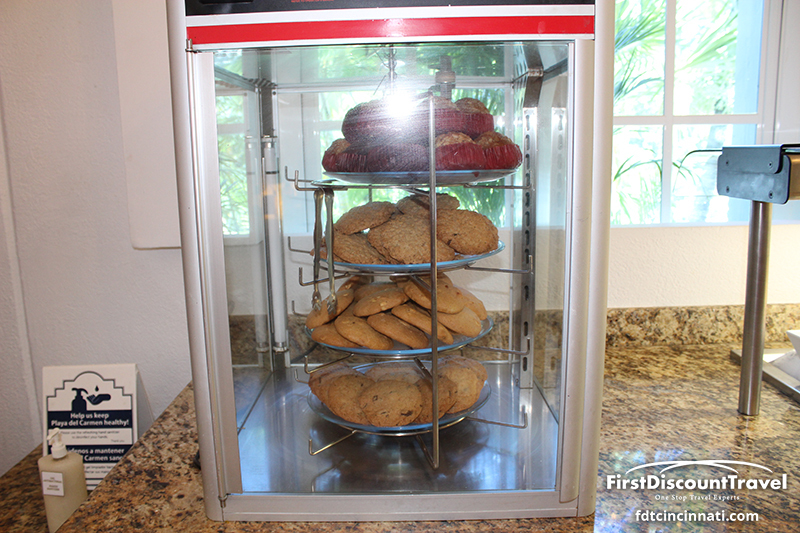 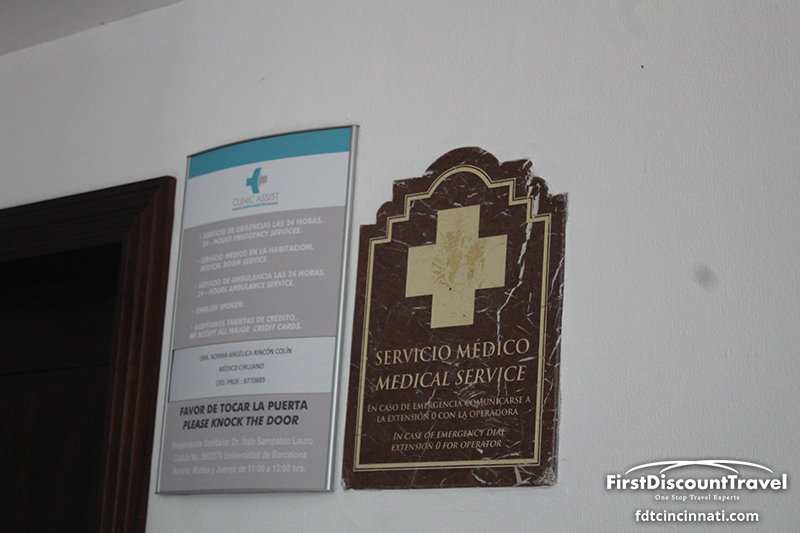 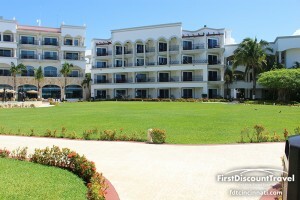 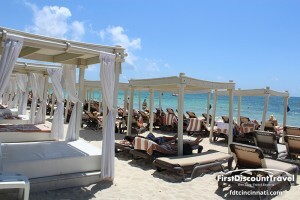 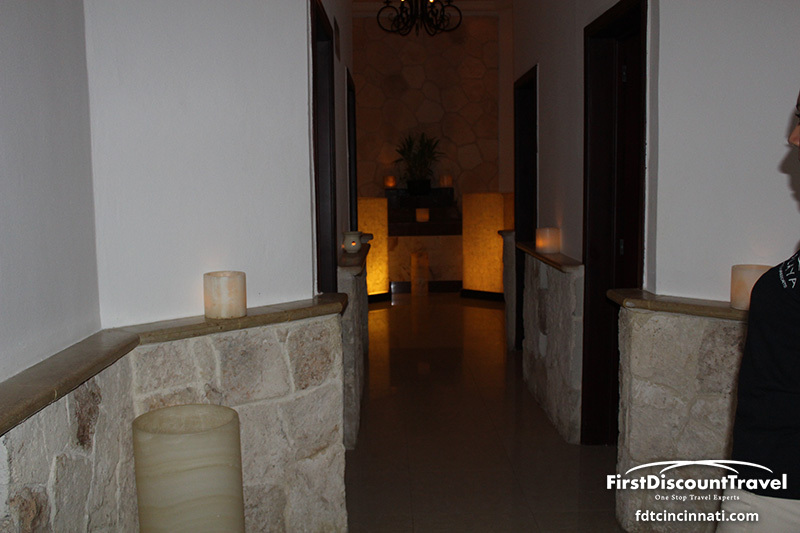 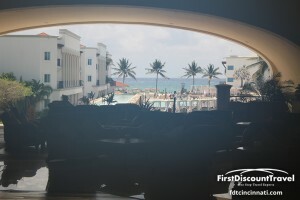 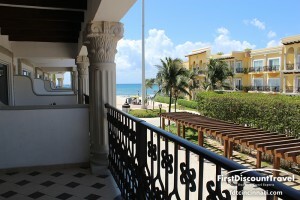 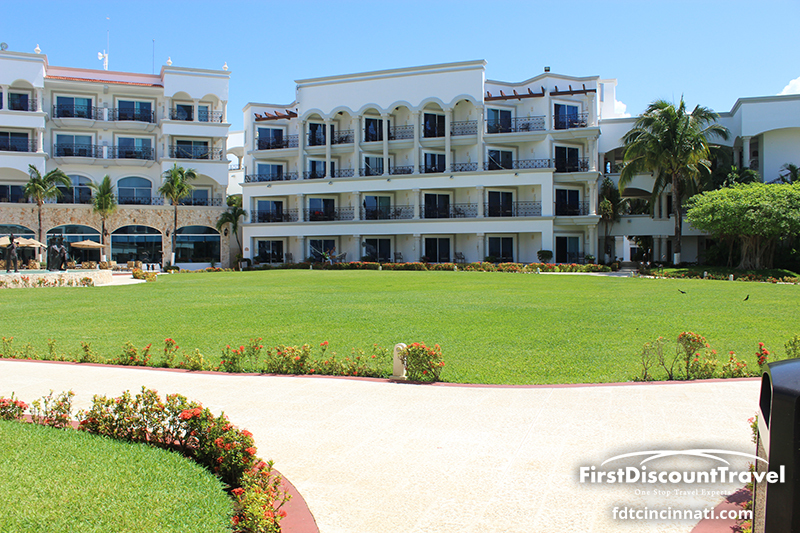 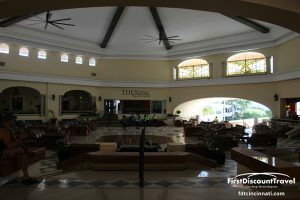 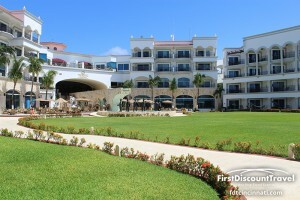 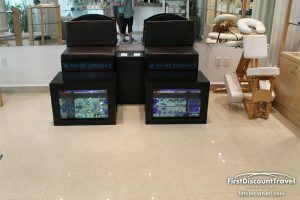 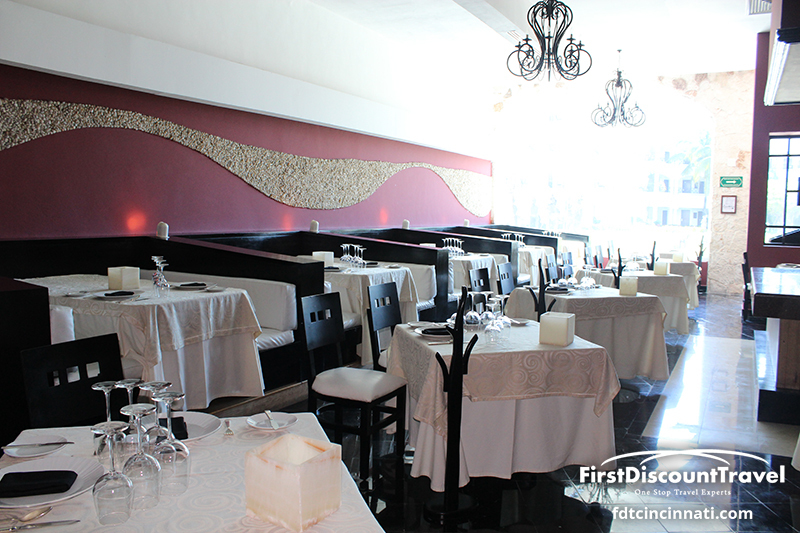 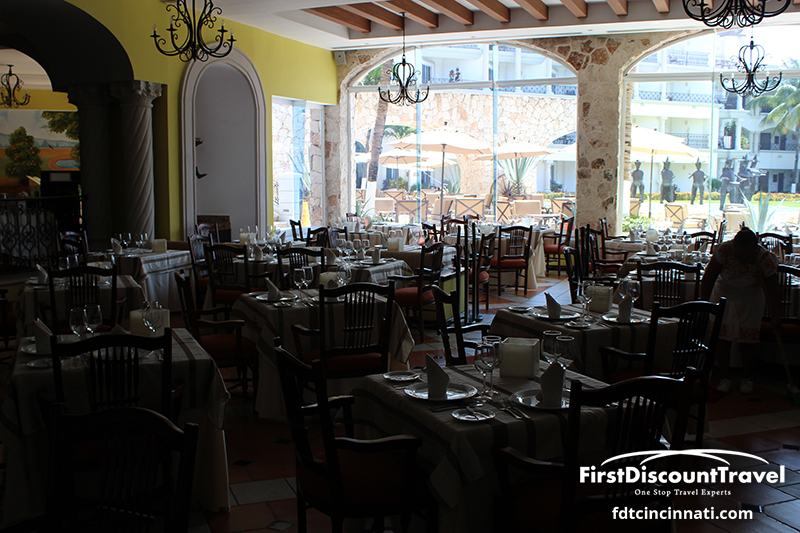 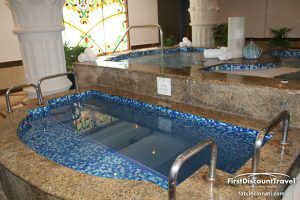 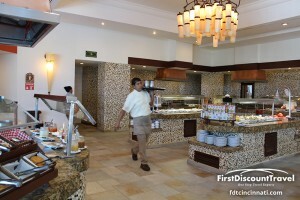 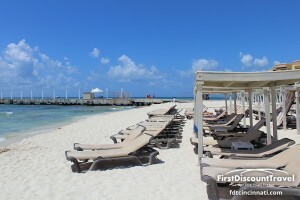 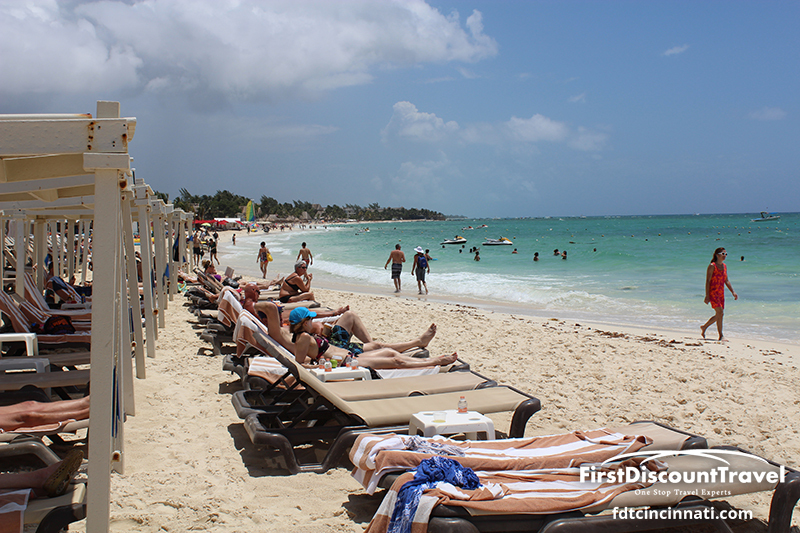 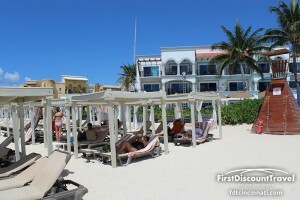 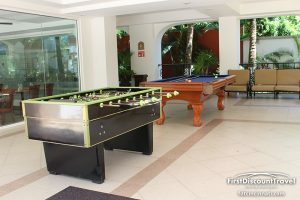 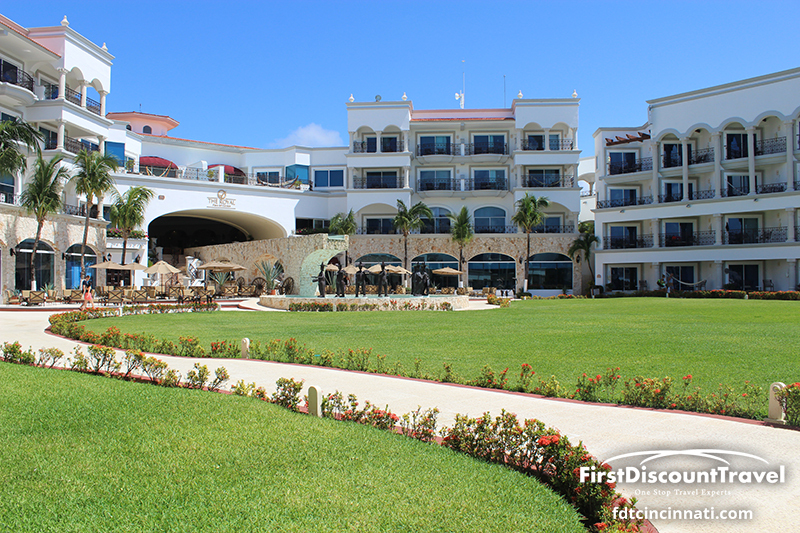 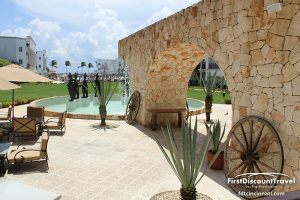 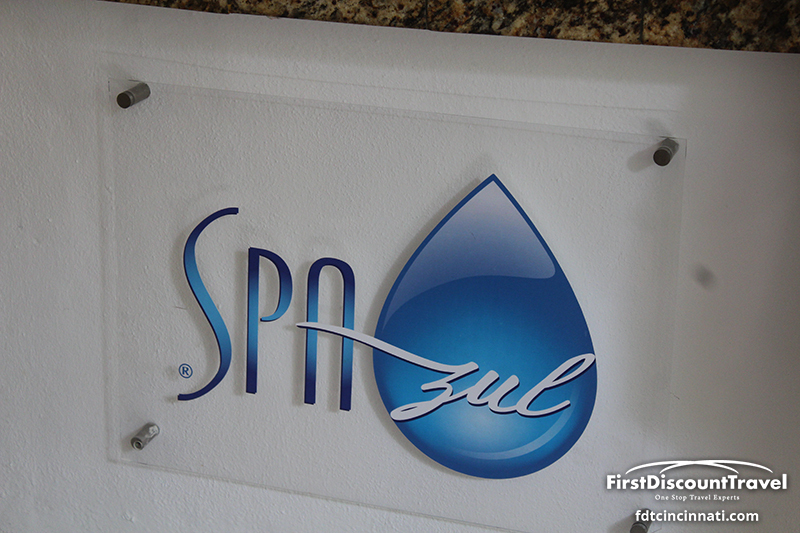 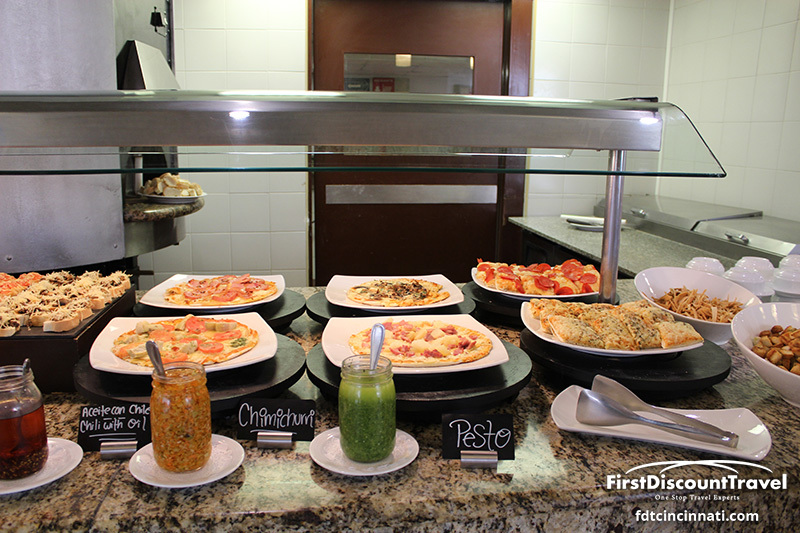 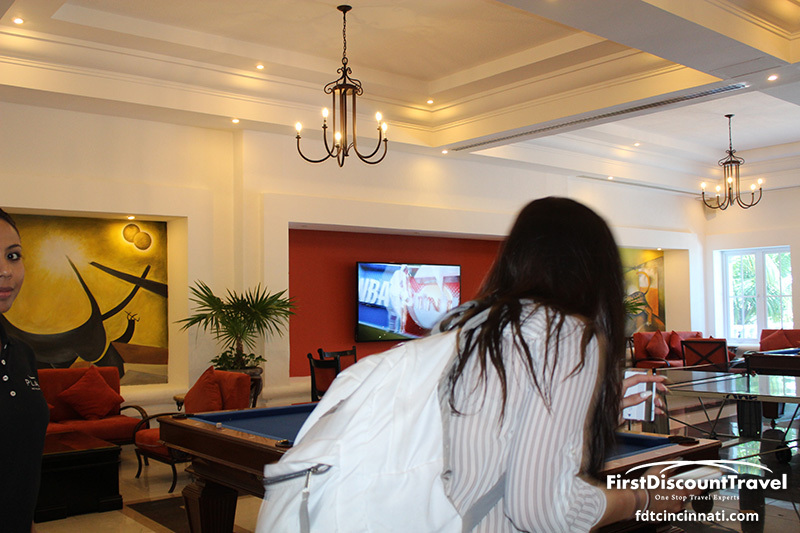 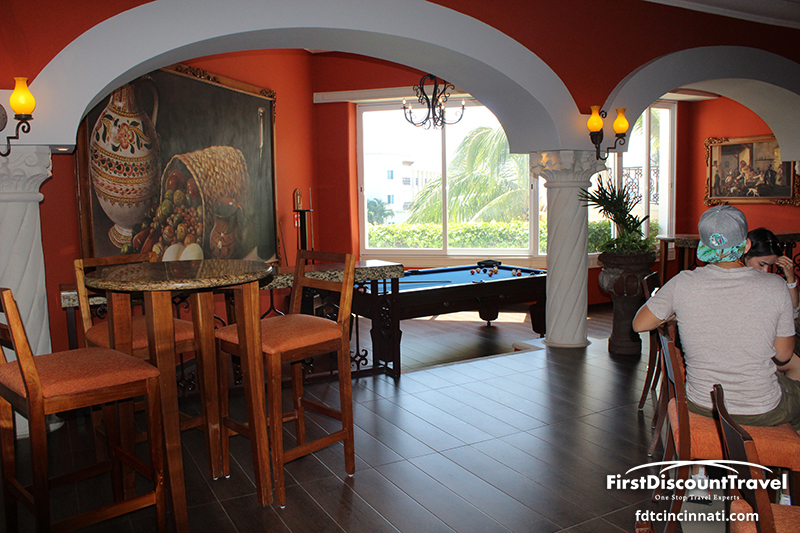 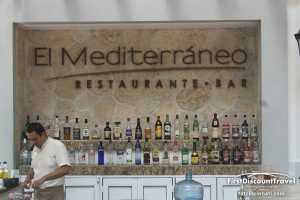 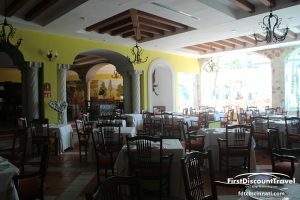 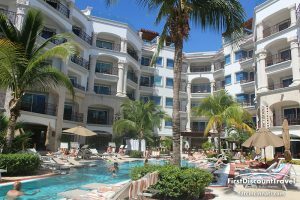 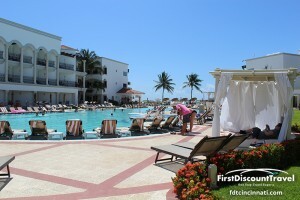 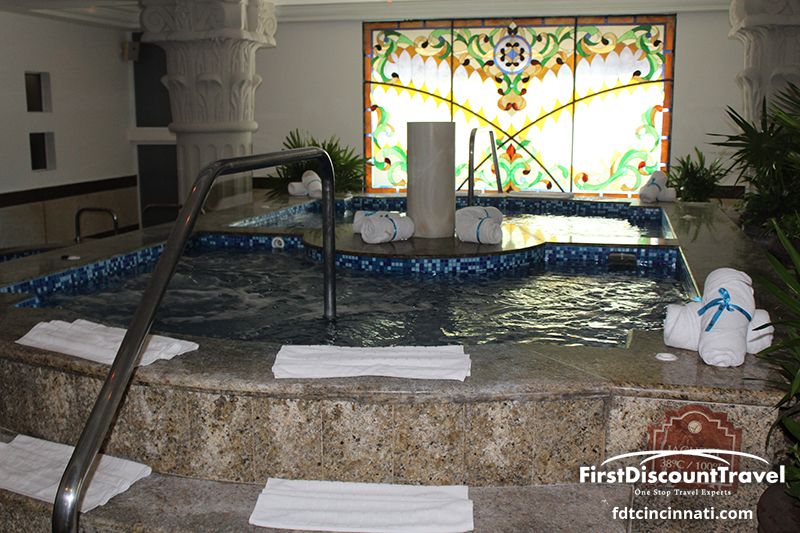 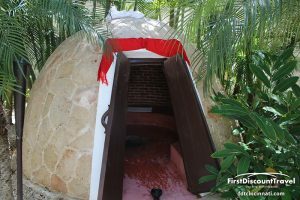 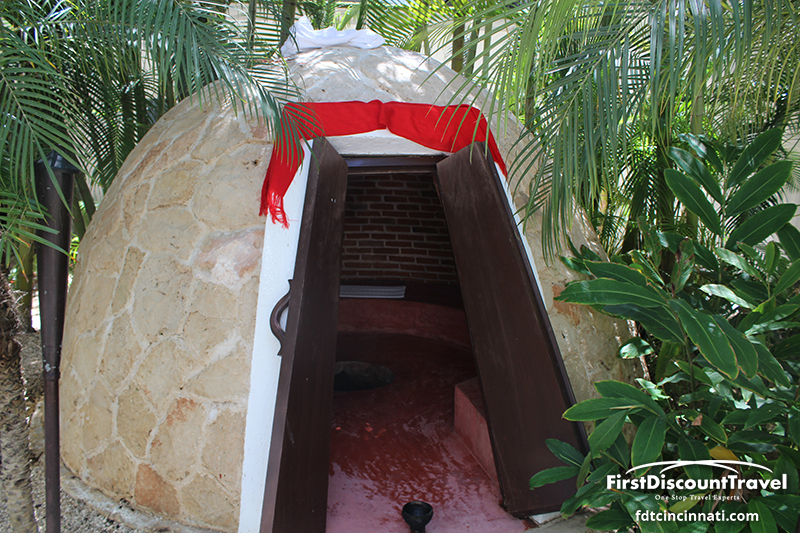 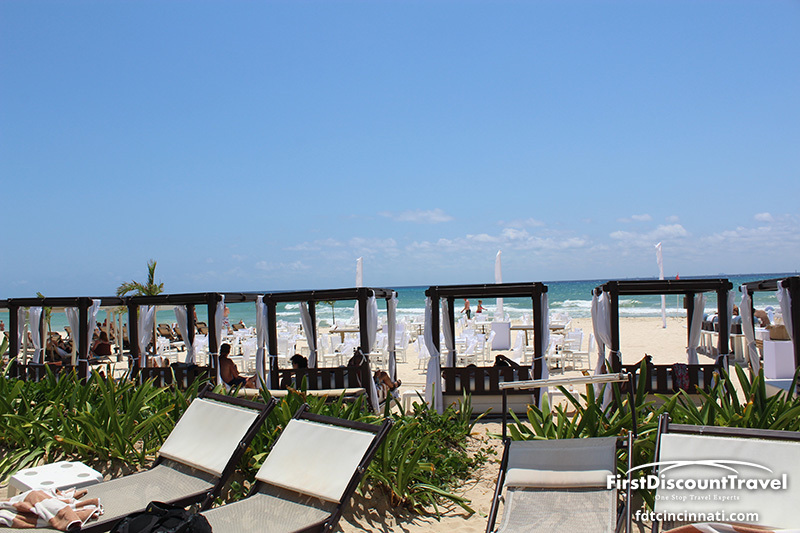 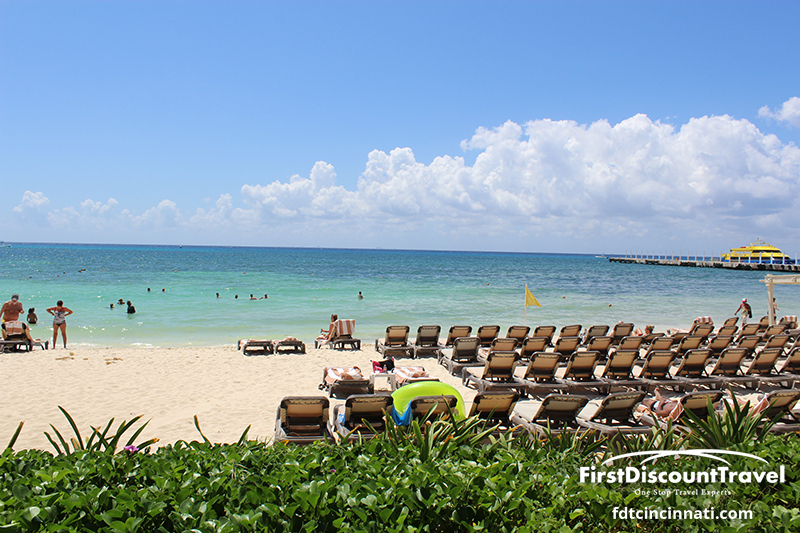 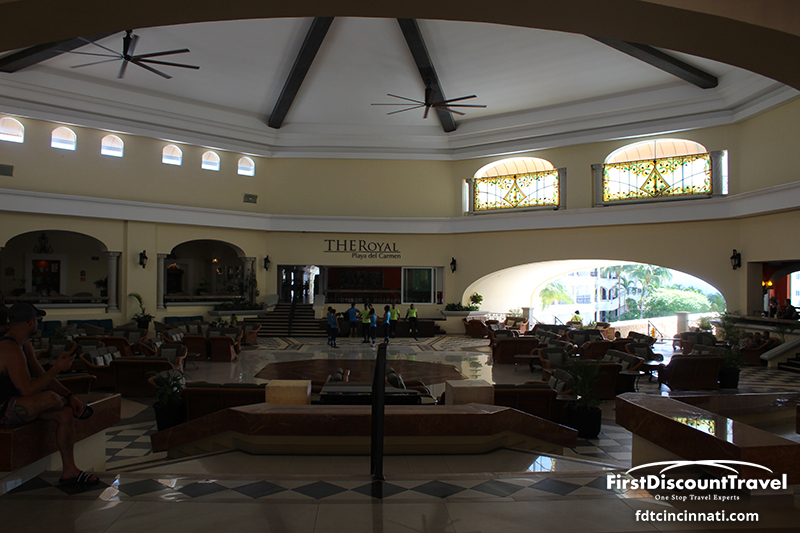 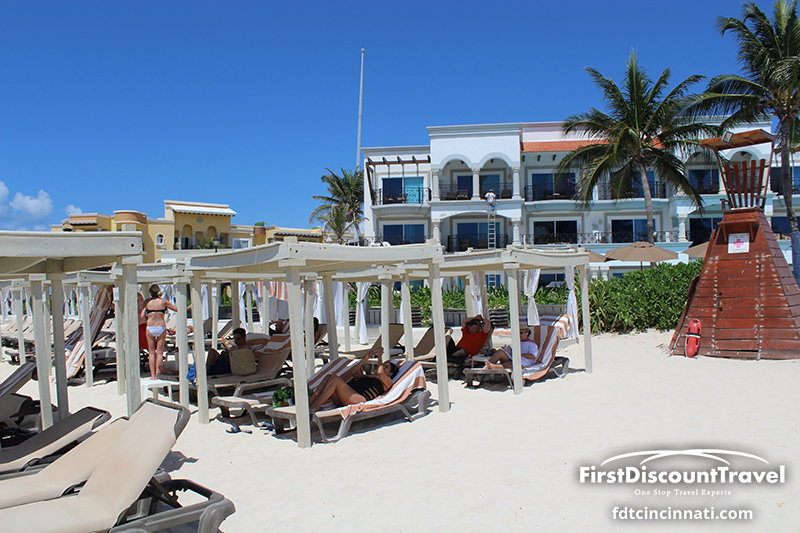 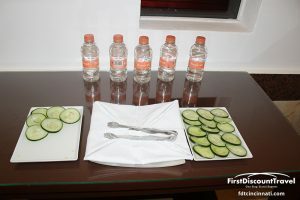 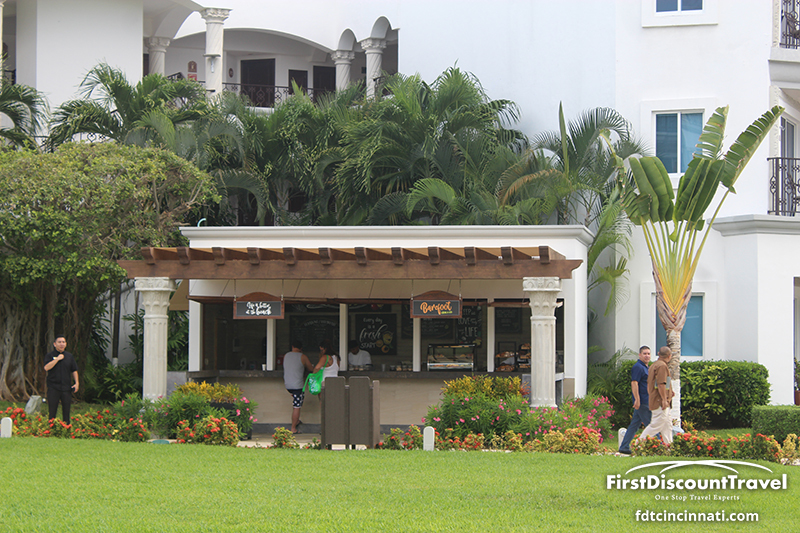 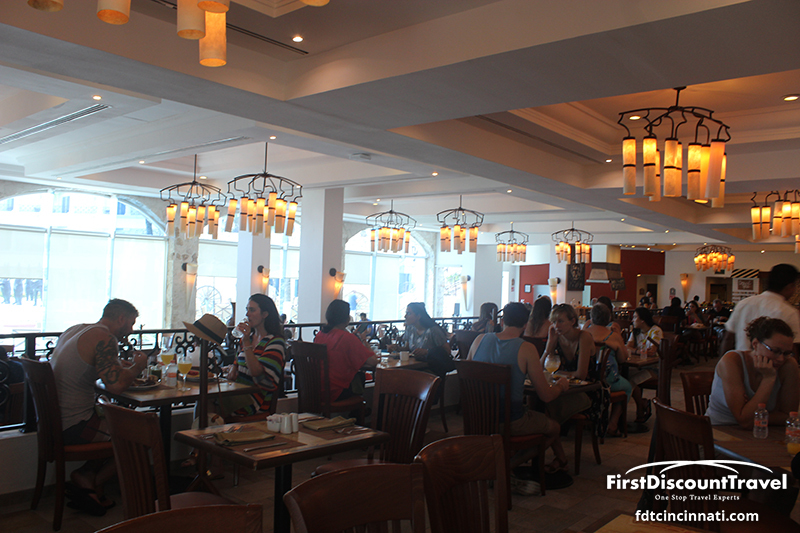 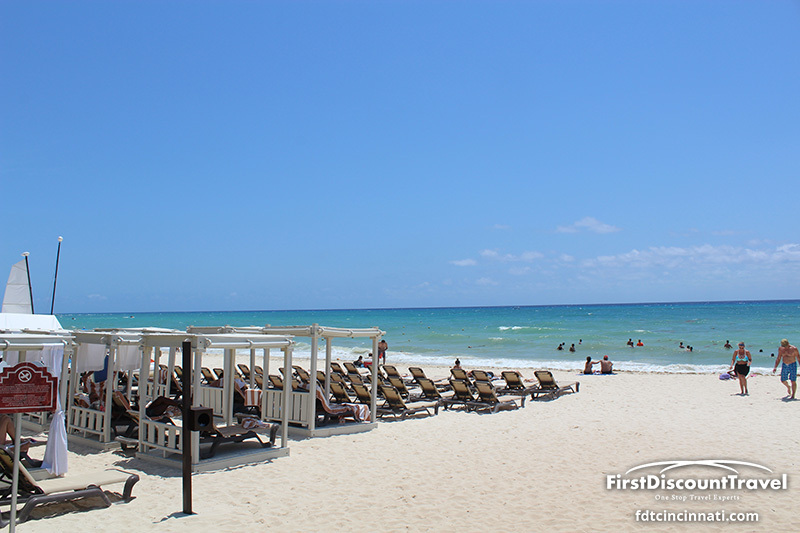 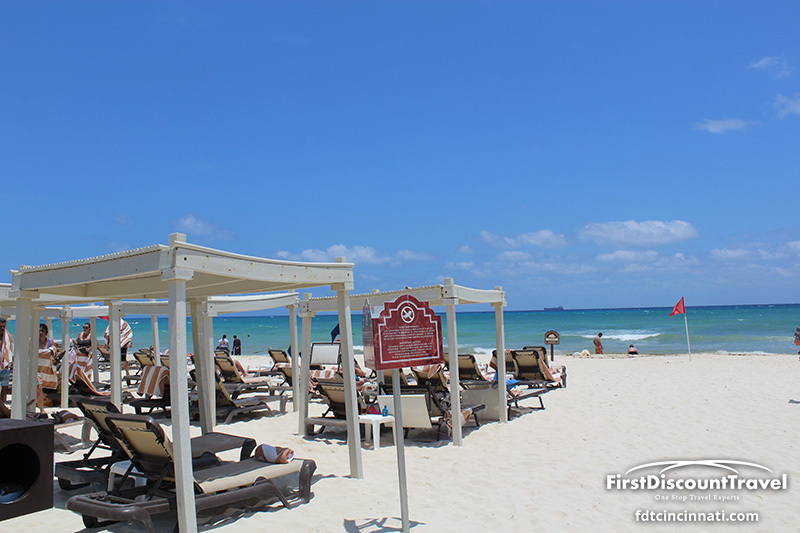 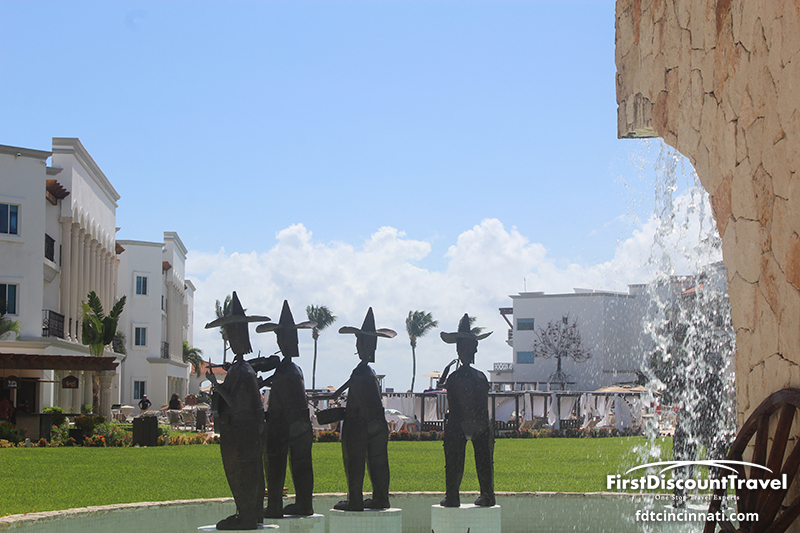 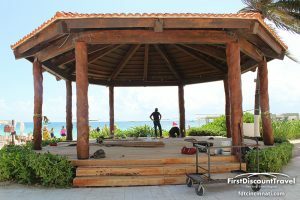 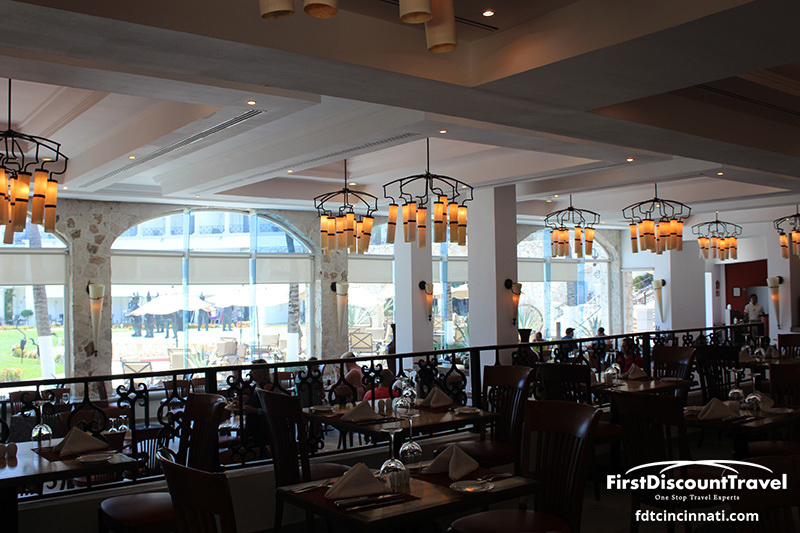 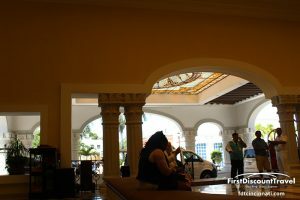 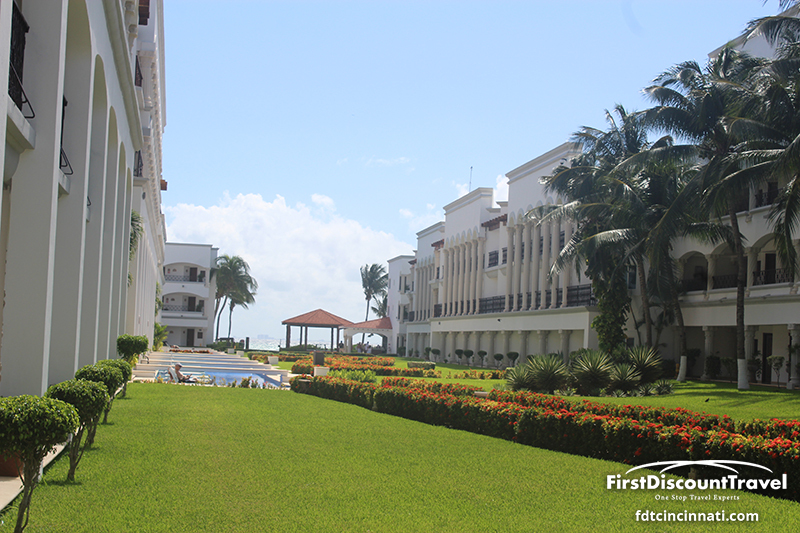 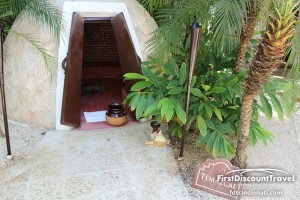 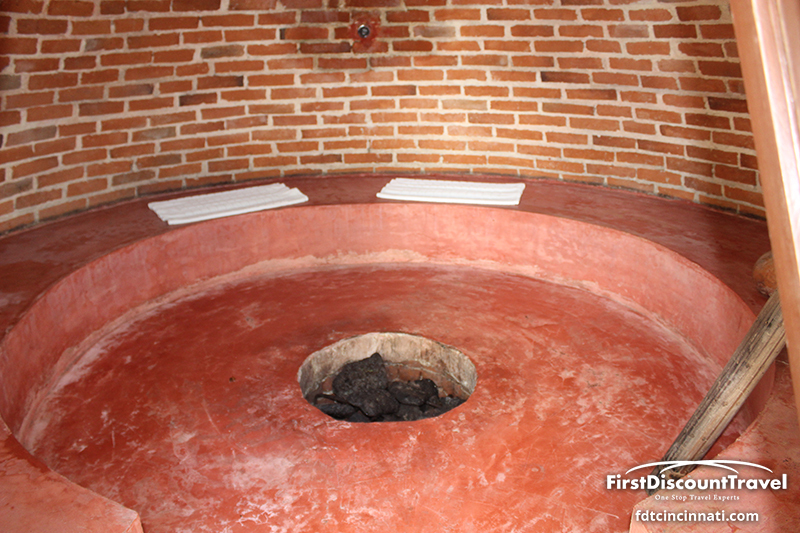 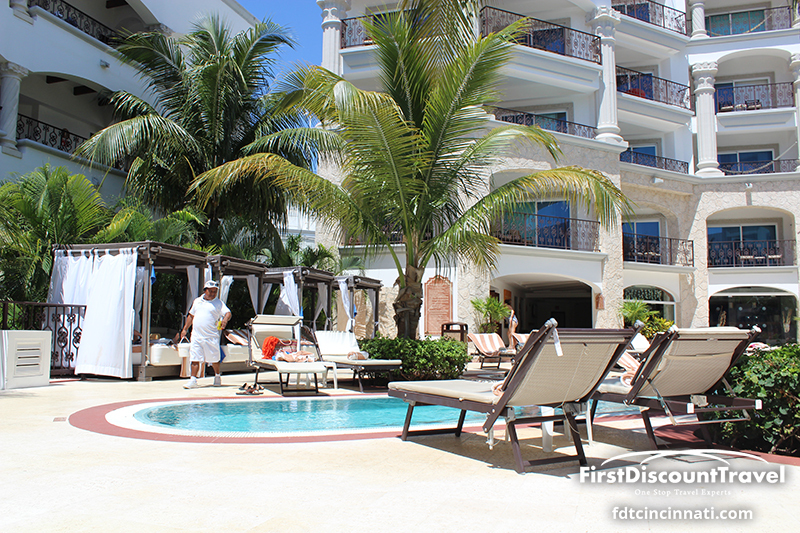 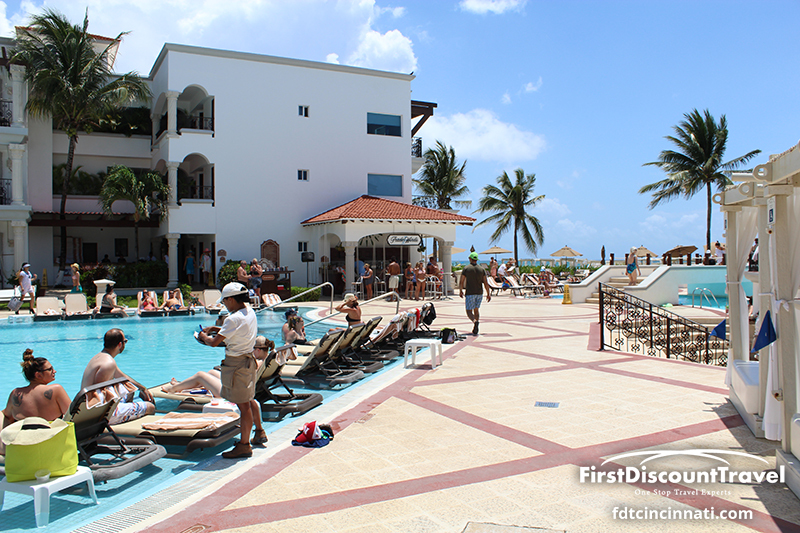 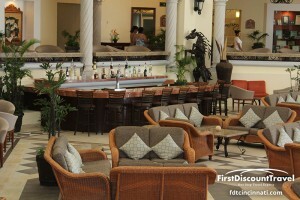 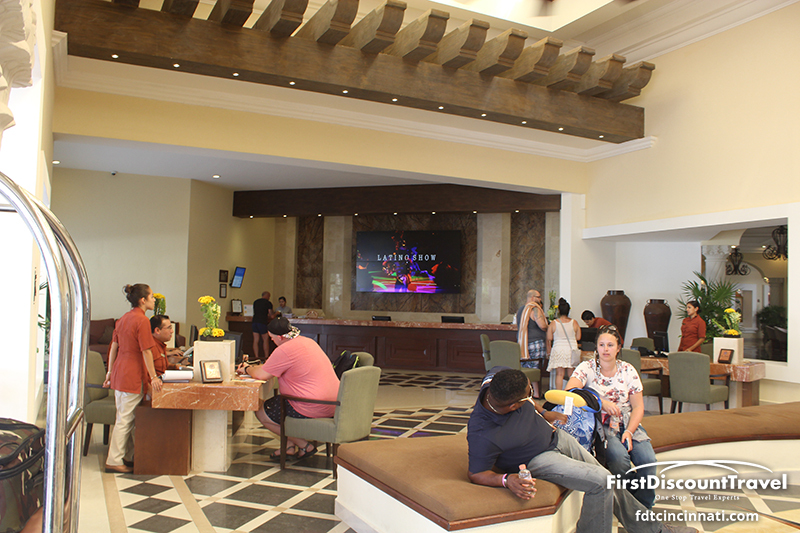 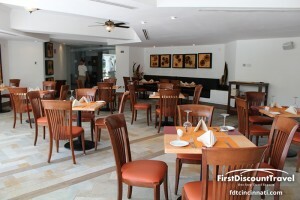 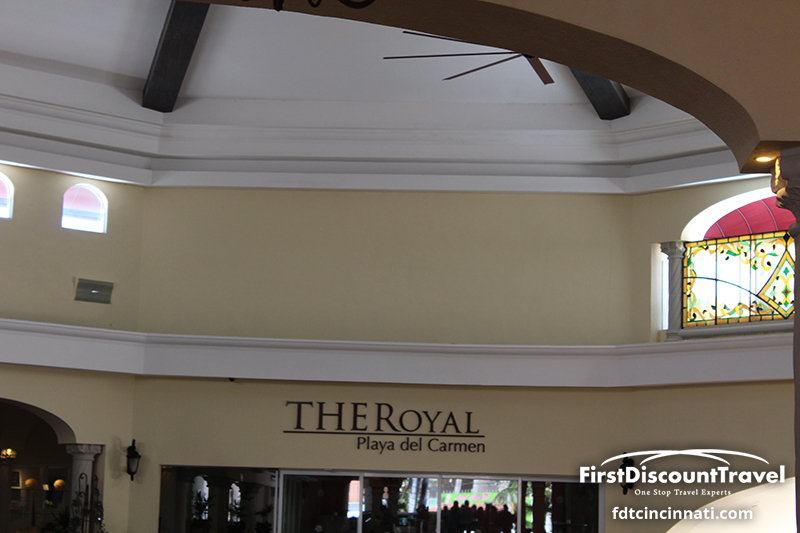 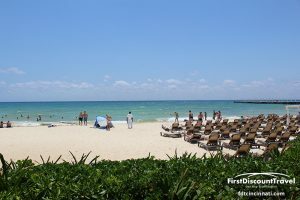 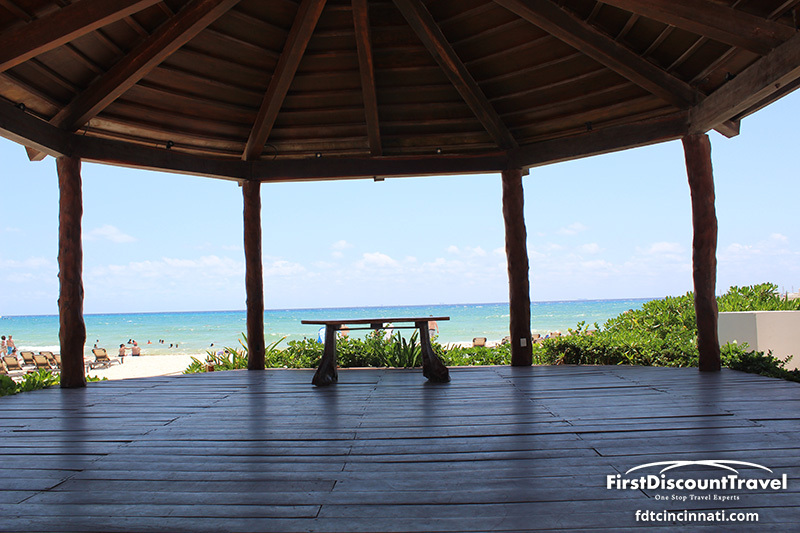 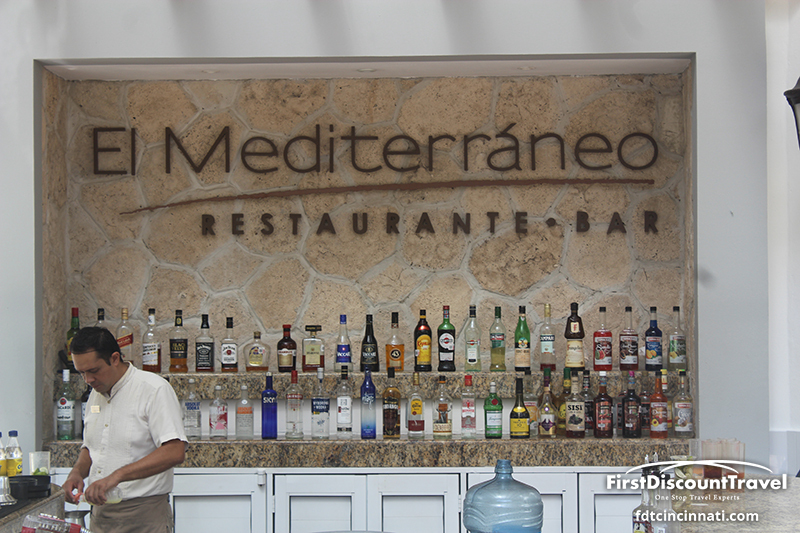 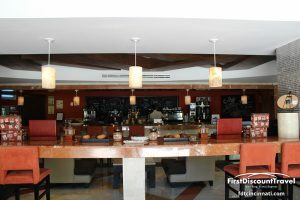 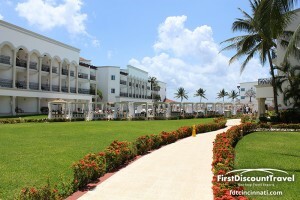 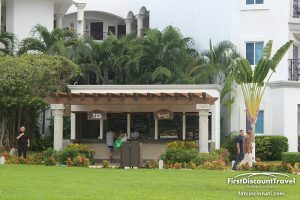 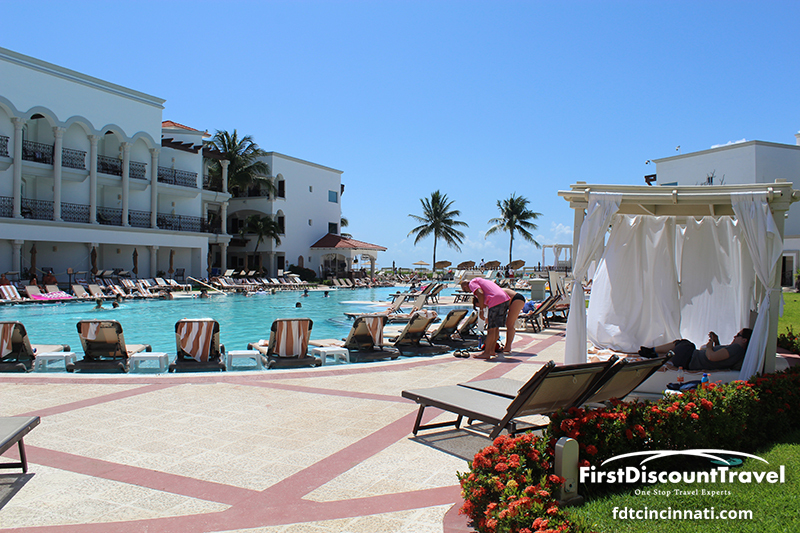 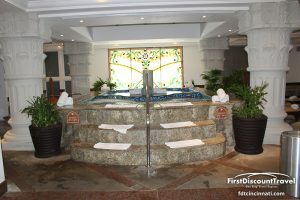 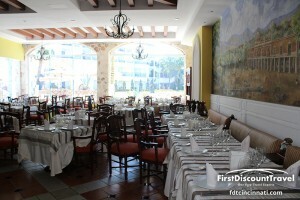 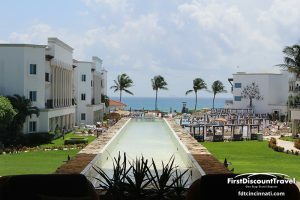 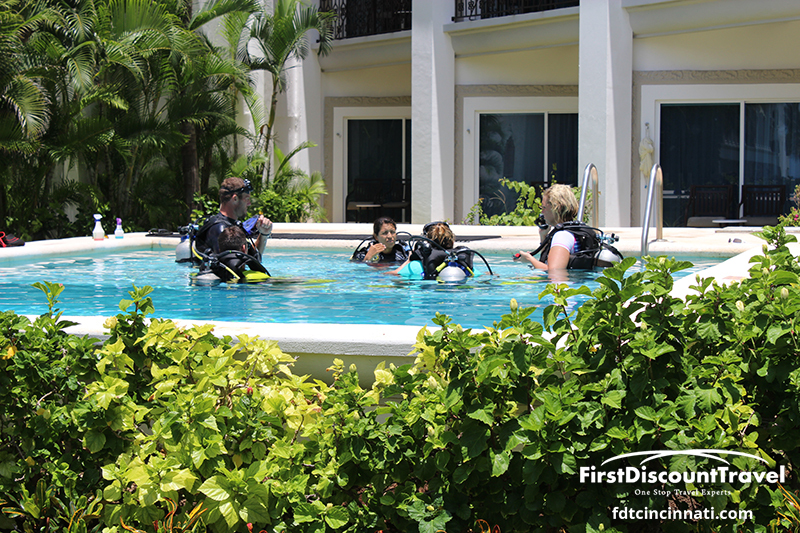 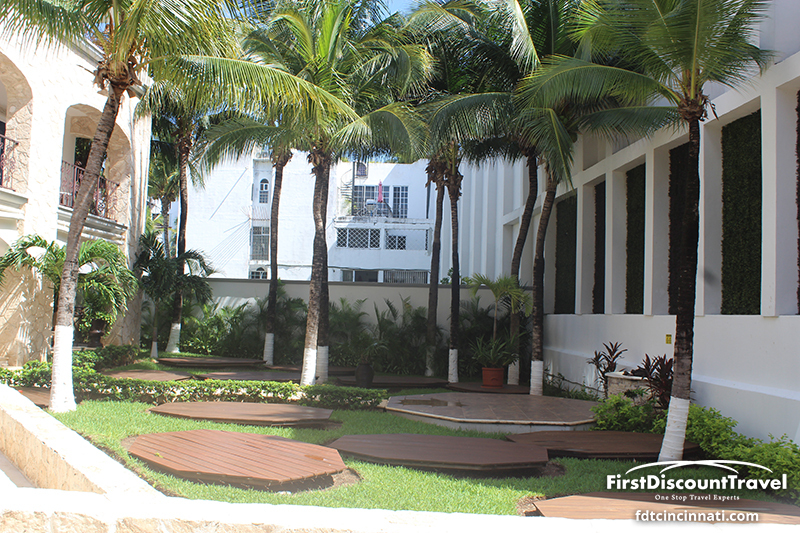 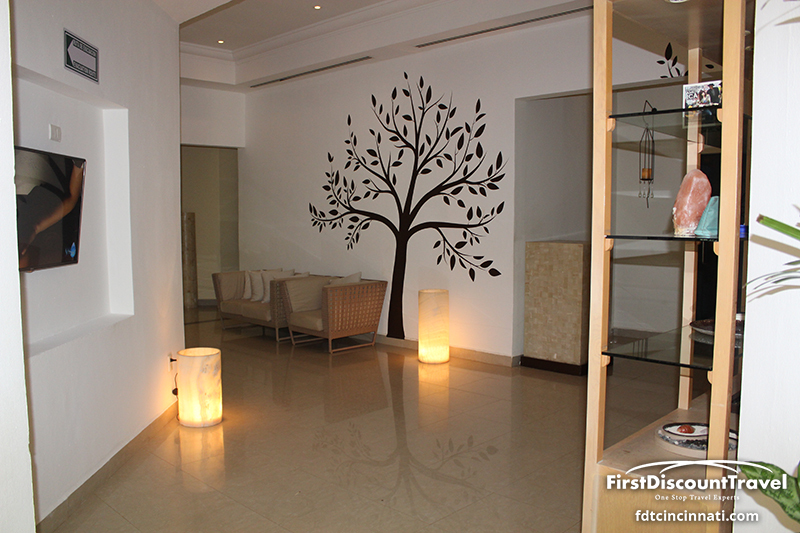 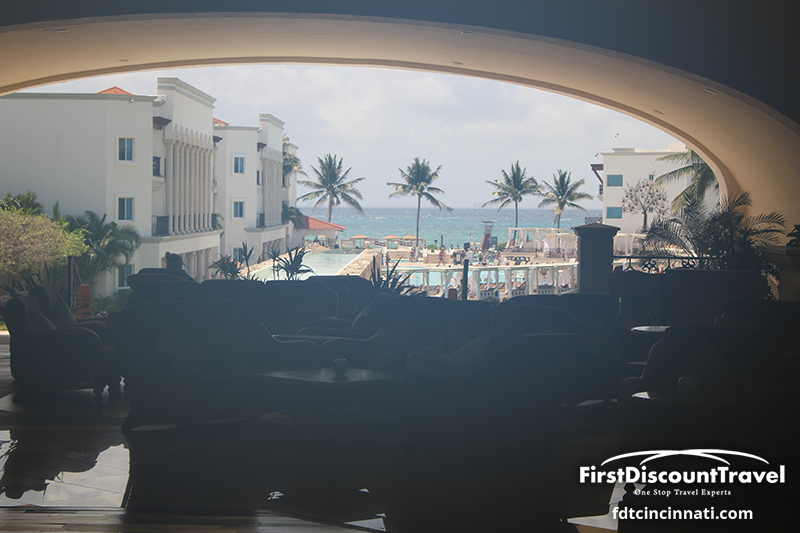 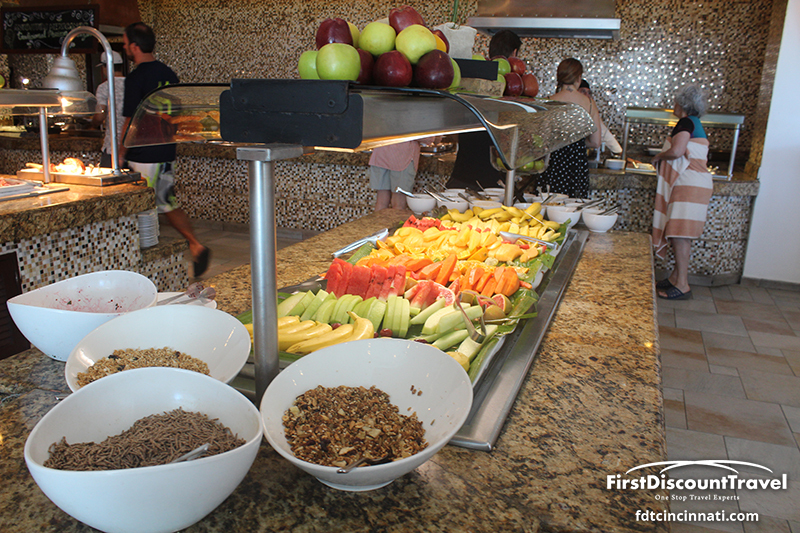 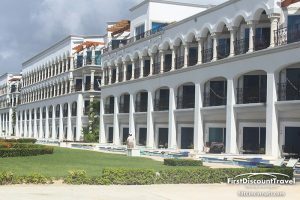 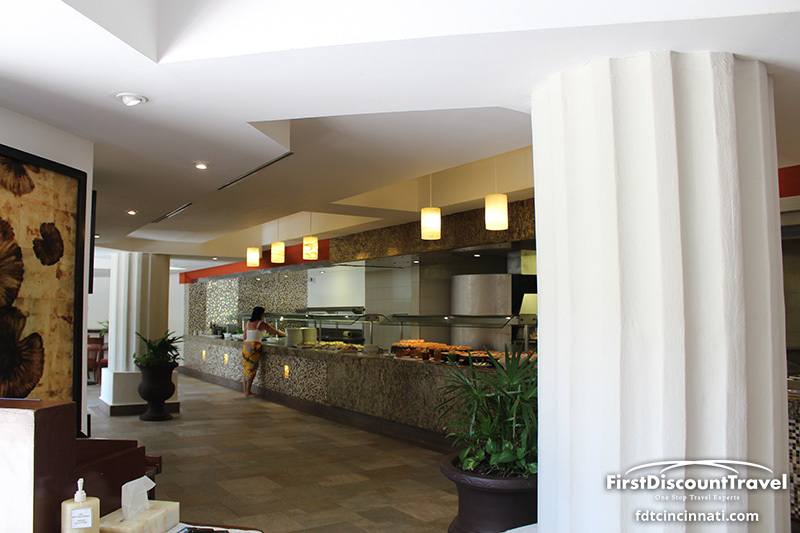 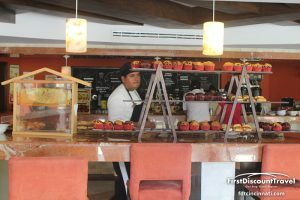 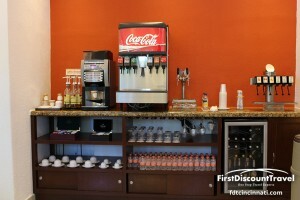 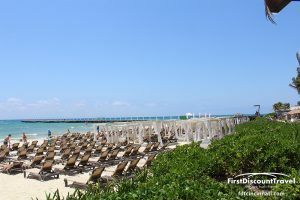 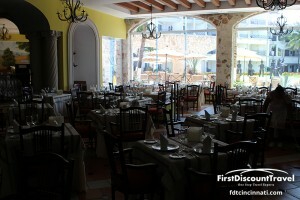 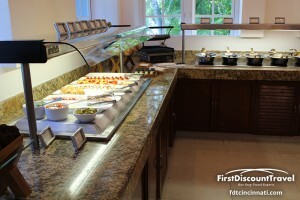 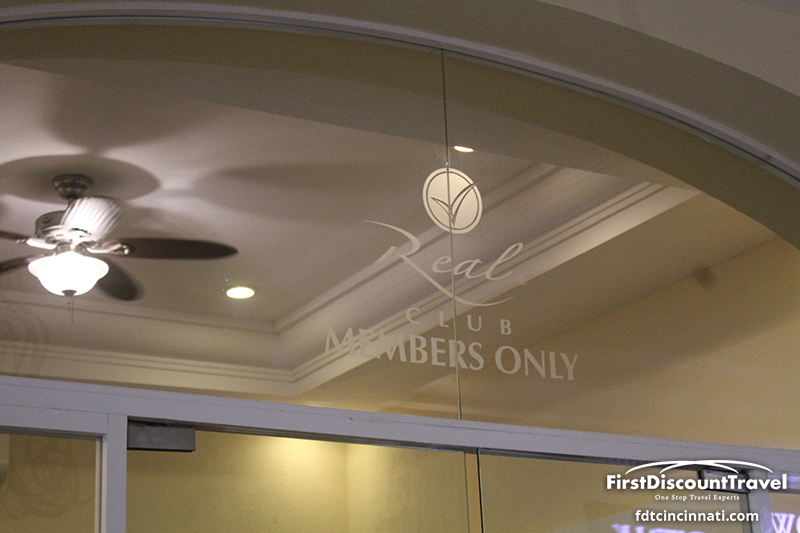 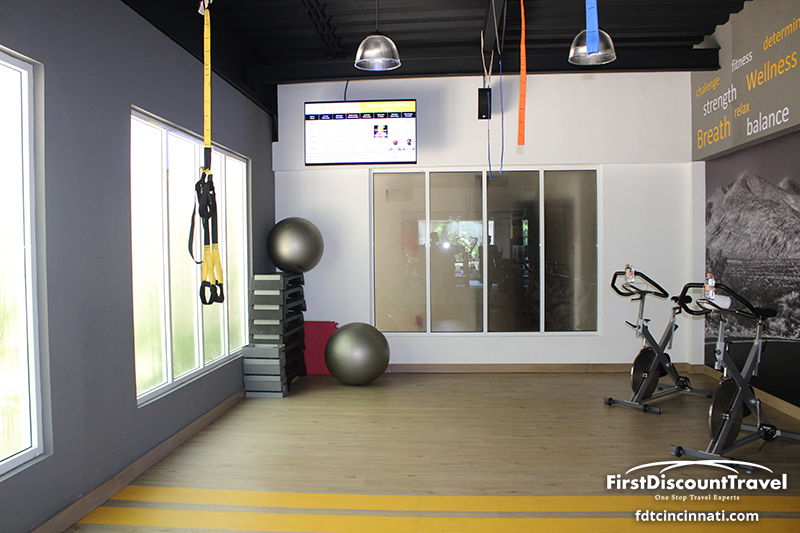 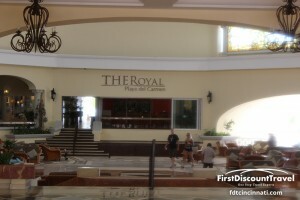 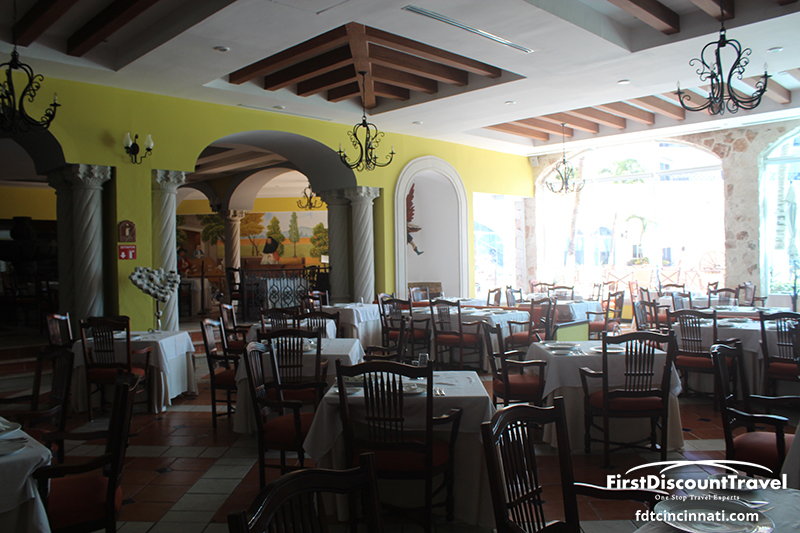 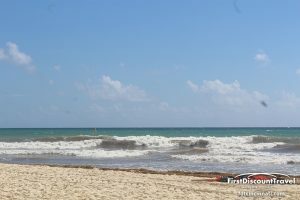 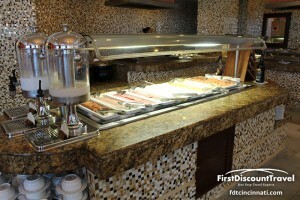 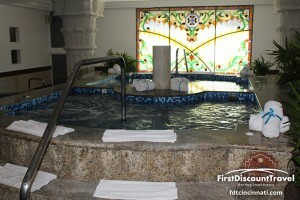 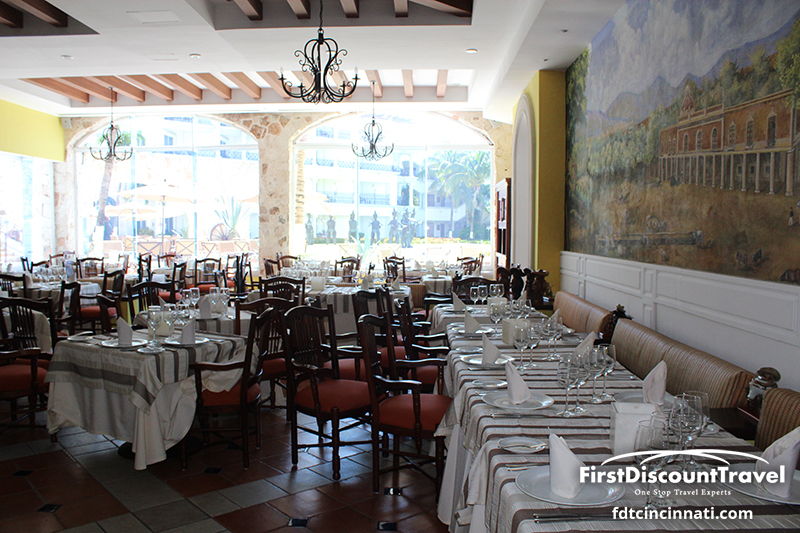 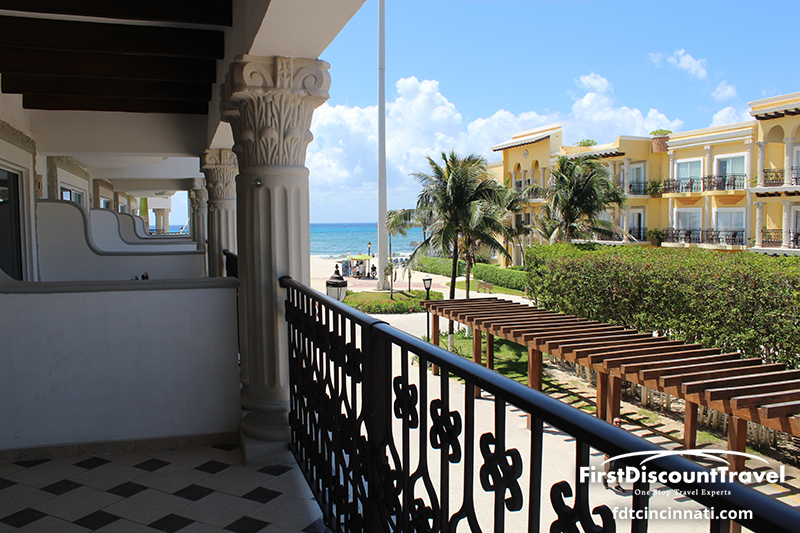 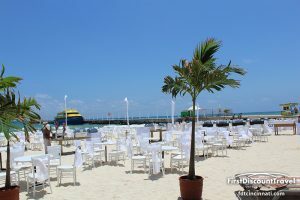 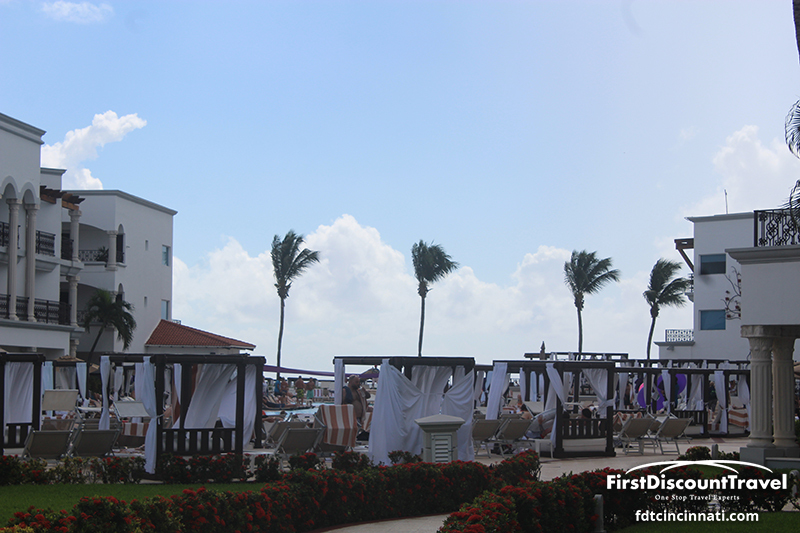 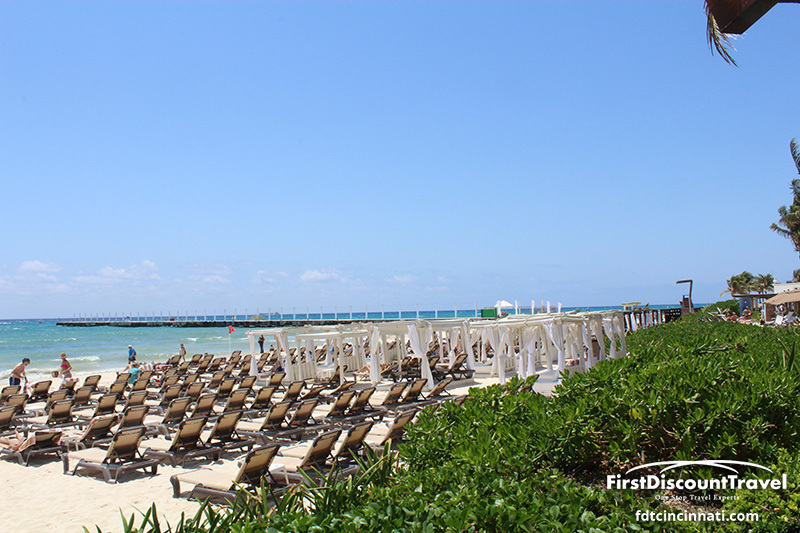 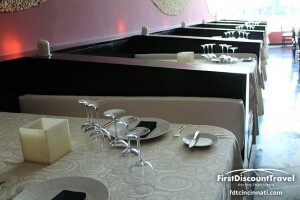 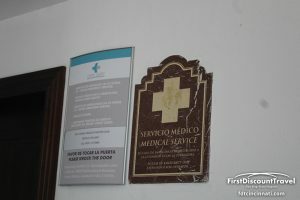 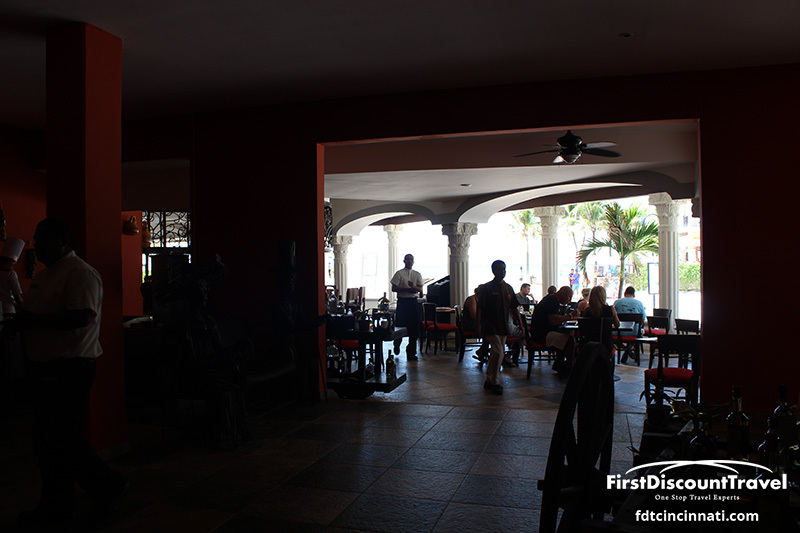 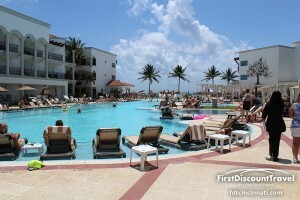 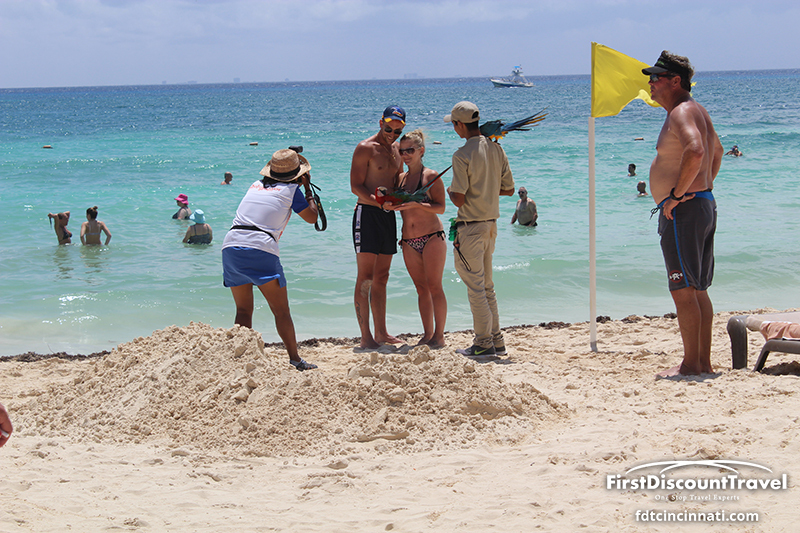 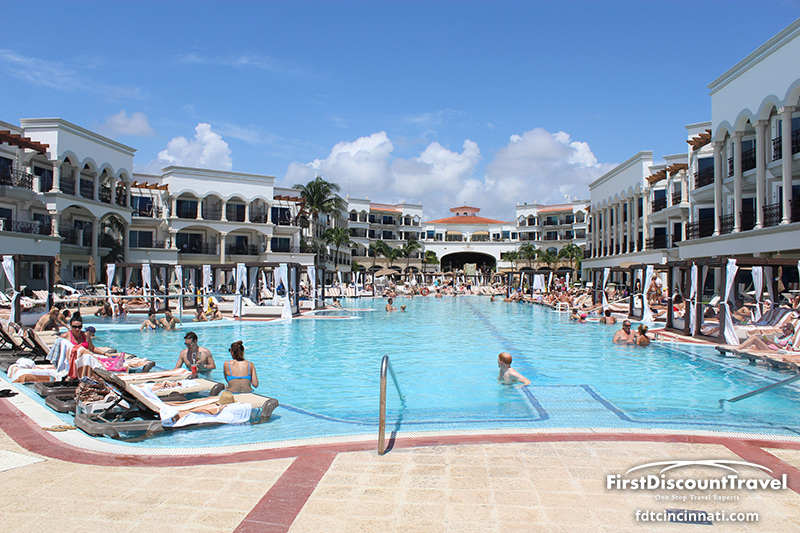 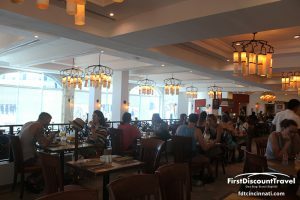 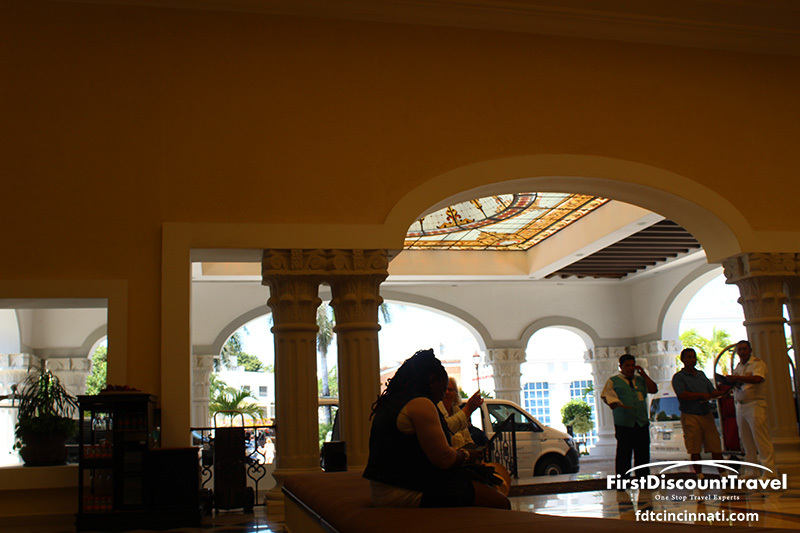 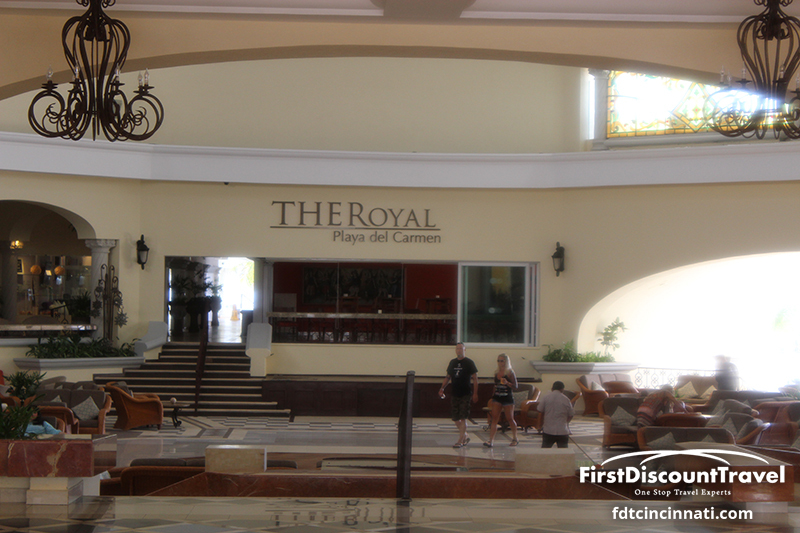 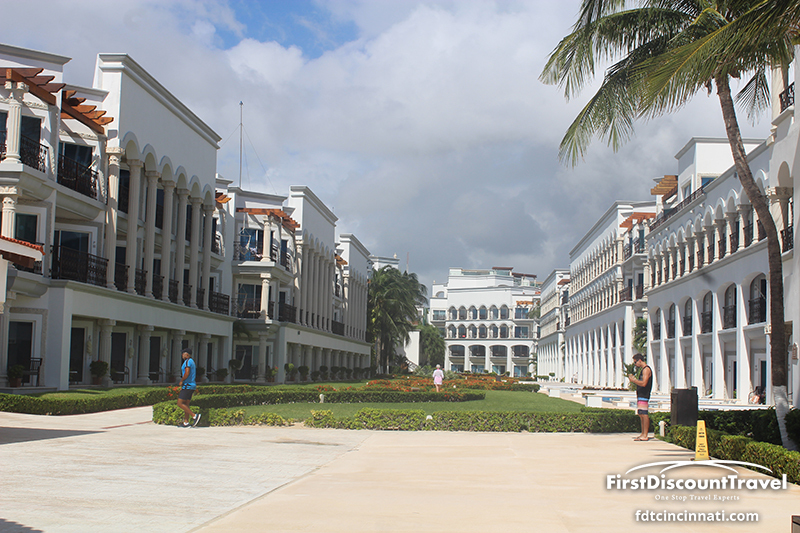 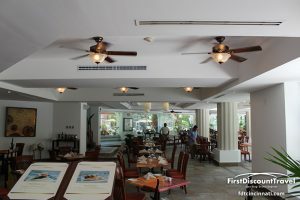 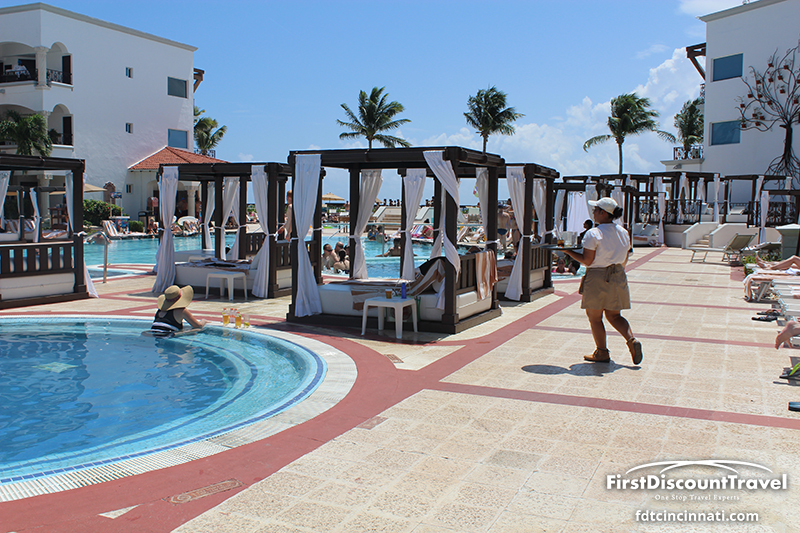 The Royal Playa del Carmen is very active and not as overly romantic as a Secrets or Sandals resort. 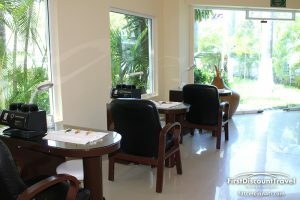 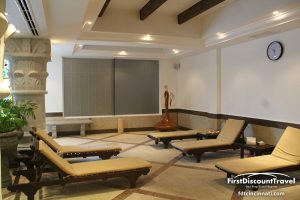 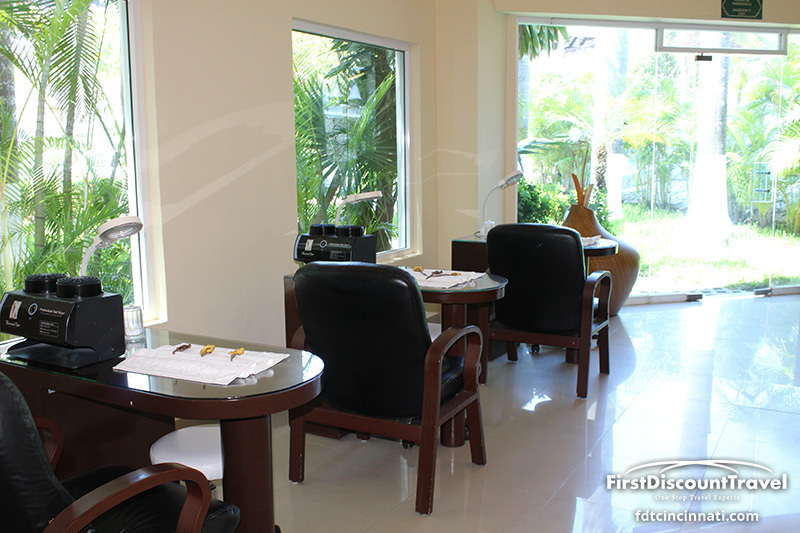 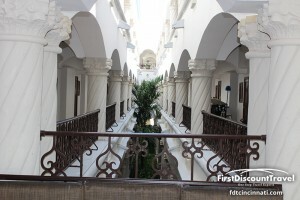 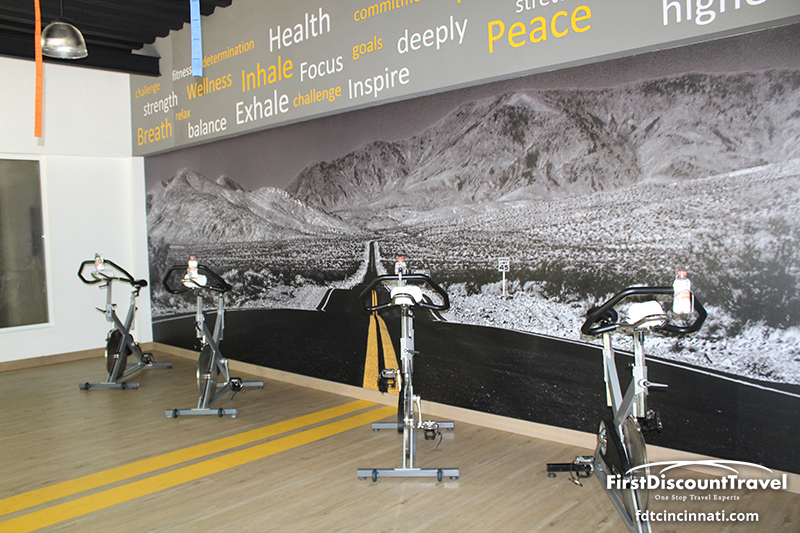 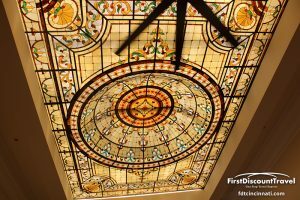 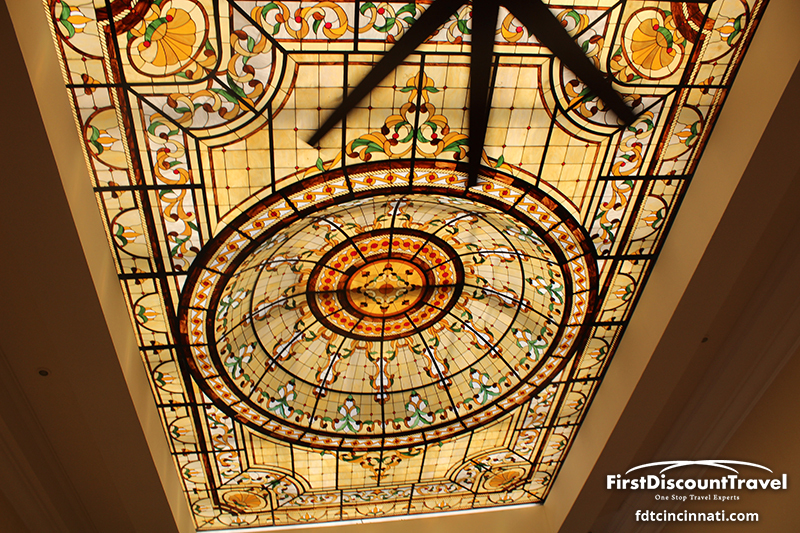 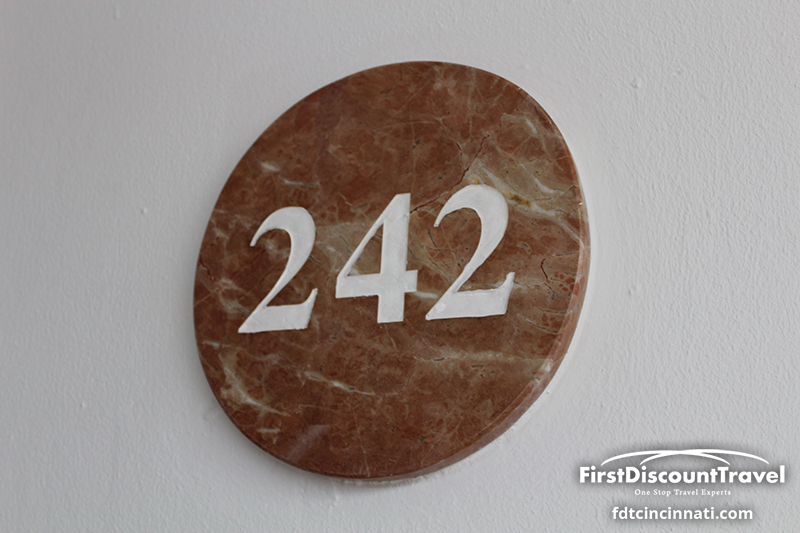 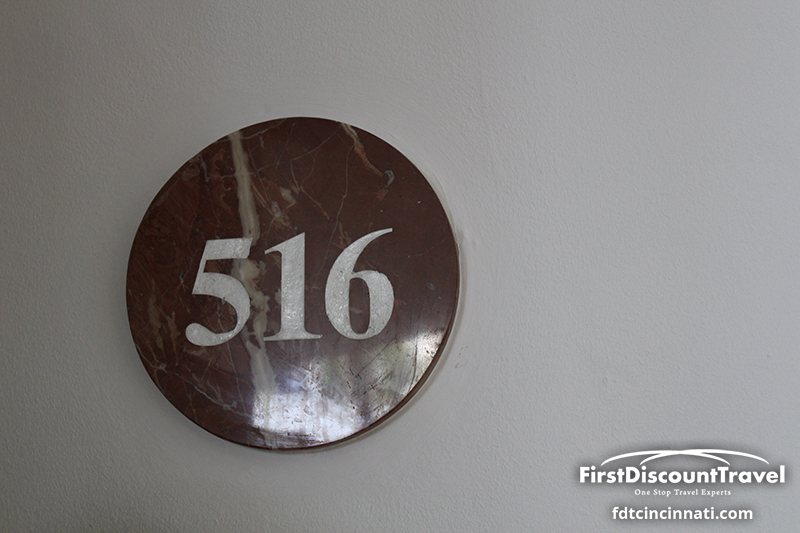 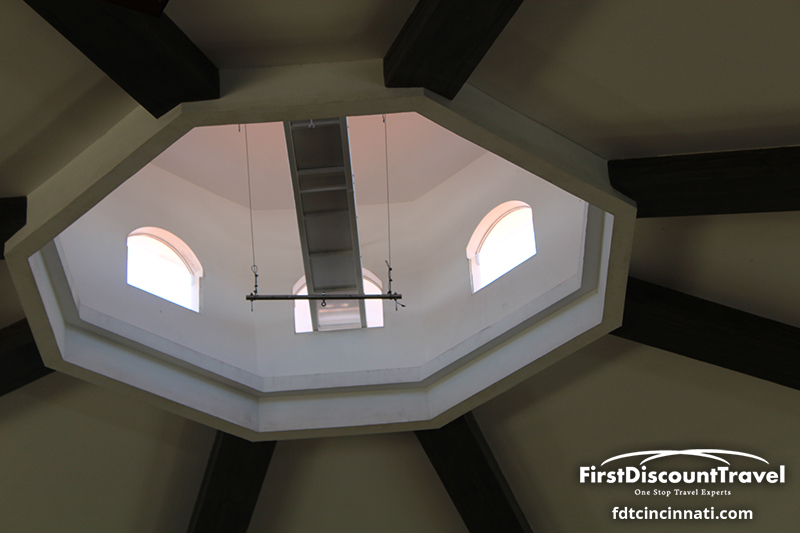 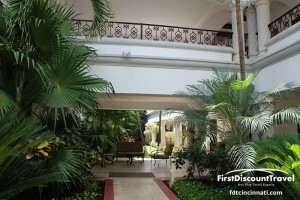 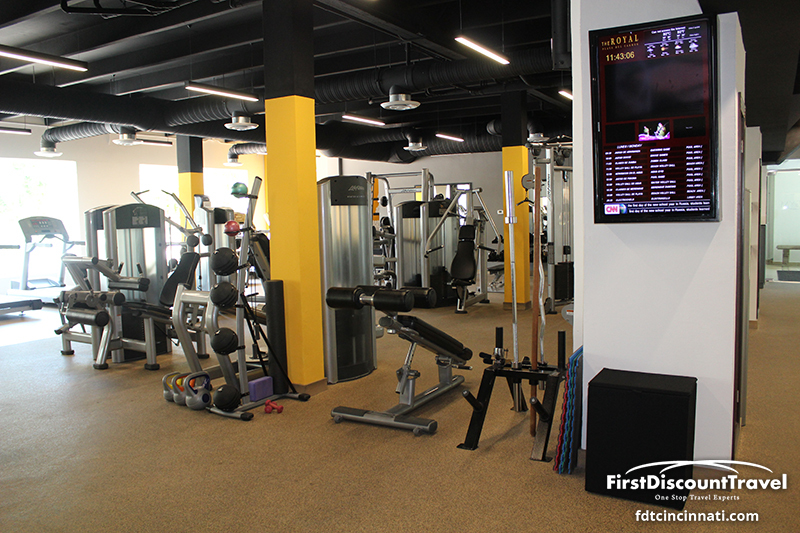 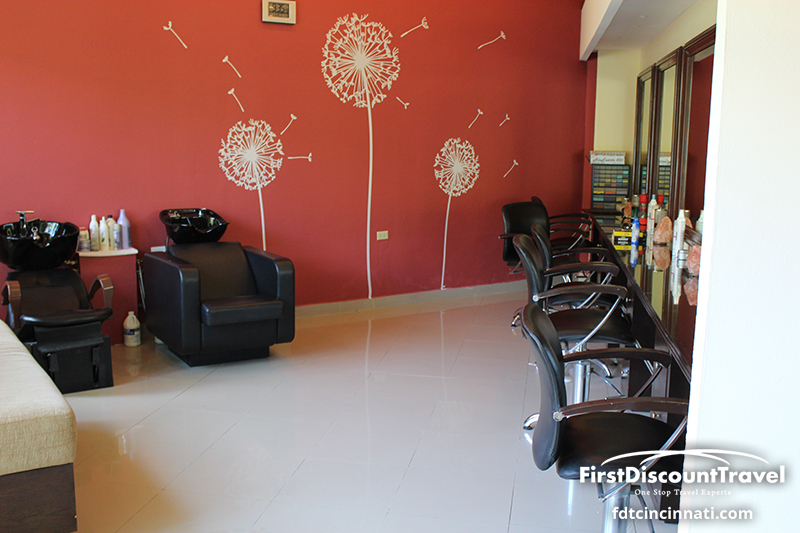 The rooms are all Jr. suites with view being the distinguishing characteristic. 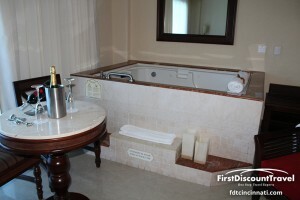 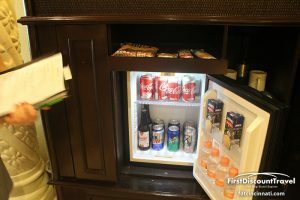 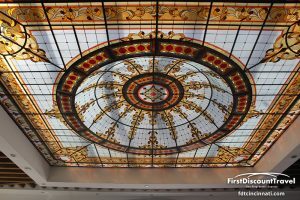 There are a total of 507 junior suites all of which with fully stocked minibars (with liquor dispenser), 24 hour room service, and large two person Jacuzzi in the living area of the room. 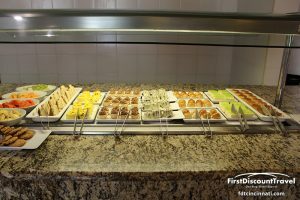 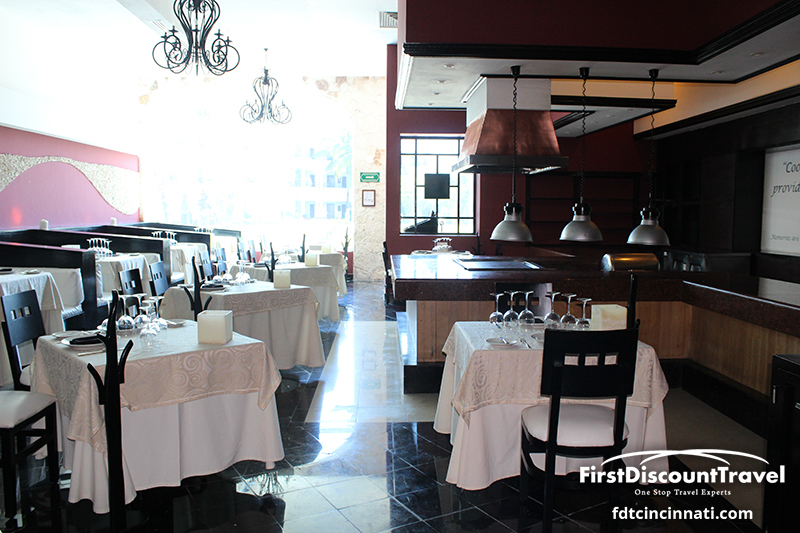 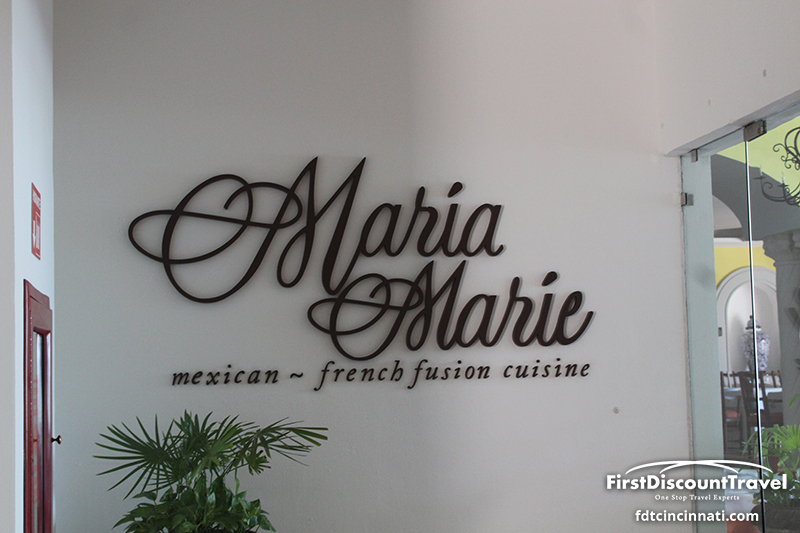 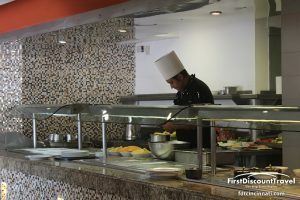 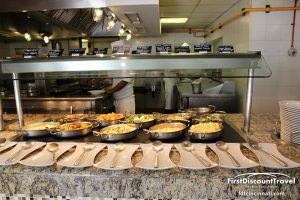 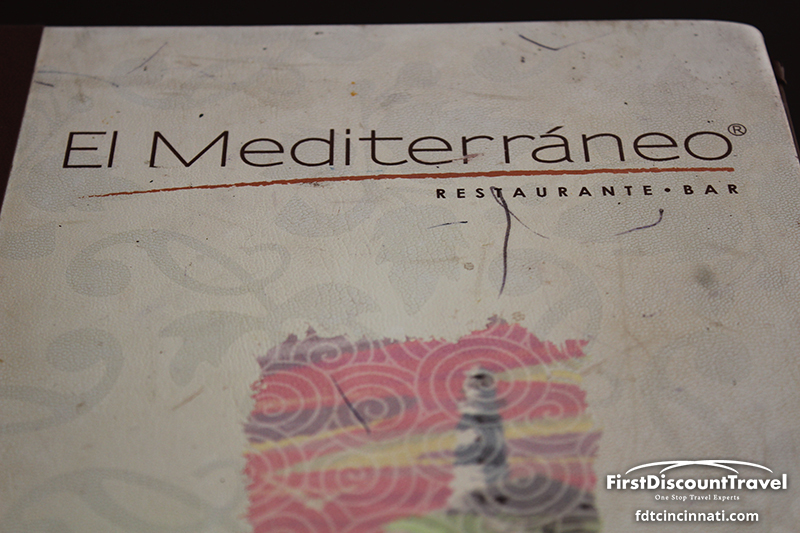 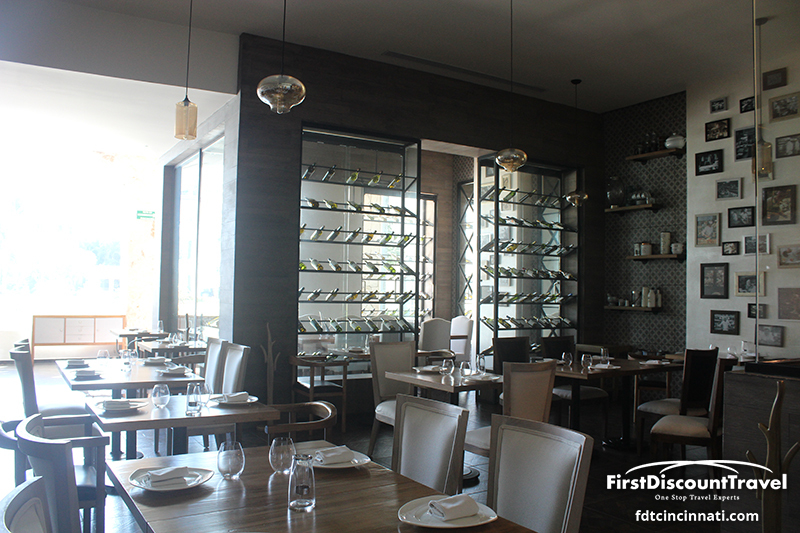 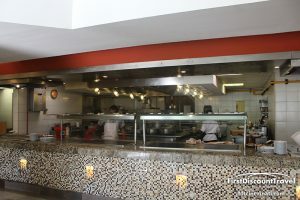 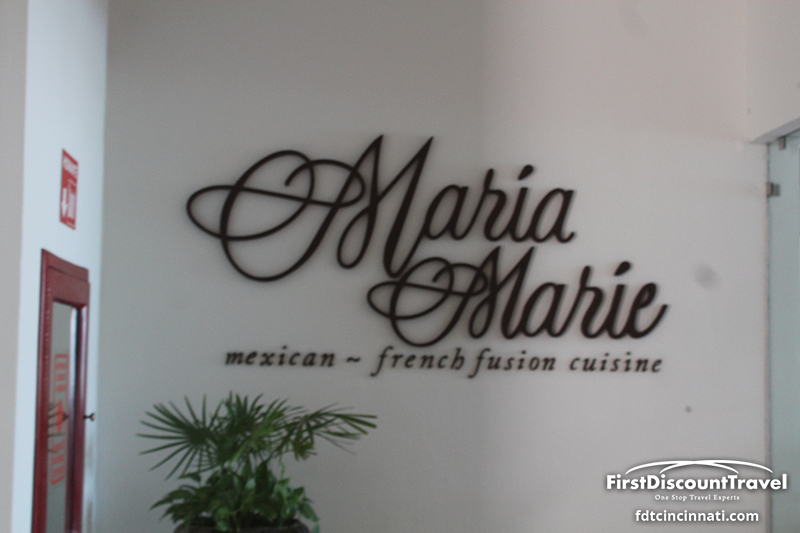 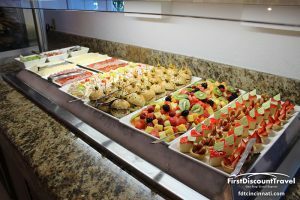 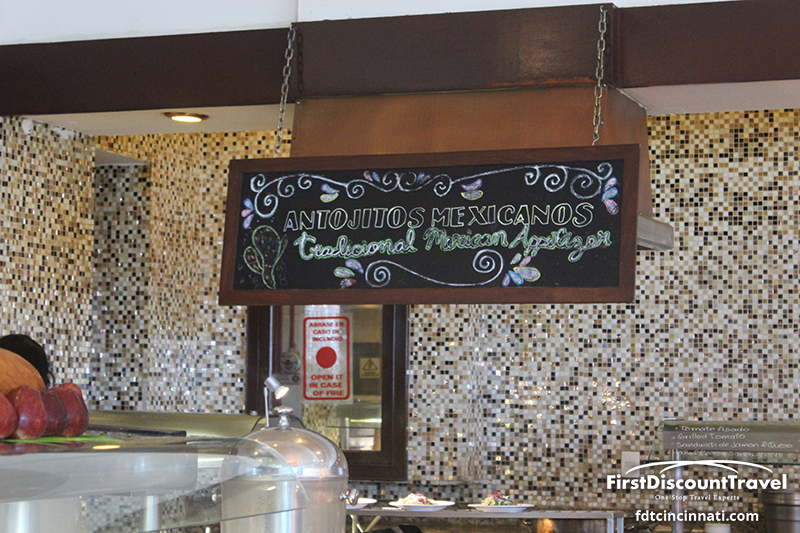 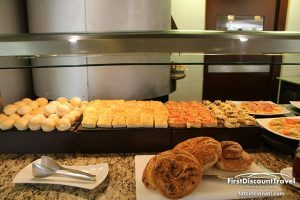 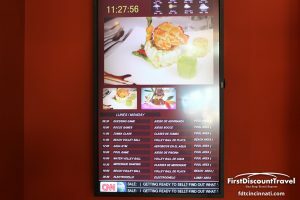 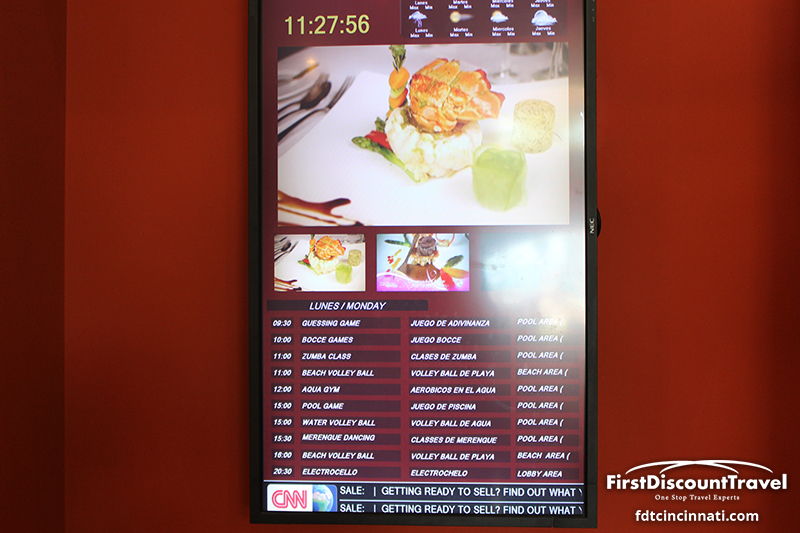 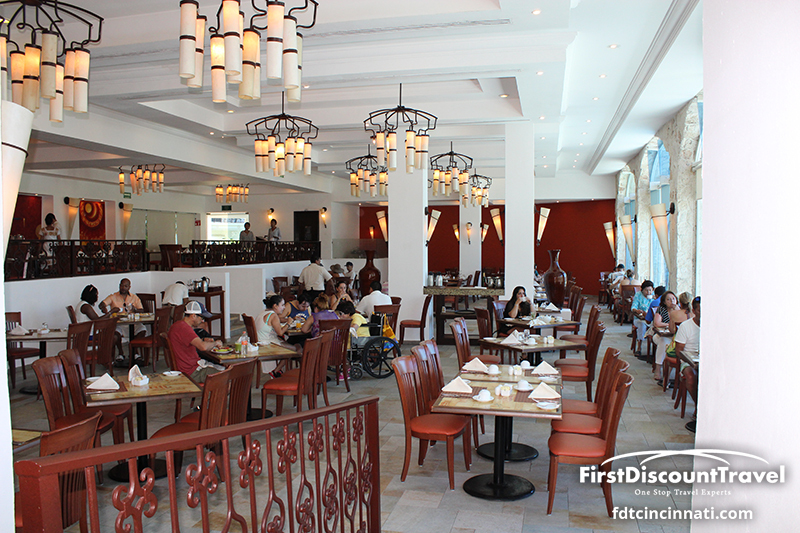 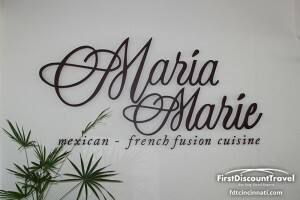 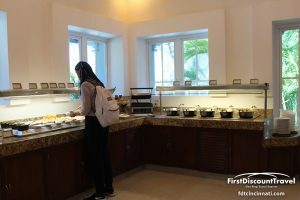 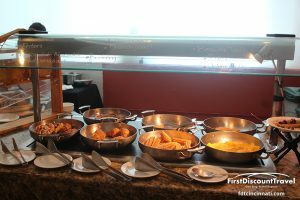 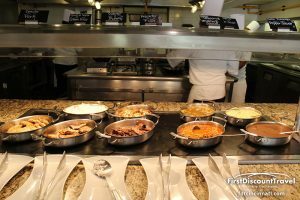 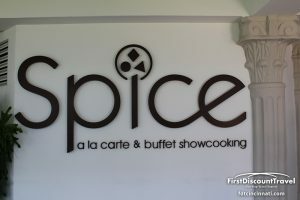 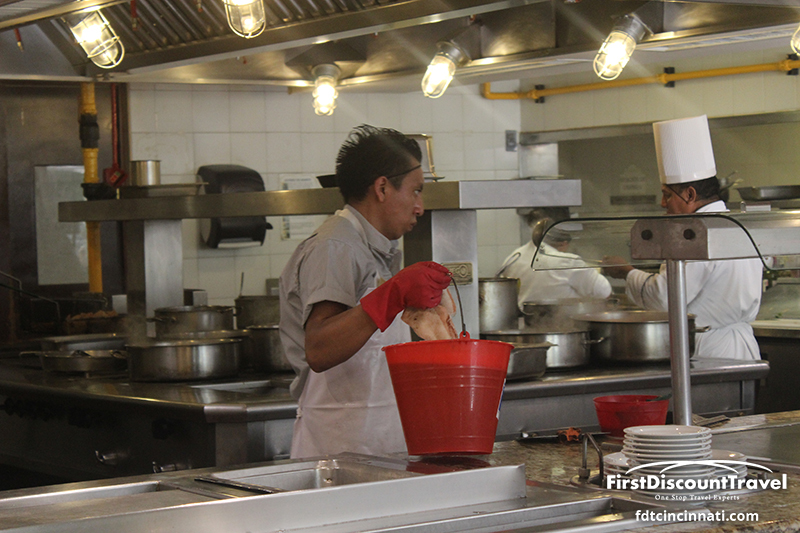 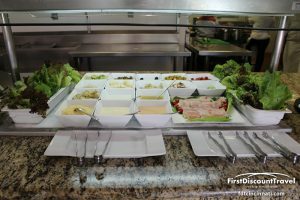 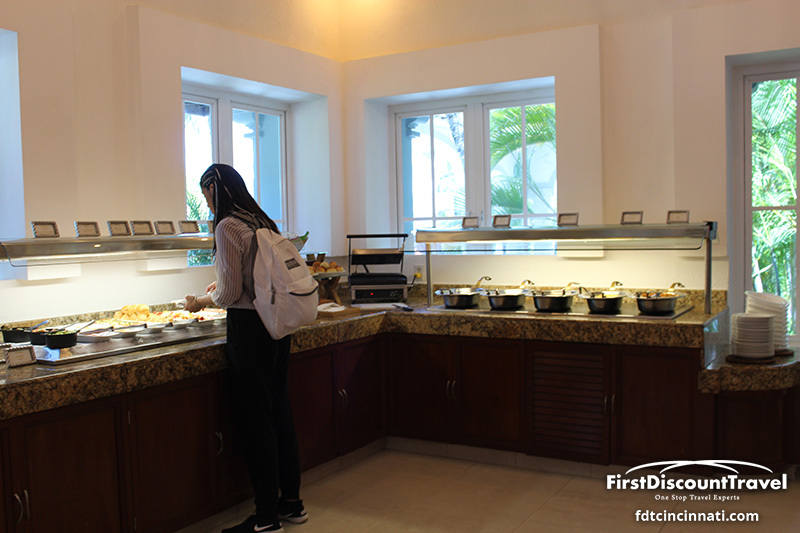 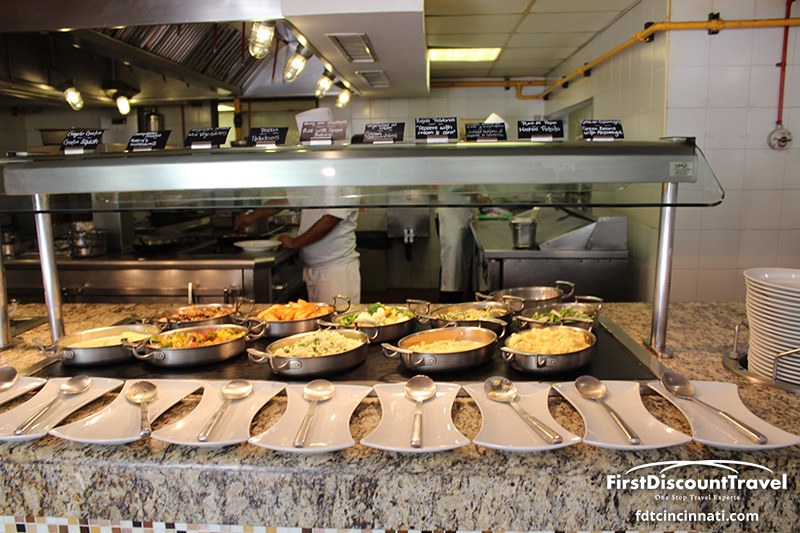 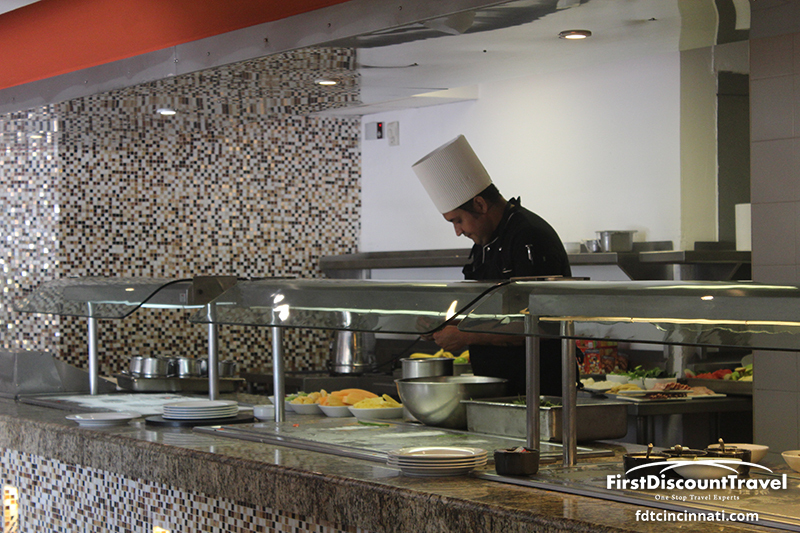 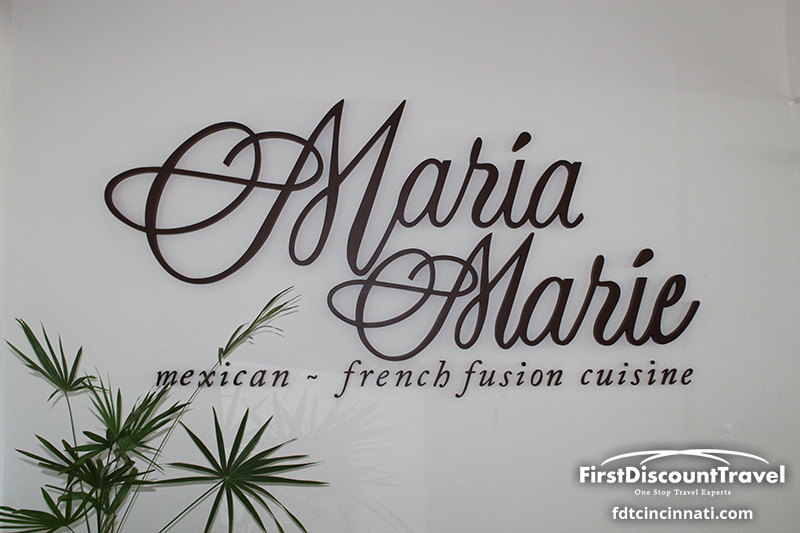 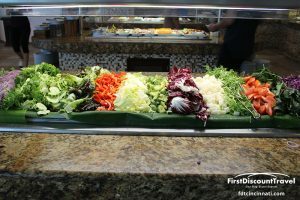 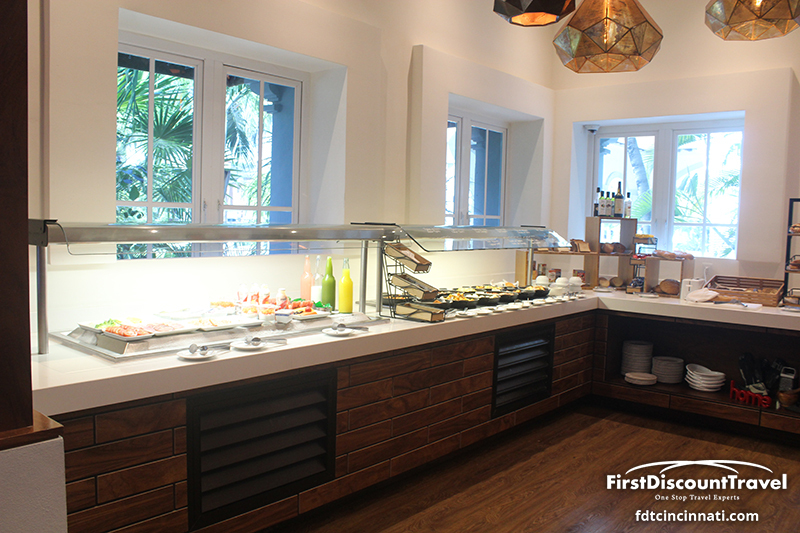 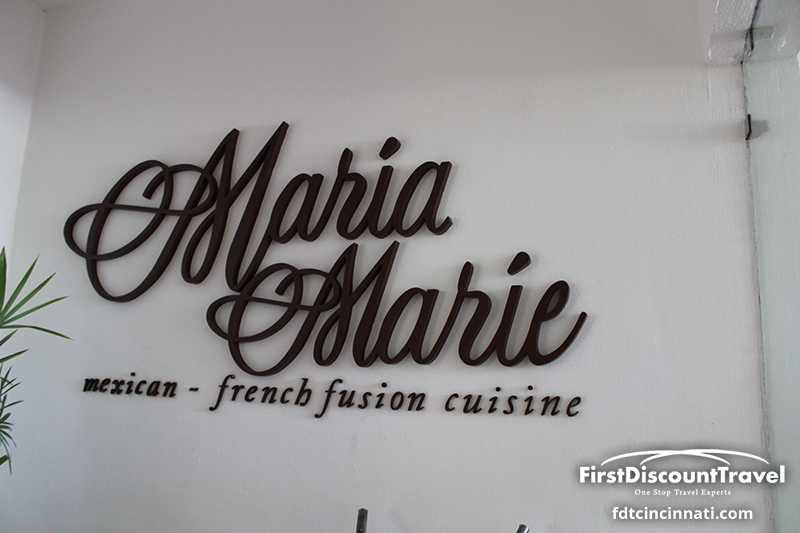 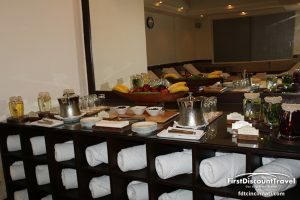 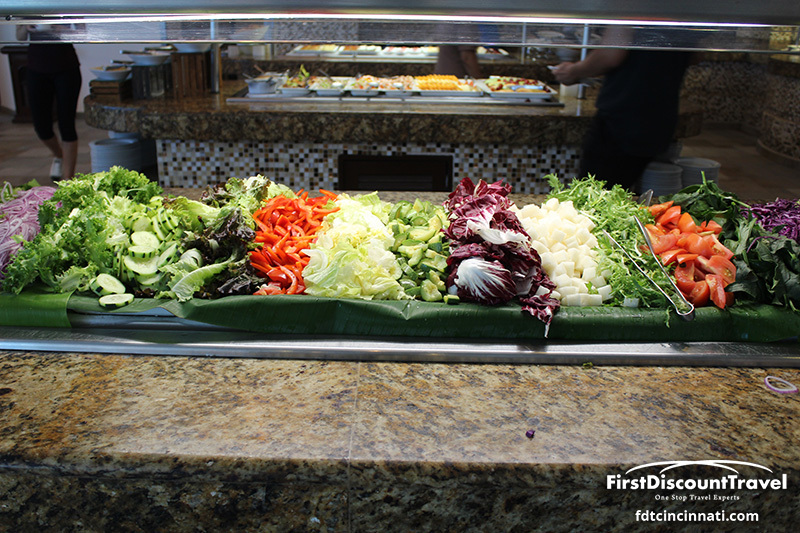 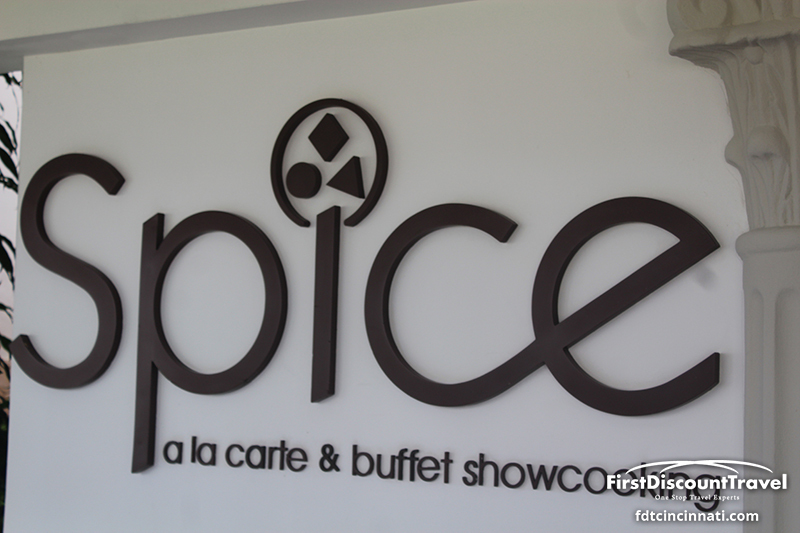 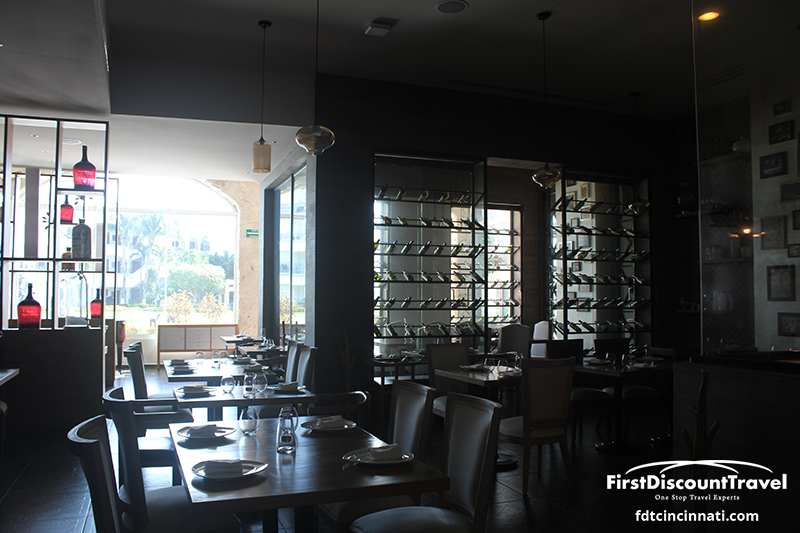 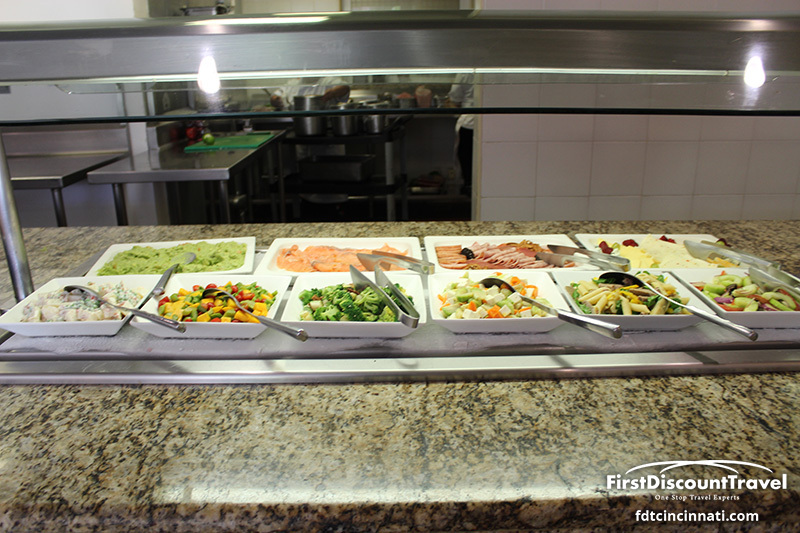 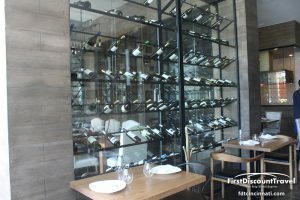 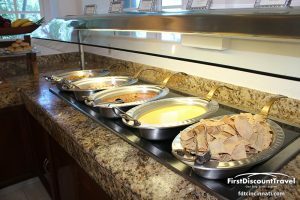 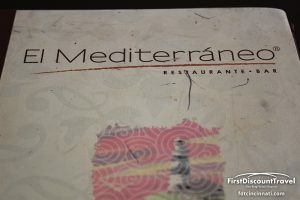 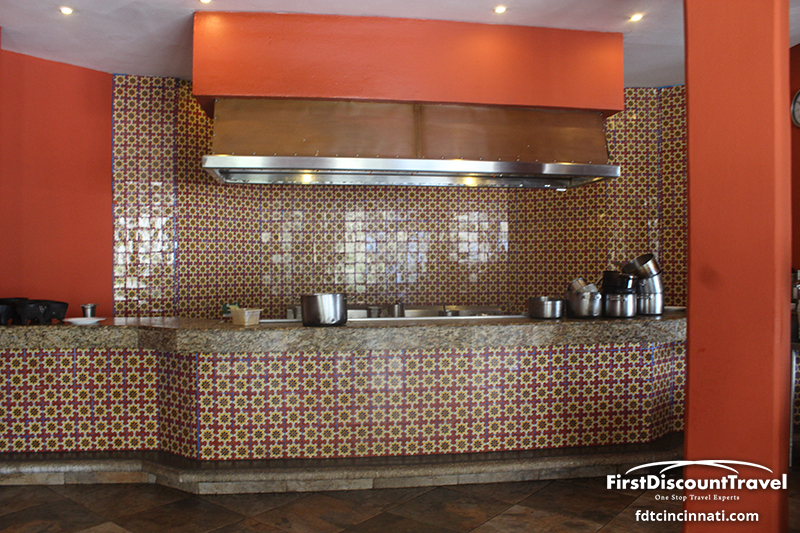 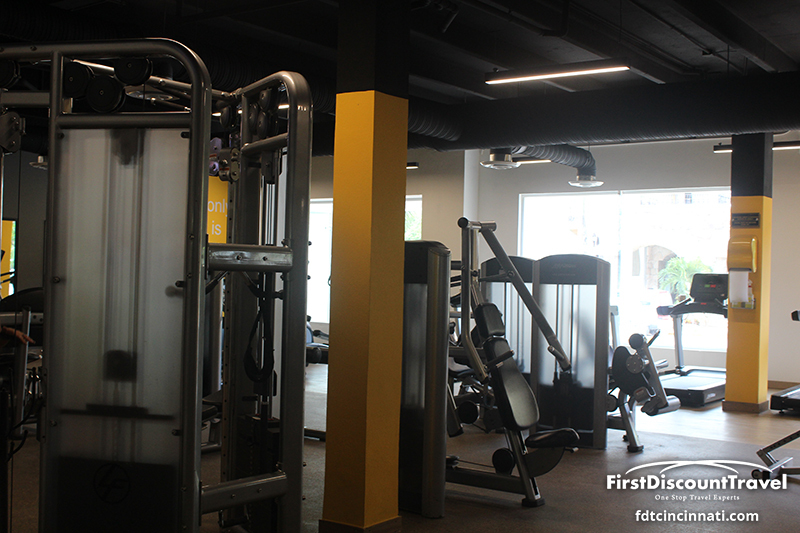 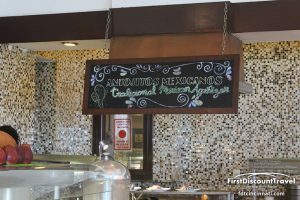 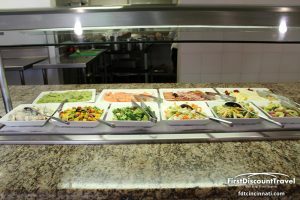 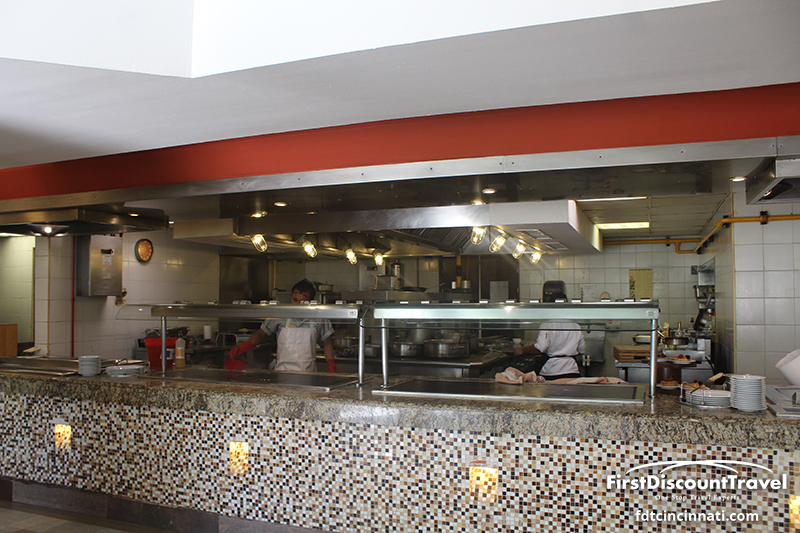 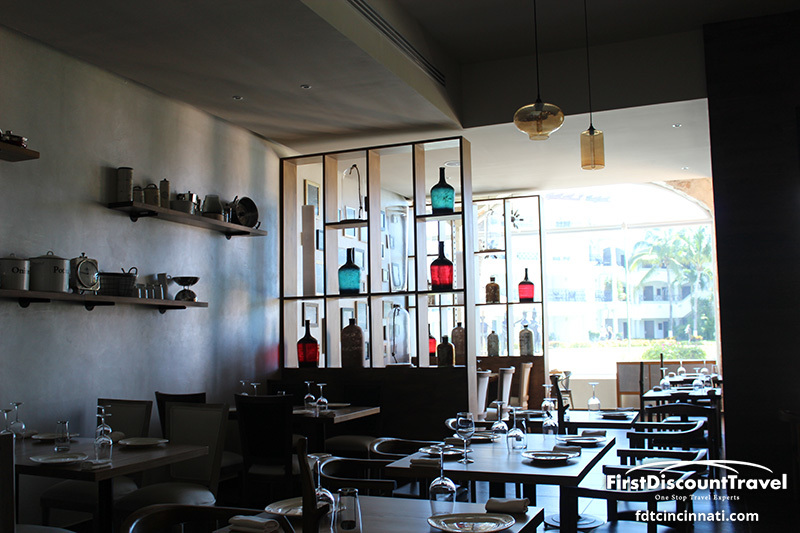 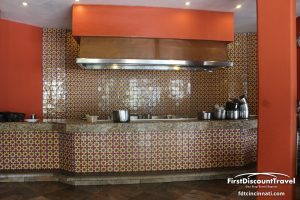 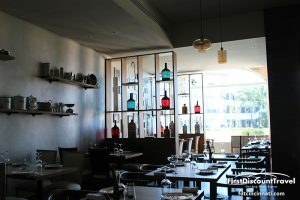 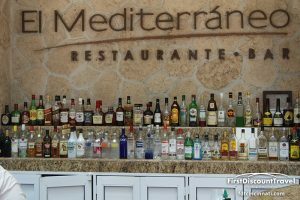 There are a total of 6 restaurants (Asian with sushi and teppanaki, Buffet, Spanish/Tapas, Caribbean fusion, Mexican/French fusion, and Mediterranean). 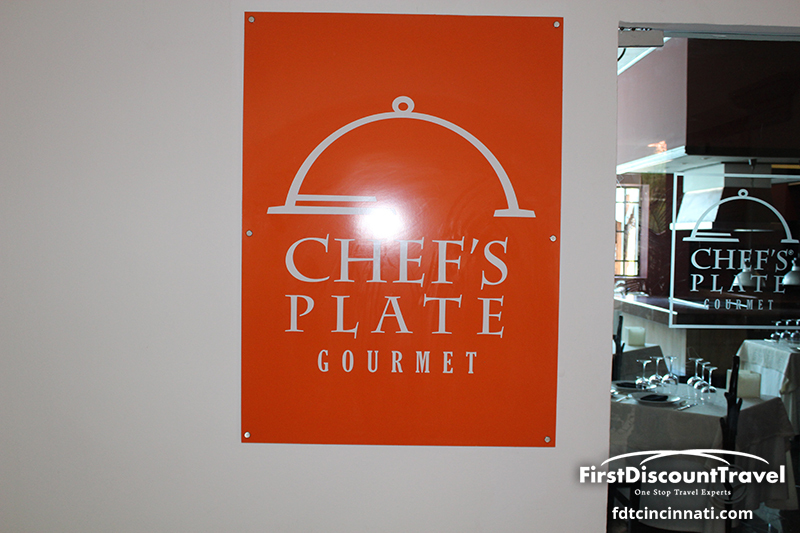 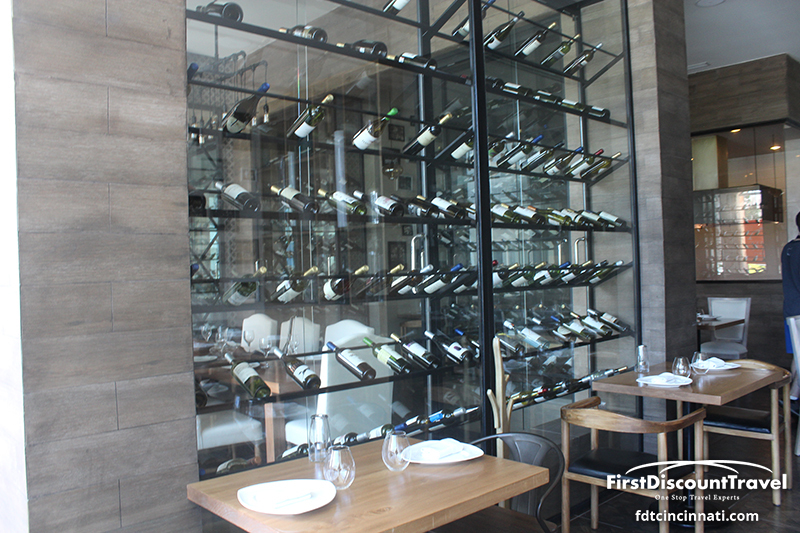 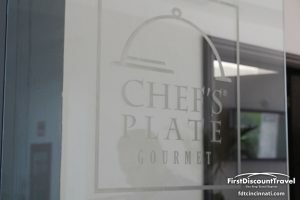 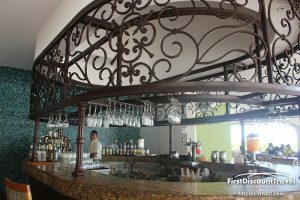 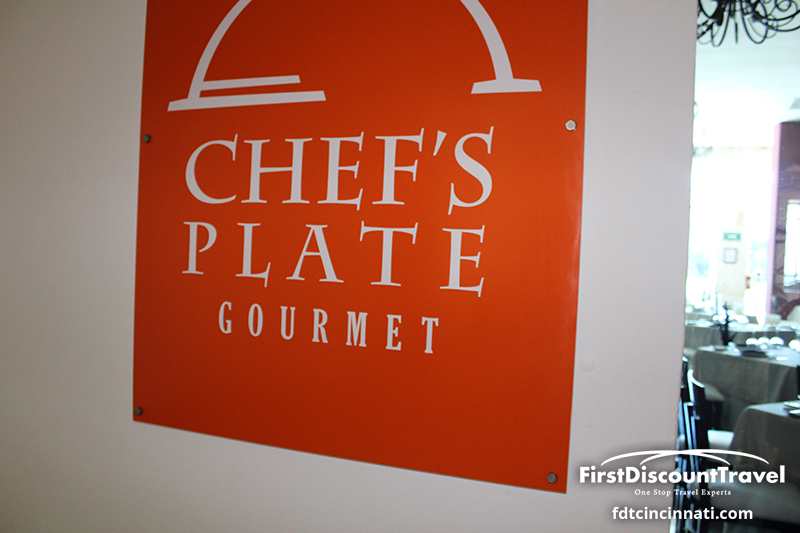 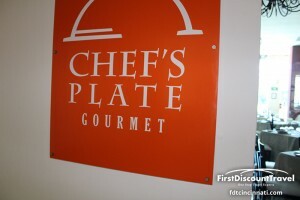 There is a 7th restaurant named the Chef’s Plate which offers Molecular cuisine and is only included in Ocean Front rooms and higher. 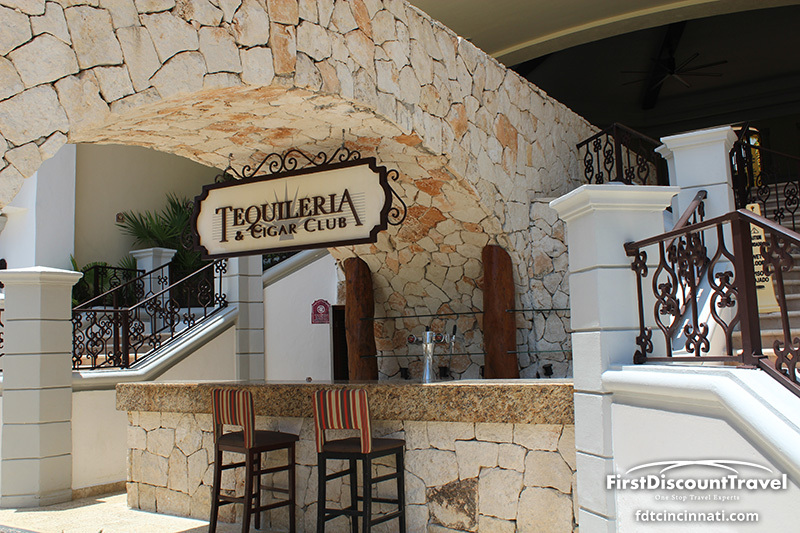 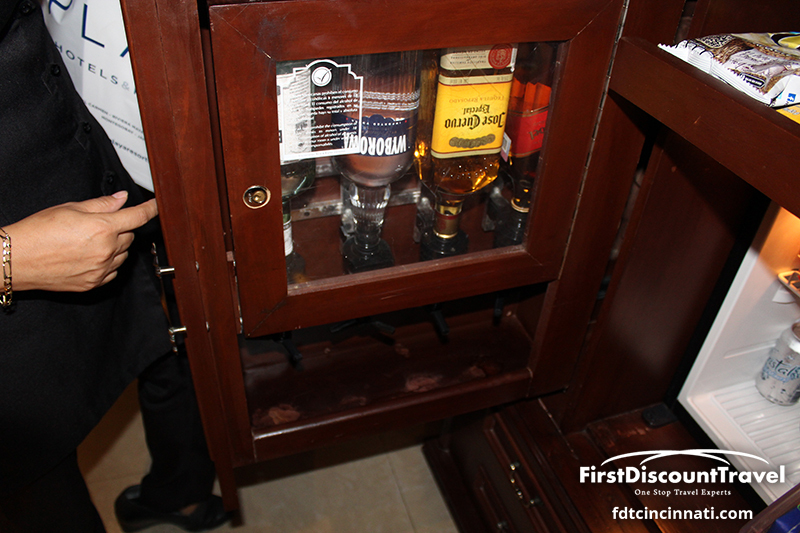 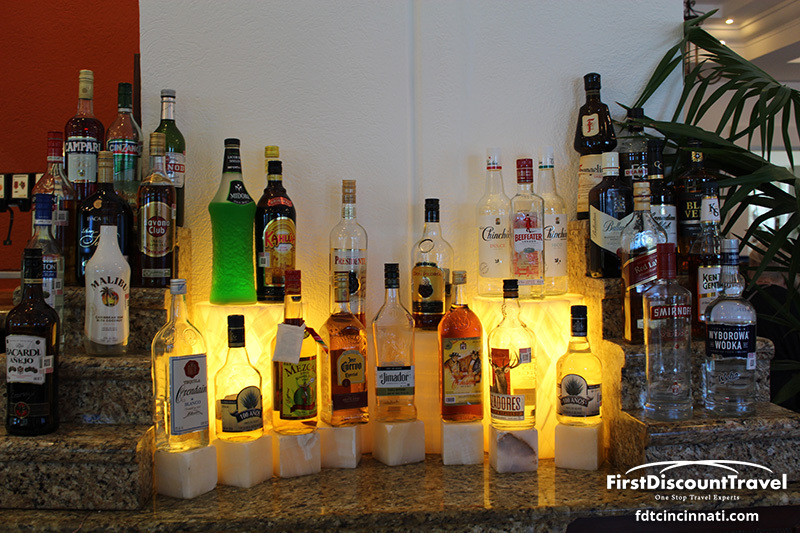 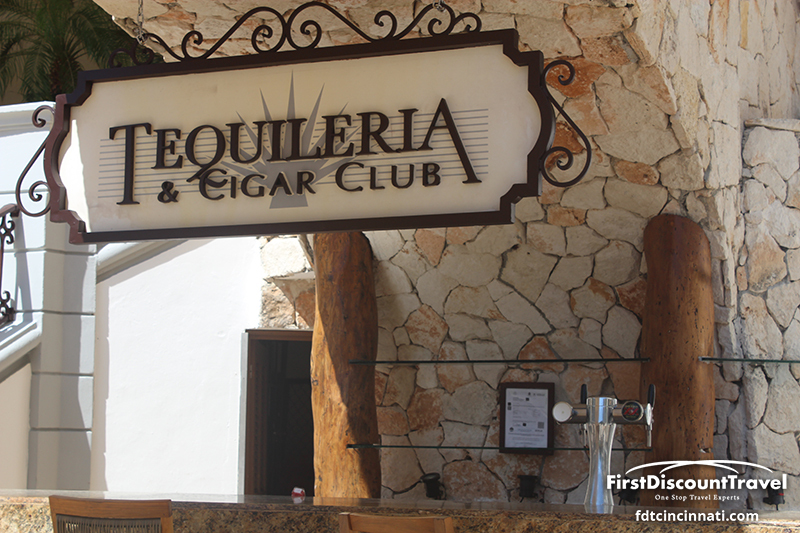 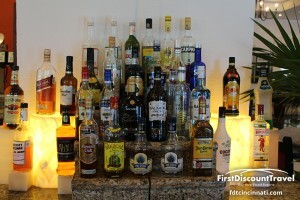 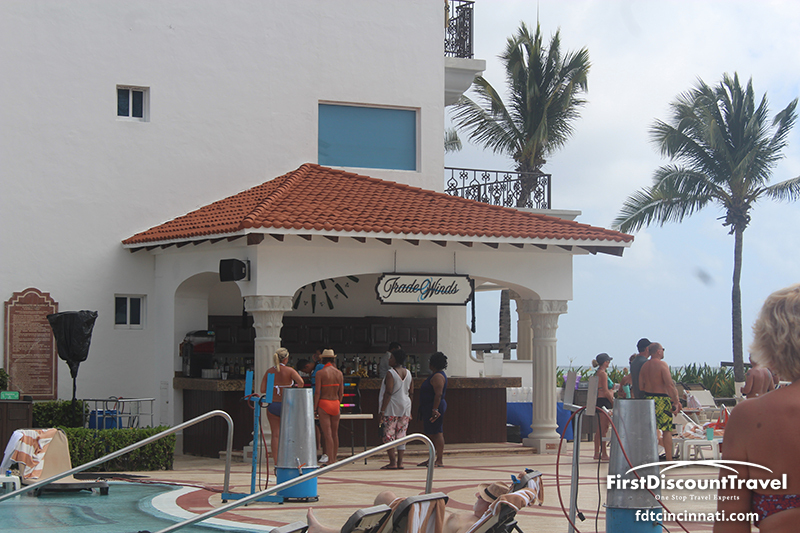 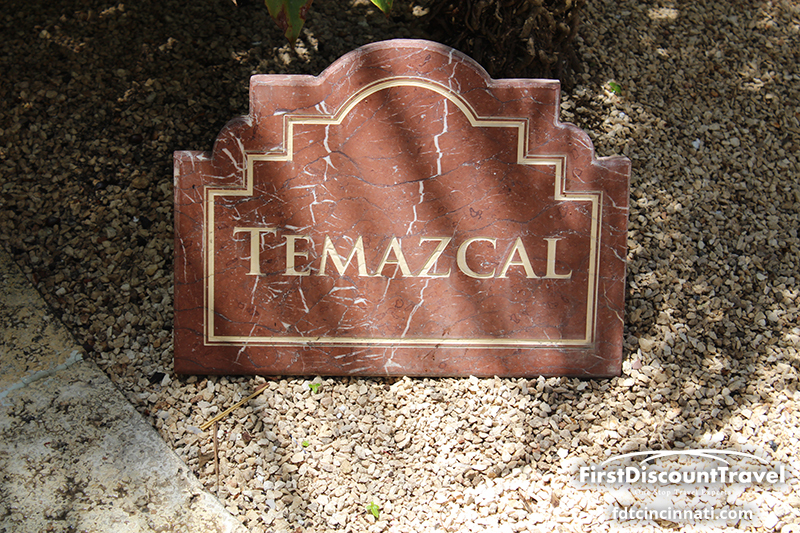 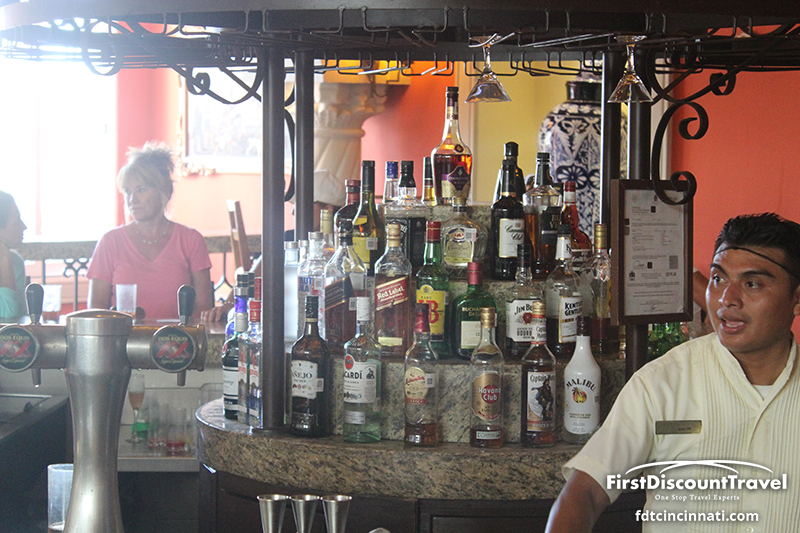 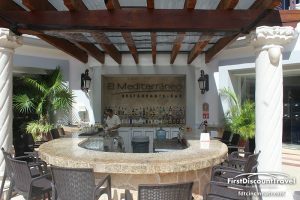 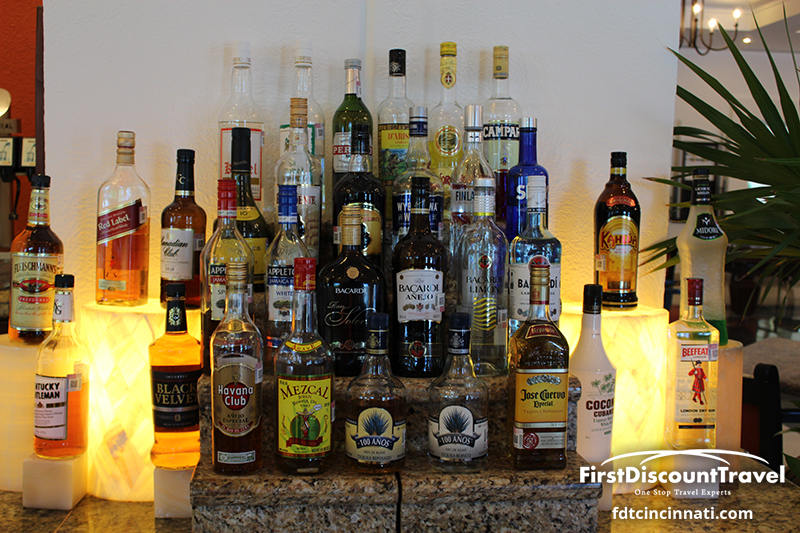 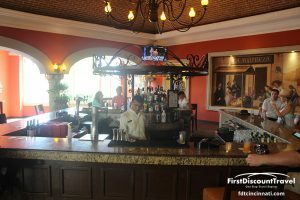 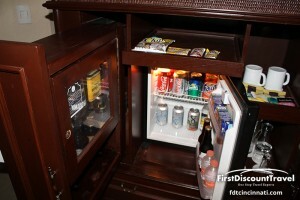 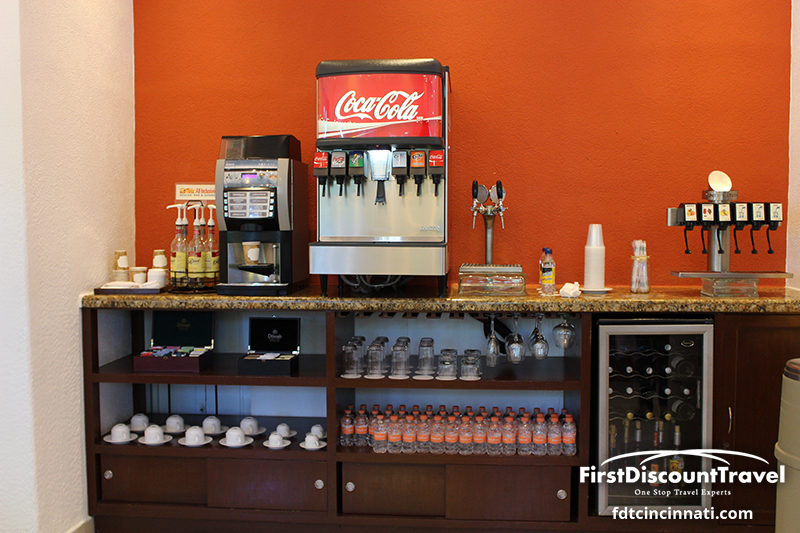 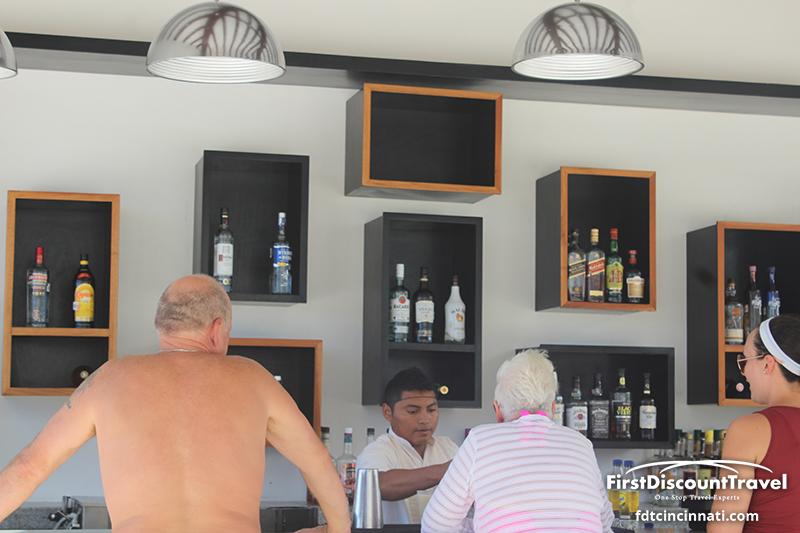 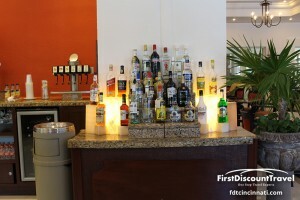 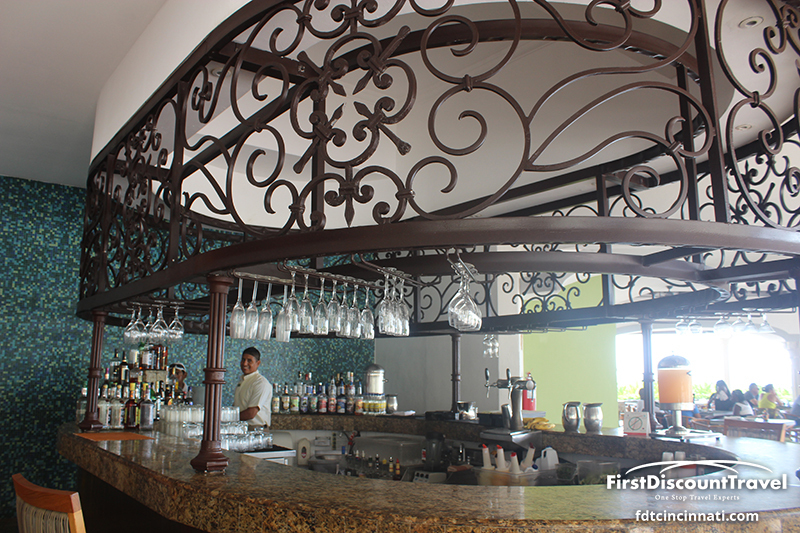 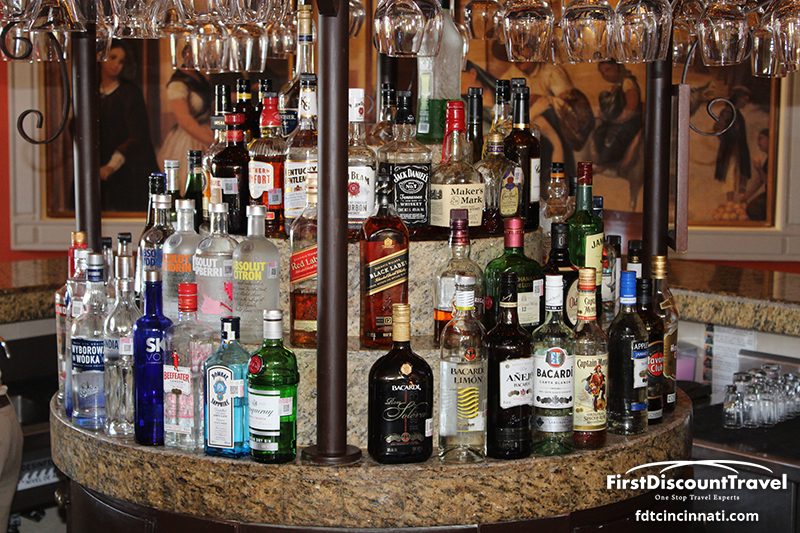 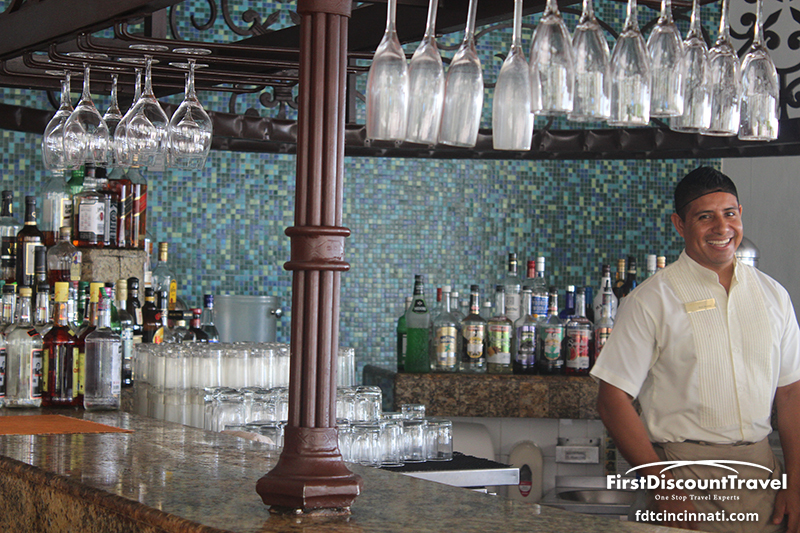 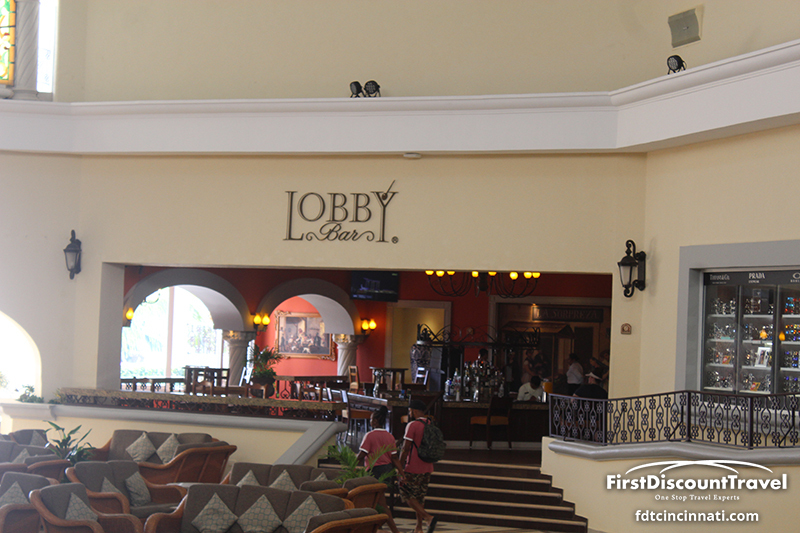 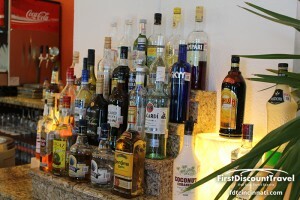 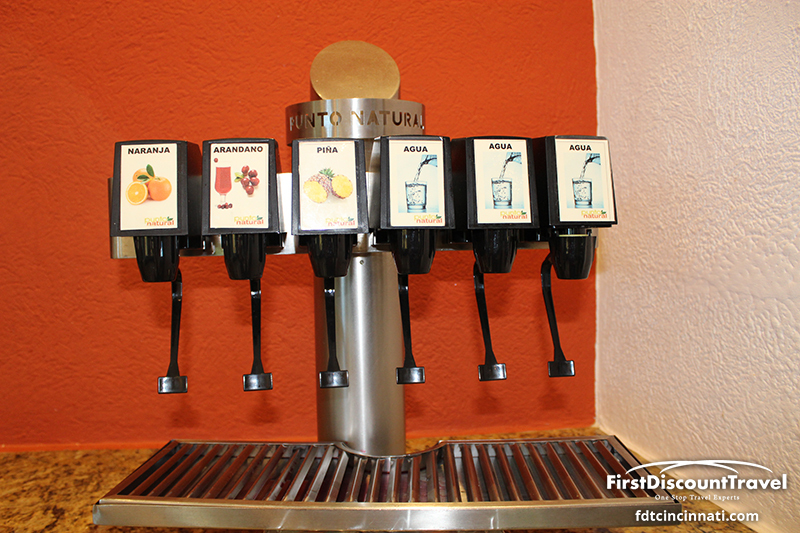 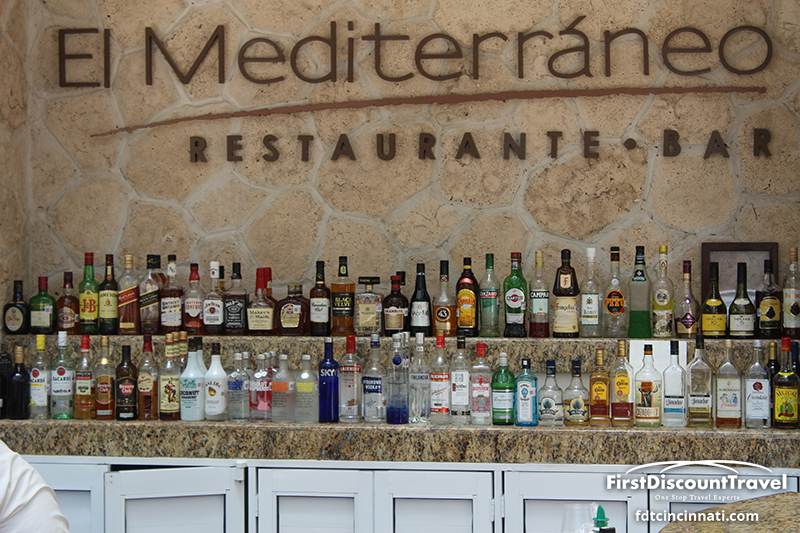 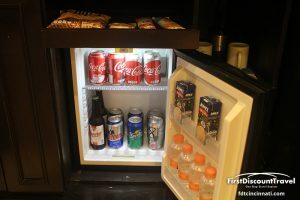 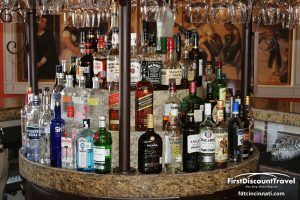 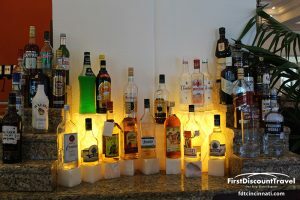 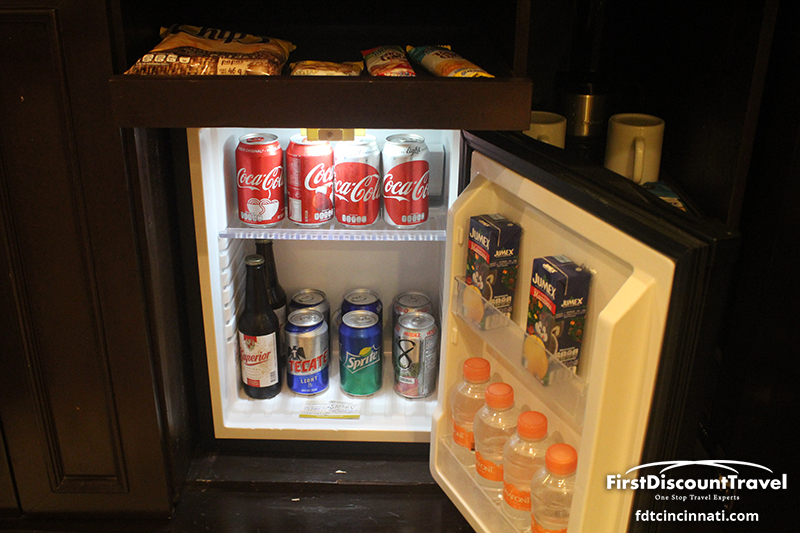 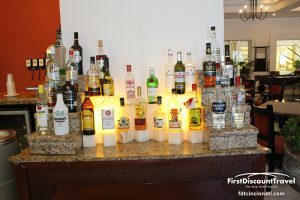 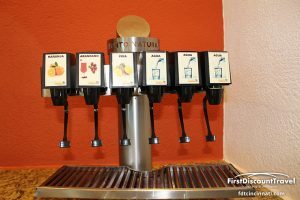 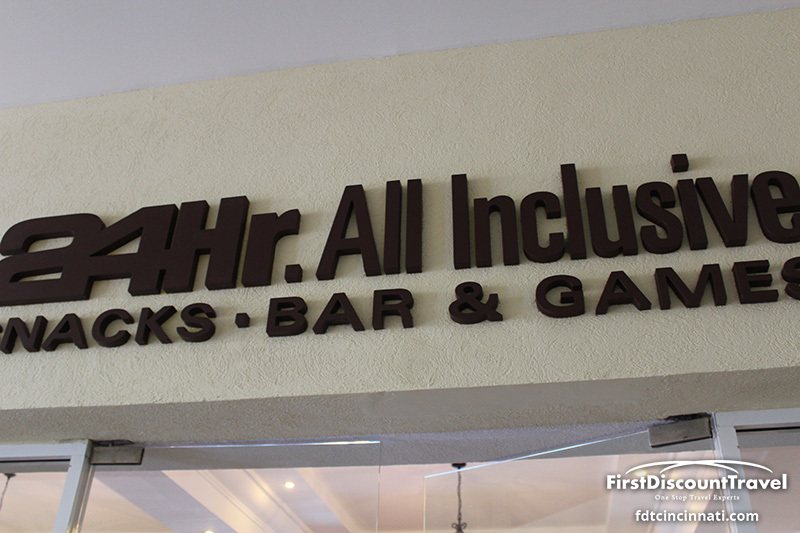 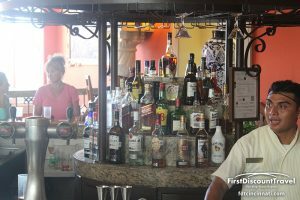 The resort serves all premium brand liquor and Mexican beers. 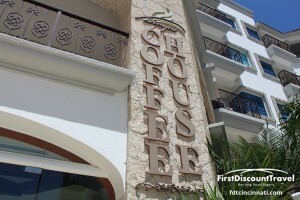 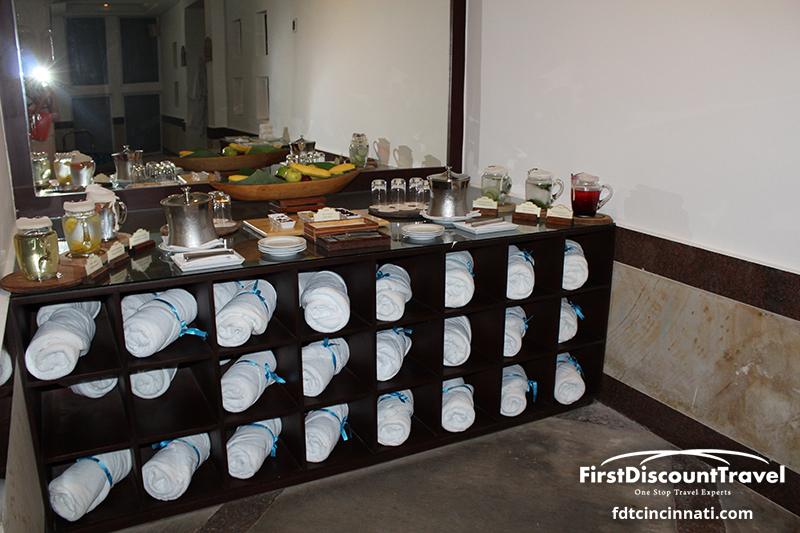 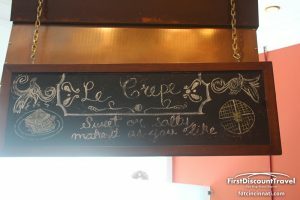 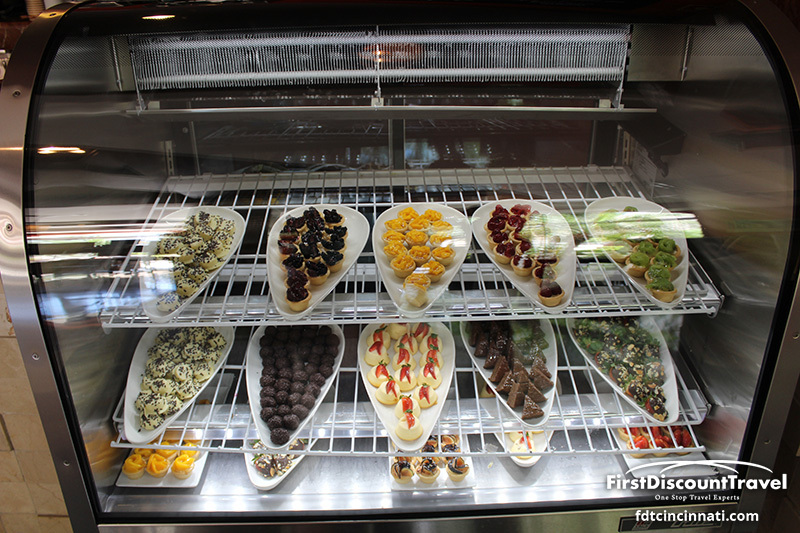 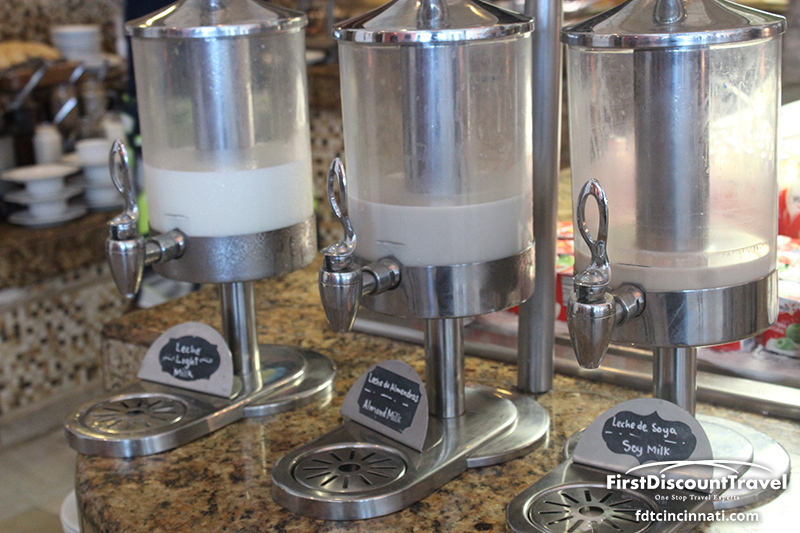 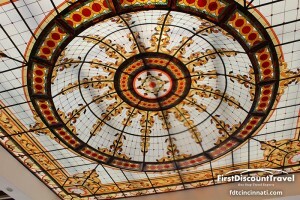 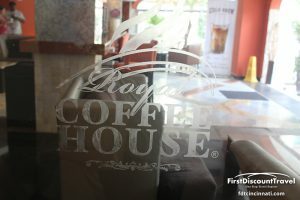 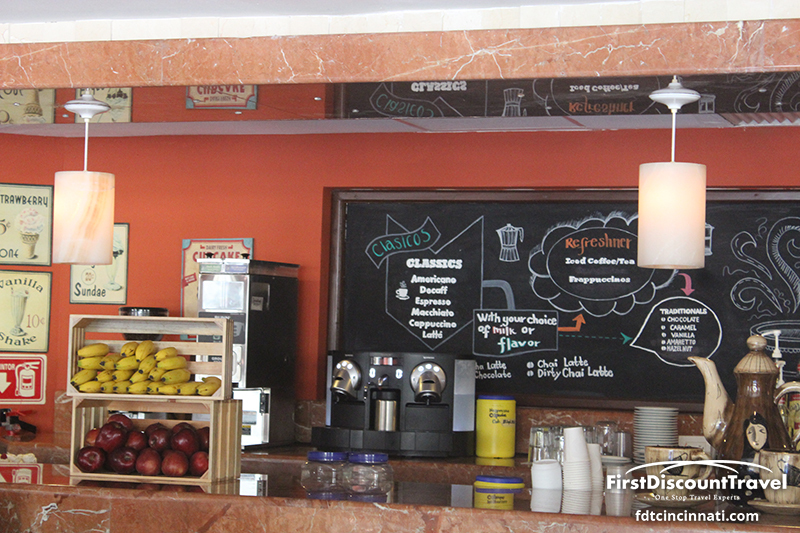 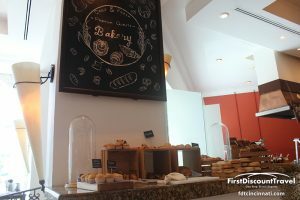 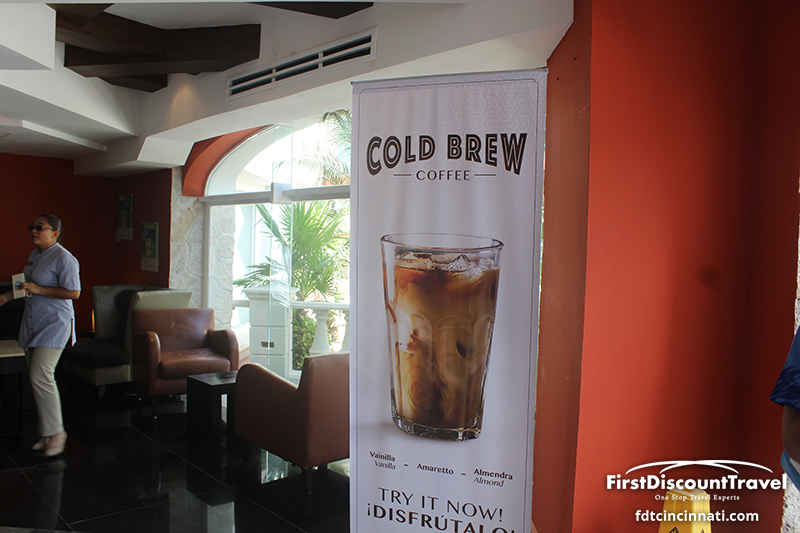 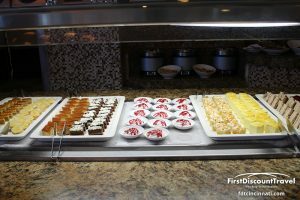 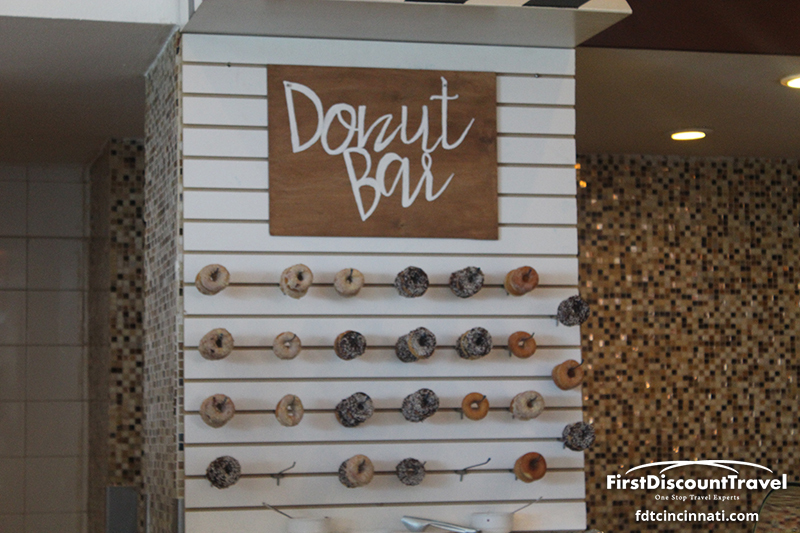 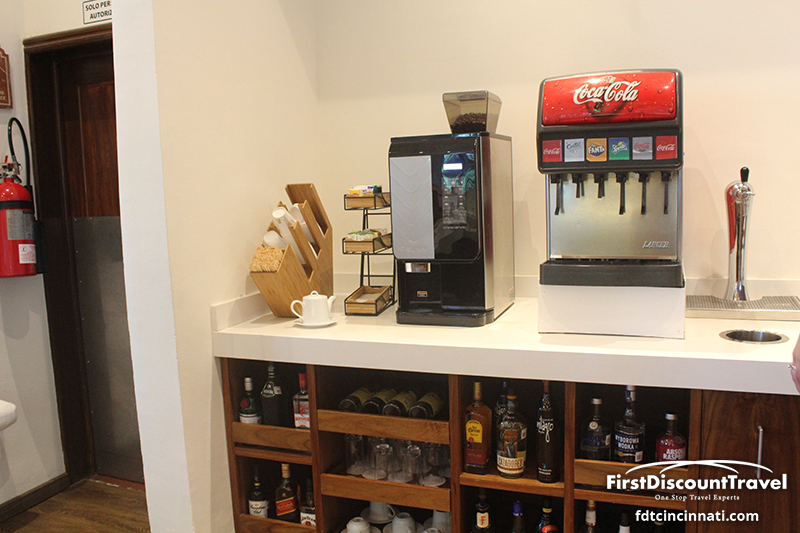 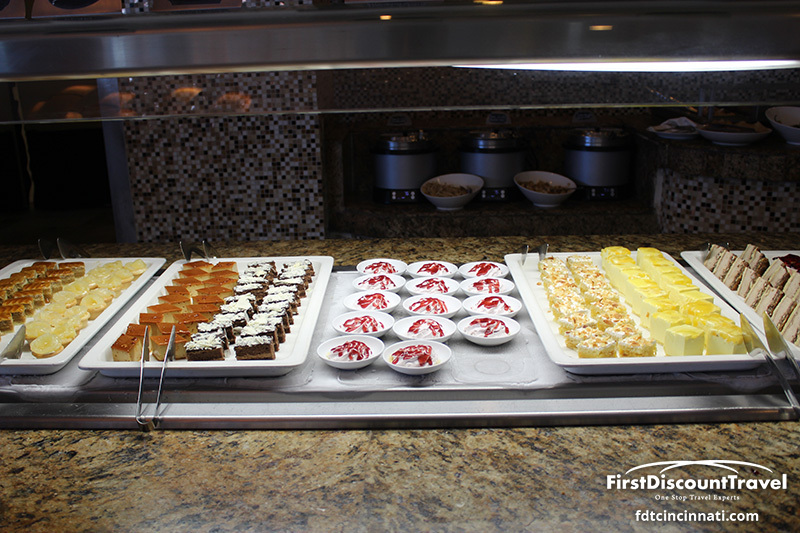 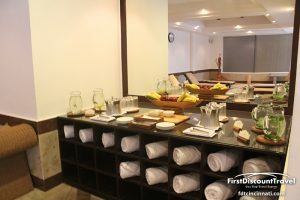 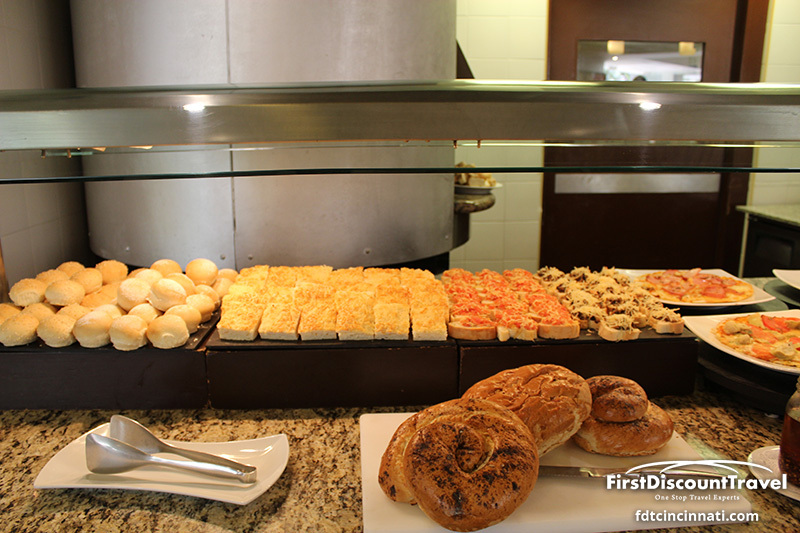 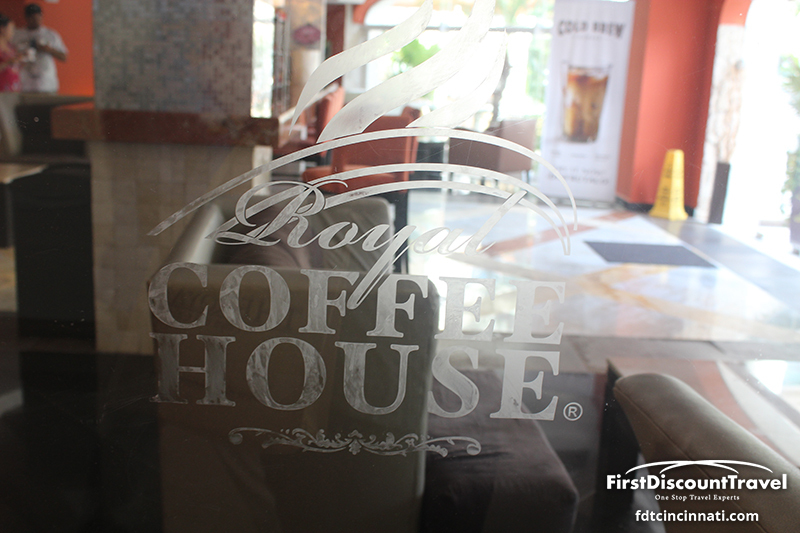 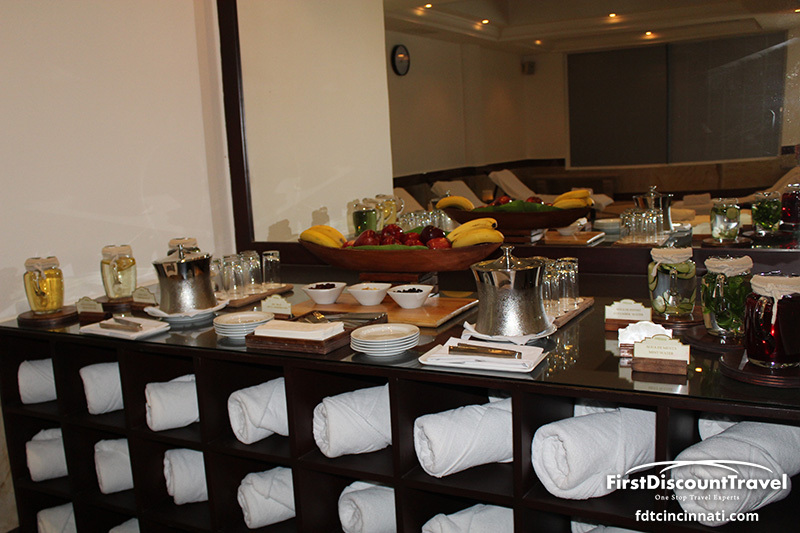 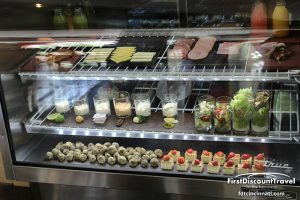 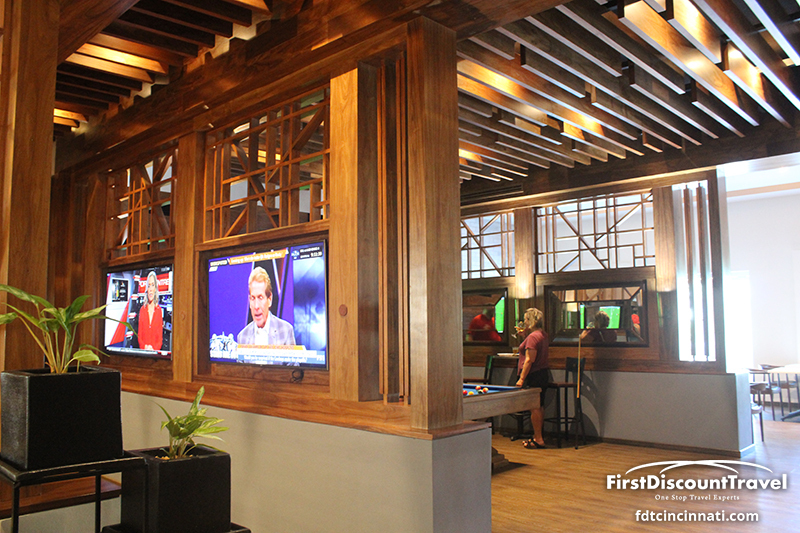 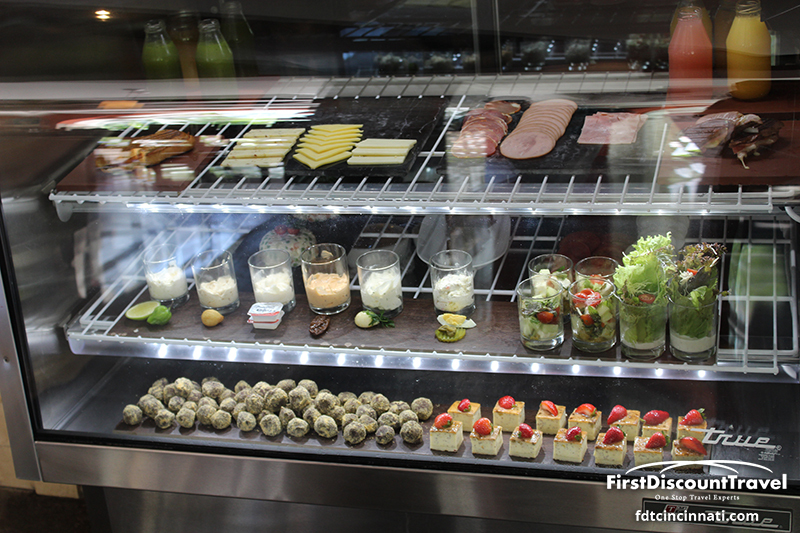 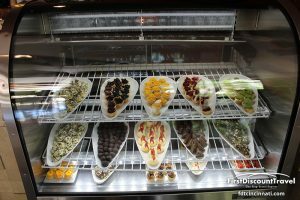 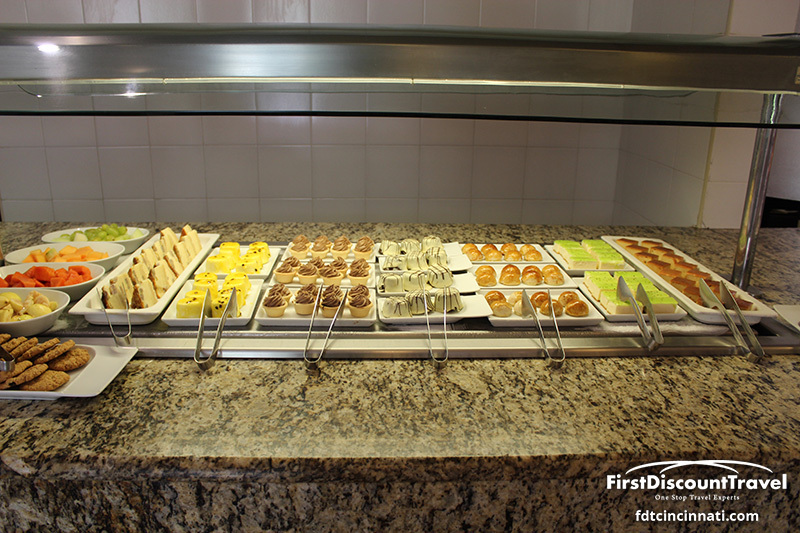 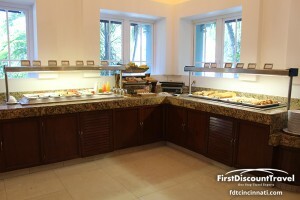 There is a coffee cafe with coffee drinks, pastries, chocolate fondue and desserts. 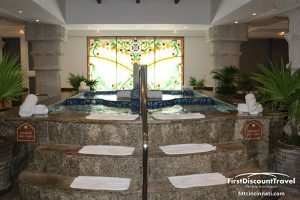 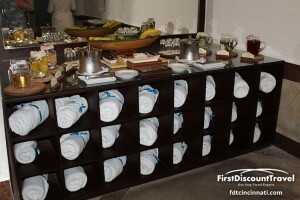 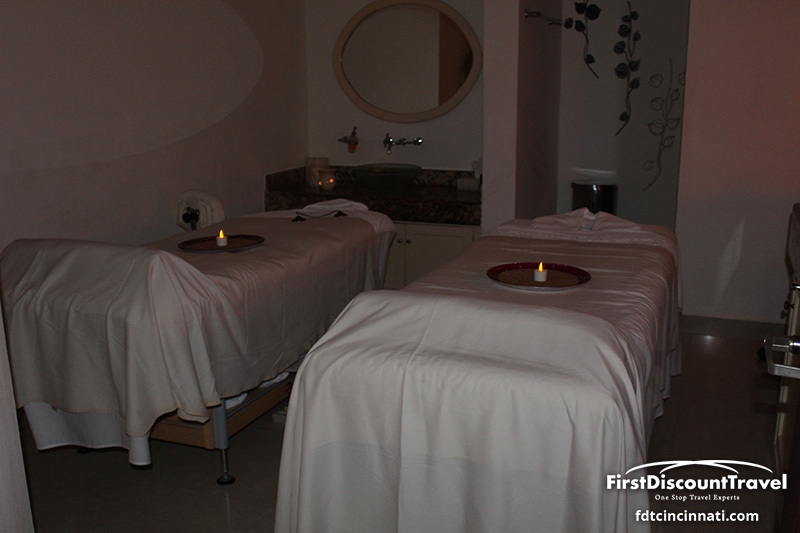 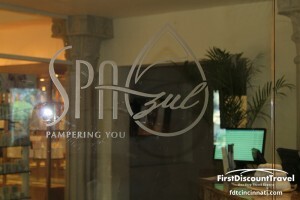 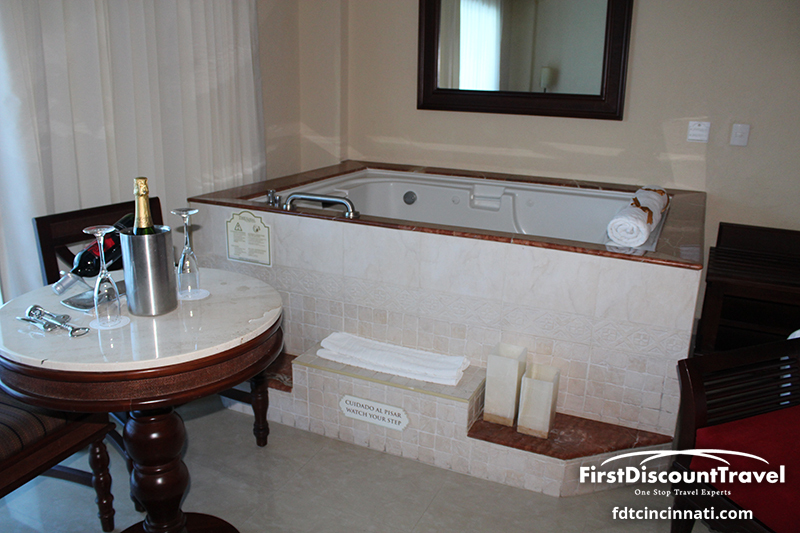 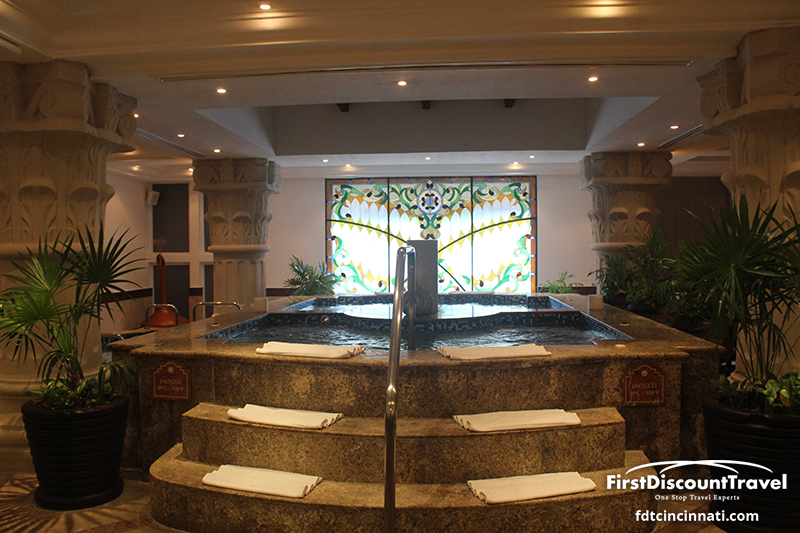 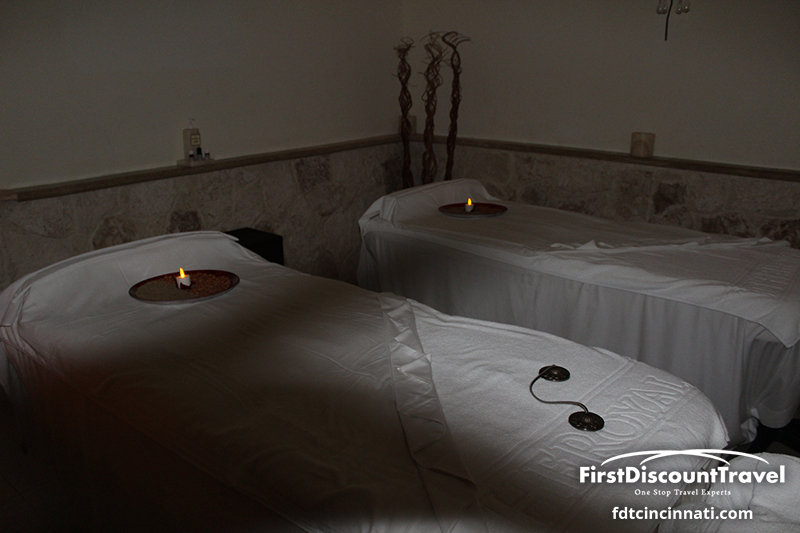 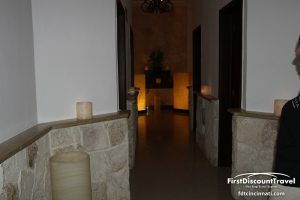 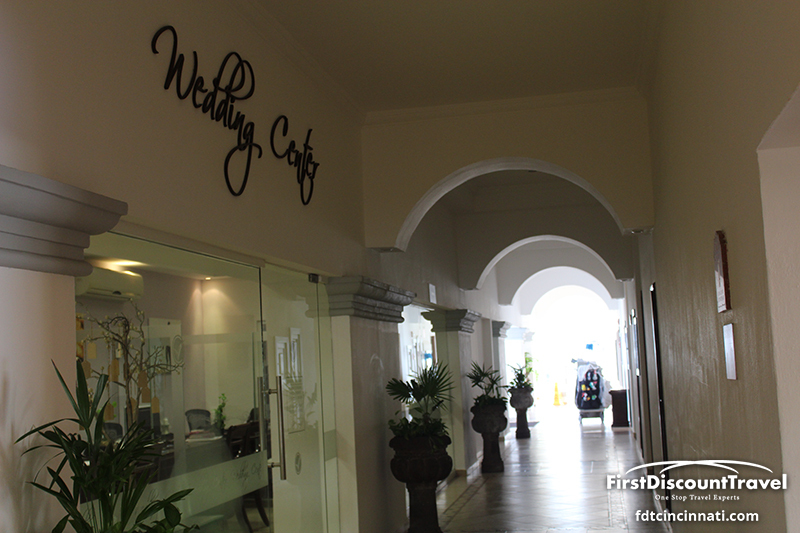 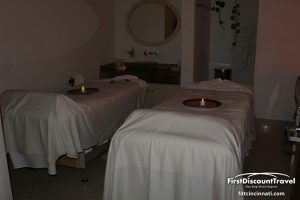 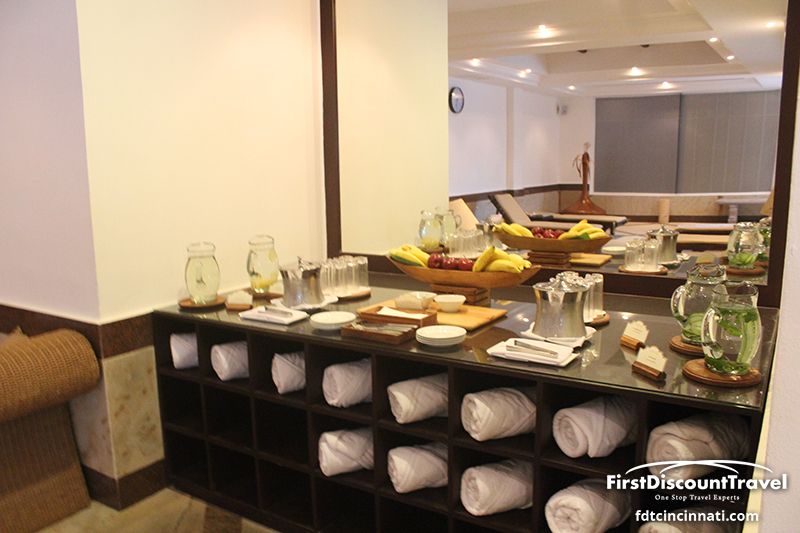 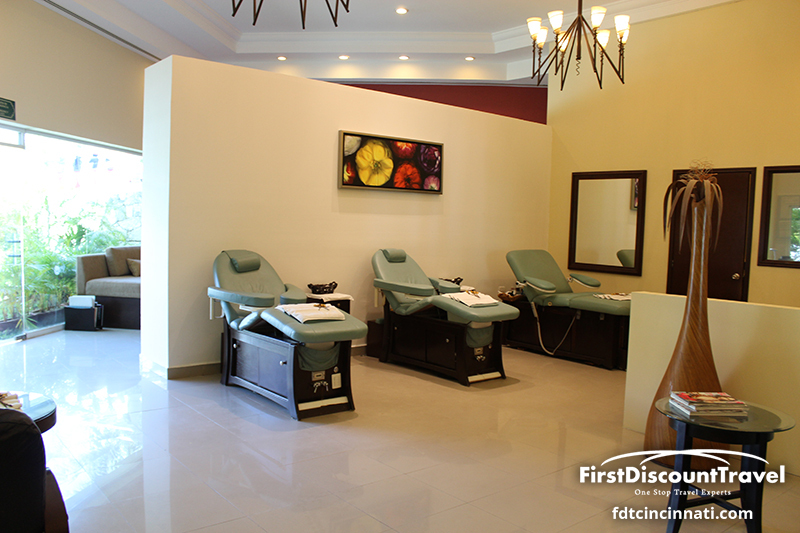 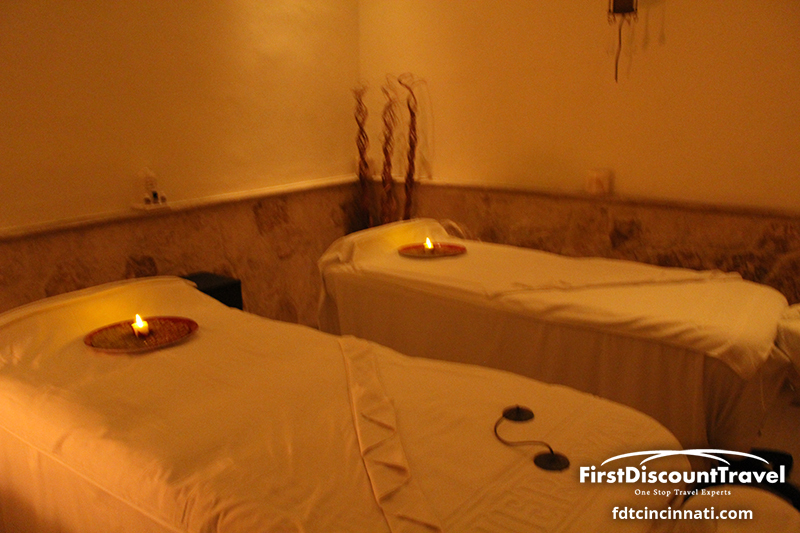 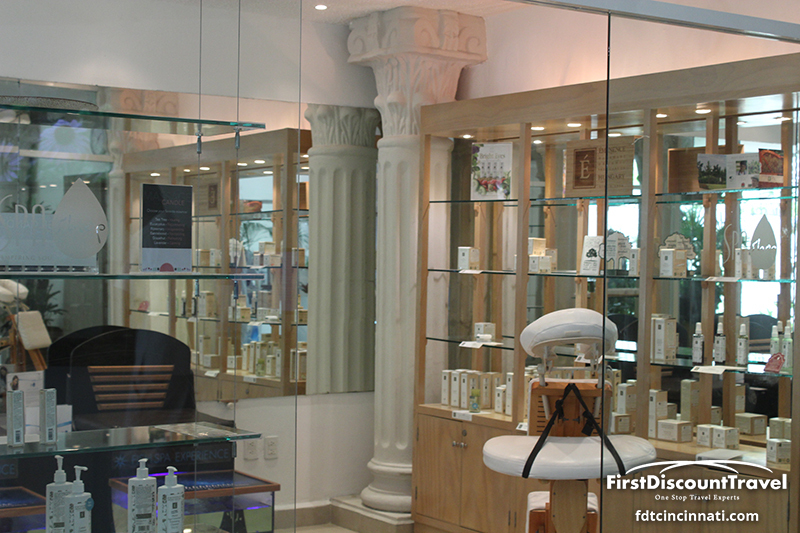 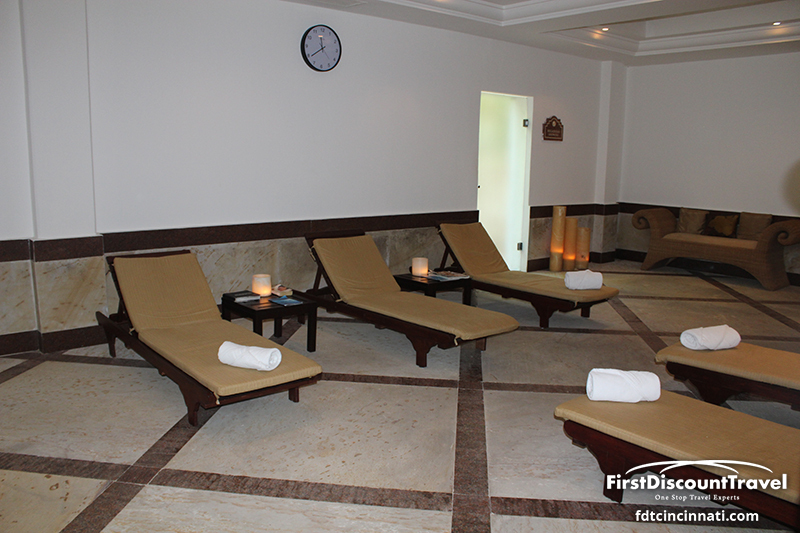 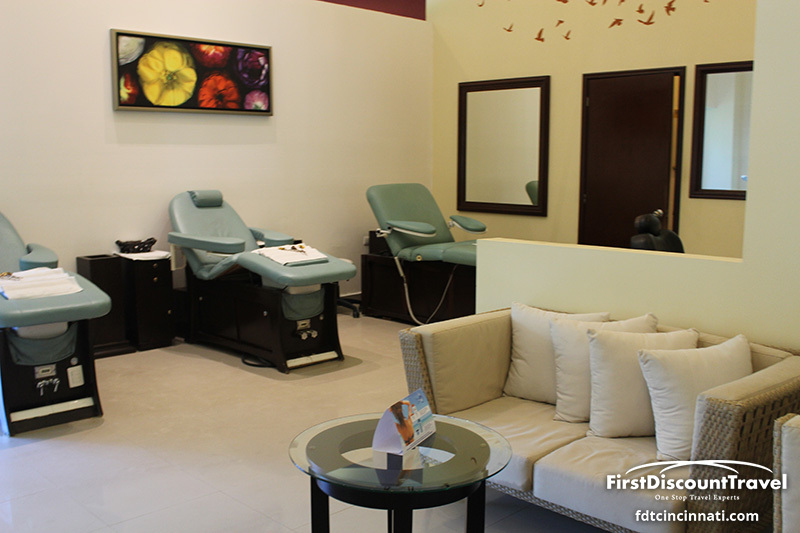 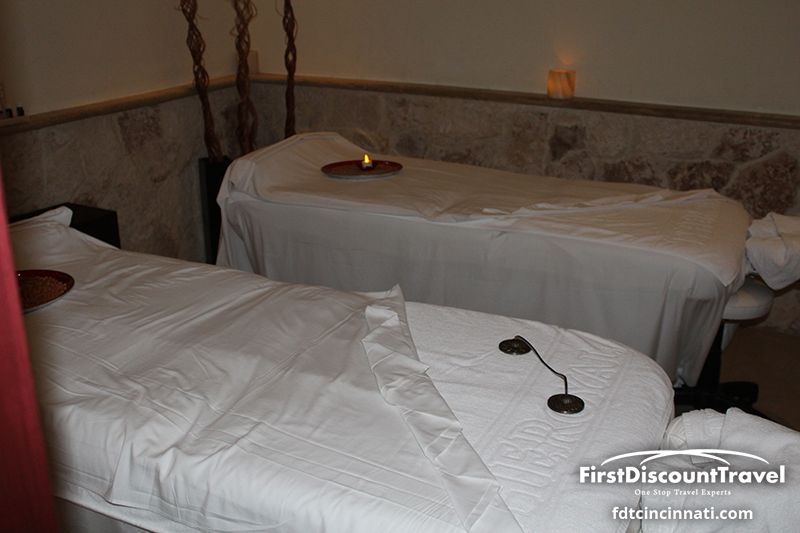 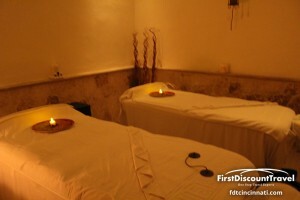 There is a 12 treatment room spa, fitness center, and a Romance Concierge for honeymooners. 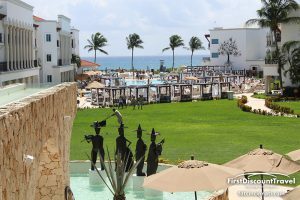 Overall, I love this resort. 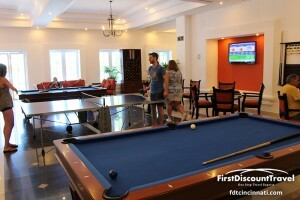 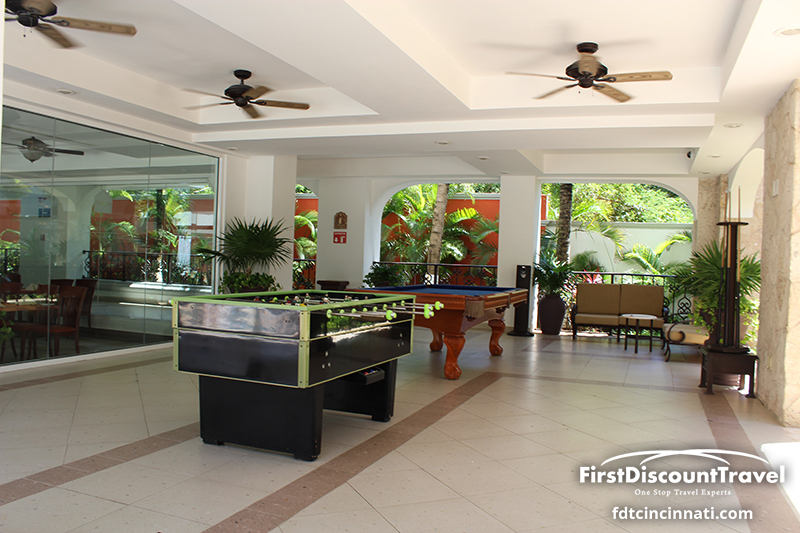 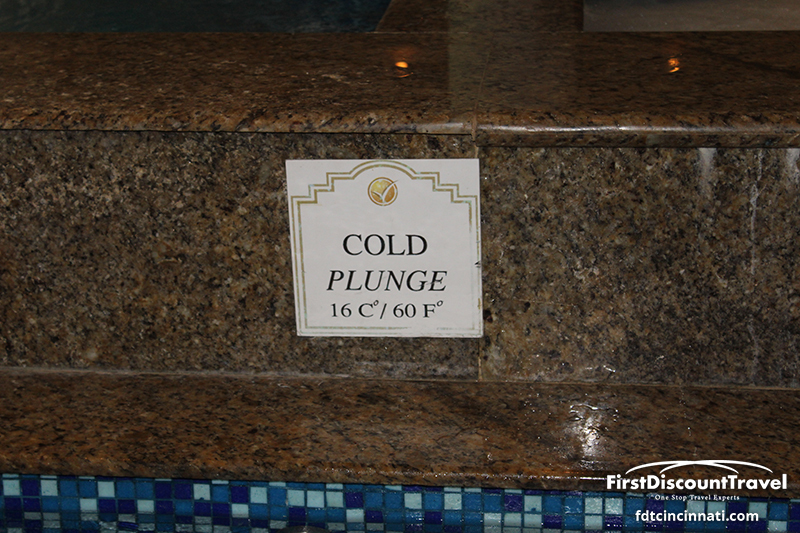 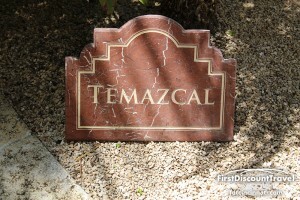 This is an active adults only resort with a perfect location. 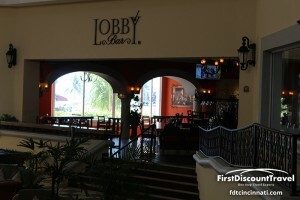 I’ve stayed here before and I ate dinner here in August of 2010. 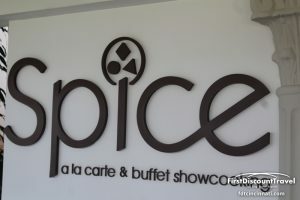 The Asian food was awesome! This would be great for any adult and any honeymooner looking for a fun vacation.